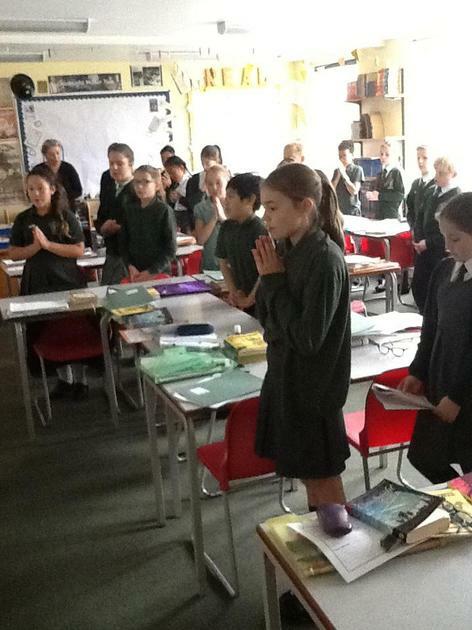 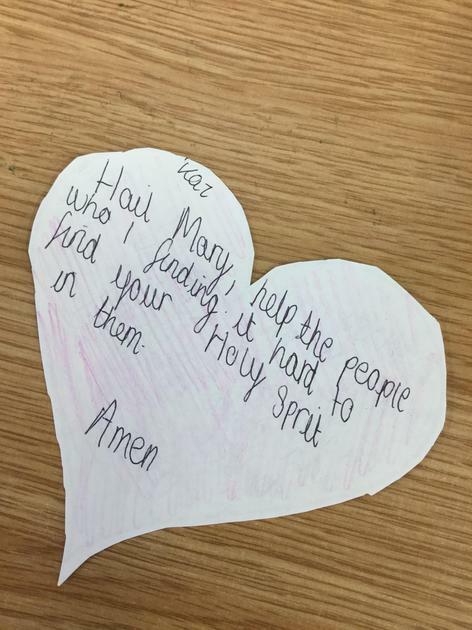 In Year 6 we created our own prayer for the beginning of every day. 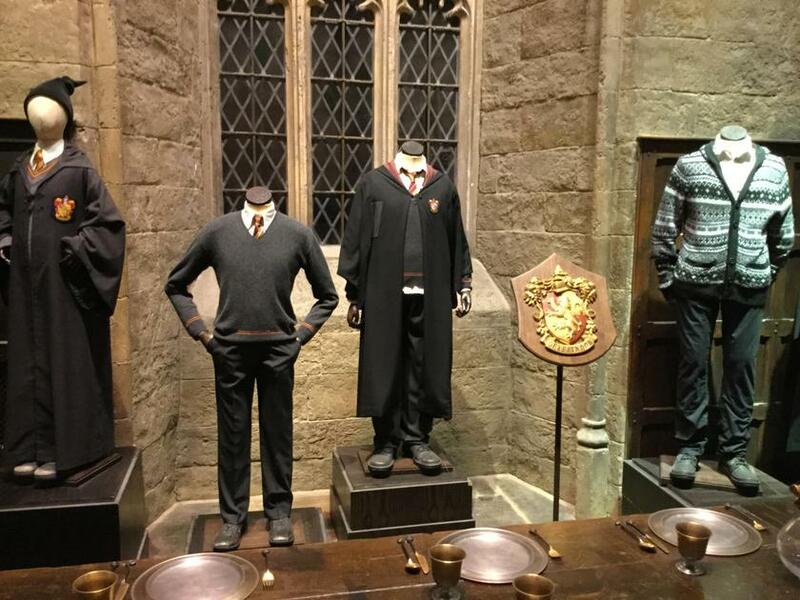 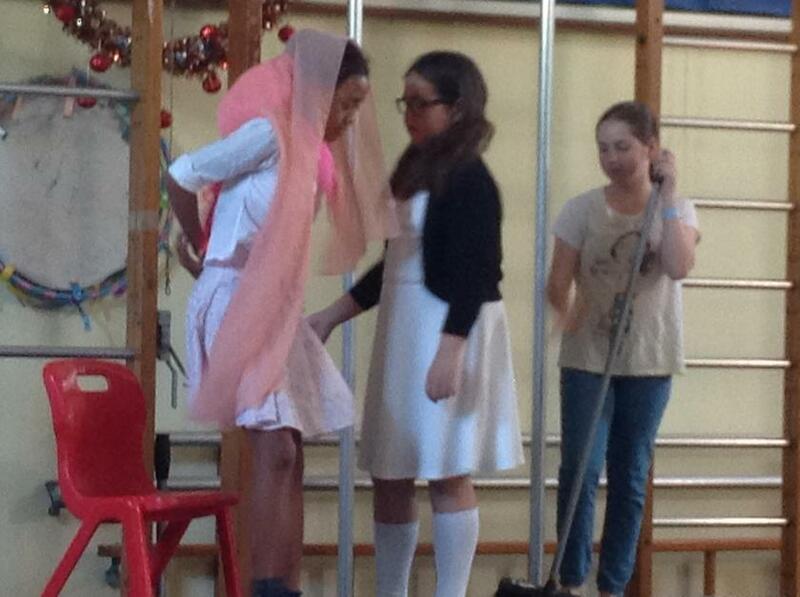 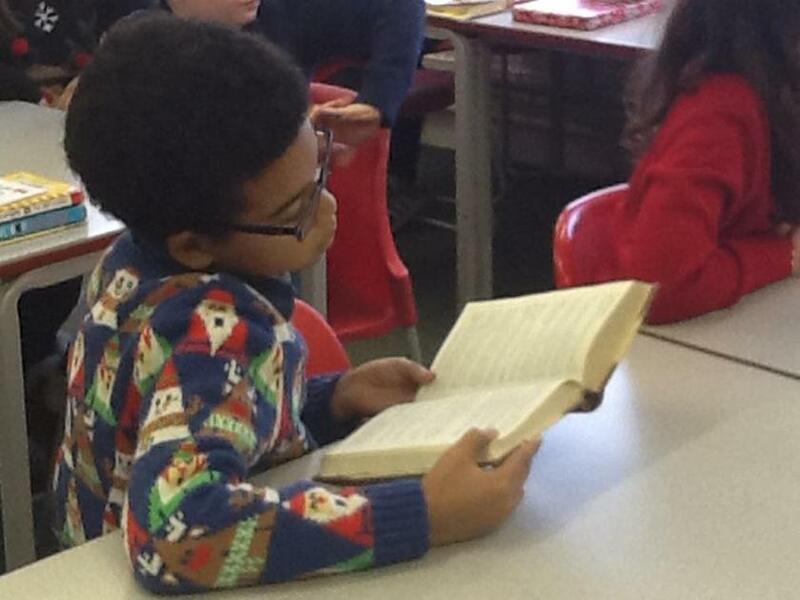 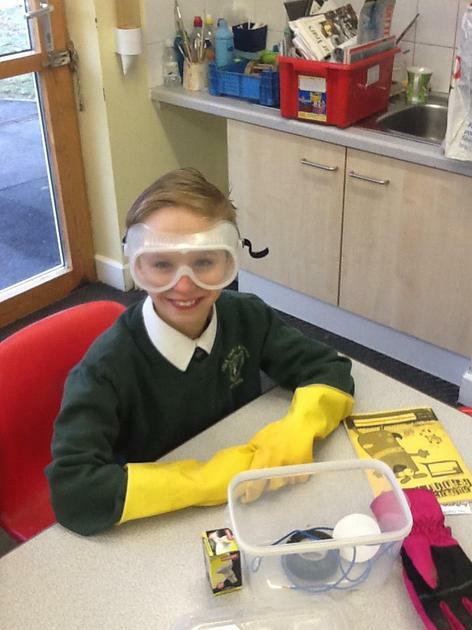 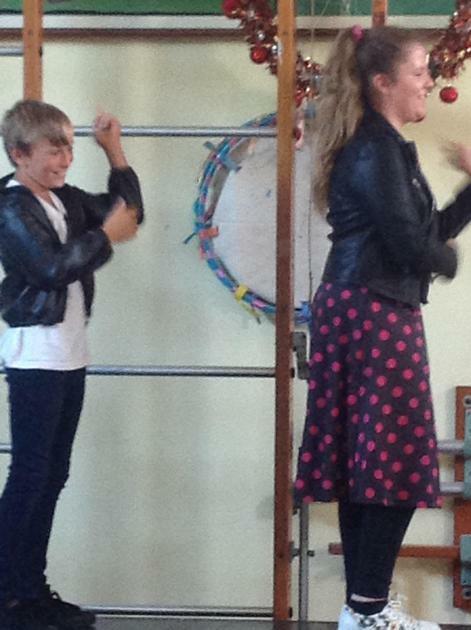 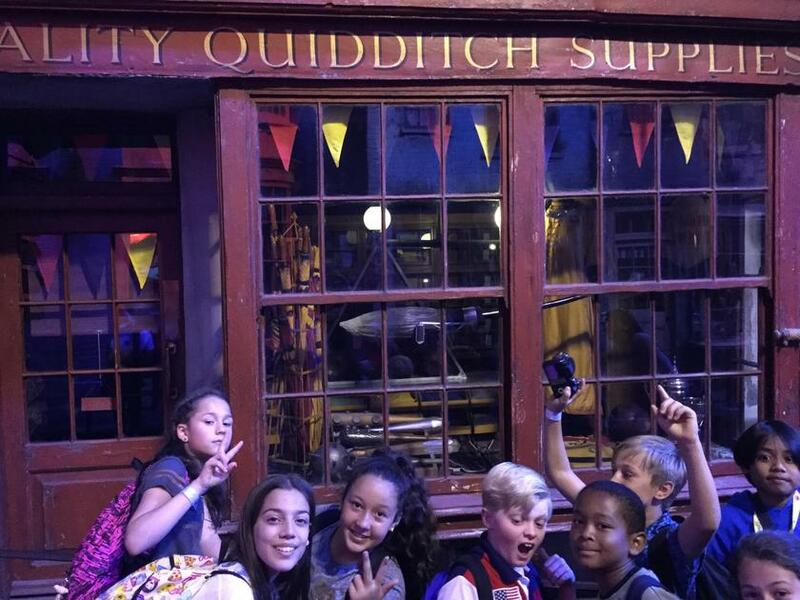 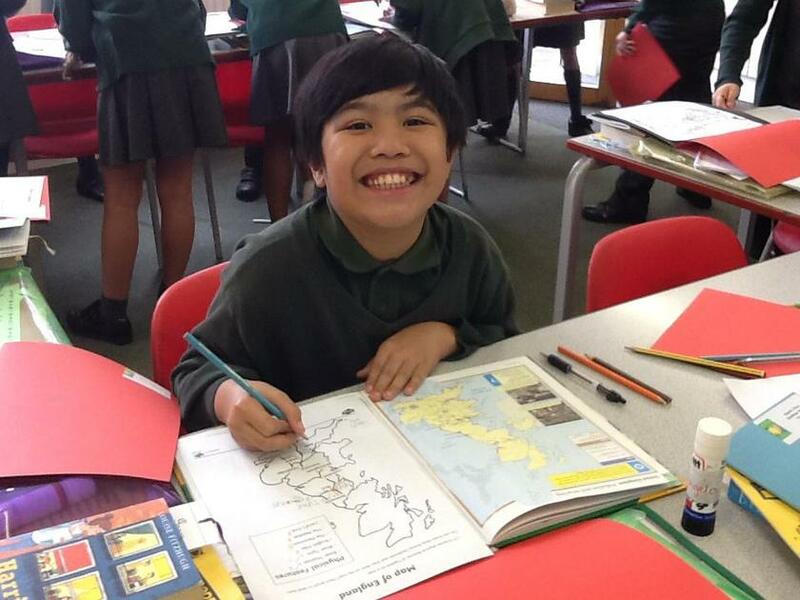 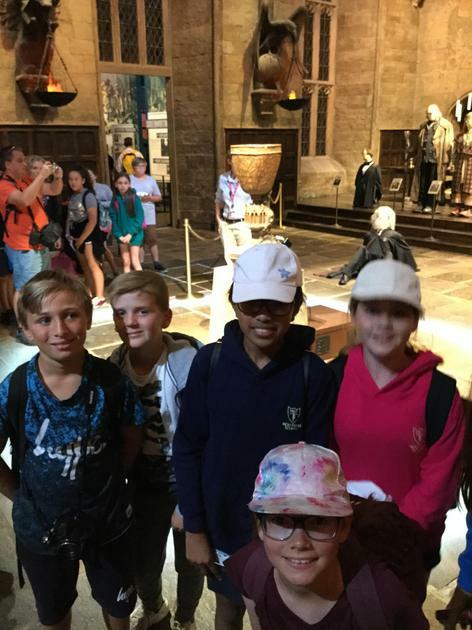 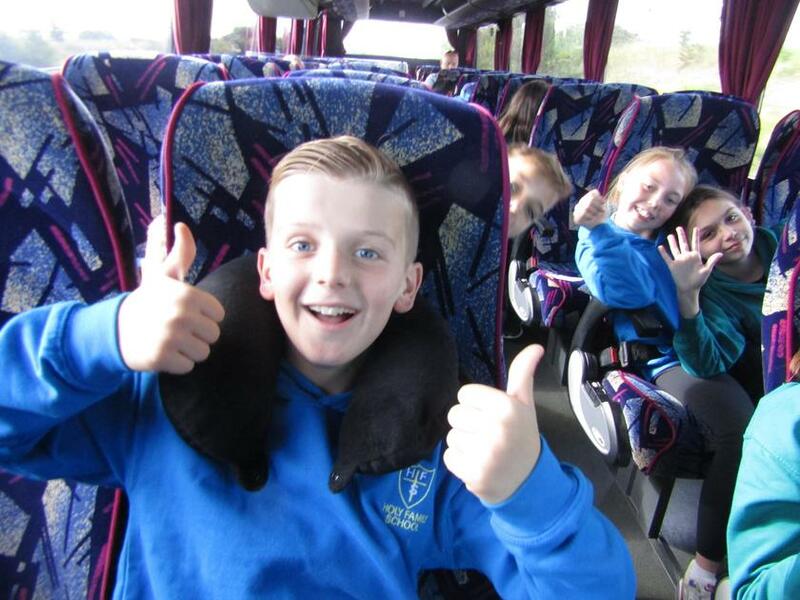 Welcome to the Year 6 class page. 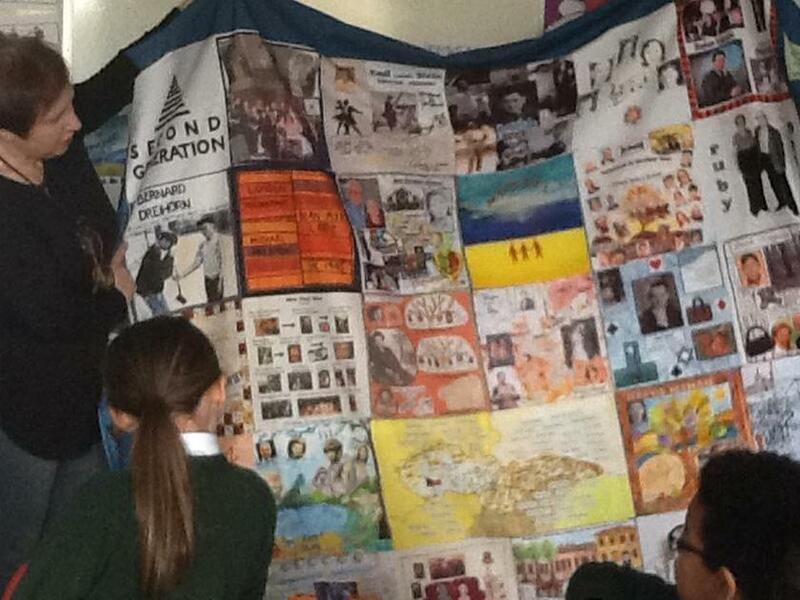 This year we endeavour to fill this page with fun and laughter, with memories to remember and challenges faced. 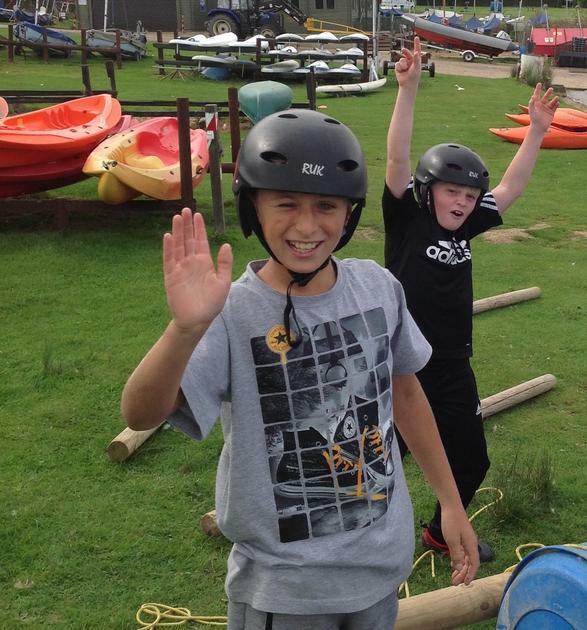 We hope you enjoy our page. 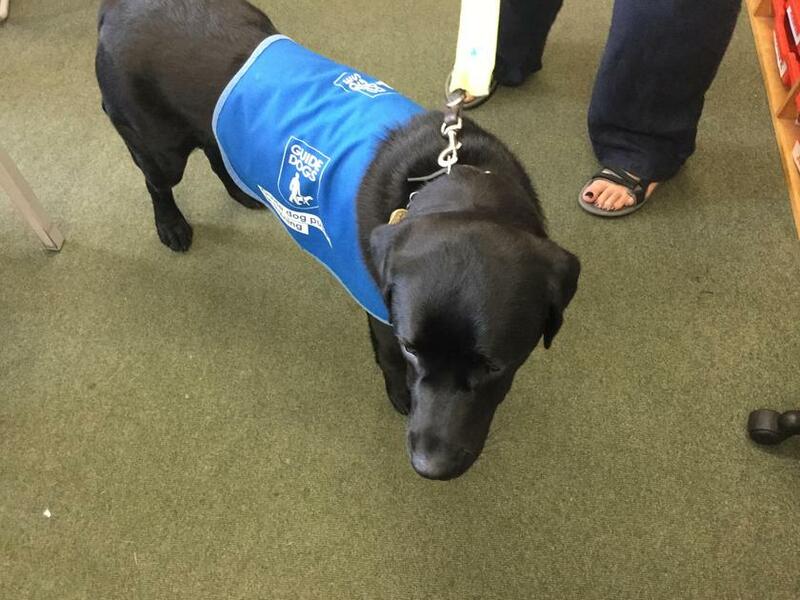 The class had a visit today from ‘Teddy’ the guide dog puppy. 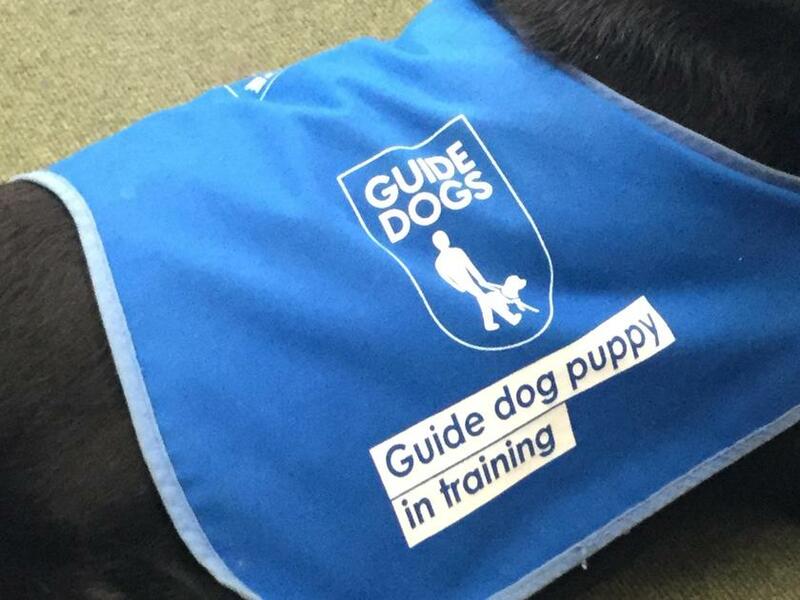 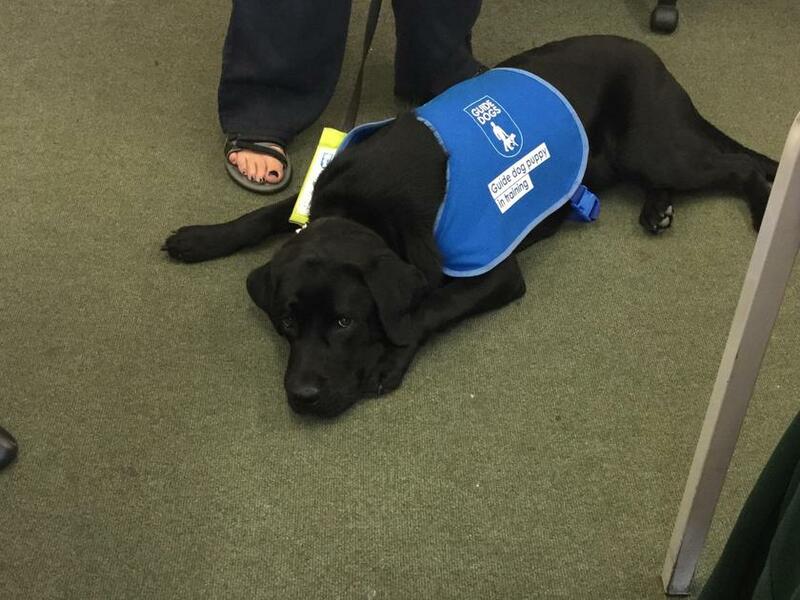 He is just over eight months old and Sarah his trainer brought him in as part of his training to help him get used to noises, children and different environments. 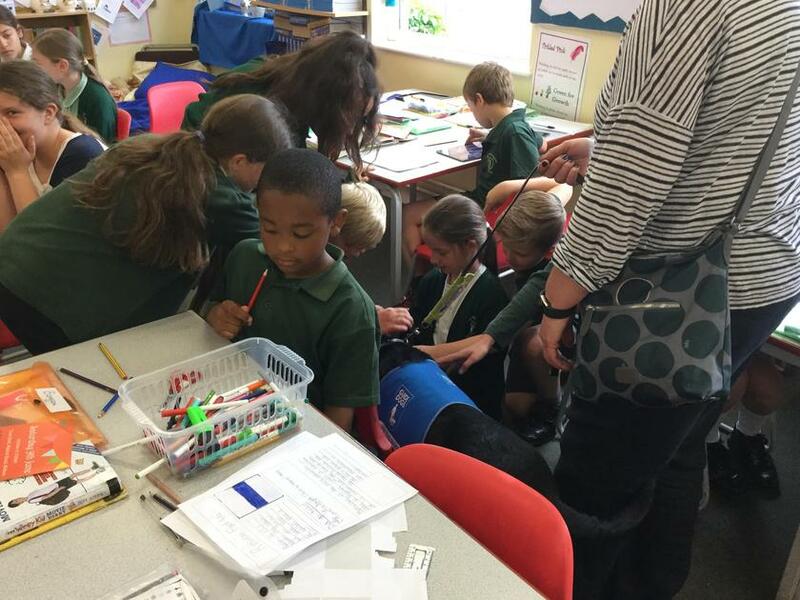 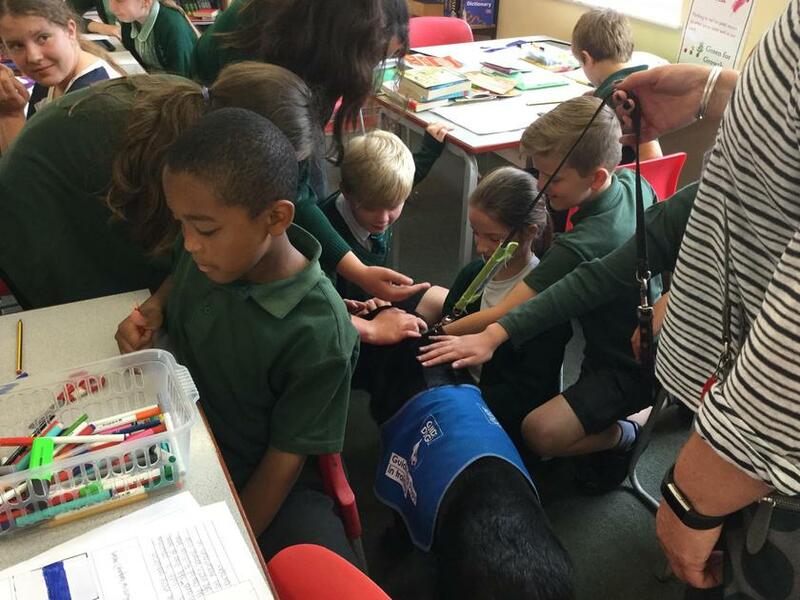 The children asked her some questions, but I think they enjoyed petting the dog more!! 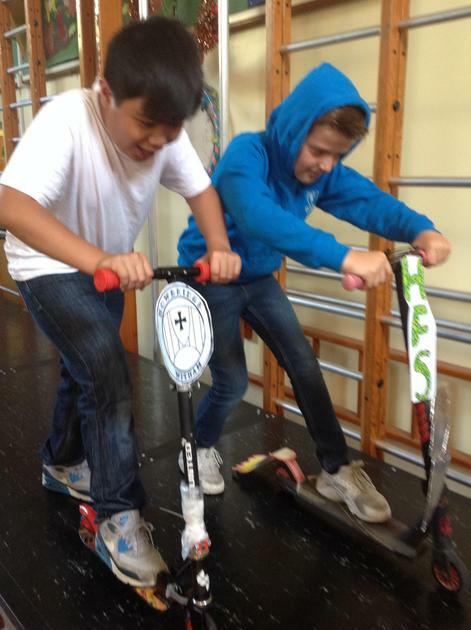 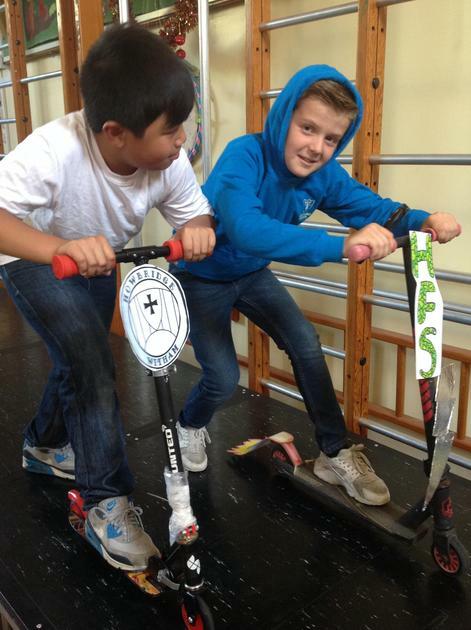 Today saw the children complete their bike ability training. 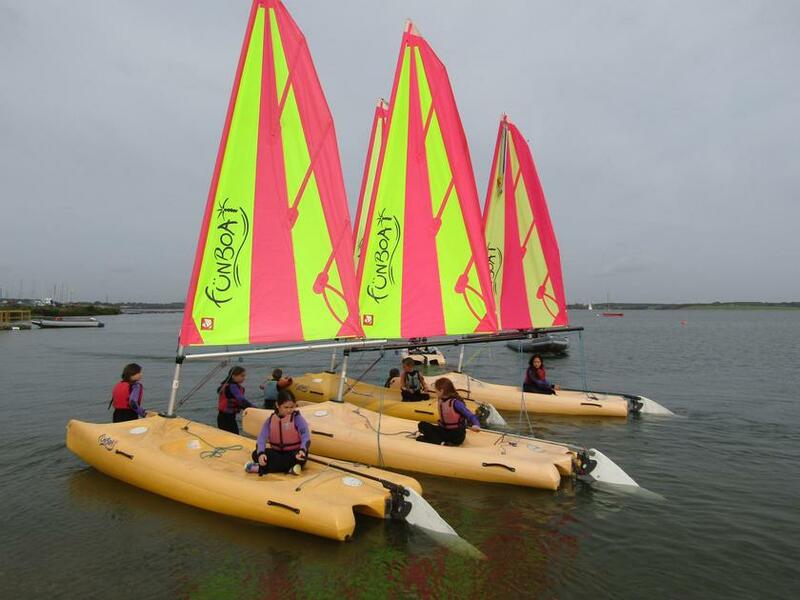 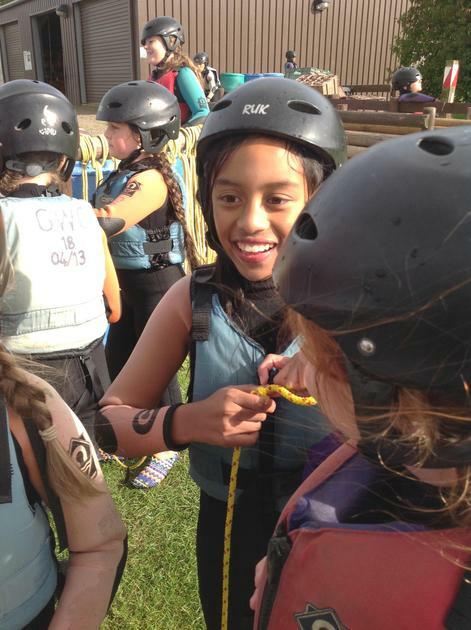 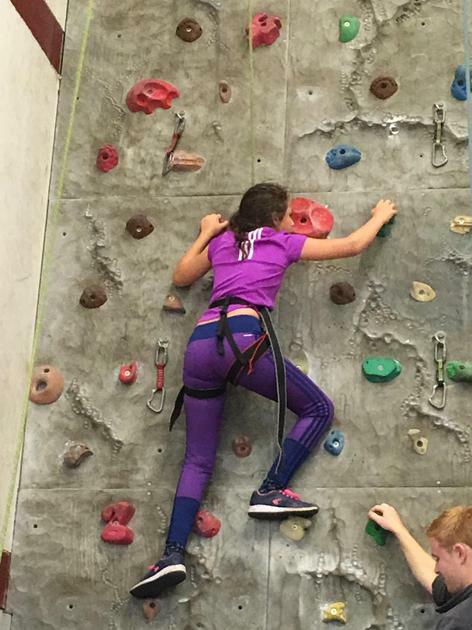 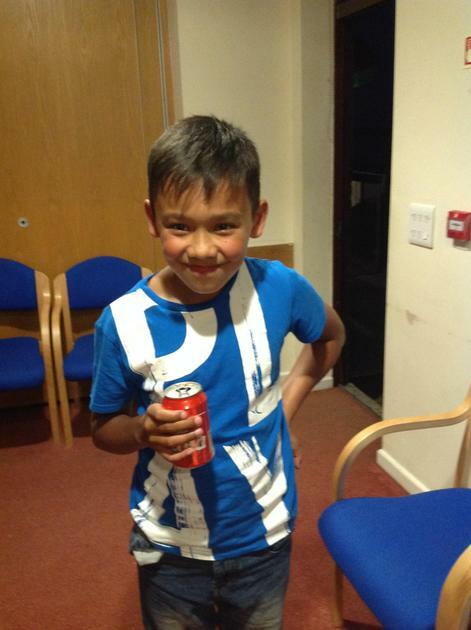 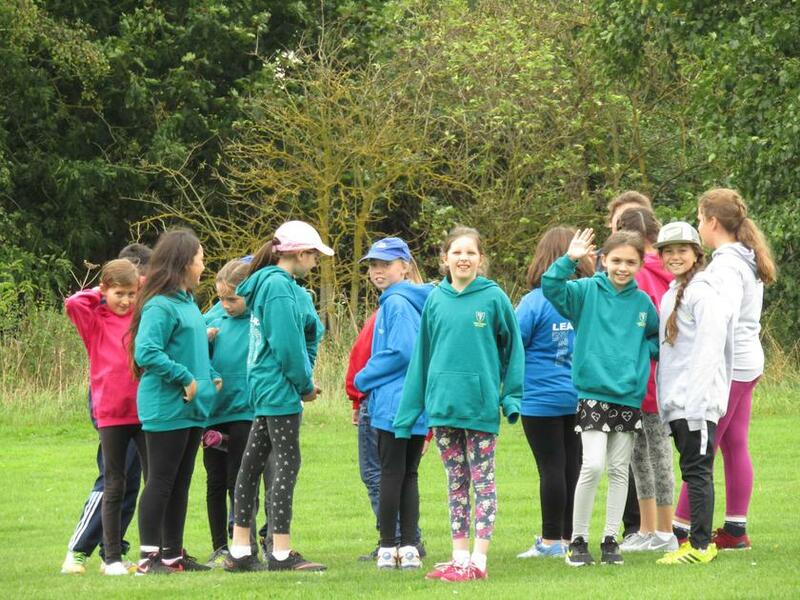 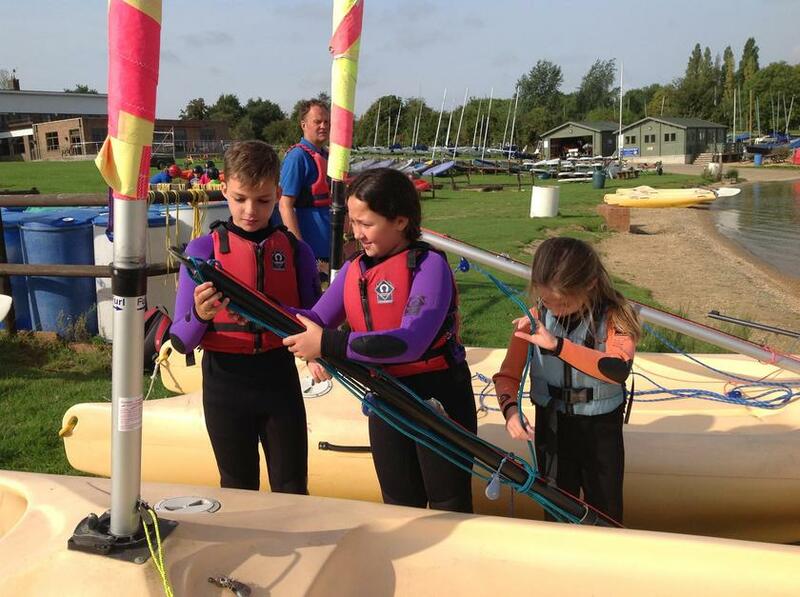 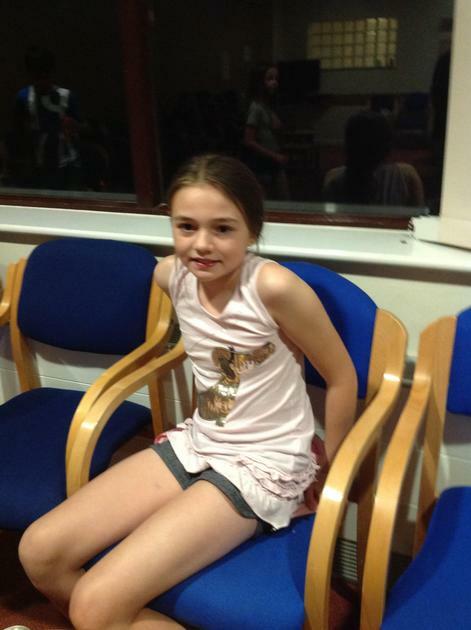 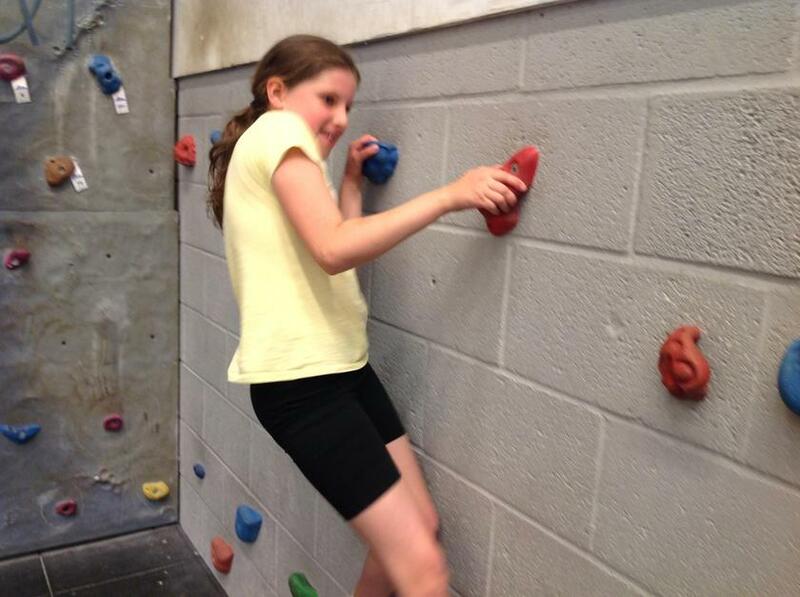 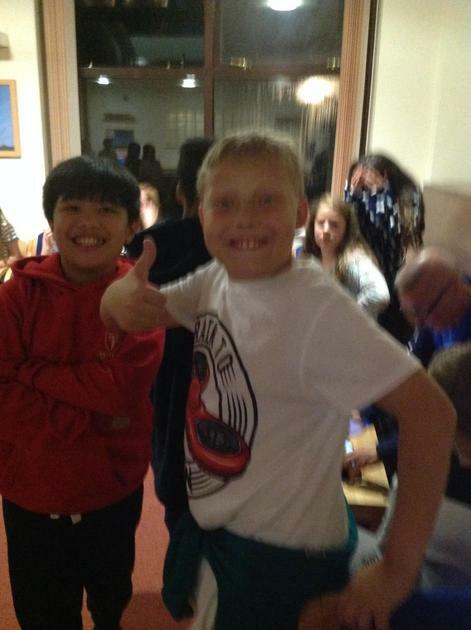 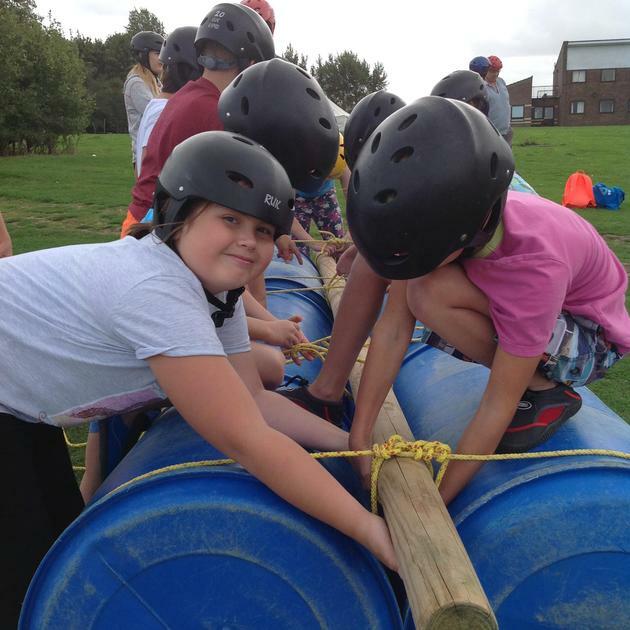 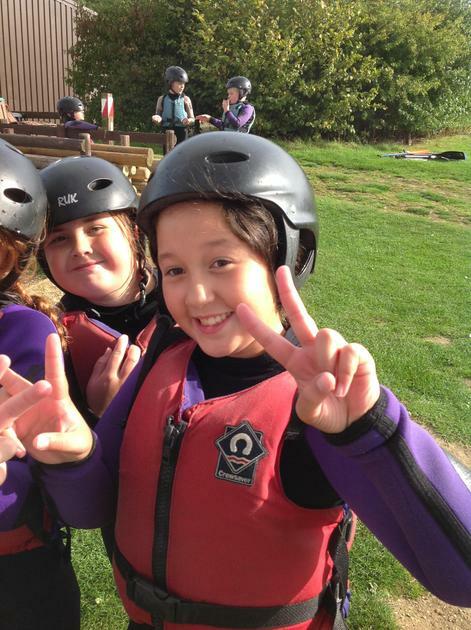 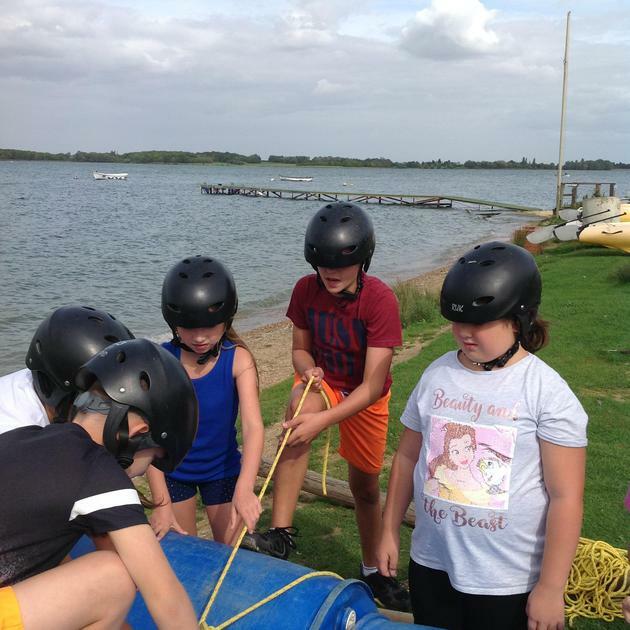 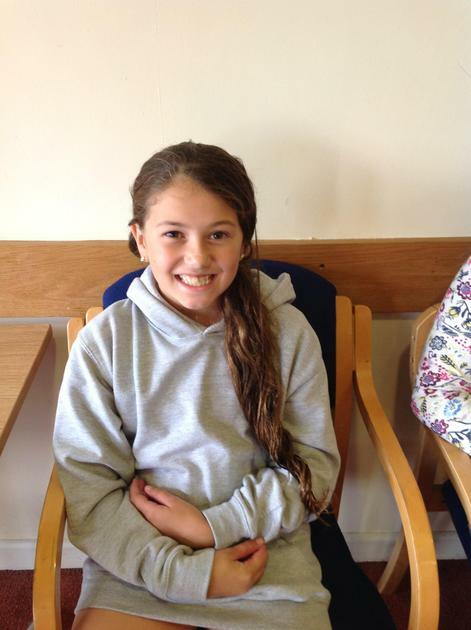 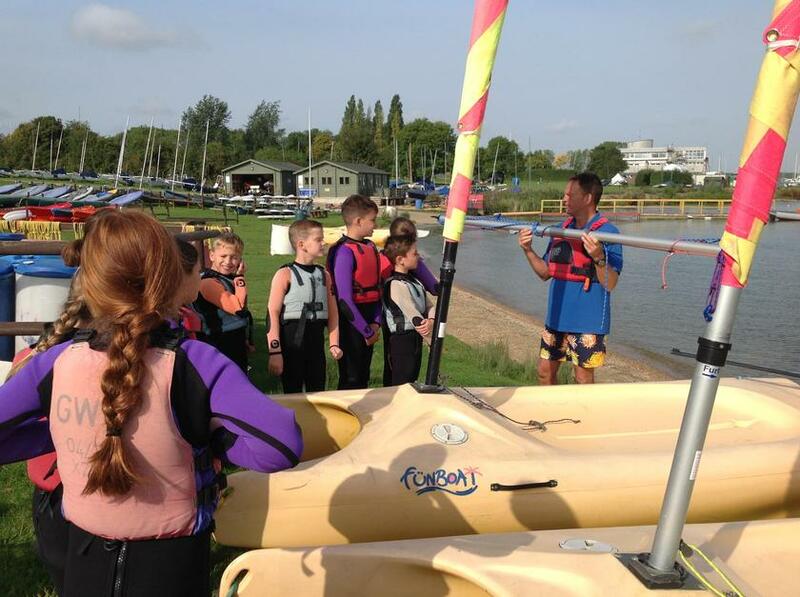 The instructors were very impressed with the children’s sensible attitude and great listening skills. 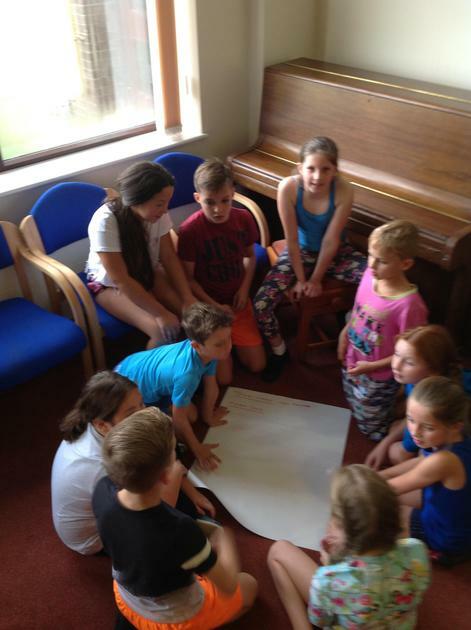 As always the children were a great representation of the school and worked hard towards their level 1 and or level 2. 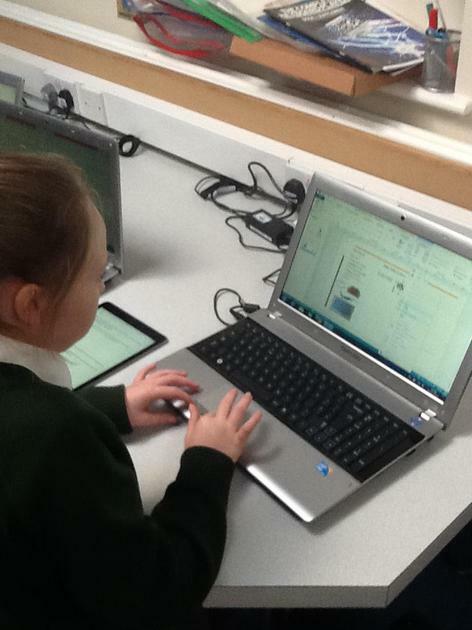 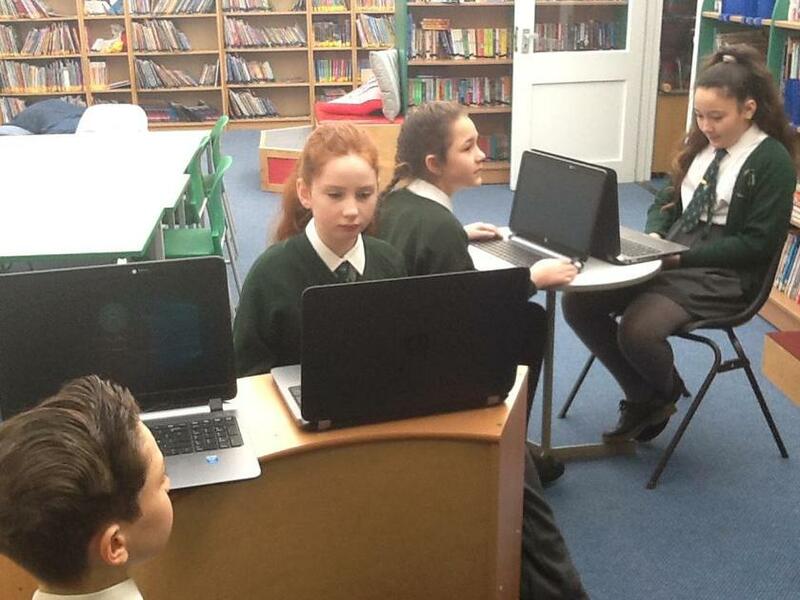 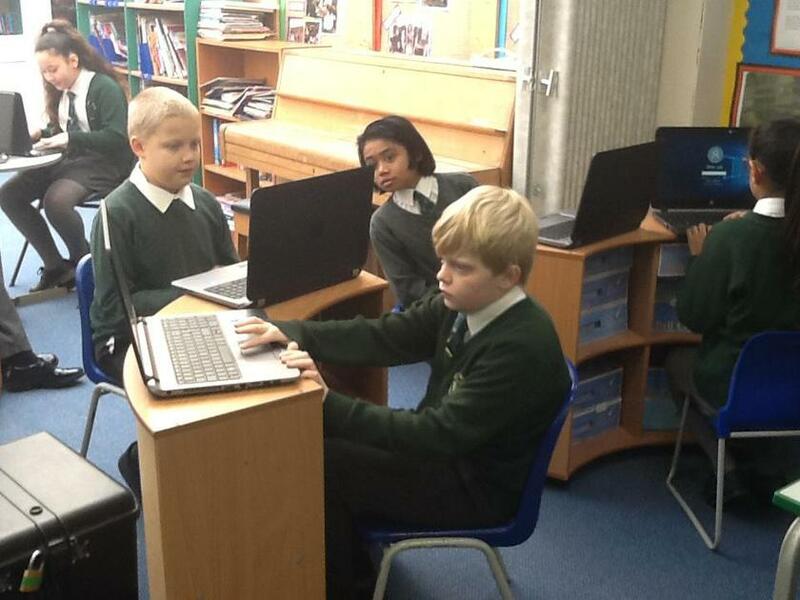 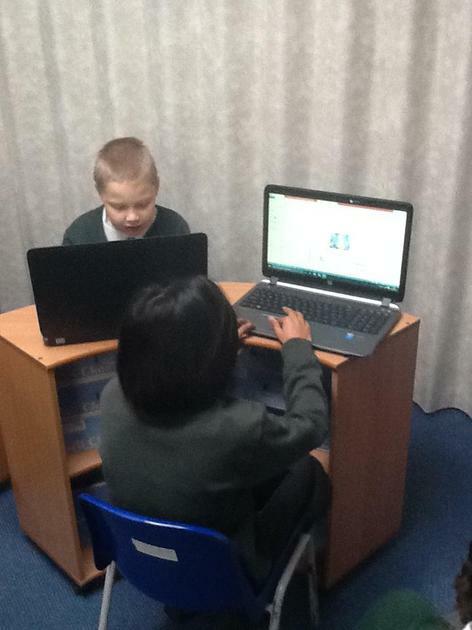 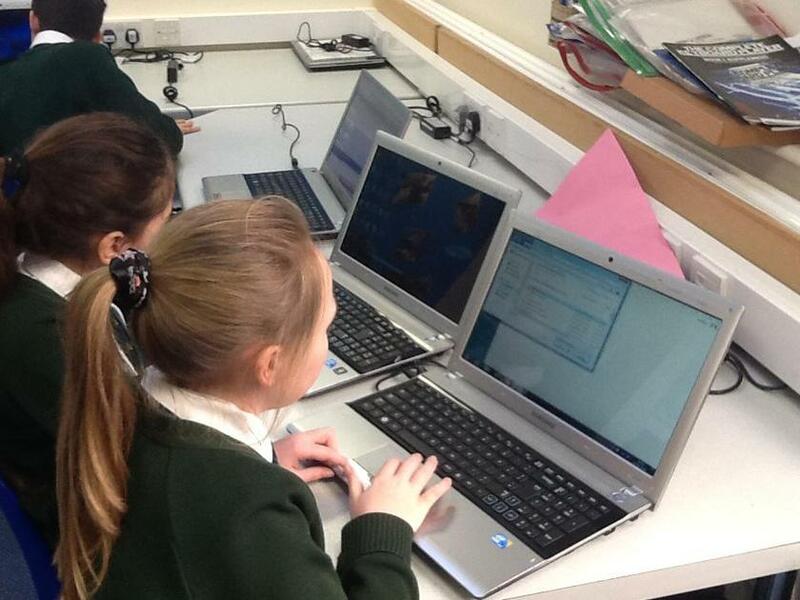 Today the children worked with iPads to research Russia and create a Fact File. 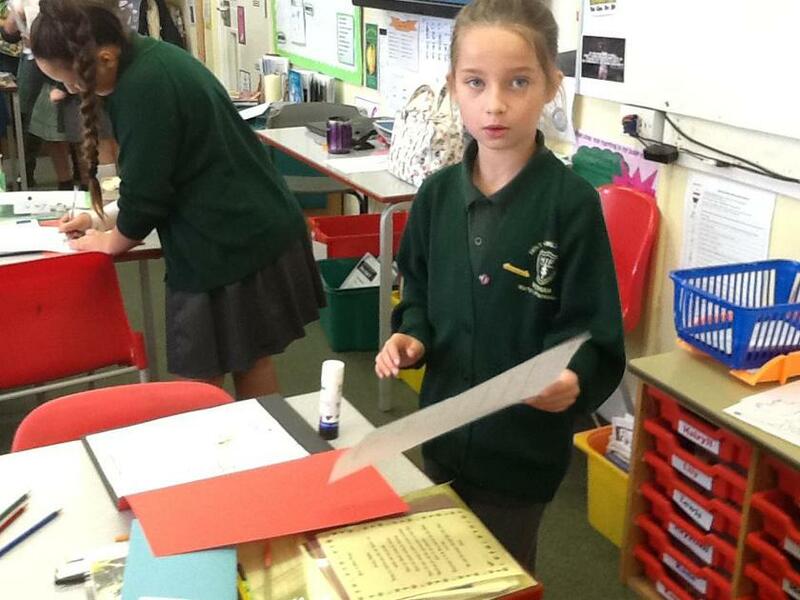 Some interesting facts were found out by all, and the children’s fact files were detailed and colourful. 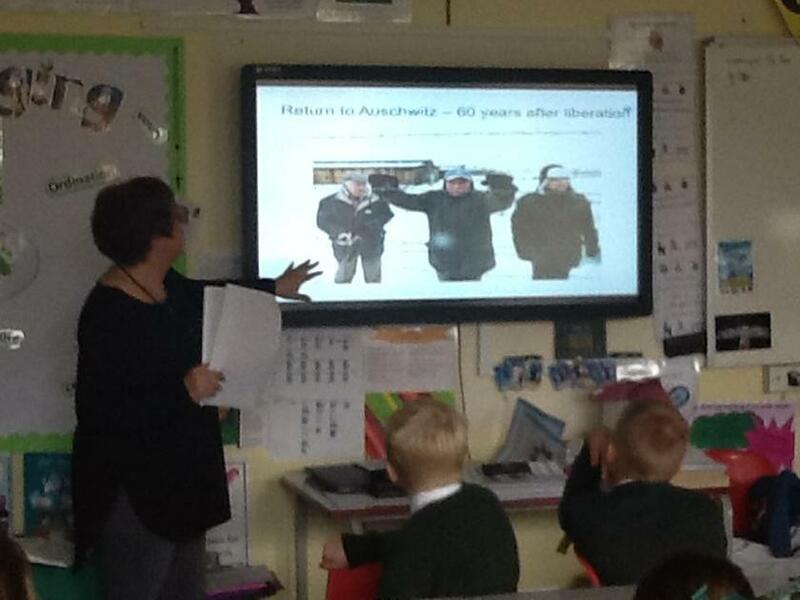 Did you know that Russia’s land mass is greater than the dwarf (planet/star) Pluto!!! 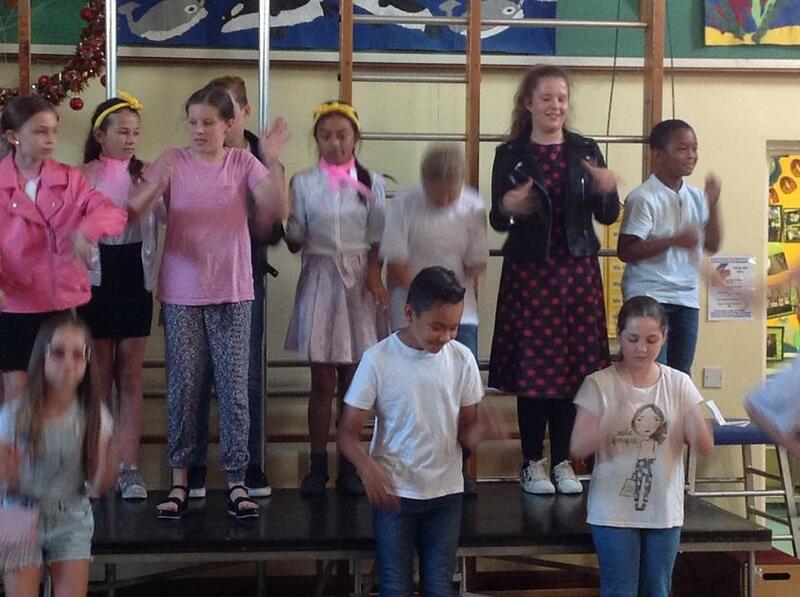 End of SATs celebrations. 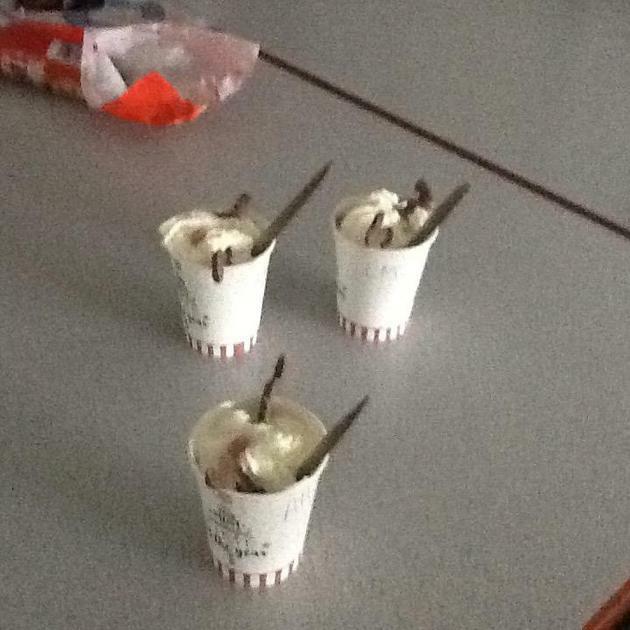 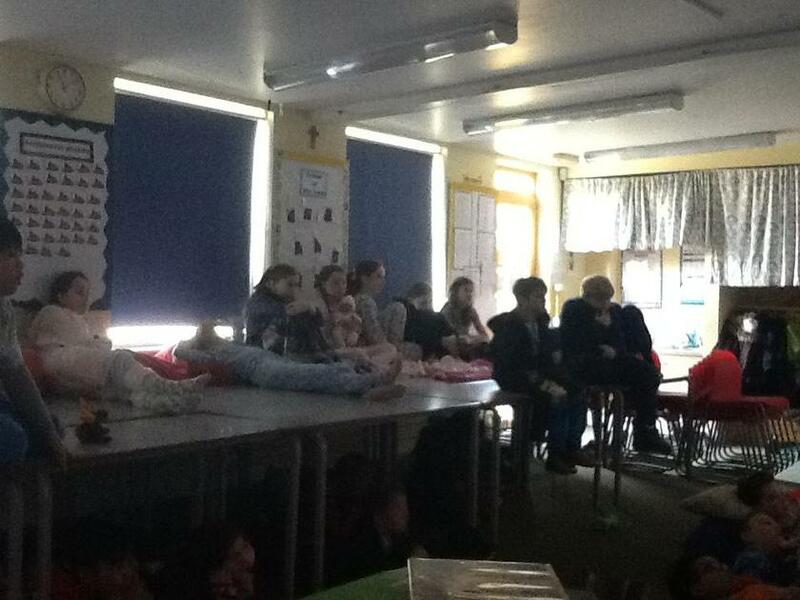 After playing rounders and eating McFlurries in the sun we are watching a film in class. 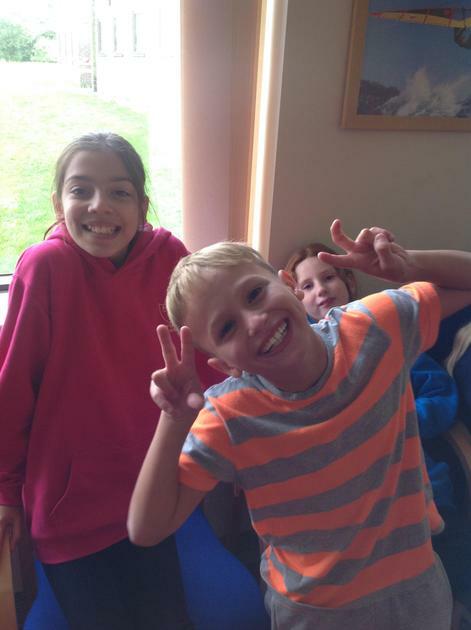 After a delicious breakfast of a bacon roll and/or a croissant the kids are ready for the day. 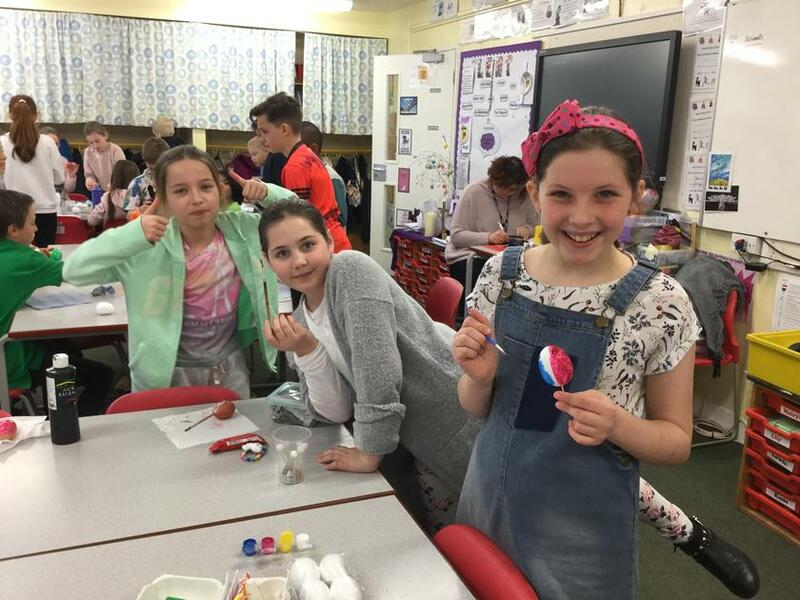 As we approach the last push before the SATS exams next week, Mrs Rackliff, Mrs Collett and Mrs O’Shea, wish the children a restful weekend. 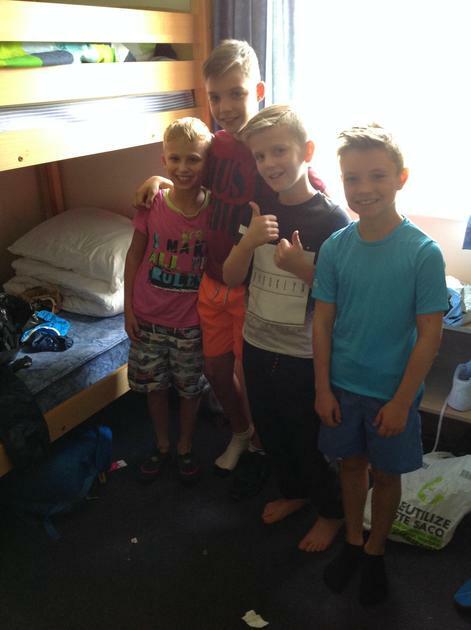 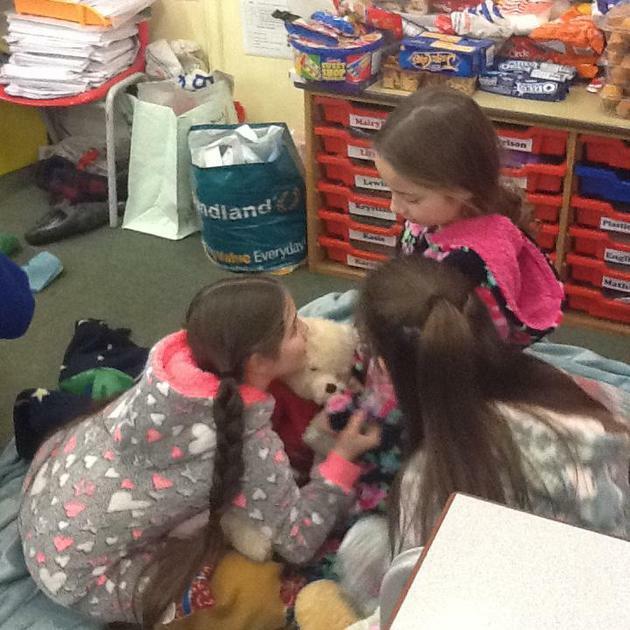 We hope they have lots of sleep, lots of water and lots of love from everyone at home. 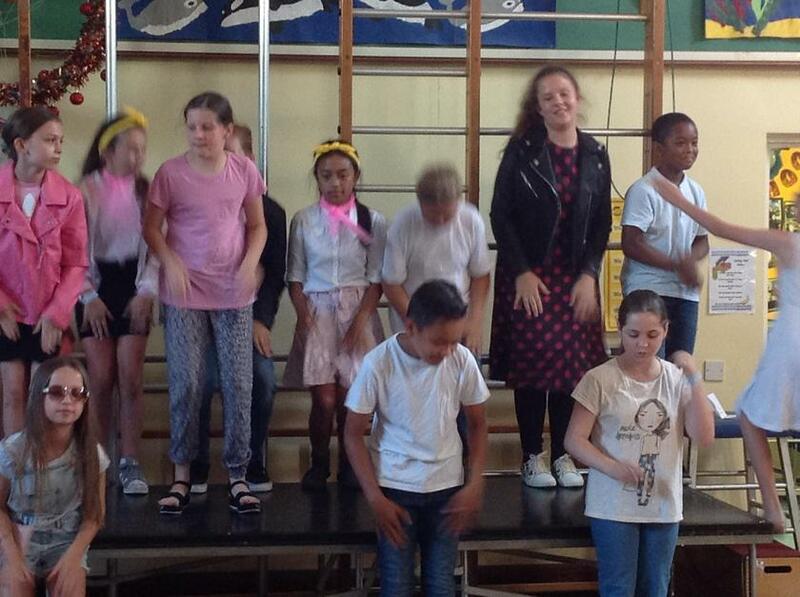 We are so very proud of the effort they have all put in. 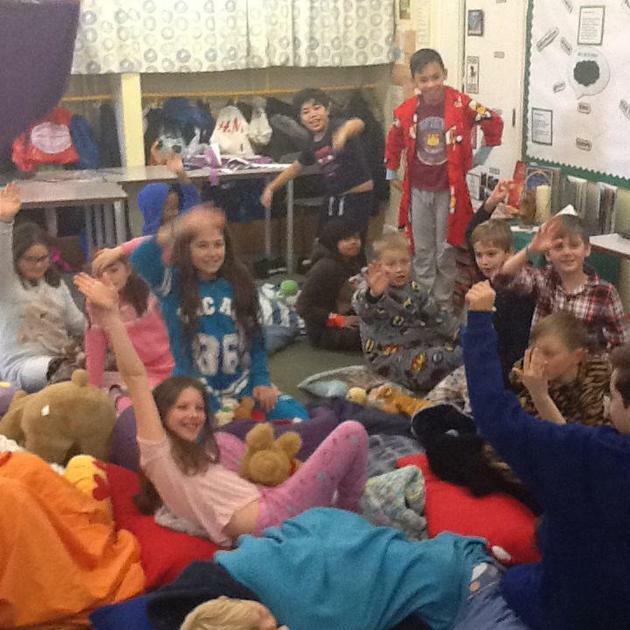 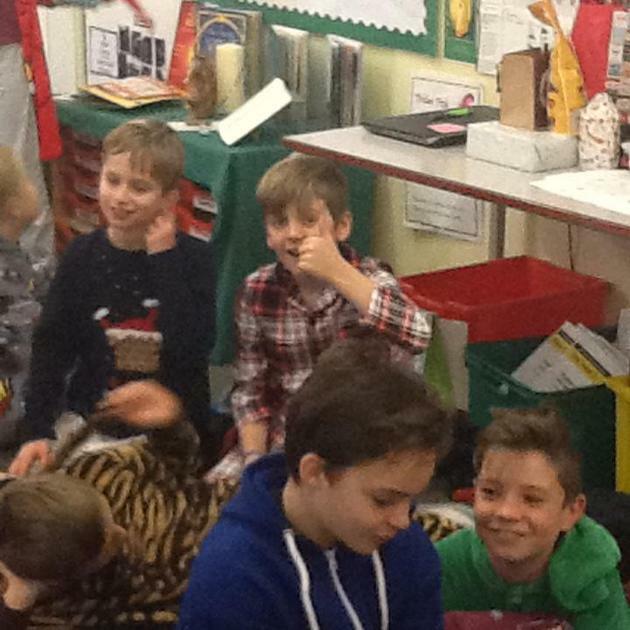 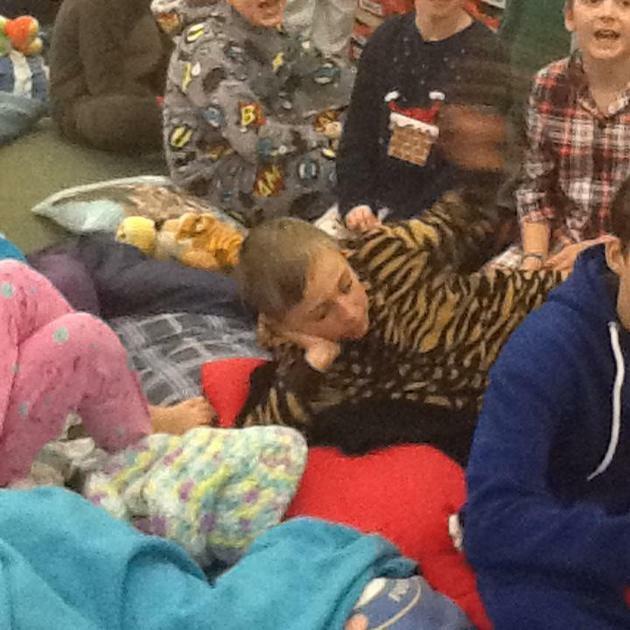 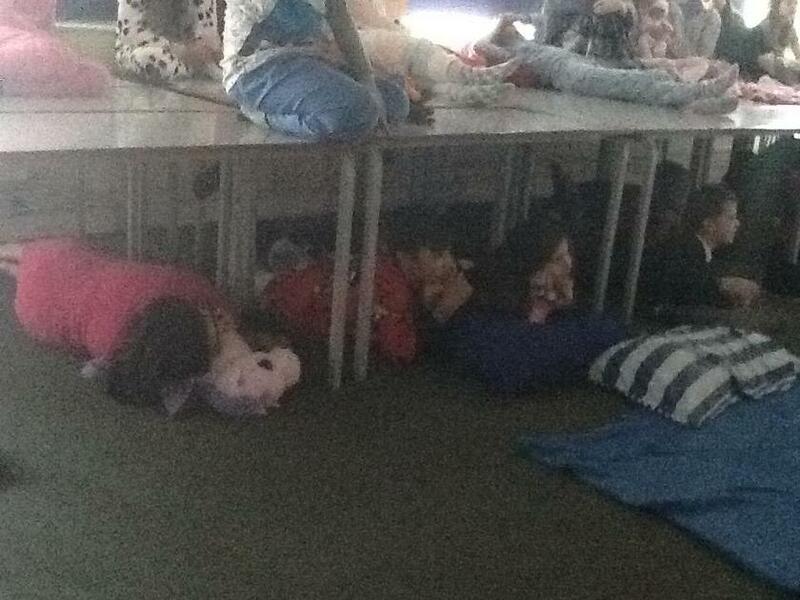 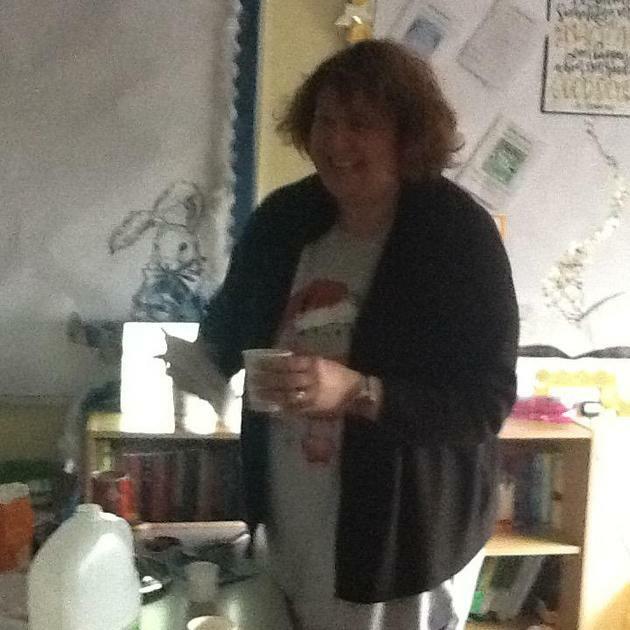 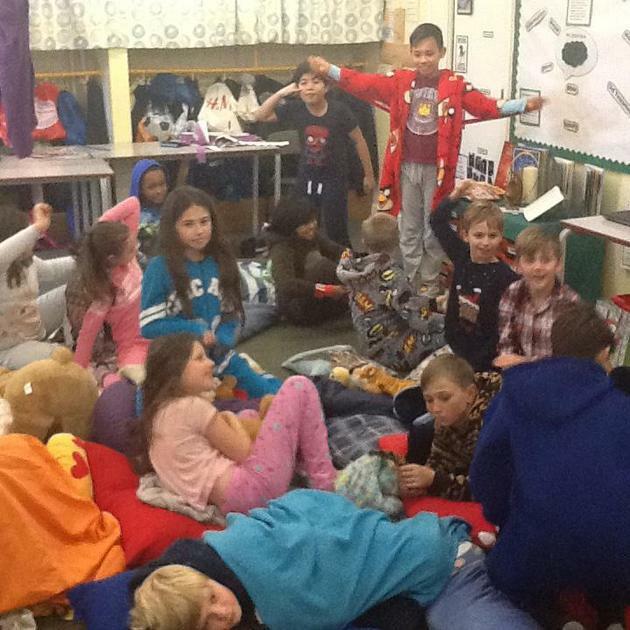 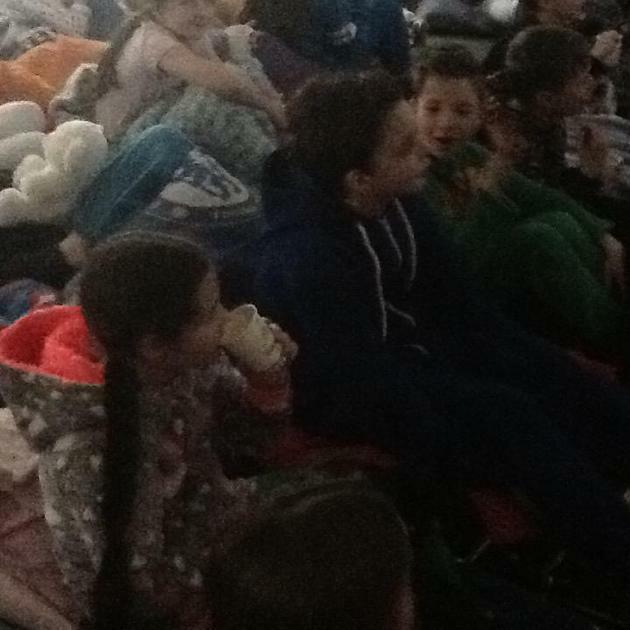 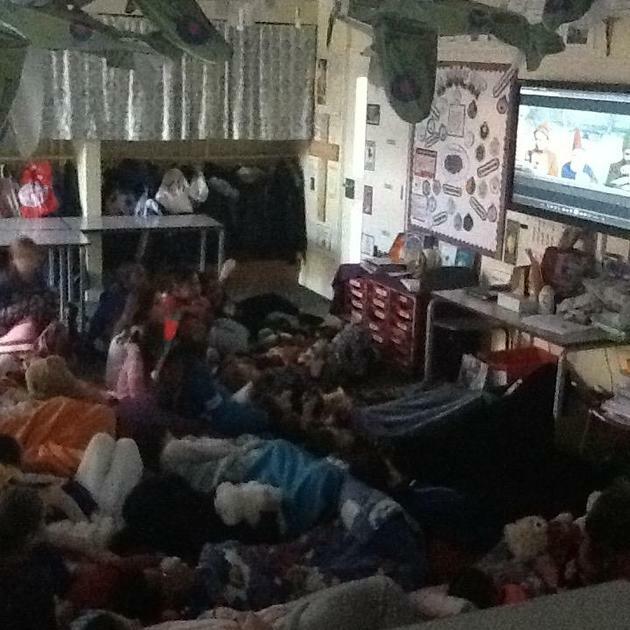 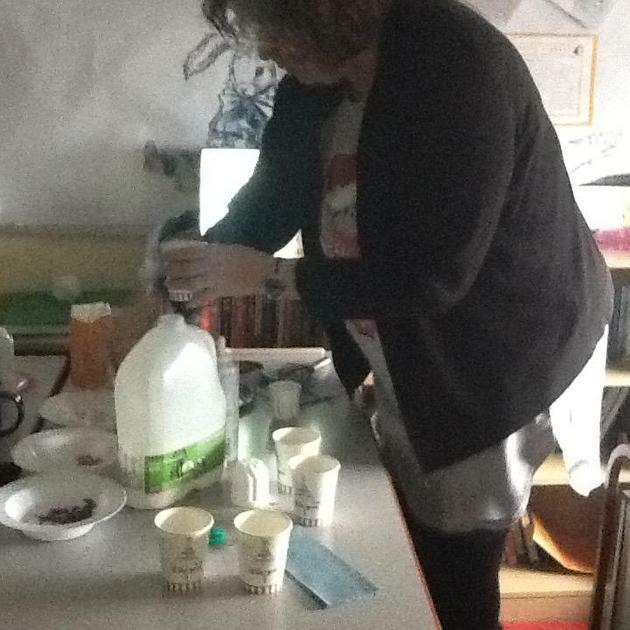 Mrs Scott came in to give the children their last rest and relaxation session. 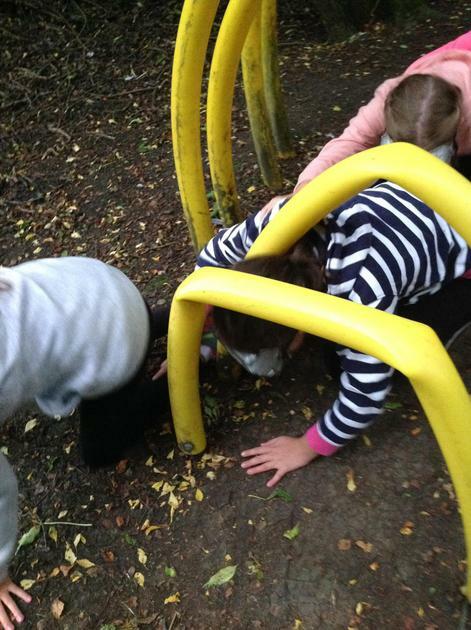 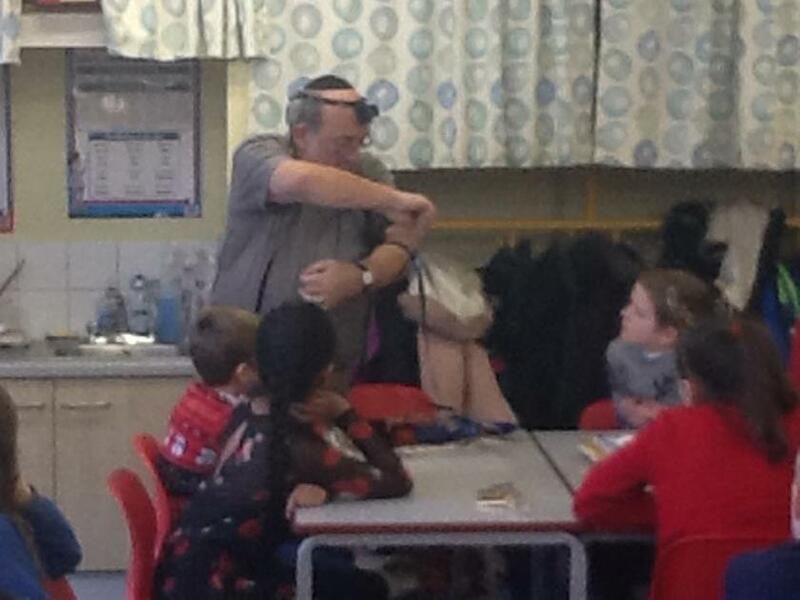 The children did a ‘Body Scan’. 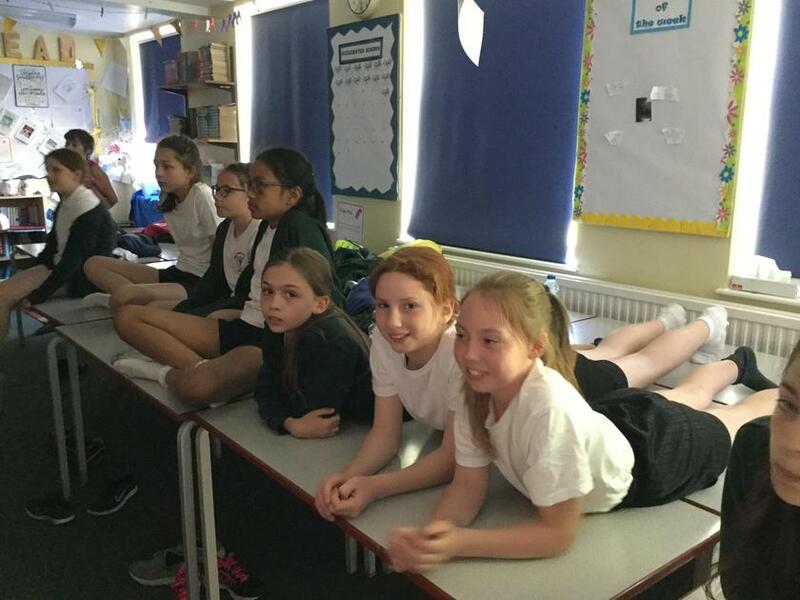 They all lay on the floor relaxing and thinking about all the parts of their body, relaxing and unclenching all their muscles. 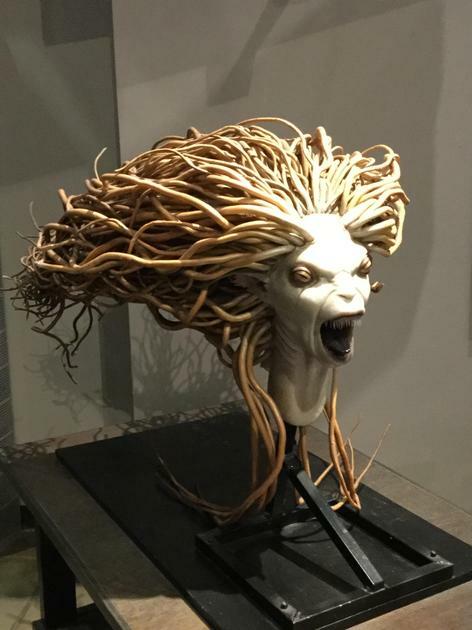 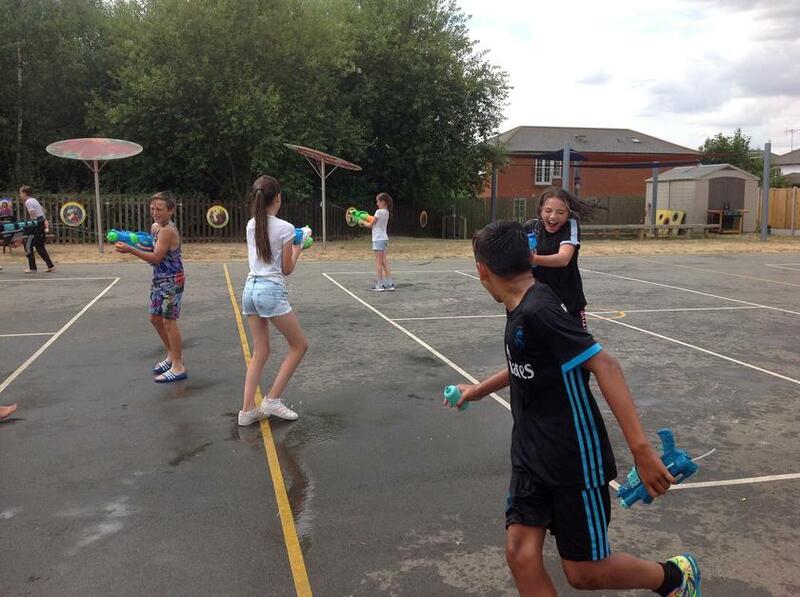 Releasing the tension and stress that can build up over time. 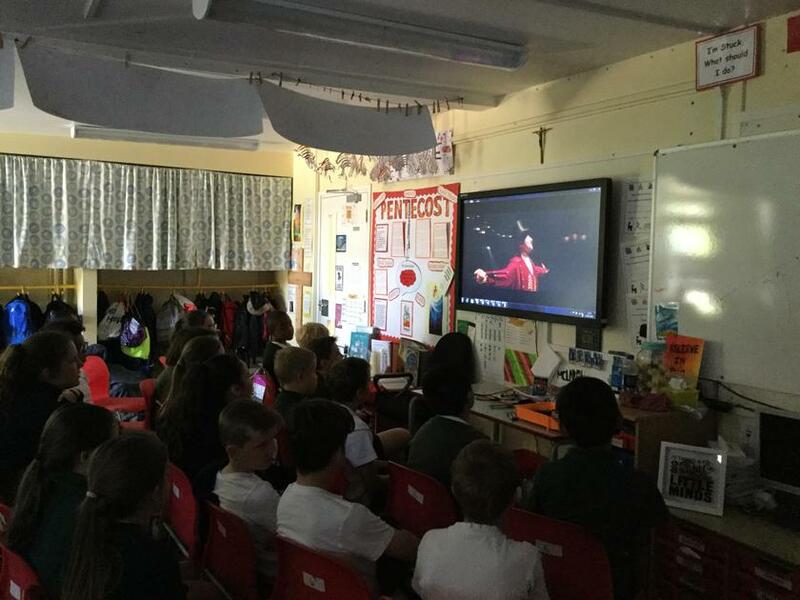 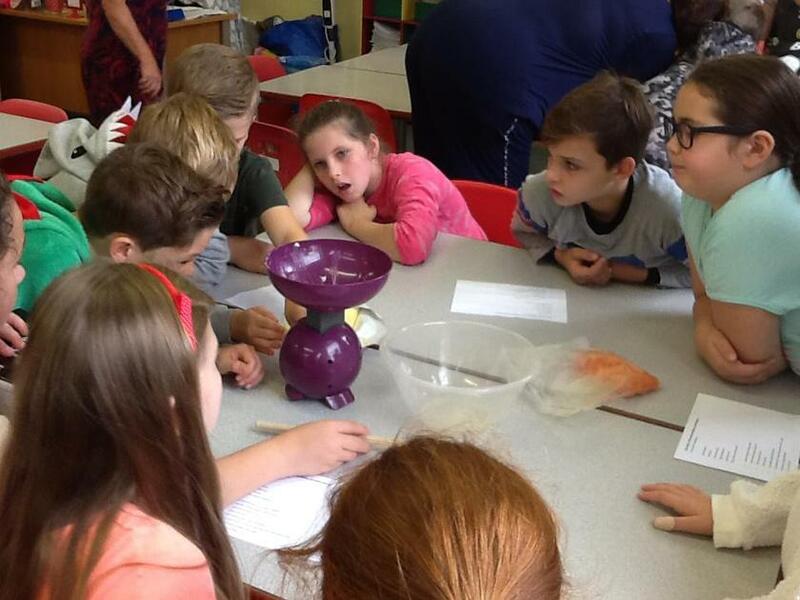 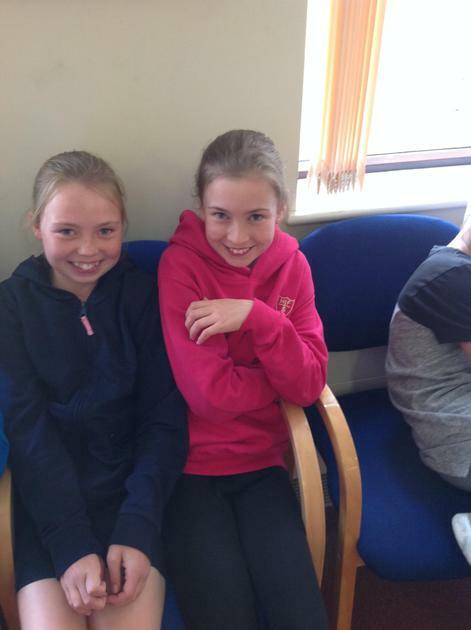 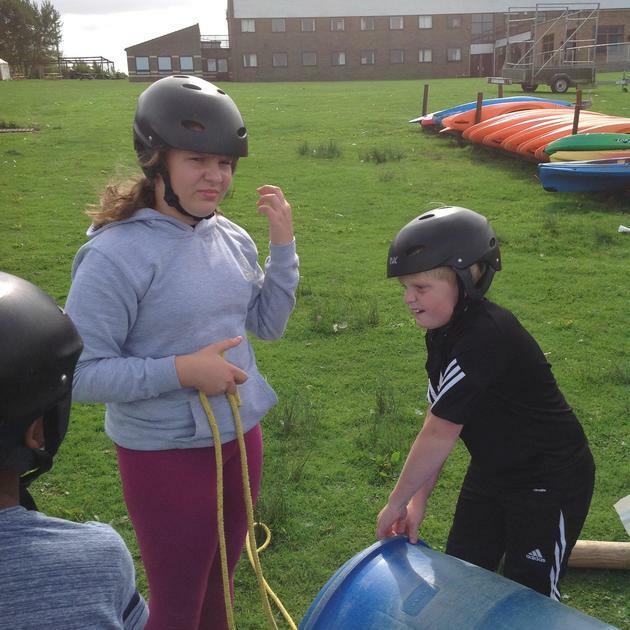 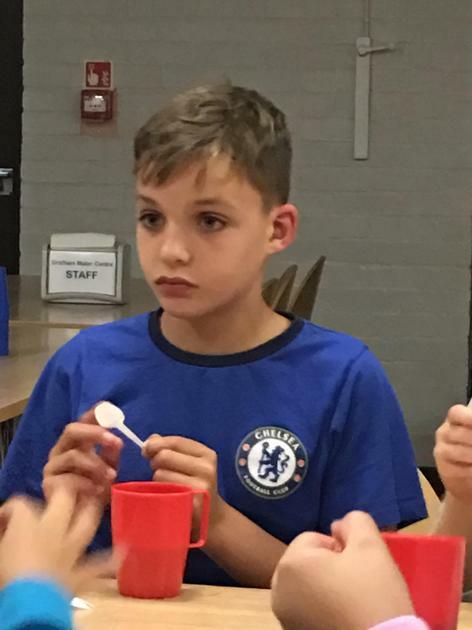 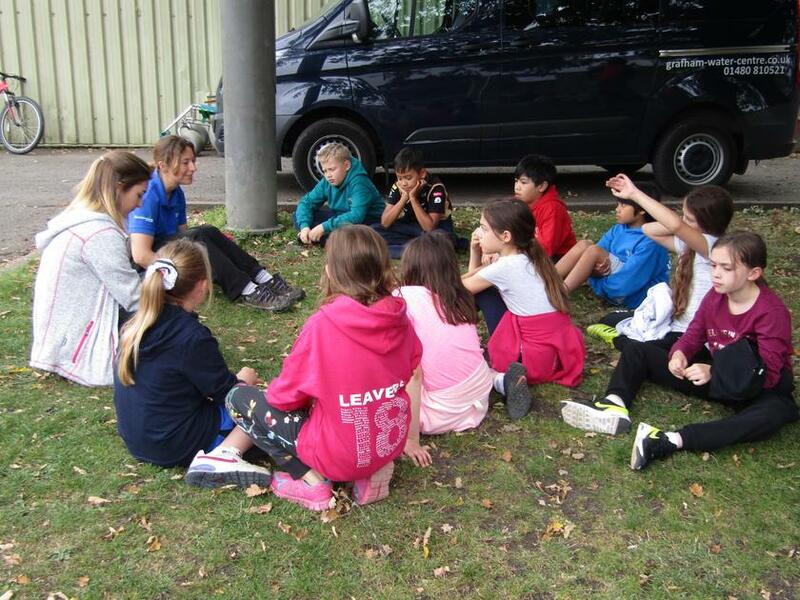 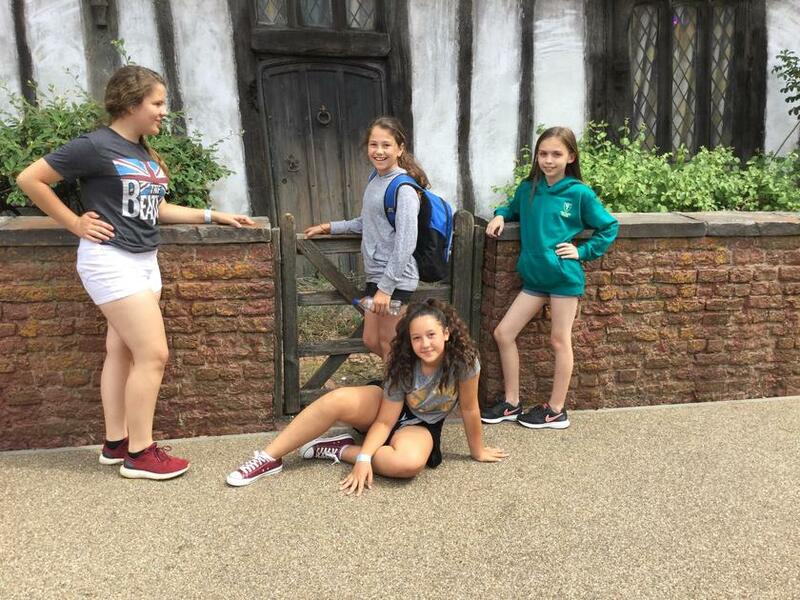 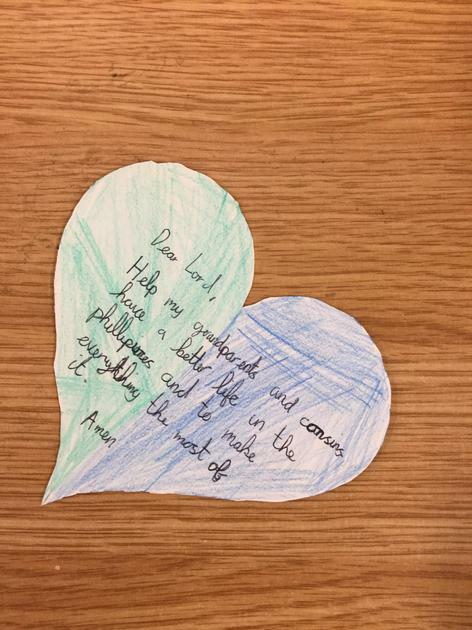 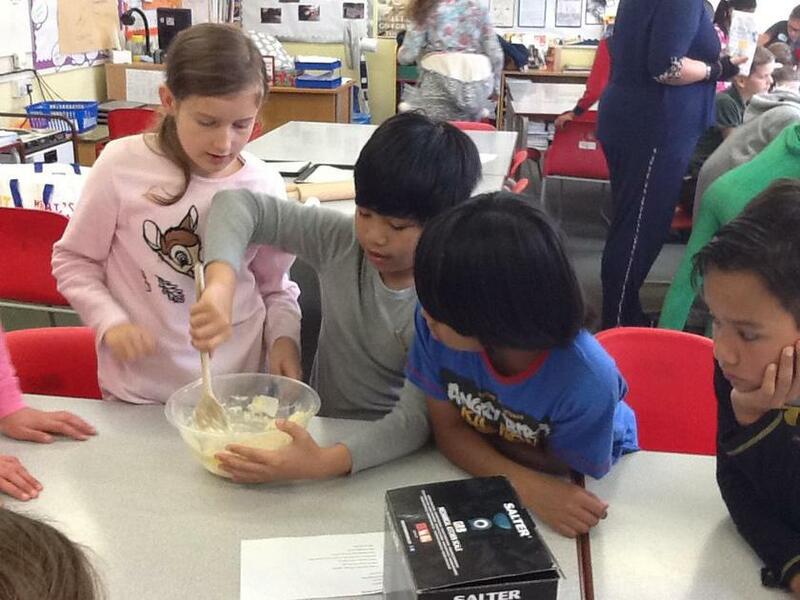 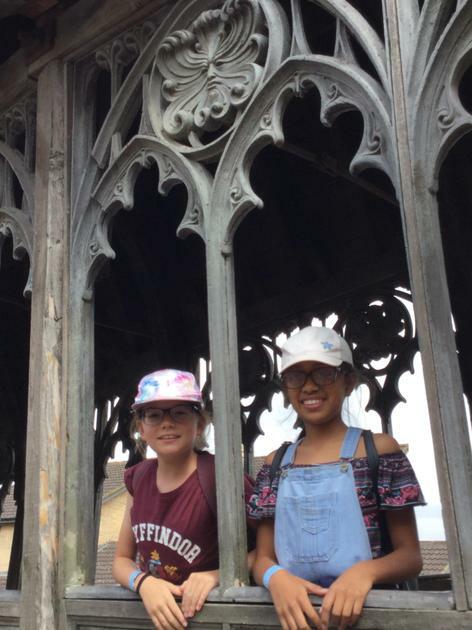 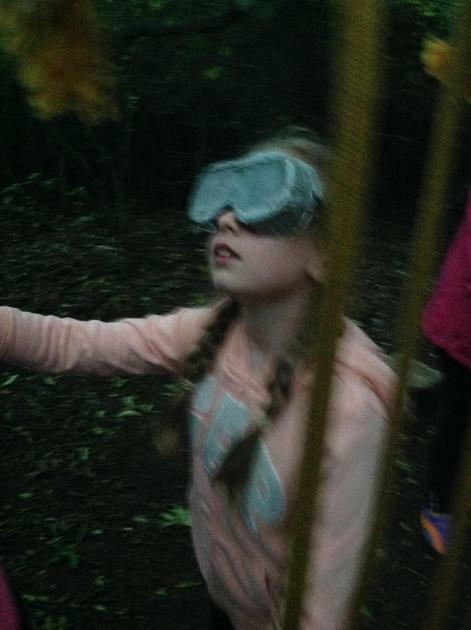 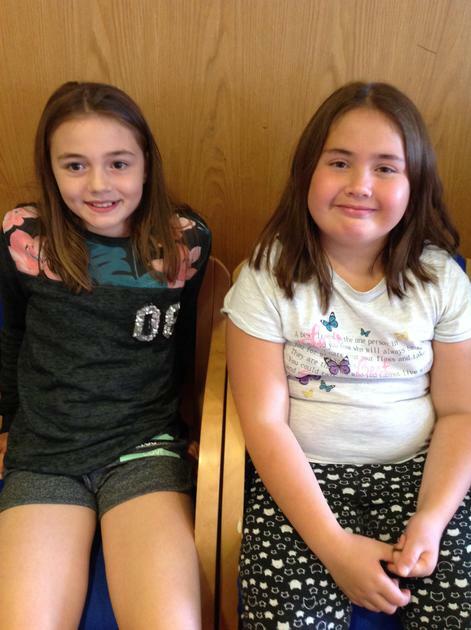 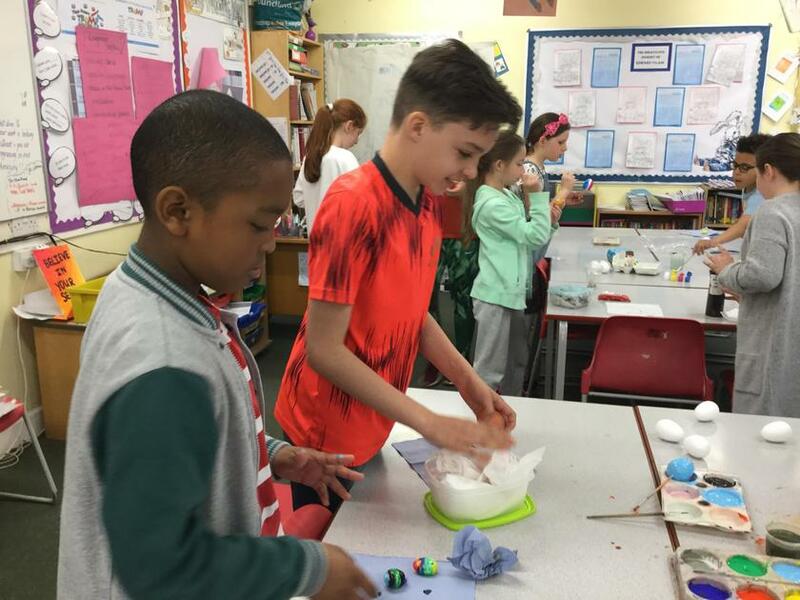 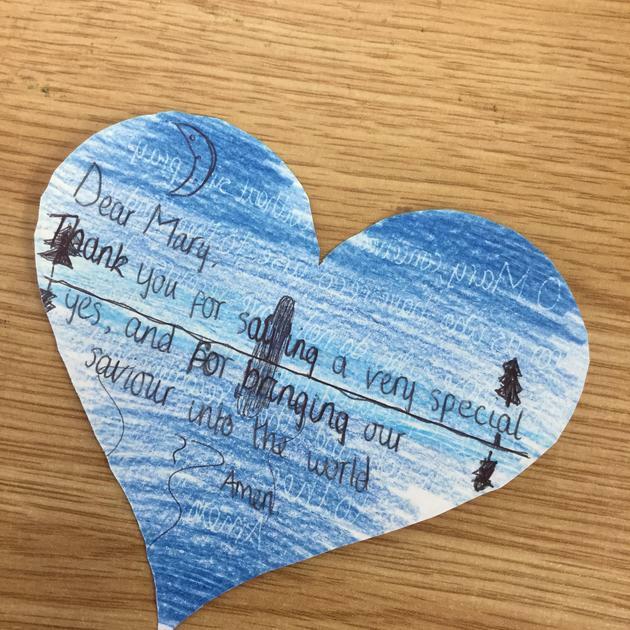 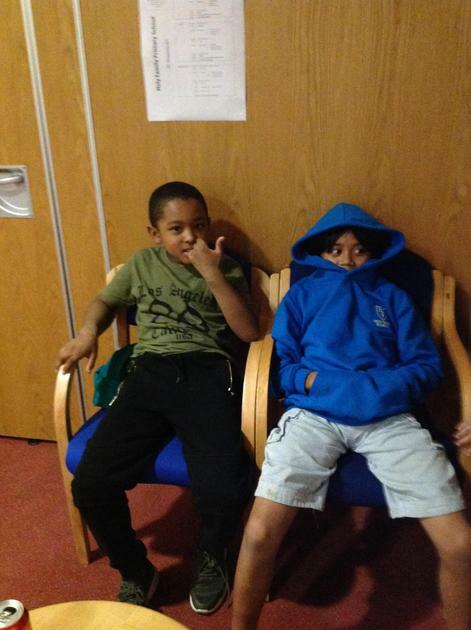 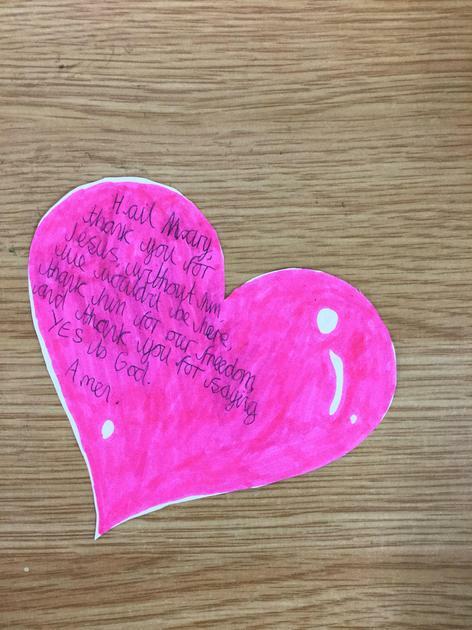 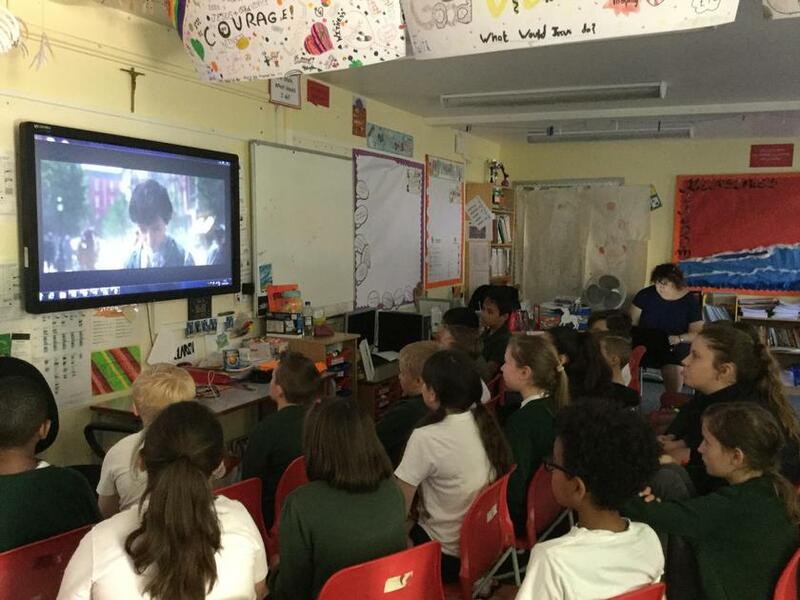 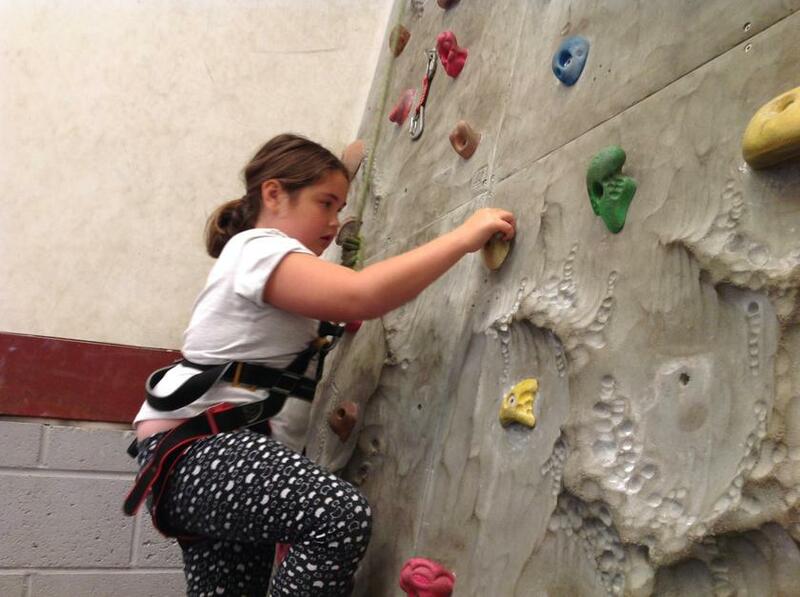 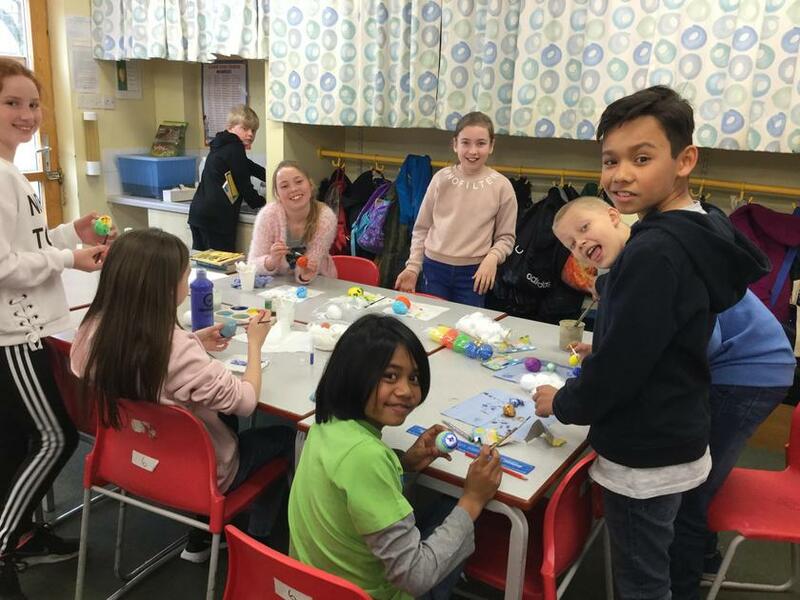 The children were fantastic and took the session really seriously, we hope that it has helped them and given them the tools to not only get through SATS week, but also to get through and overcome all obstacles and tensions that may come up in their lives. 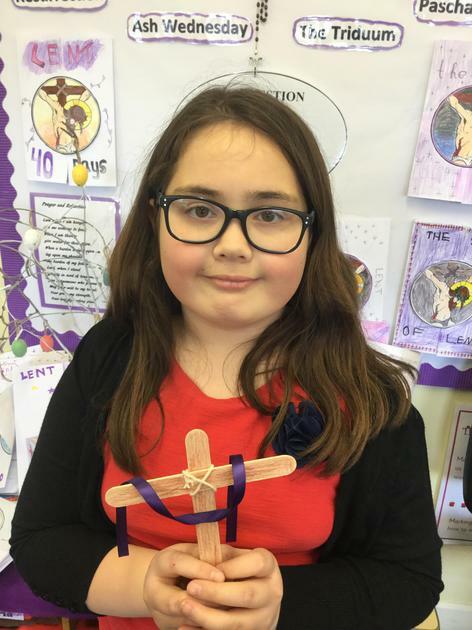 Today Lily Blair, her family and Mrs Rackliff went to Brentwood Cathedral to receive the Catholic Citizens award from Bishop Alan. 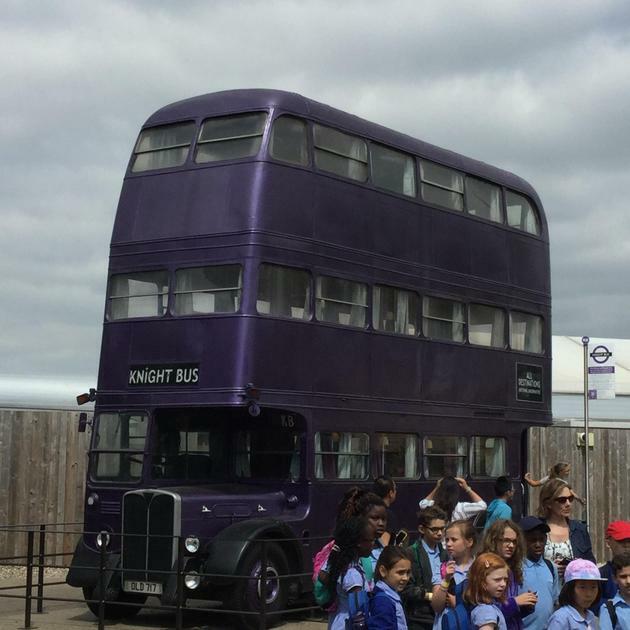 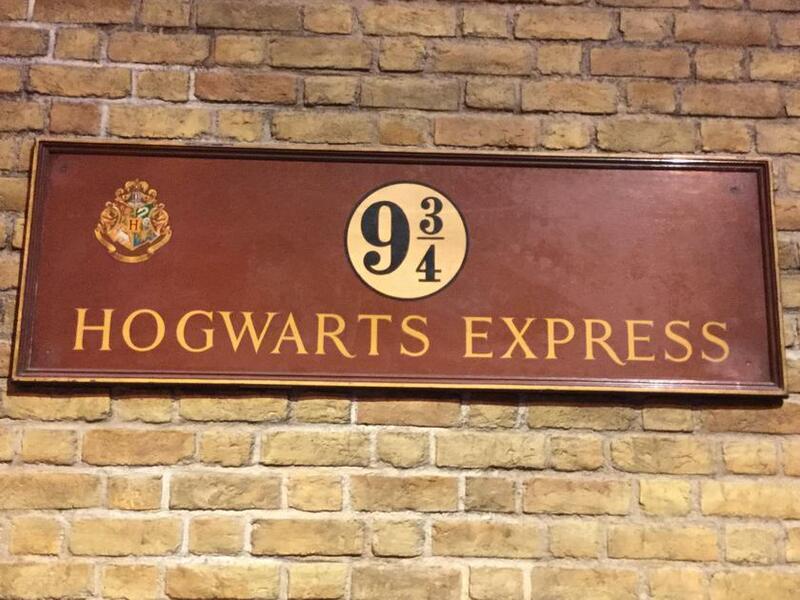 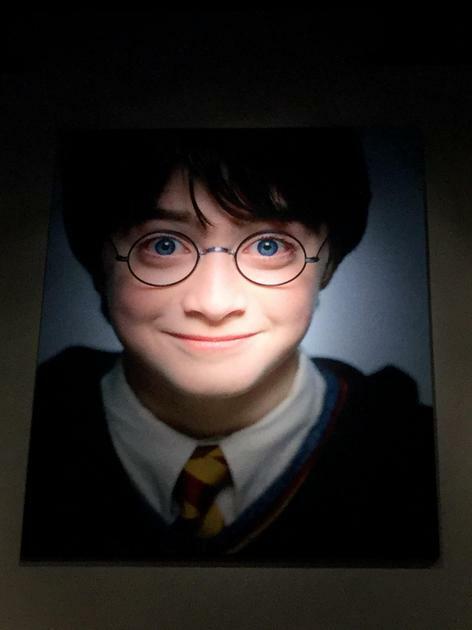 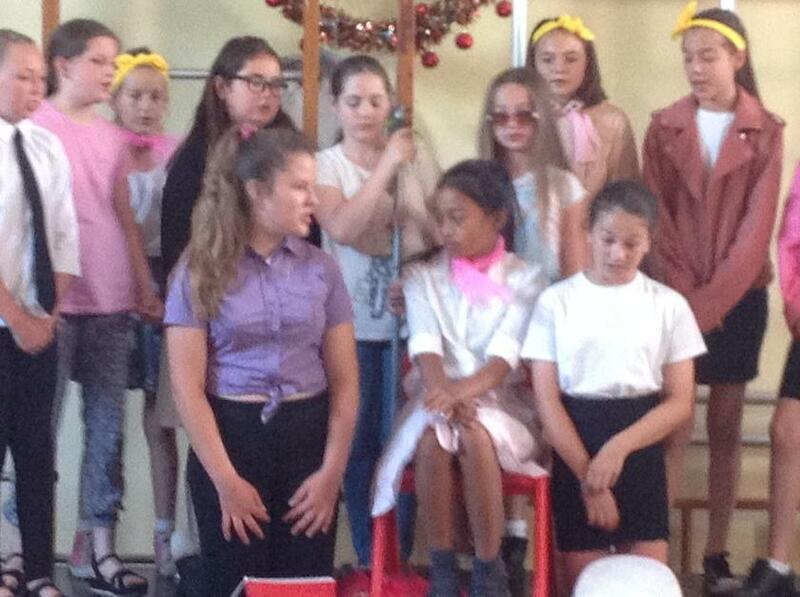 It was a wonderful experience for all involved. 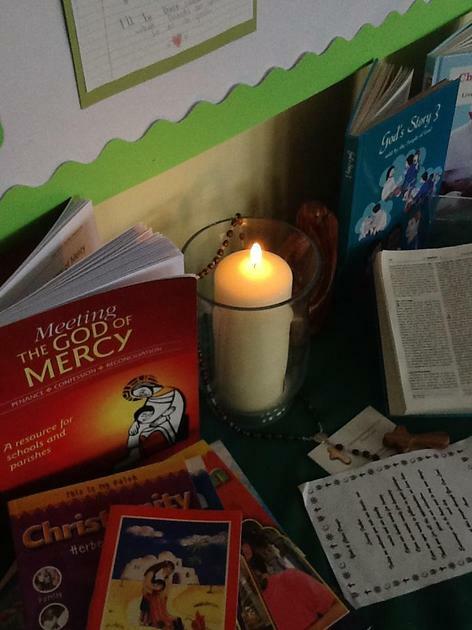 The service was enlightening, welcoming and moving. 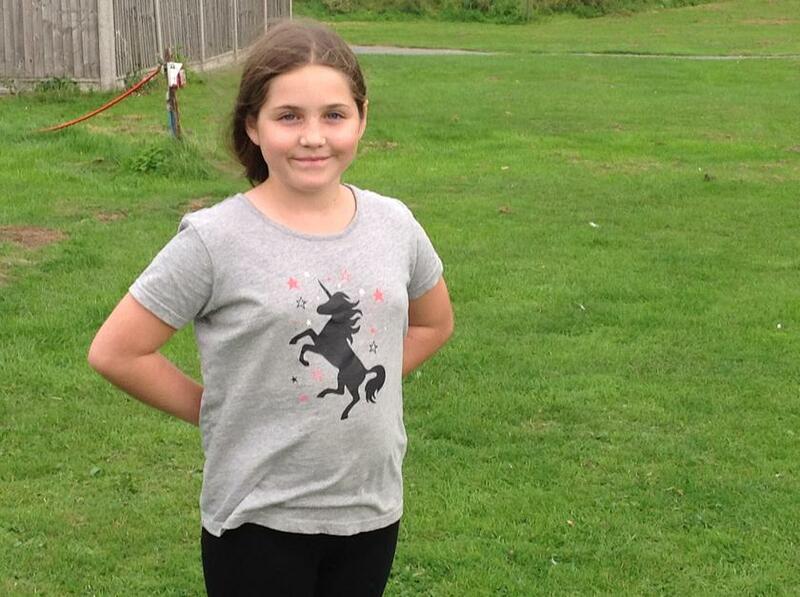 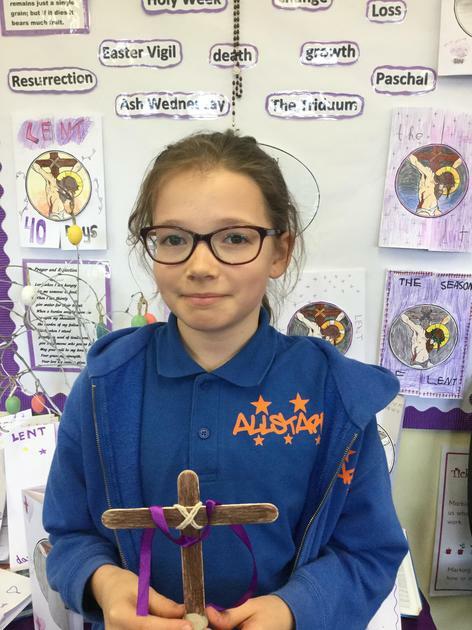 We are so very proud for Lily that she has been recognised as being an exceptional individual who through her actions and deeds exemplifies all the points required for this award. 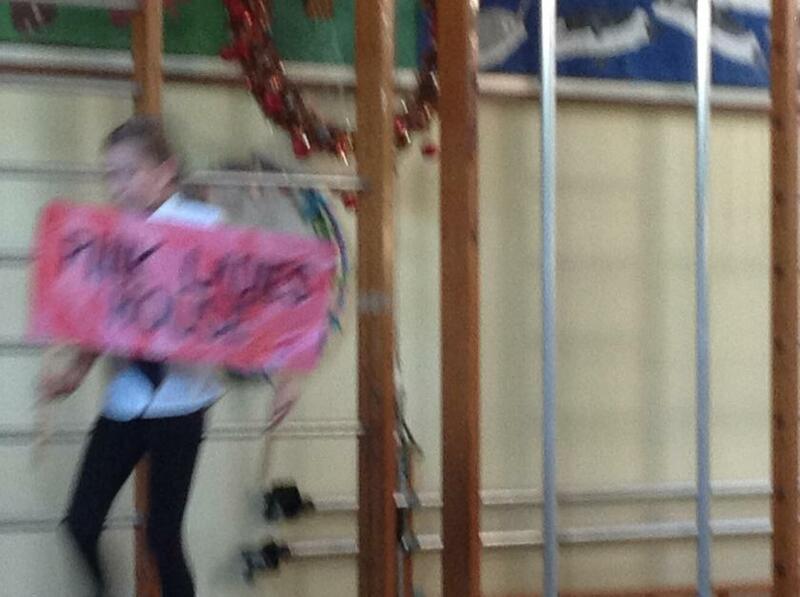 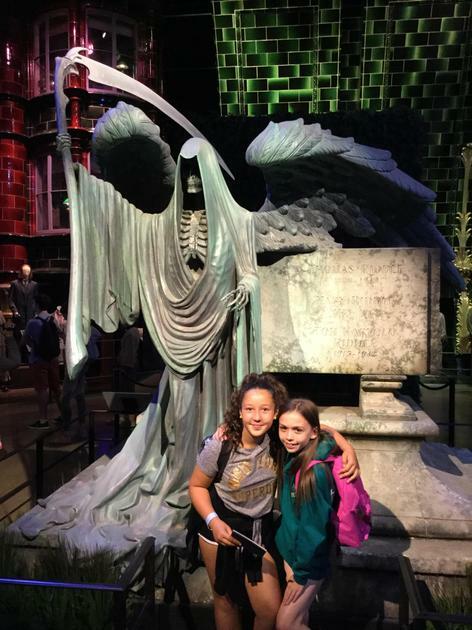 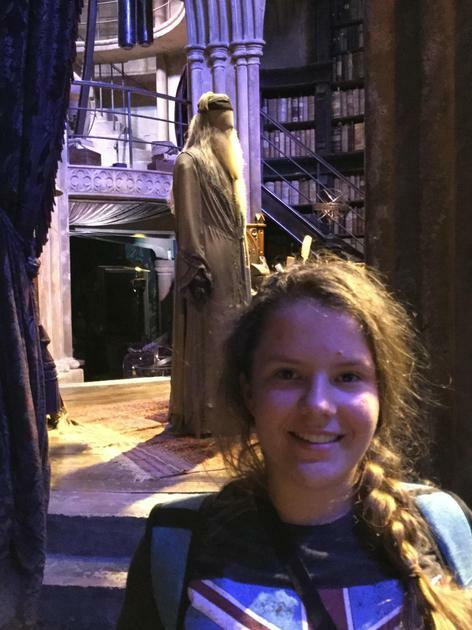 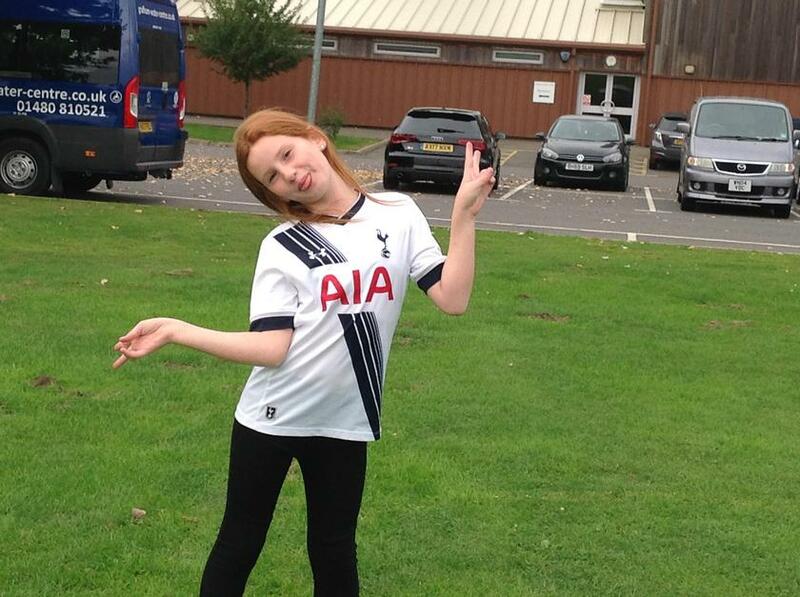 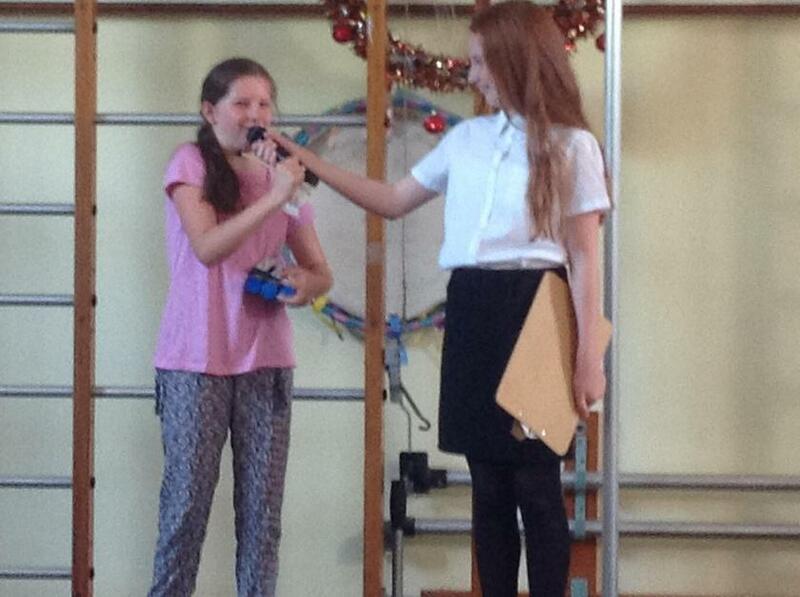 We are glad she represented the school in such a positive manner. 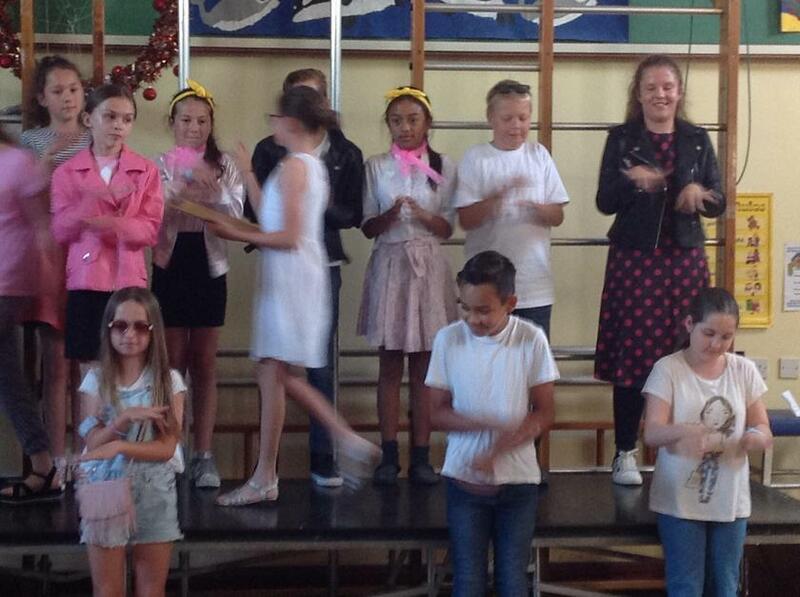 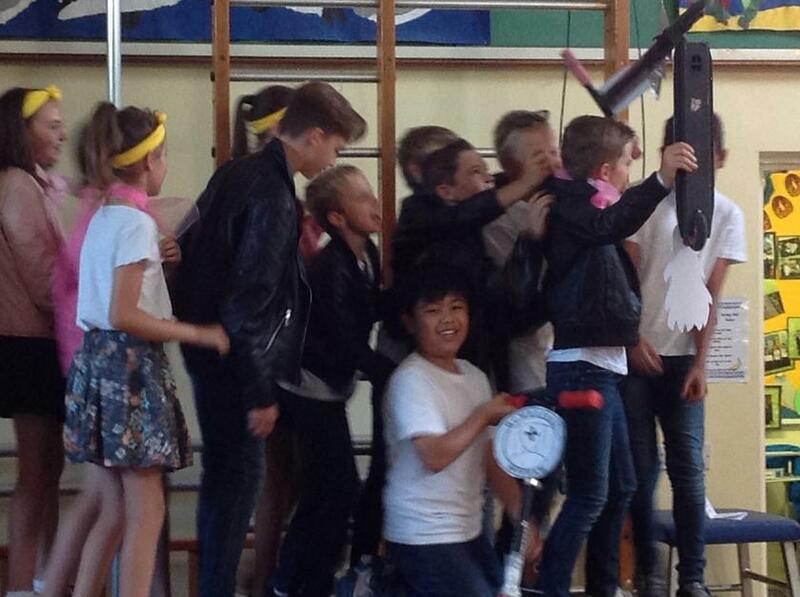 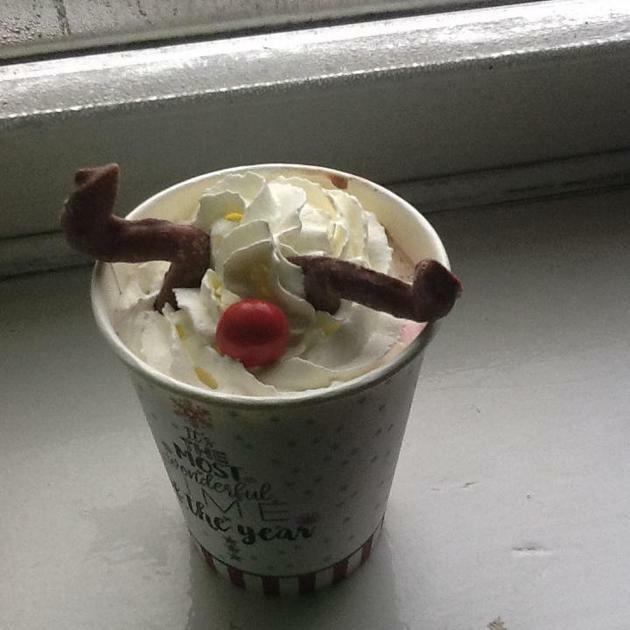 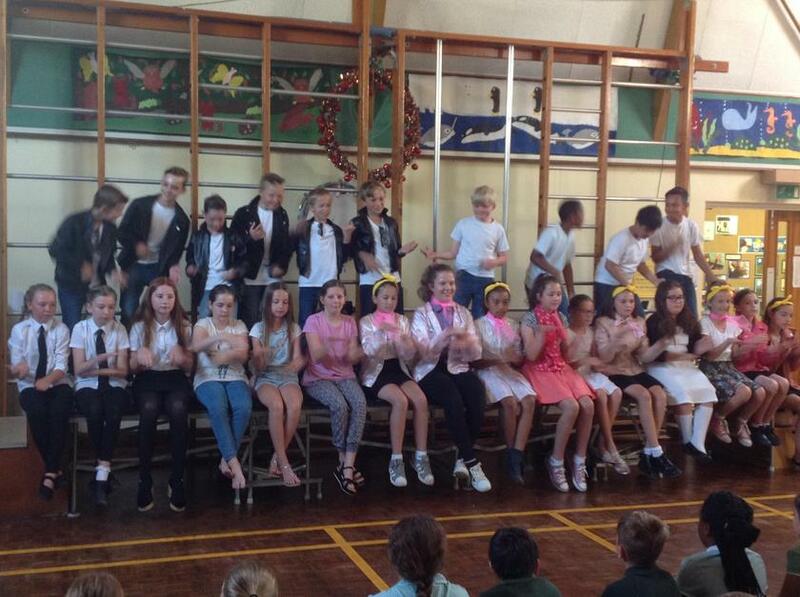 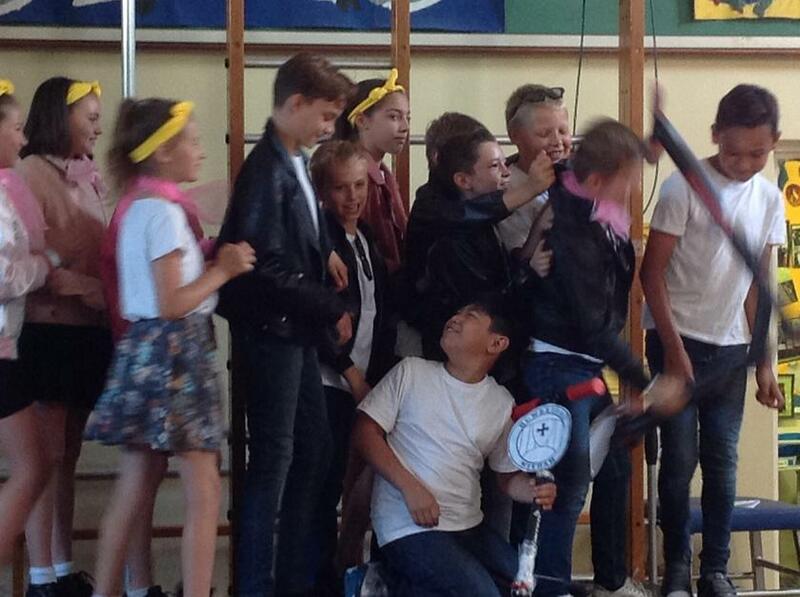 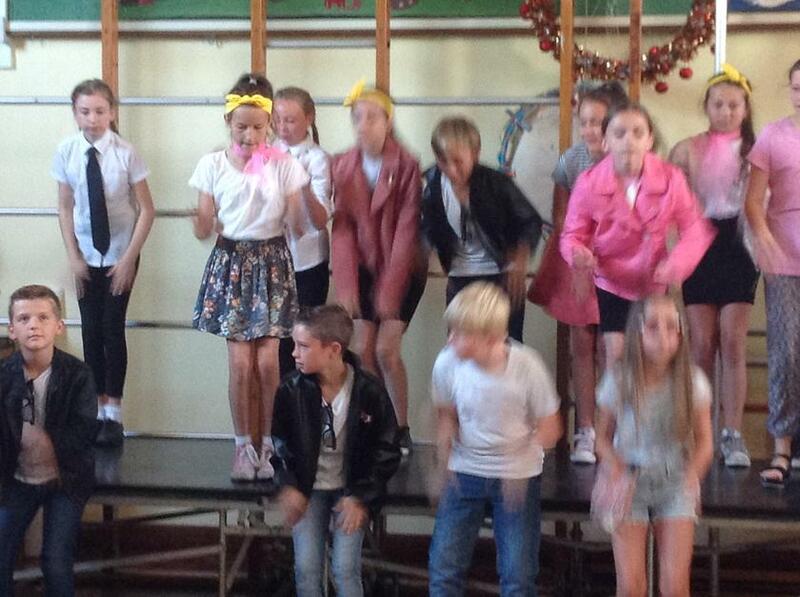 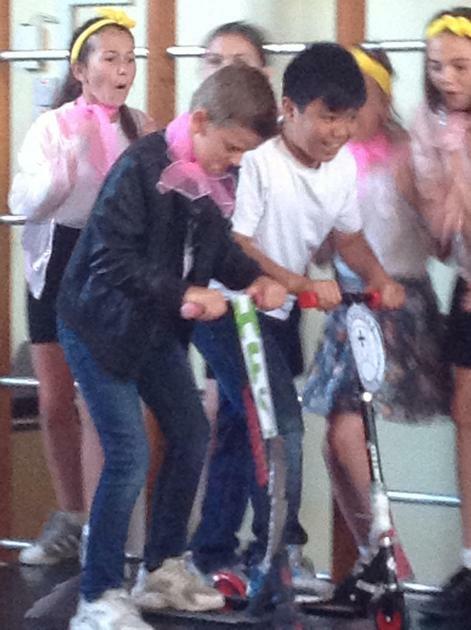 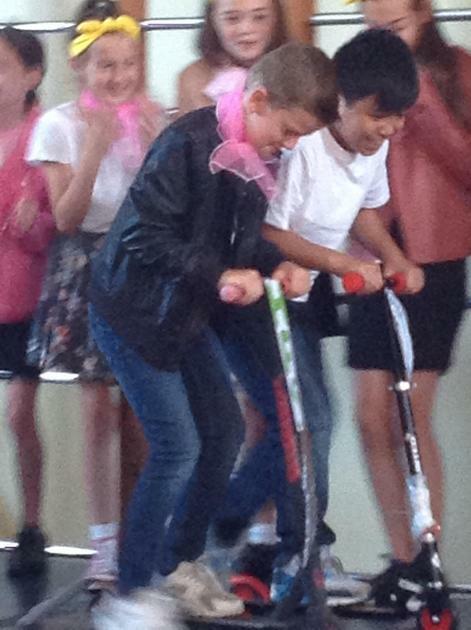 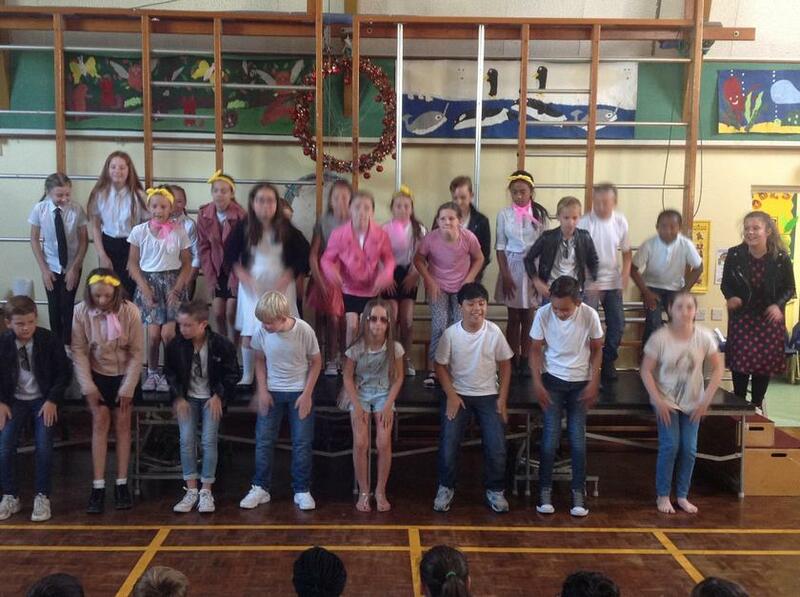 Well done again from everyone in Year 6. 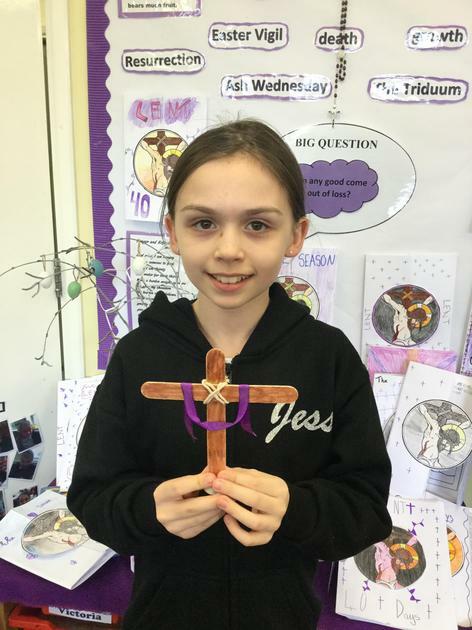 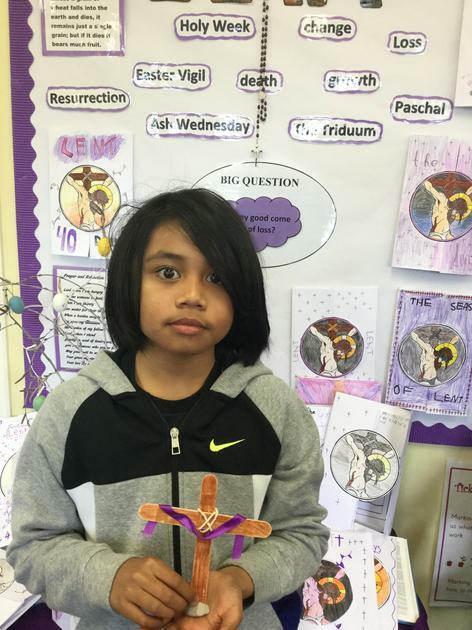 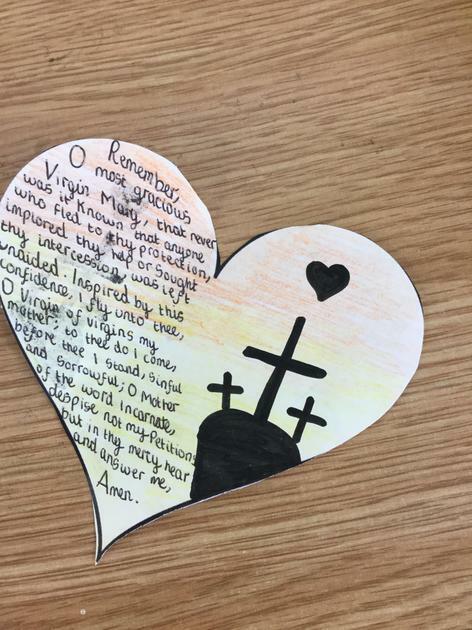 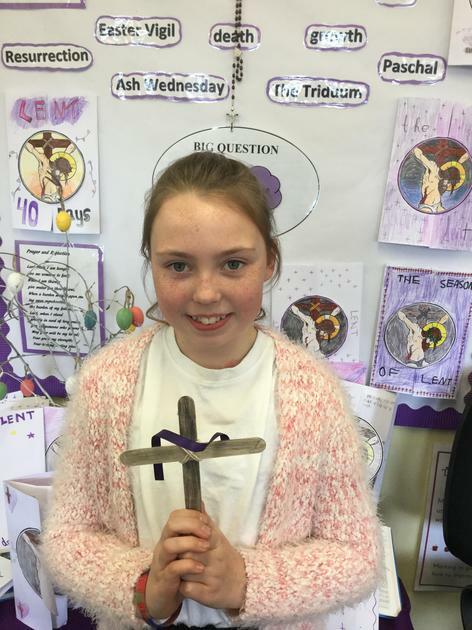 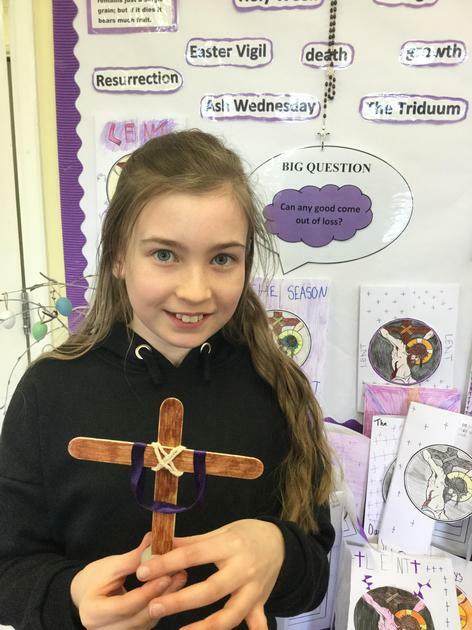 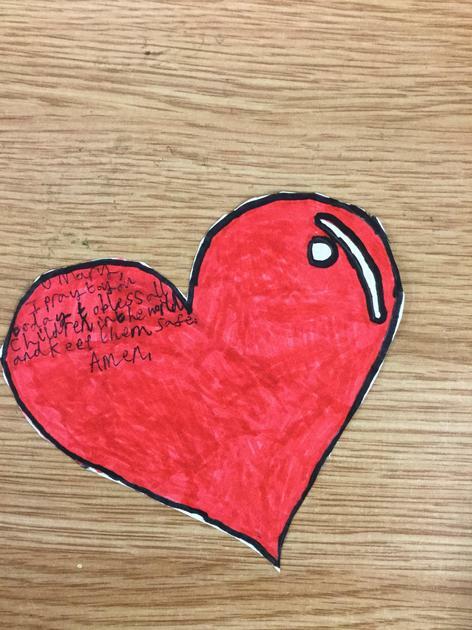 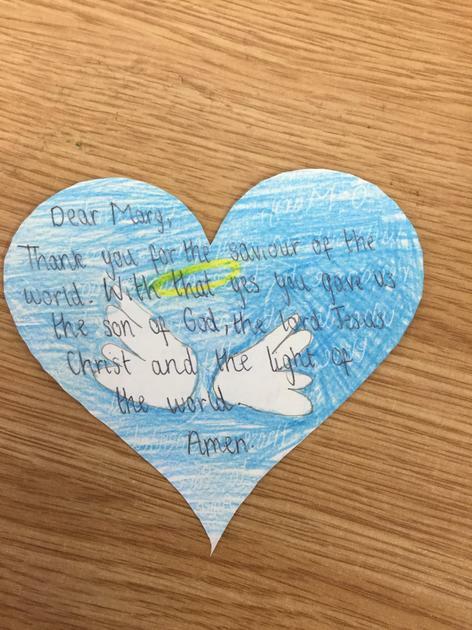 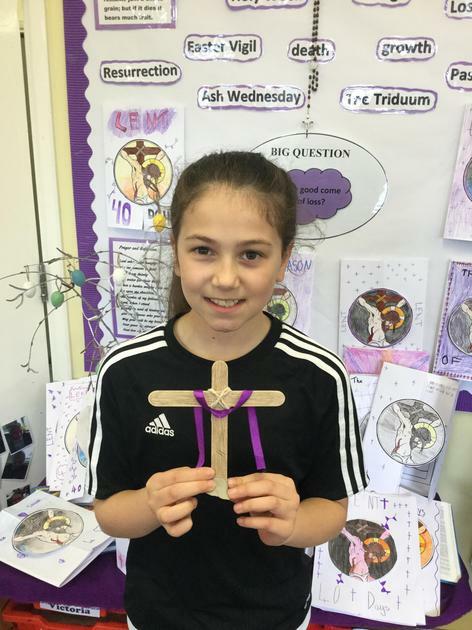 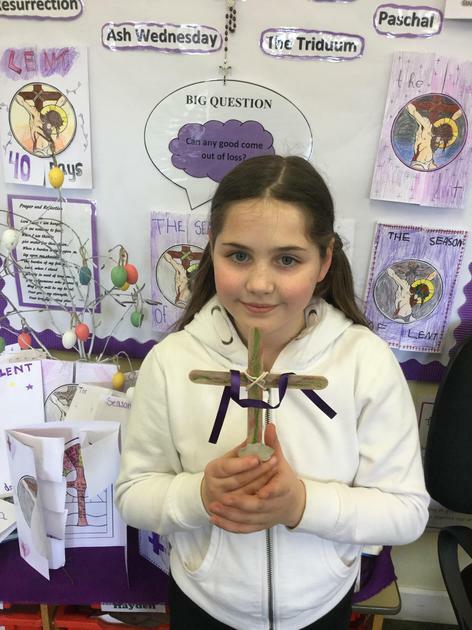 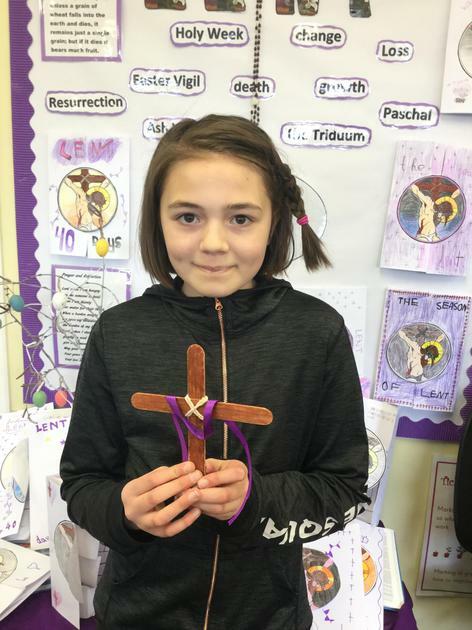 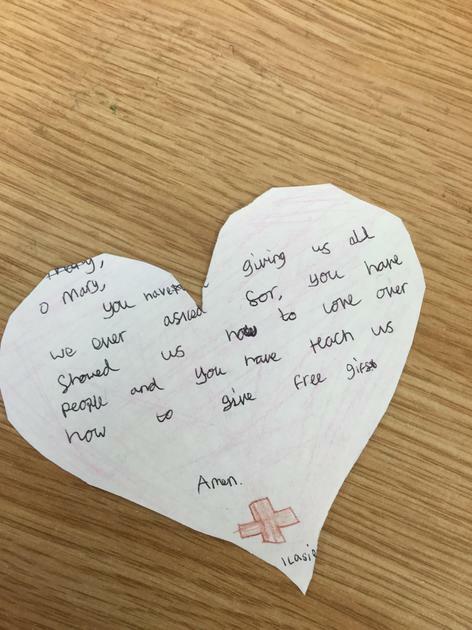 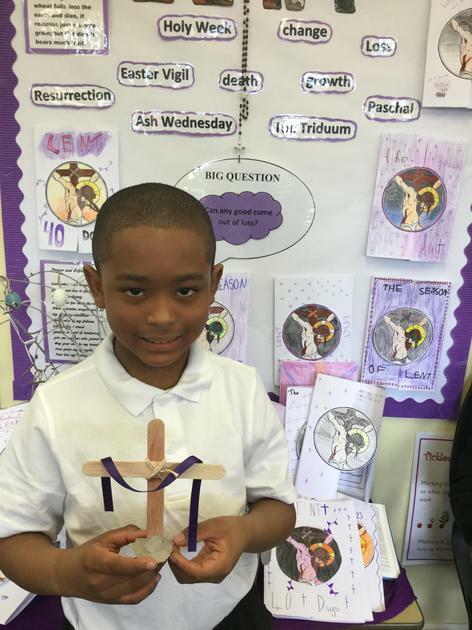 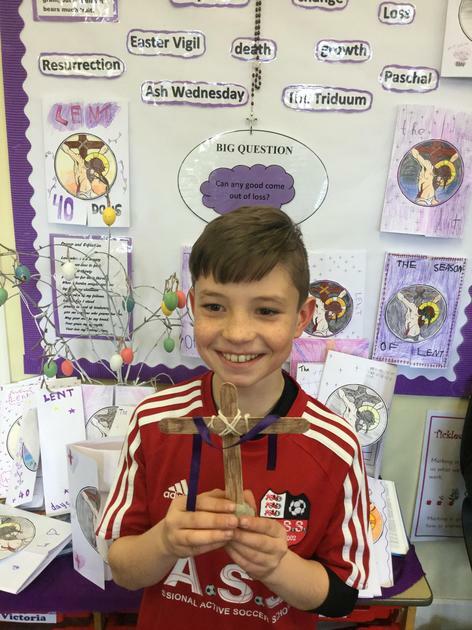 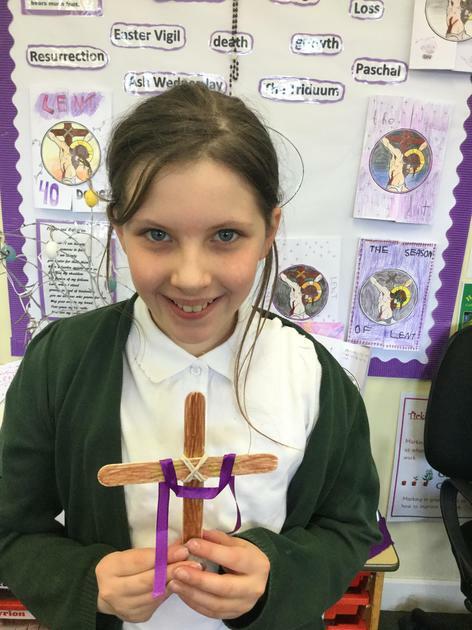 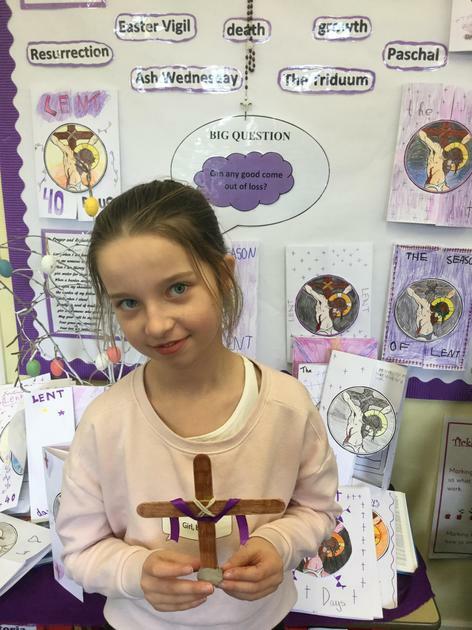 Today in in our class reflection time the children did an absolutely wonderful job at creating their own prayers and reflections and sharing them with the whole class. 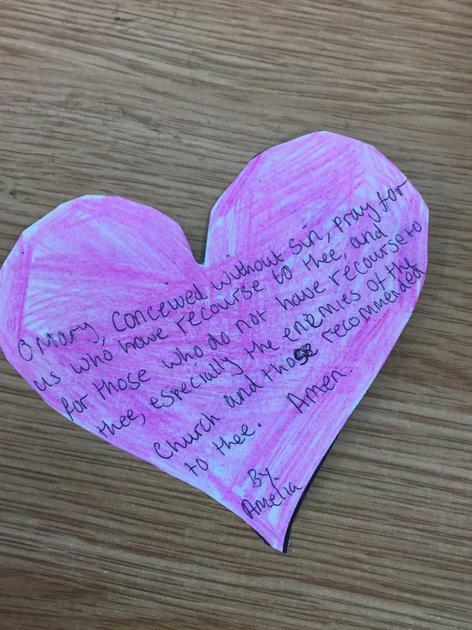 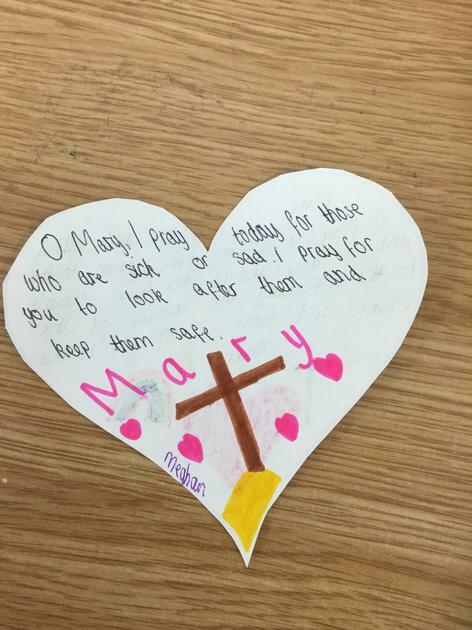 Prayers were said for family members, members of the church community and for themselves. 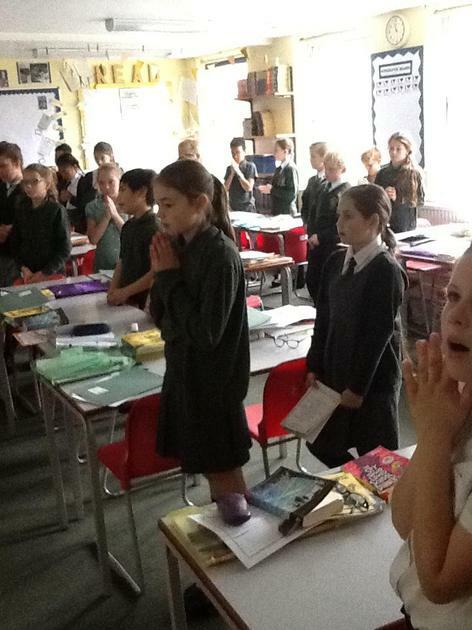 They delivered their prayers in a very thoughful and caring manner. 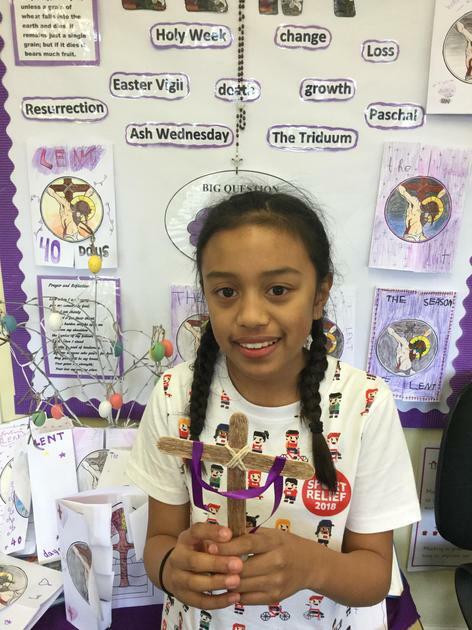 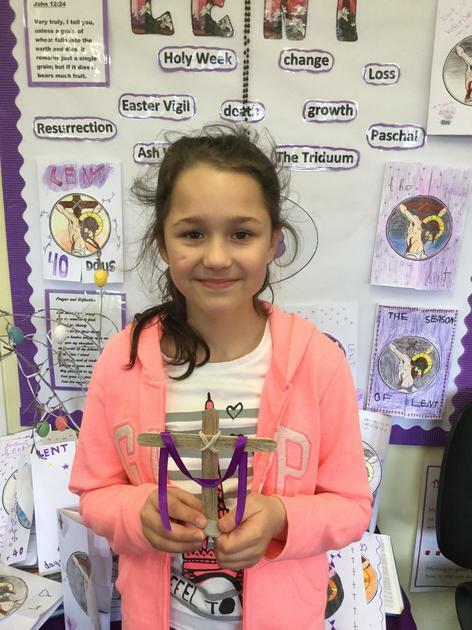 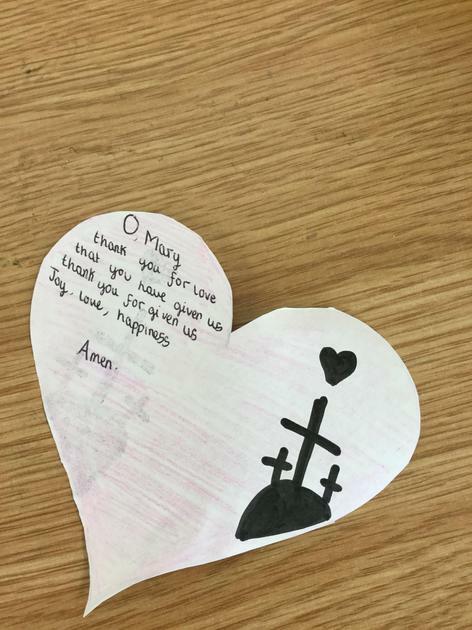 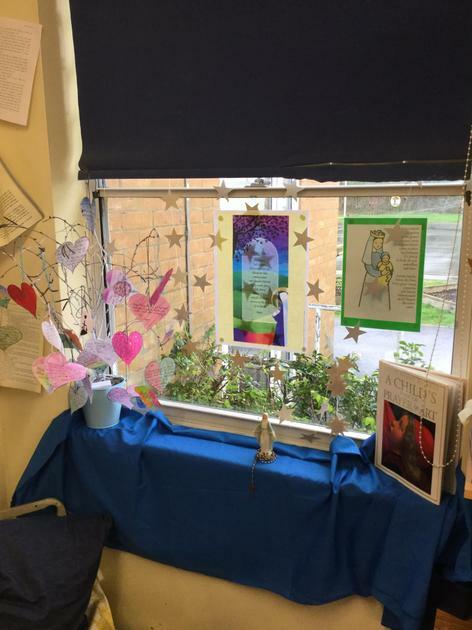 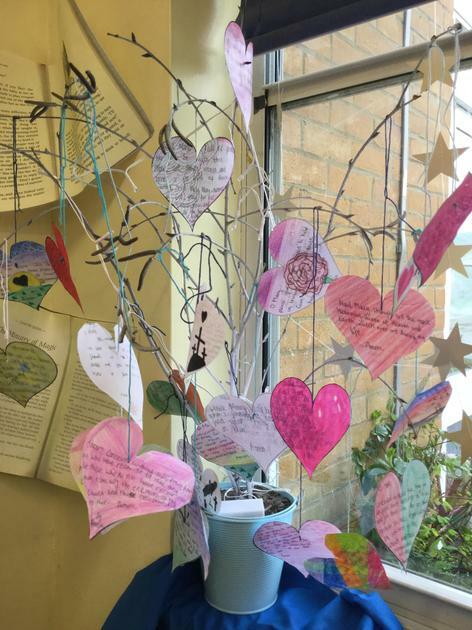 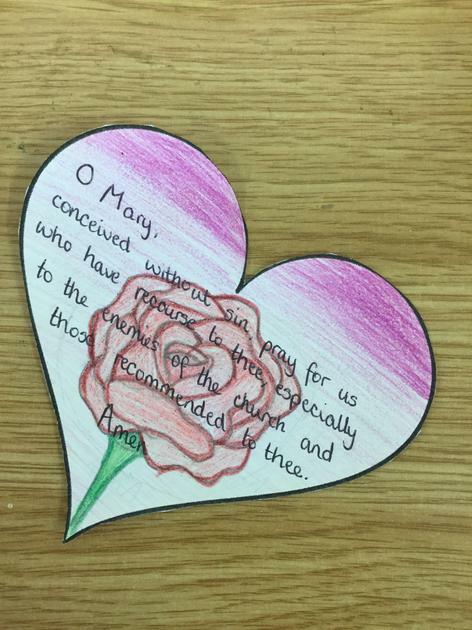 To celebrate this joyous month of May the children have created an area for Our Lady with a prayer tree. 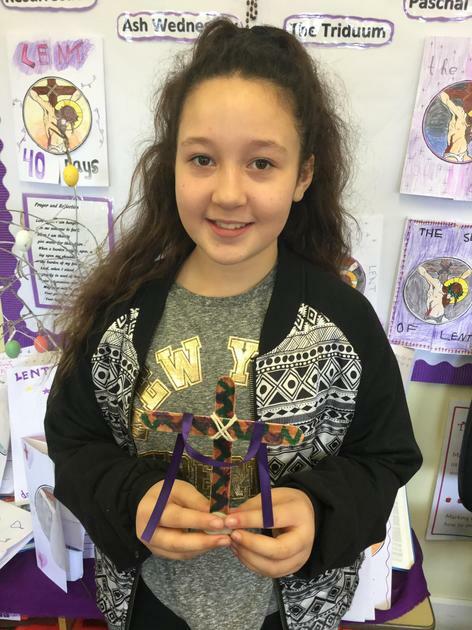 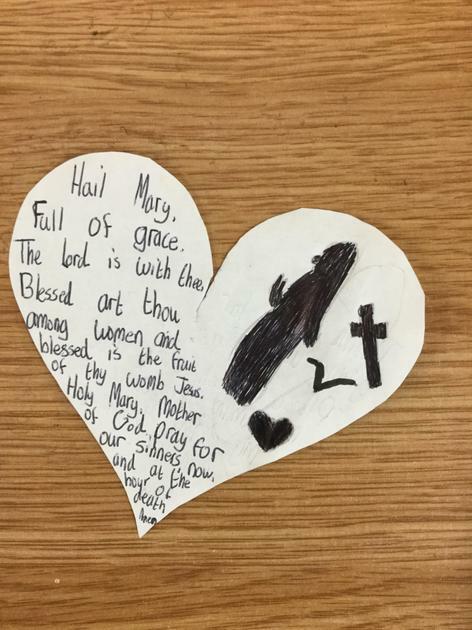 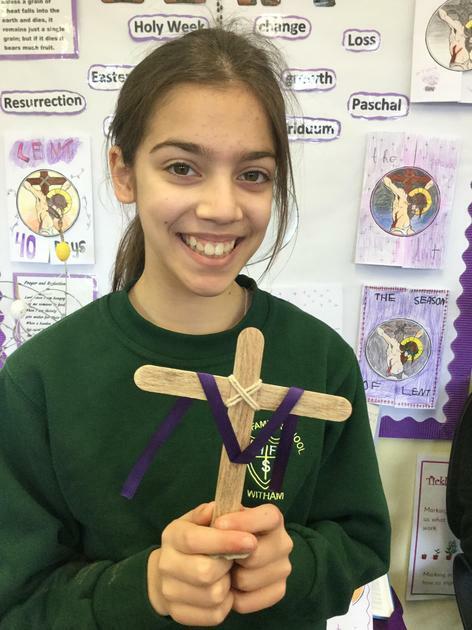 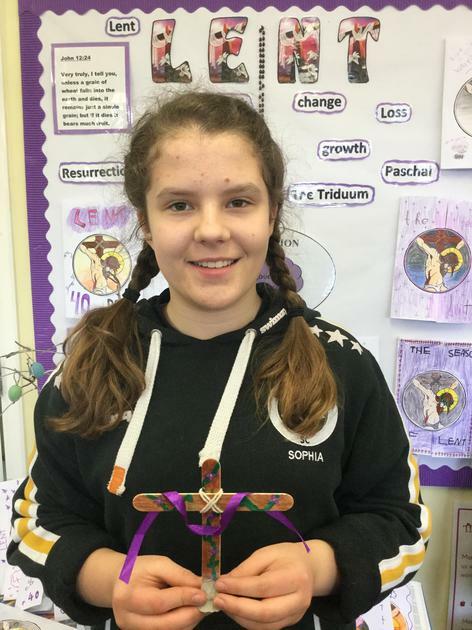 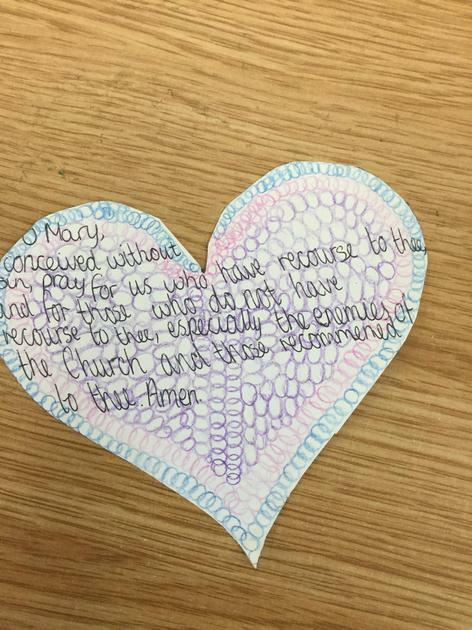 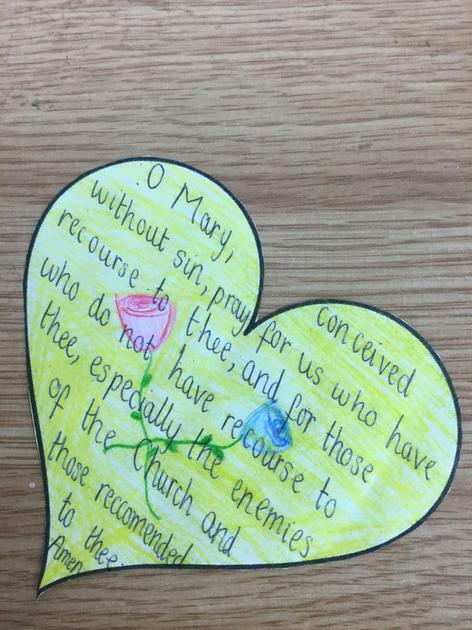 They have also placed their intercessions to Mary on the tree and have decorated the area with their art work. 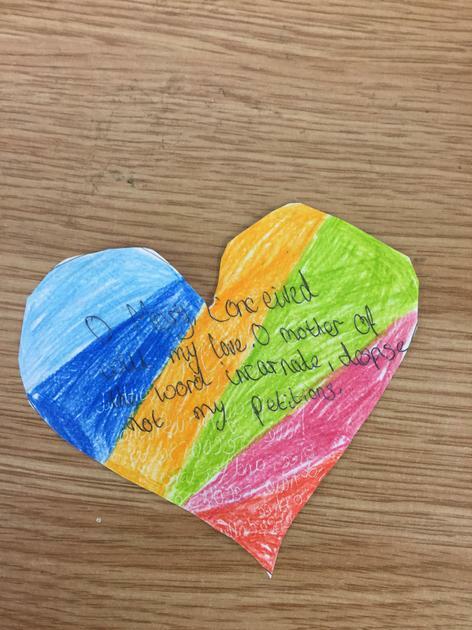 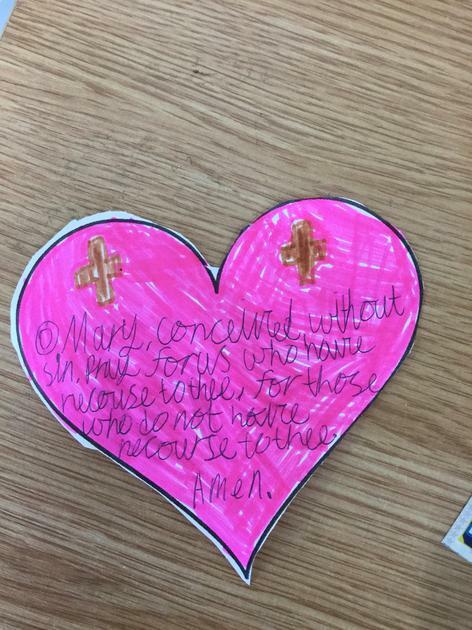 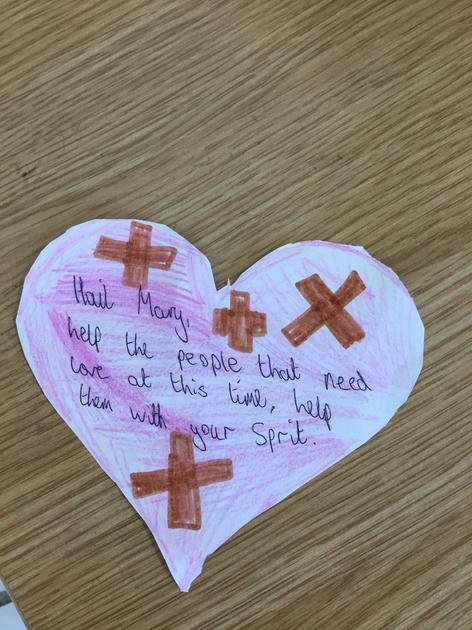 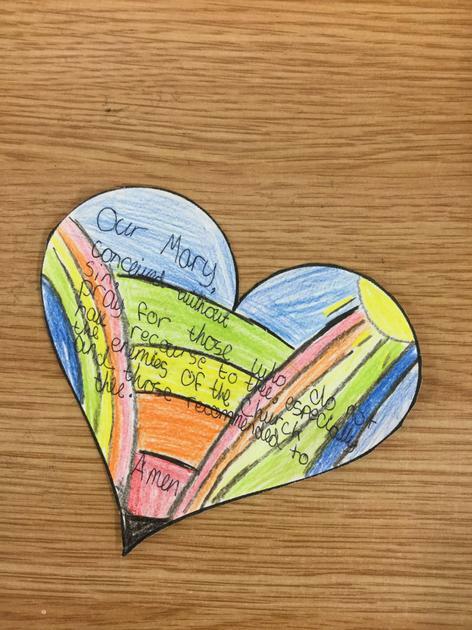 To continue with this terms theme about Pentecost the children have been discussing what characteristics are sometimes needed to be a witness. 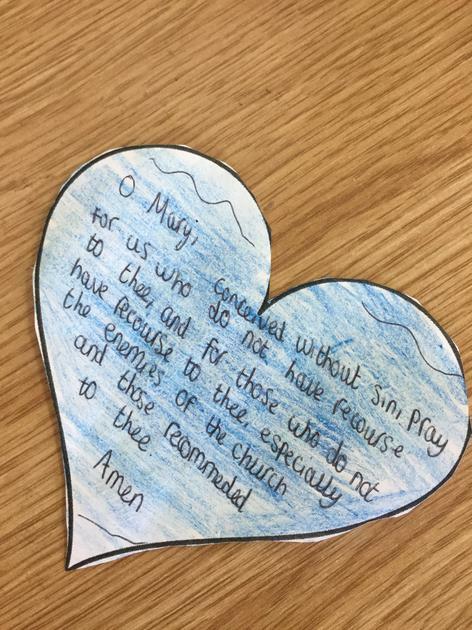 They have discussed being like the disciples and witnessing Jesus’ resurrection from the dead, and comparing this to being witnesses in every day life. 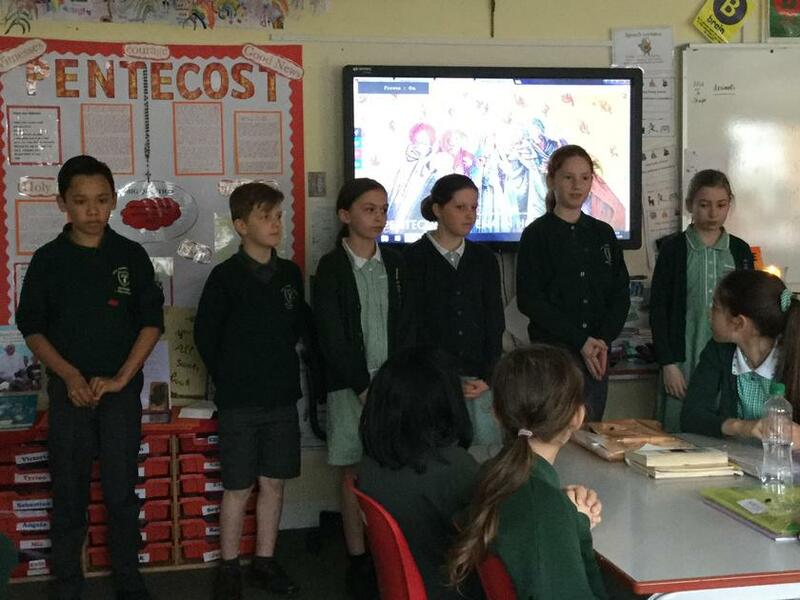 They discussed how it takes courage and determination to stand up to adversity and to be prepared to defend their beliefs and morals. 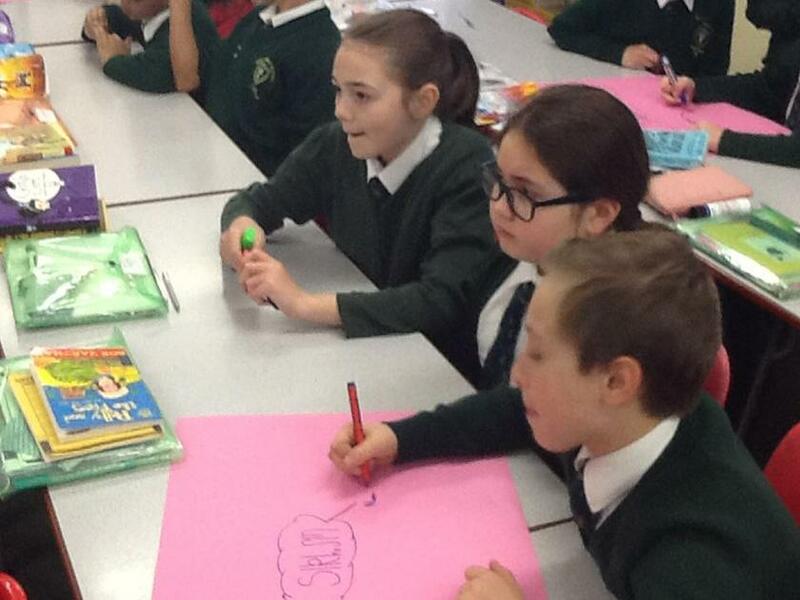 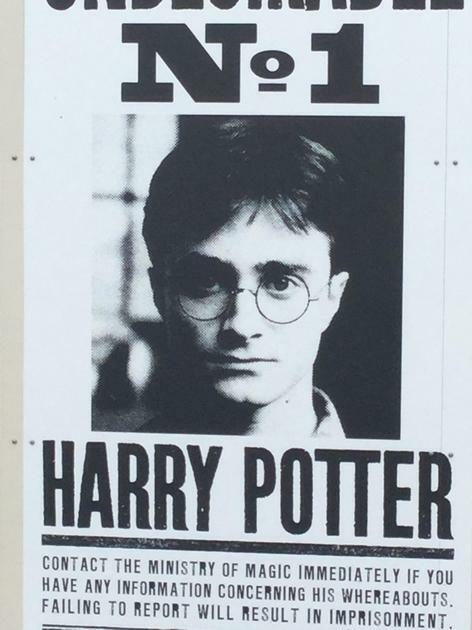 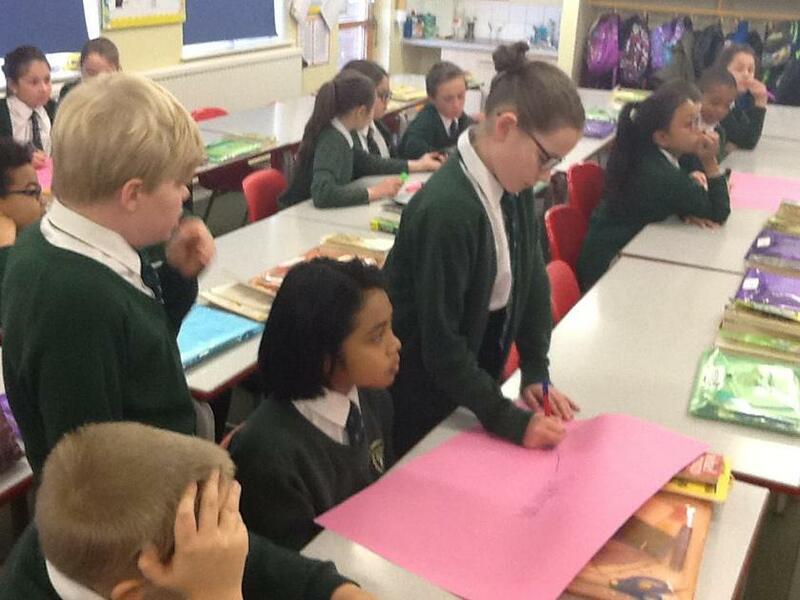 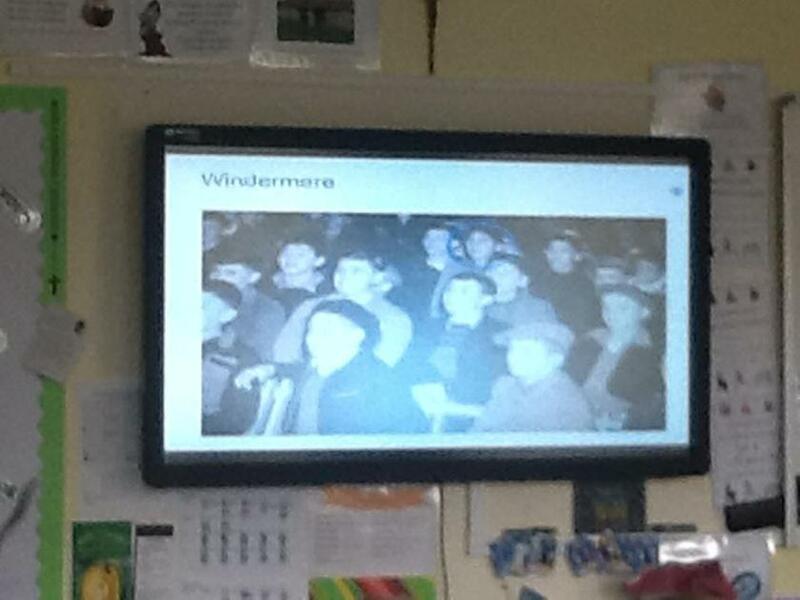 They then made posters to reflect being witnesses. 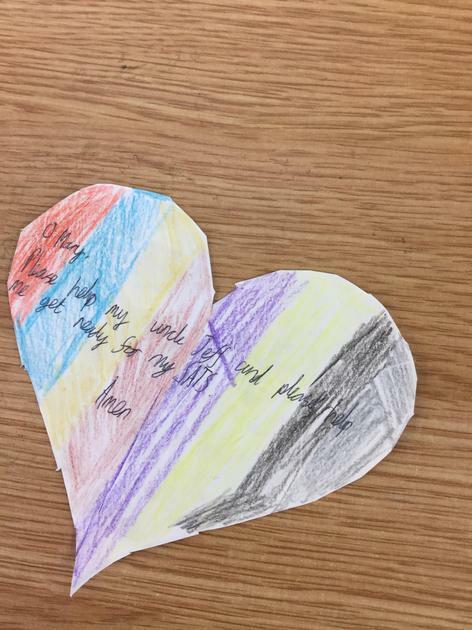 Also the children worked on rainbows 🌈to reflect Jesus’ promise to us. 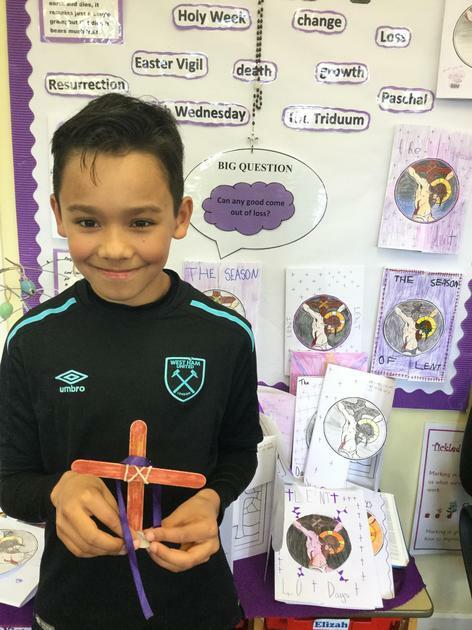 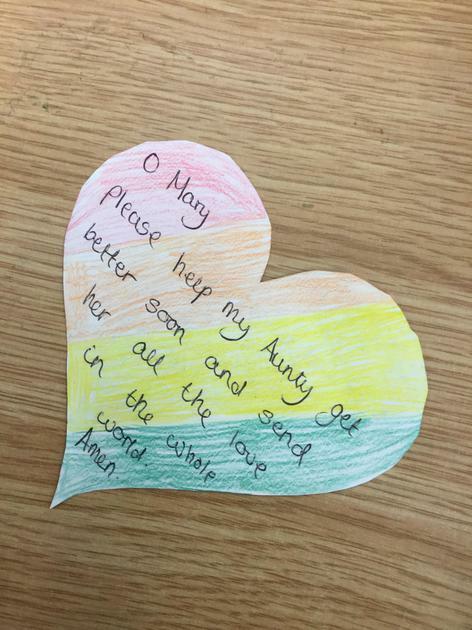 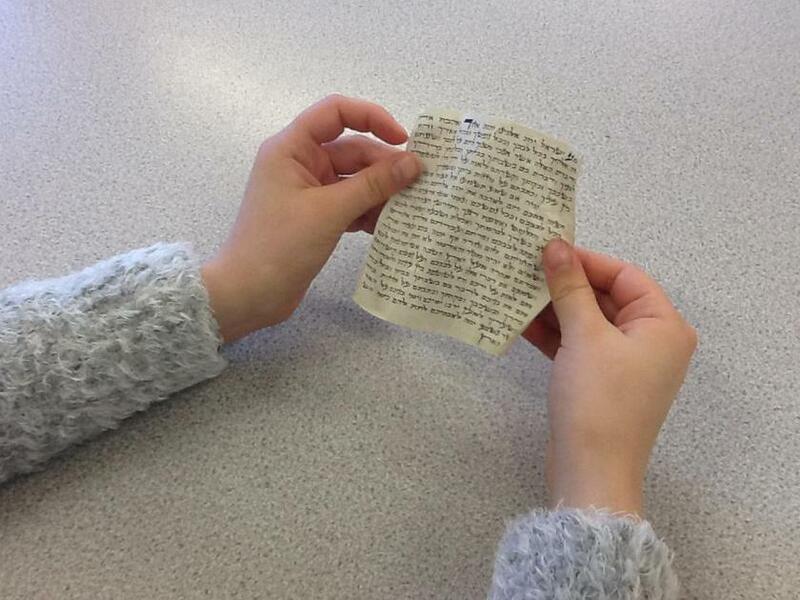 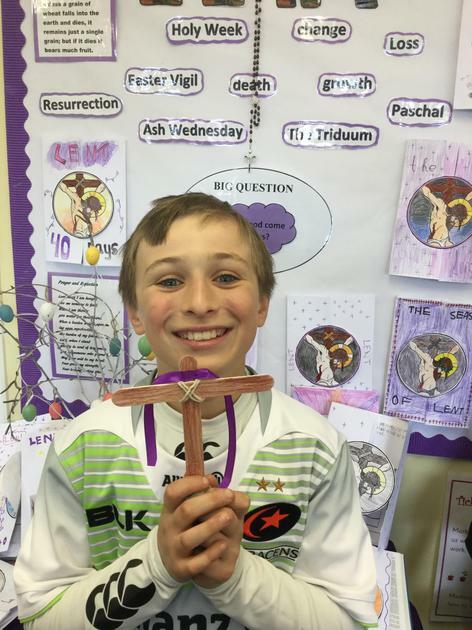 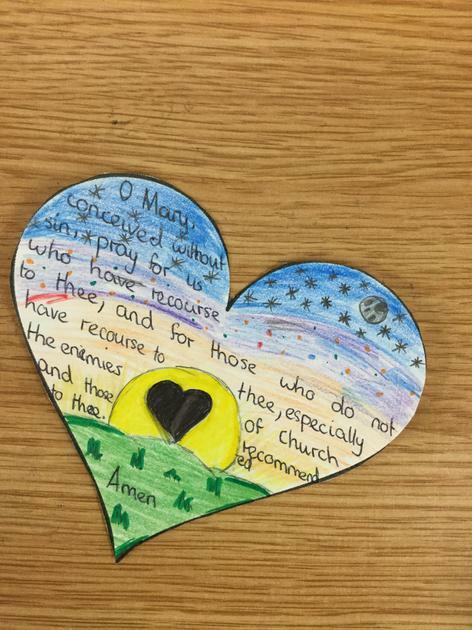 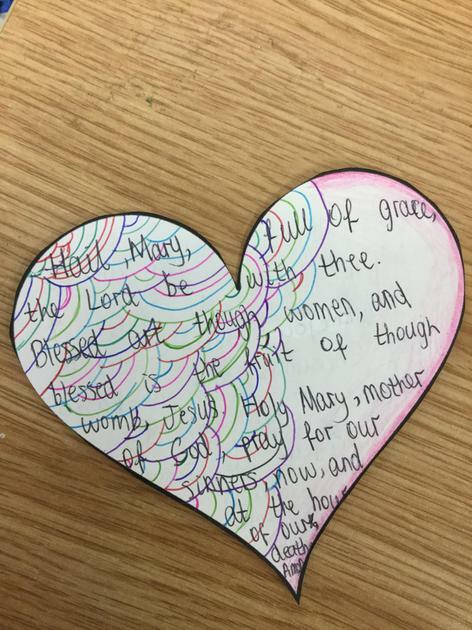 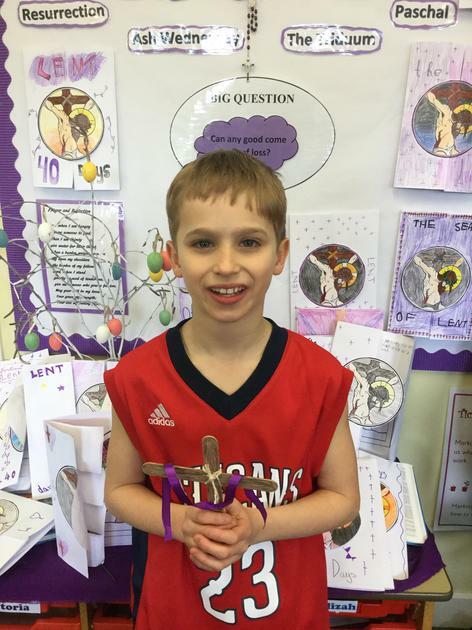 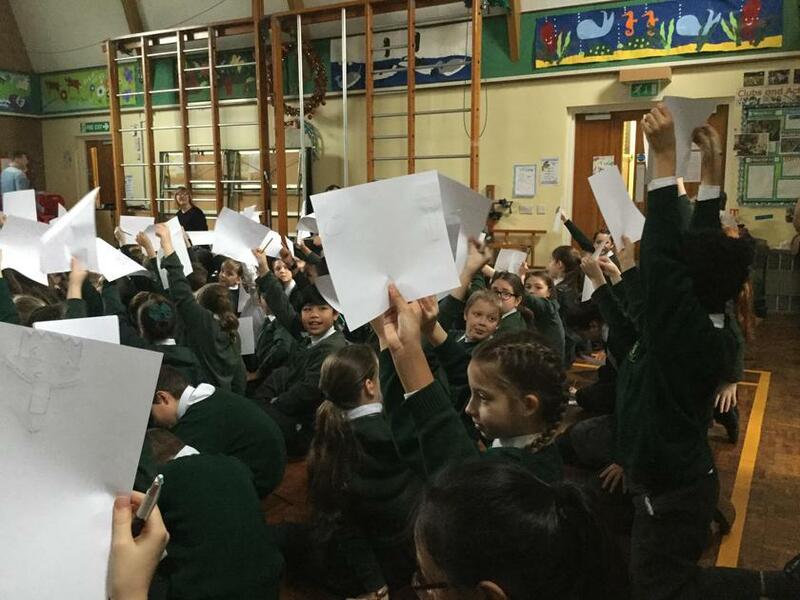 The children included scripture from Matthew and Luke on their rainbows, with phrases about the resurrection. 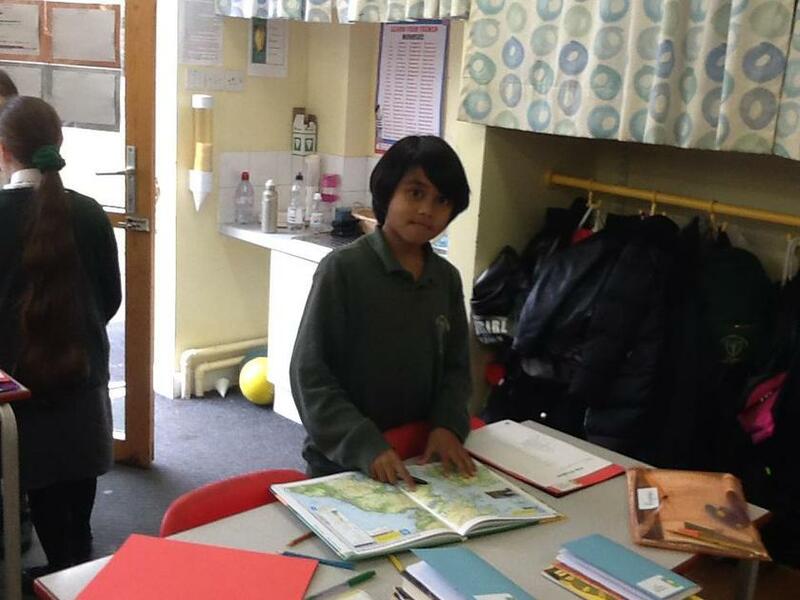 In our English lessons we have been looking at writing a set of instructions. 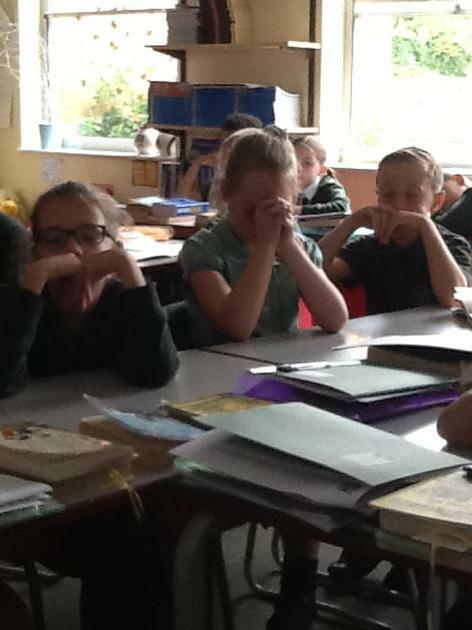 The class had to write instructions on 'How to Floss'. 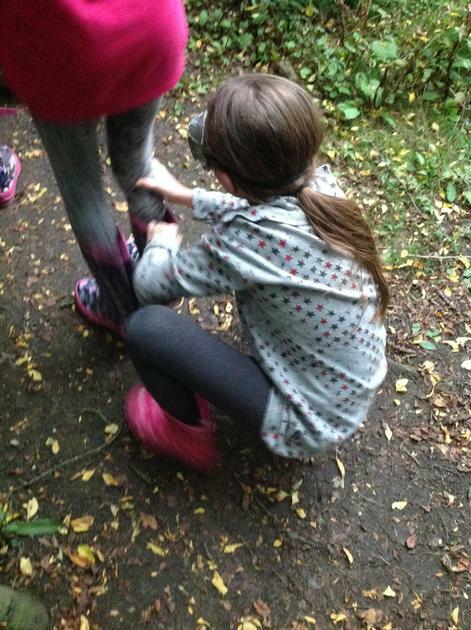 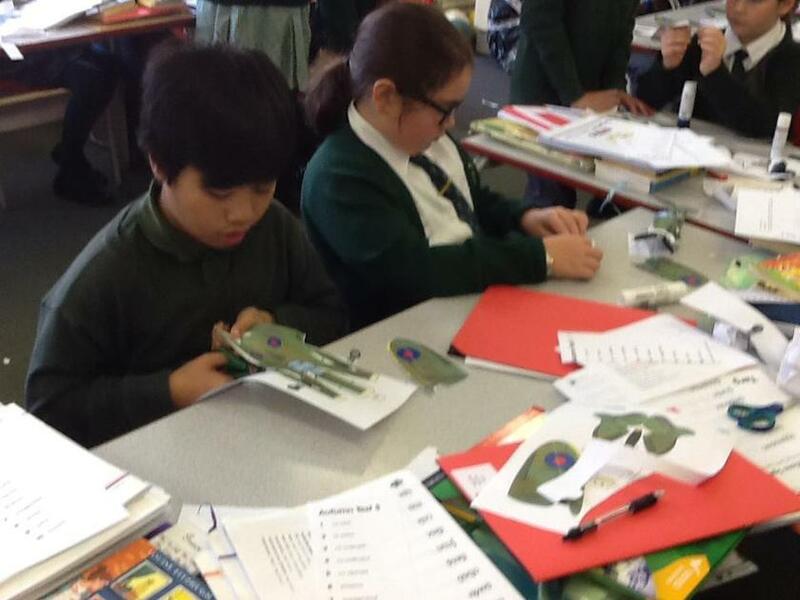 They then had to follow through all these instructions with a buddy to see if they had the instructions correct. 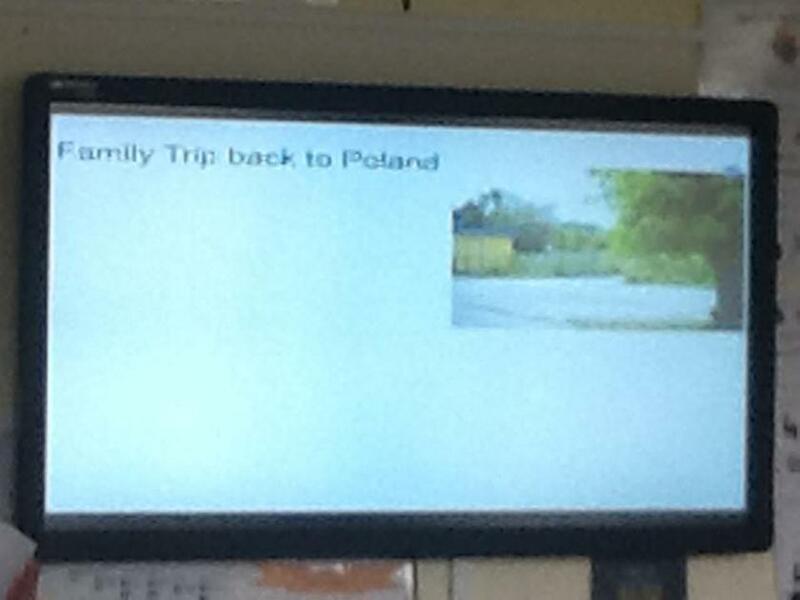 They also had to include a 'Top Tip'. 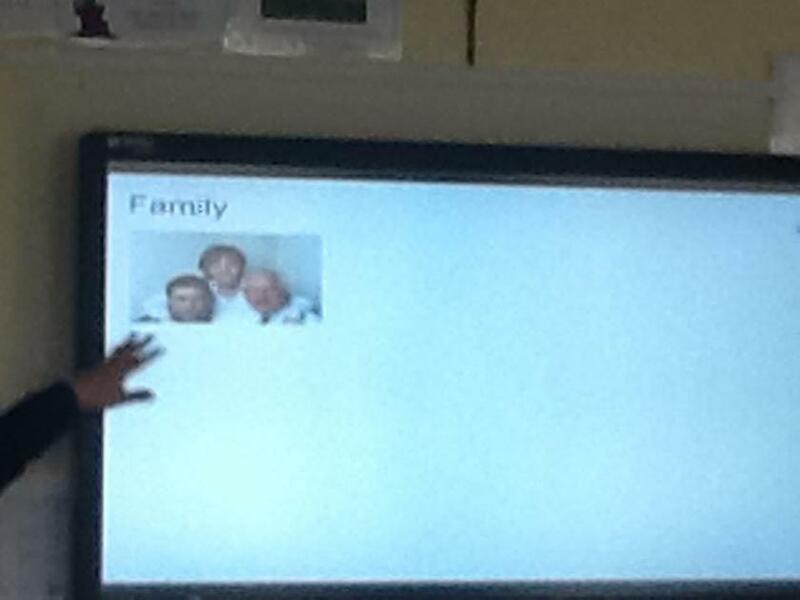 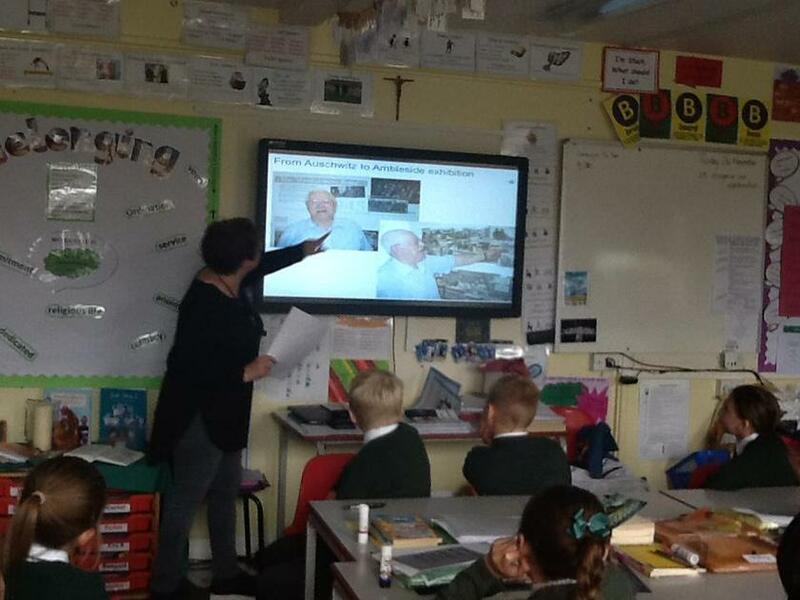 Showing everyone the finished product! 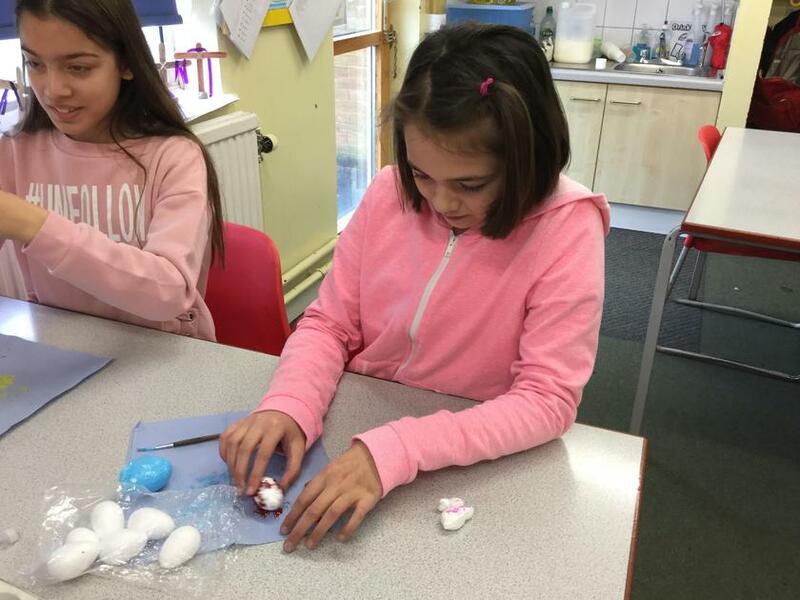 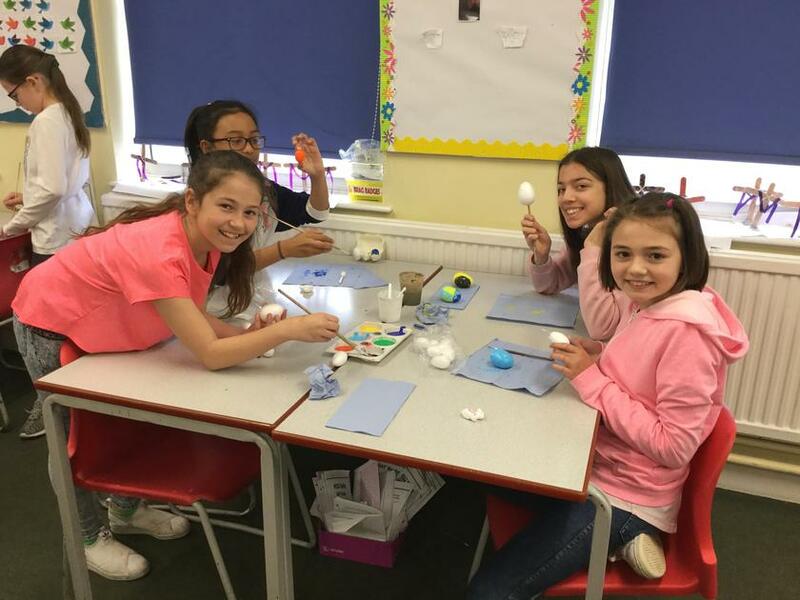 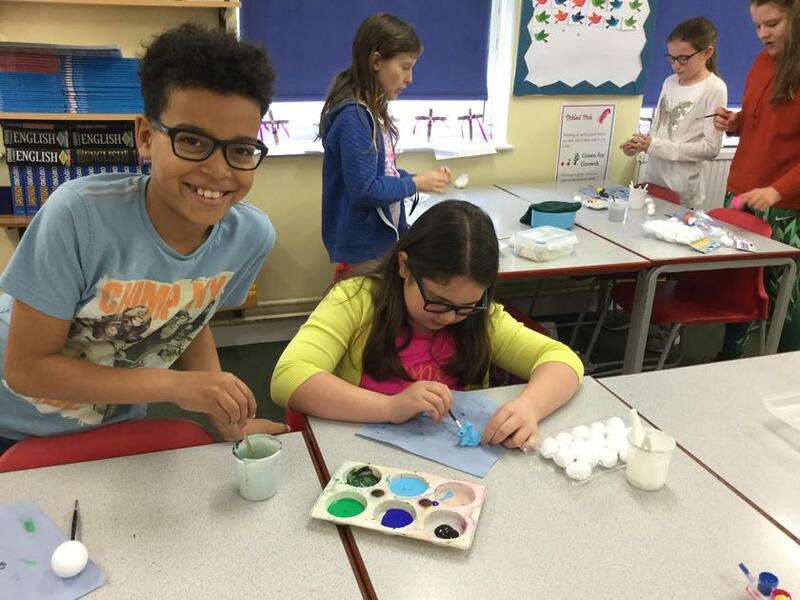 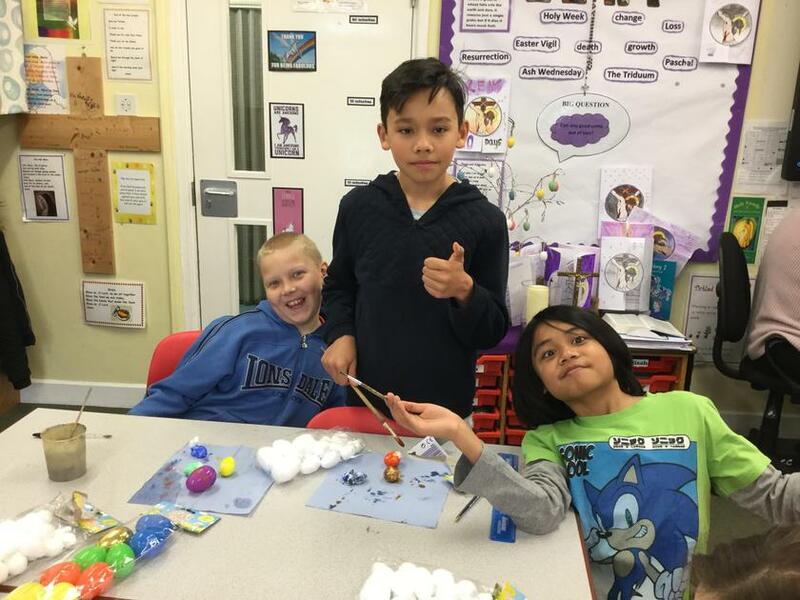 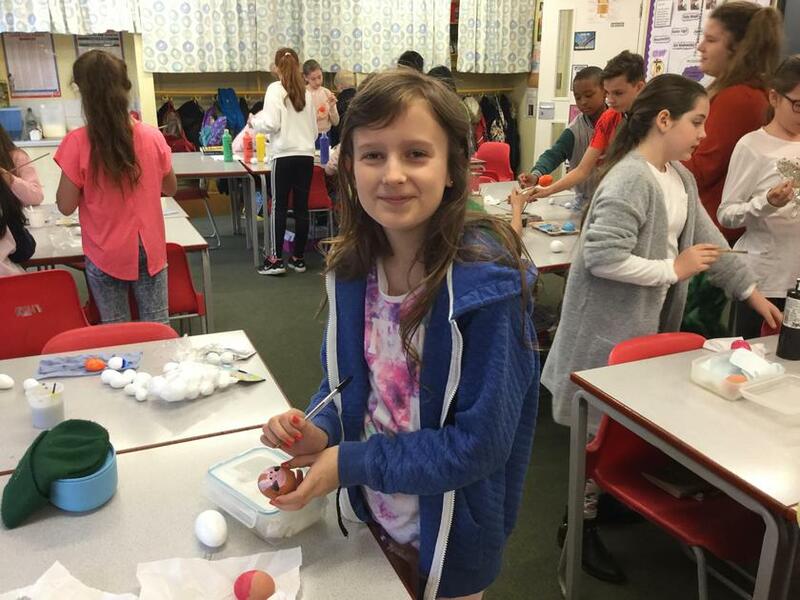 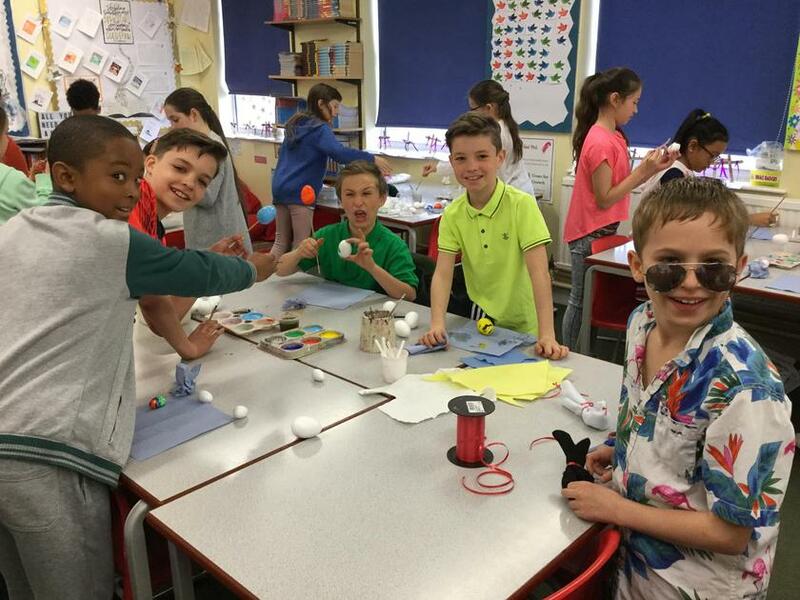 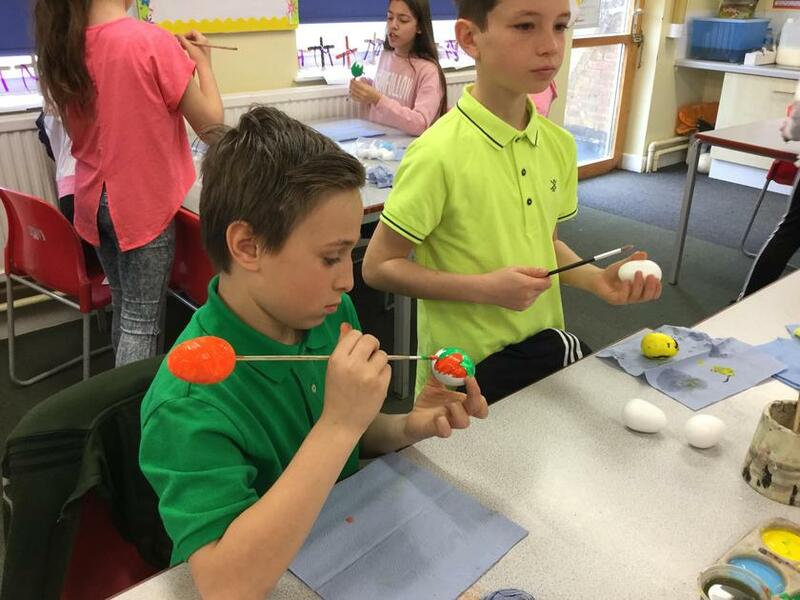 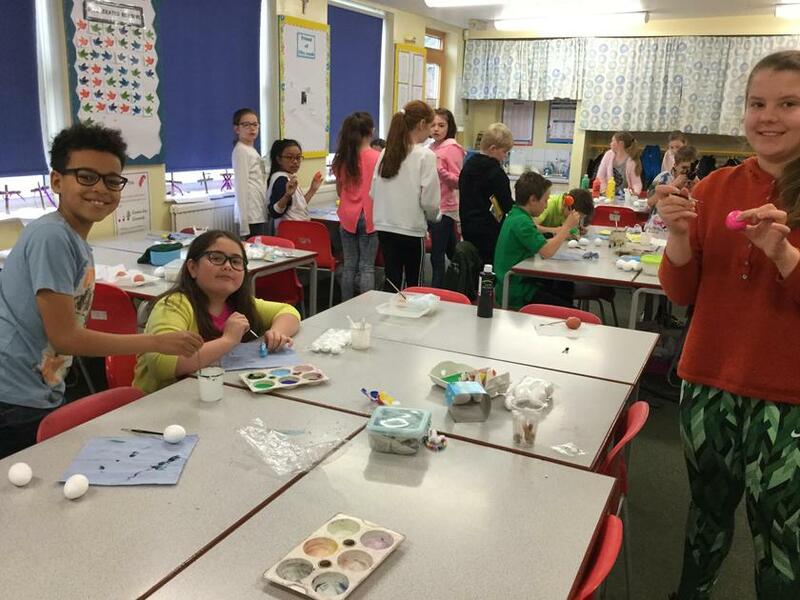 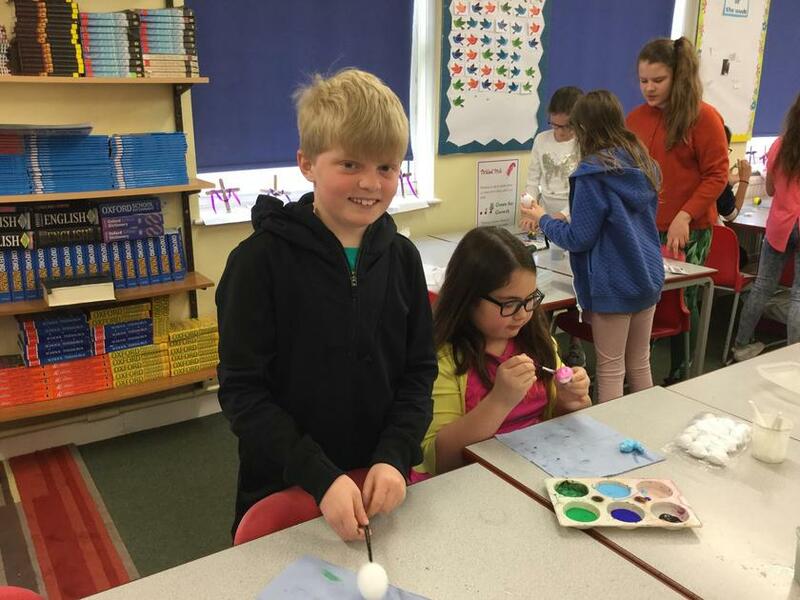 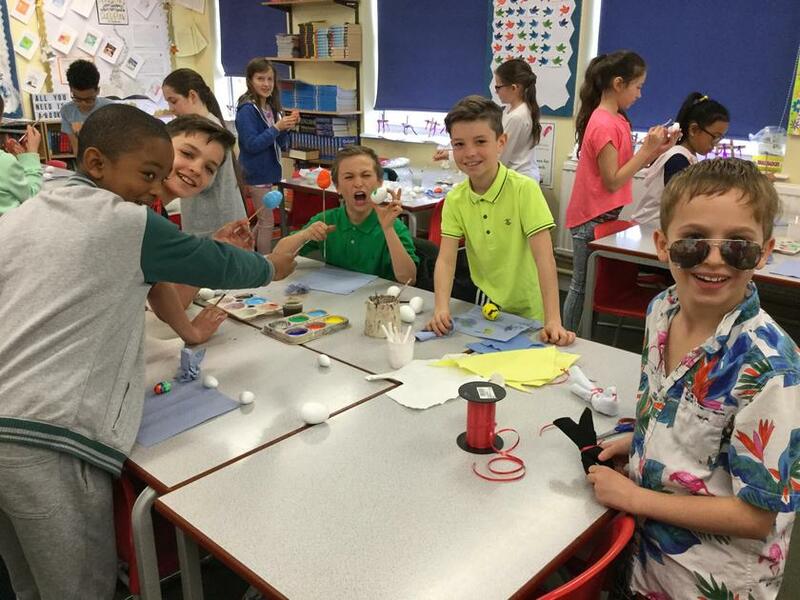 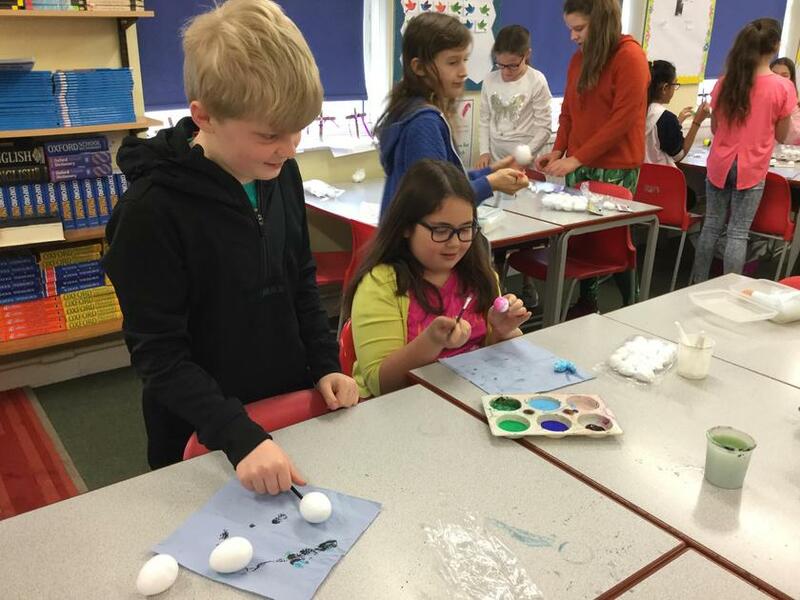 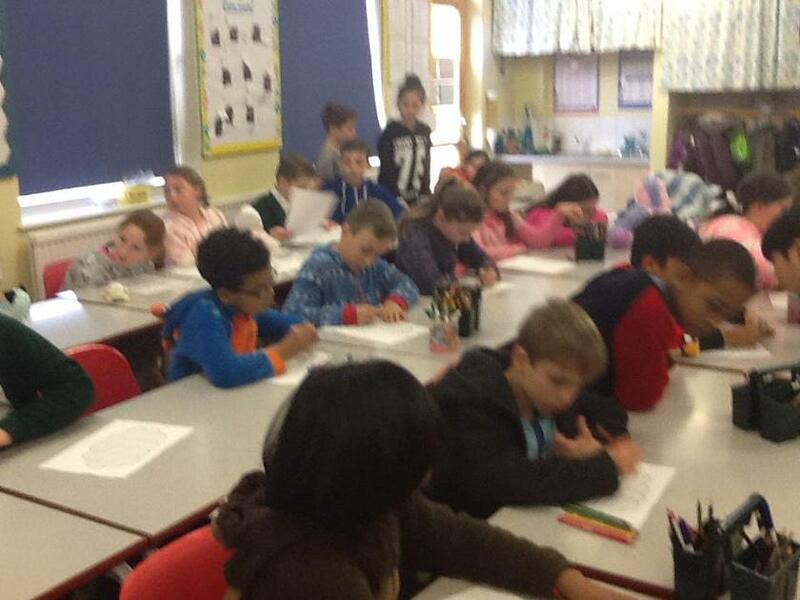 The children had a great day decorating Easter eggs, watching Hop and relaxing into their Easter break. 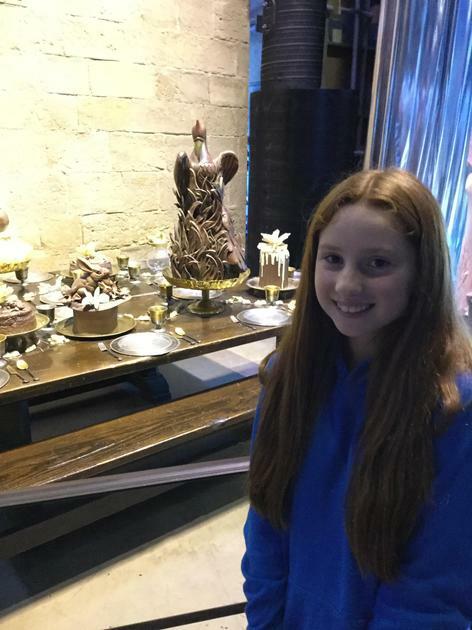 HAPPY EASTER EVERYONE!!!! 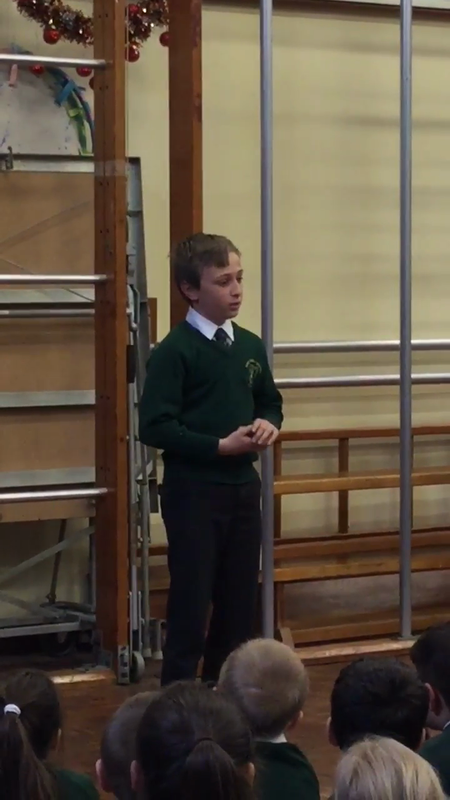 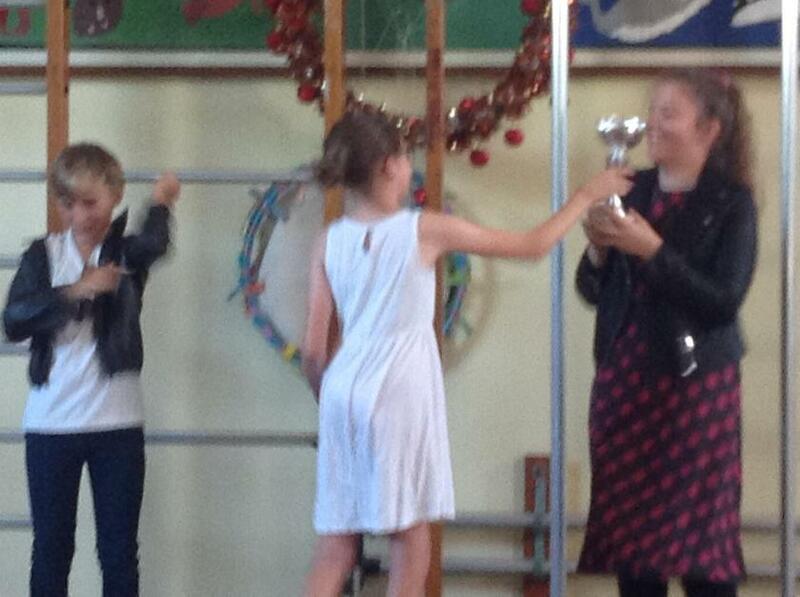 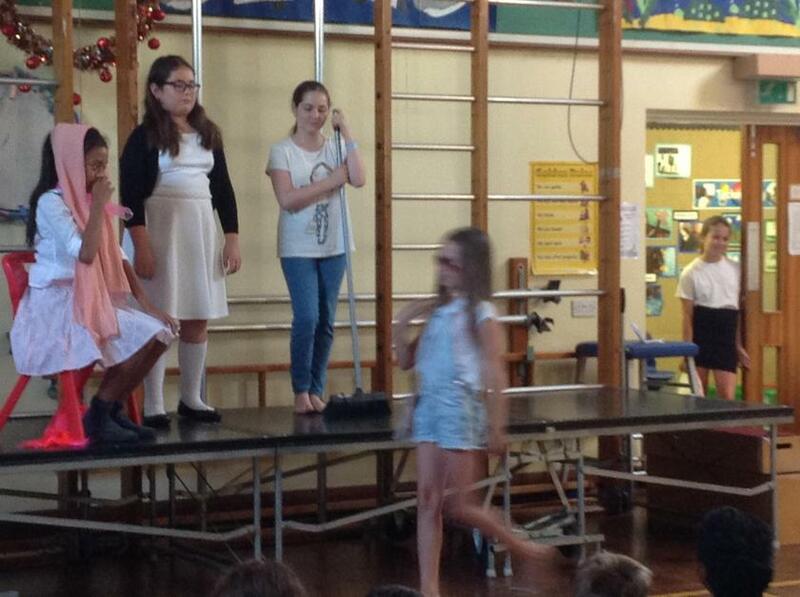 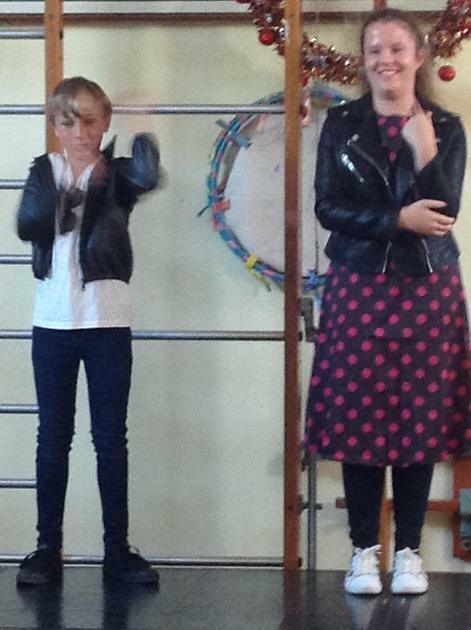 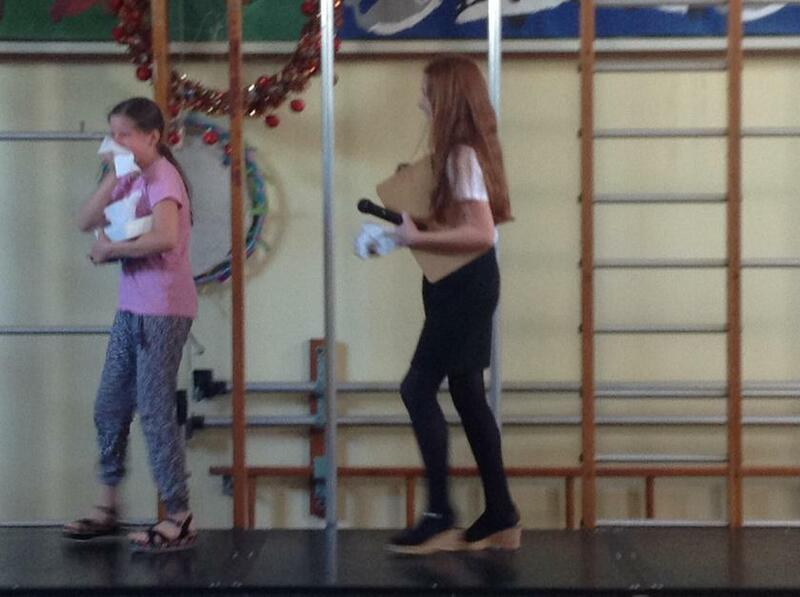 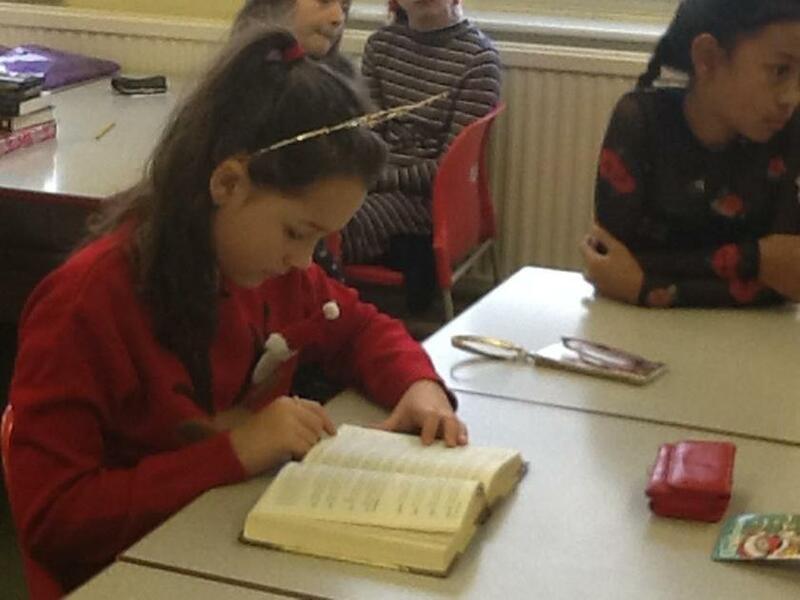 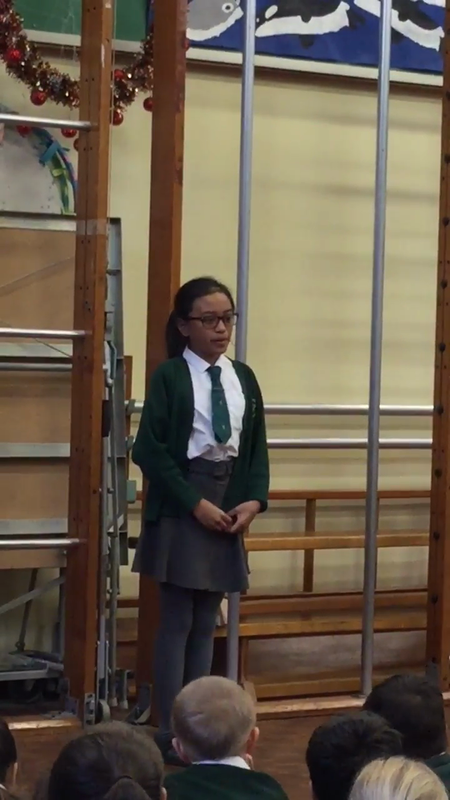 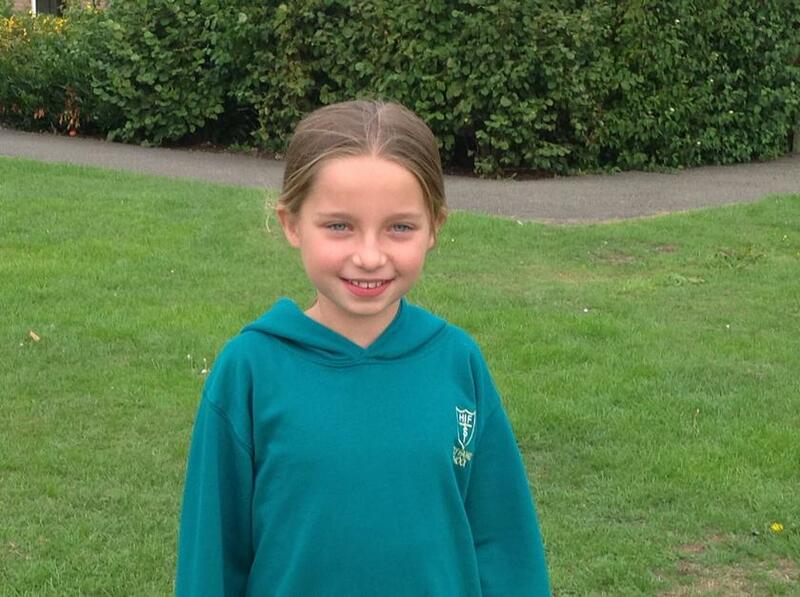 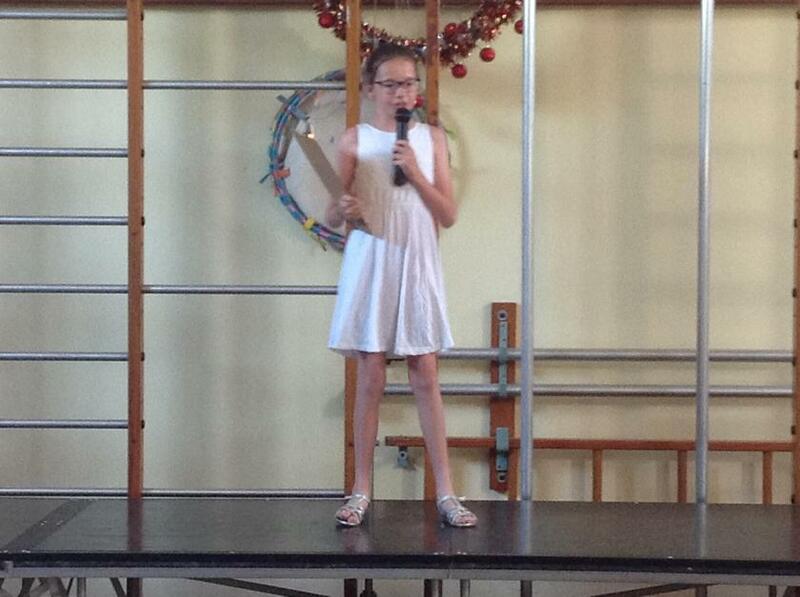 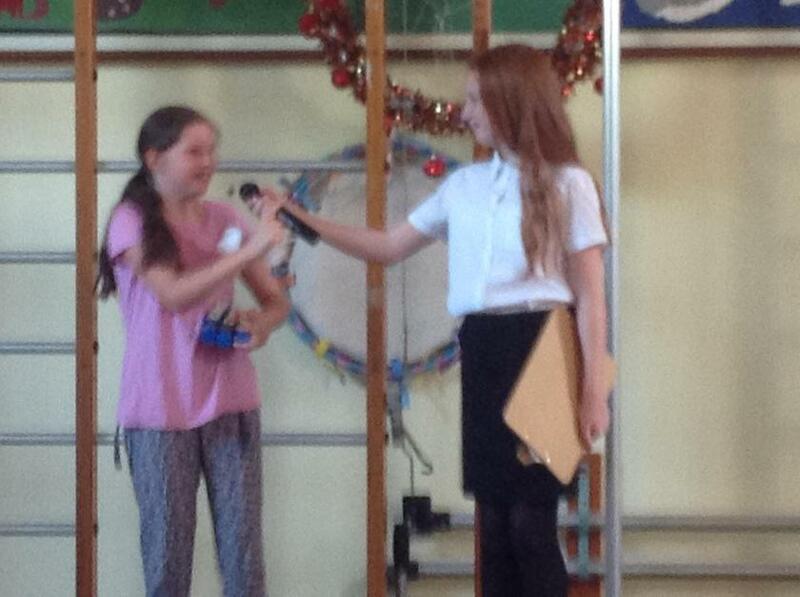 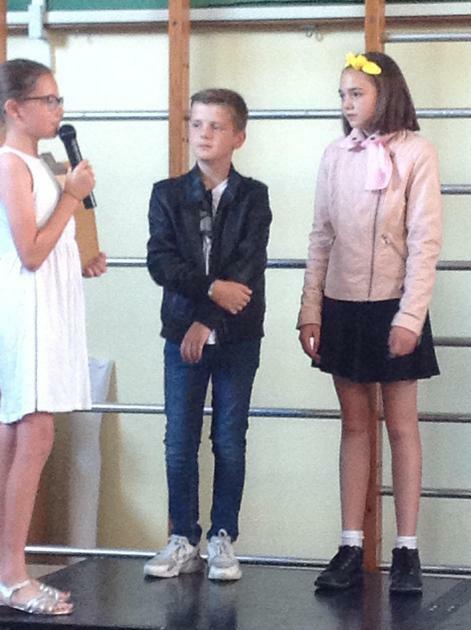 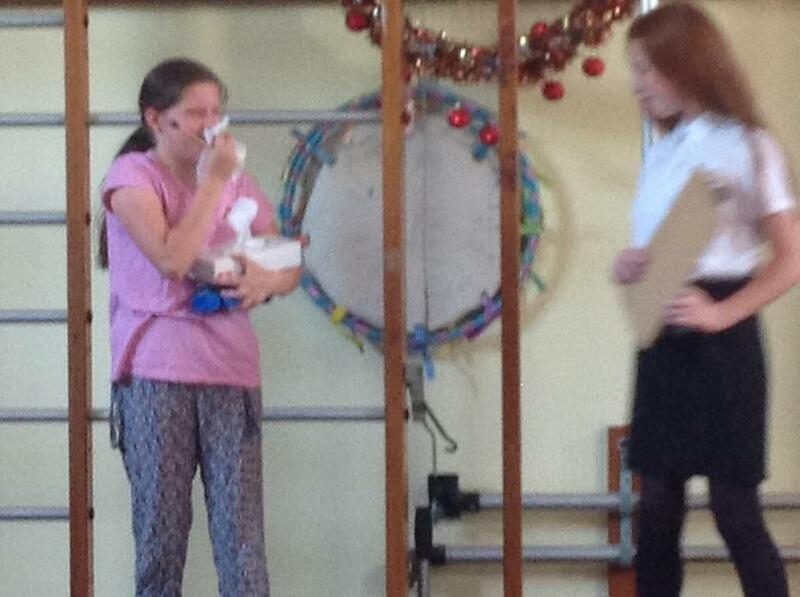 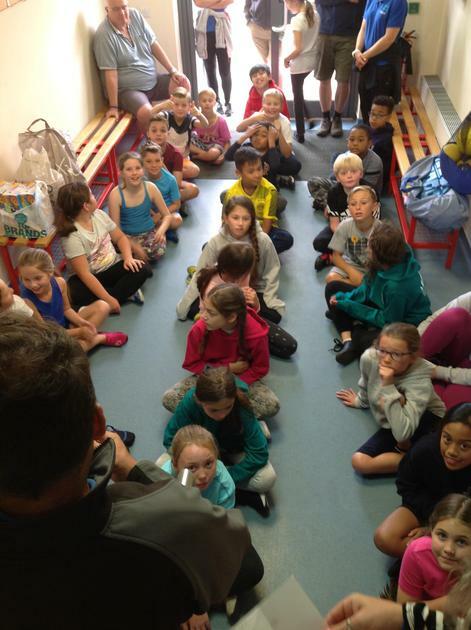 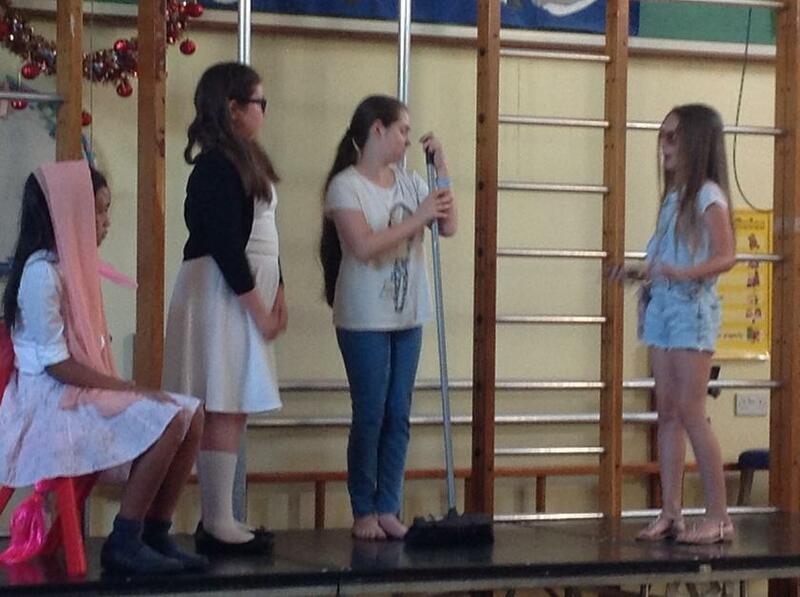 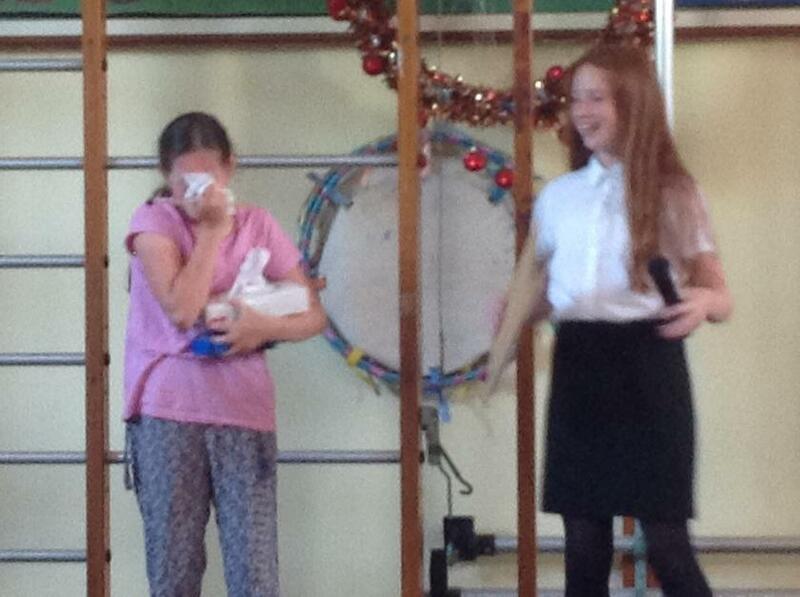 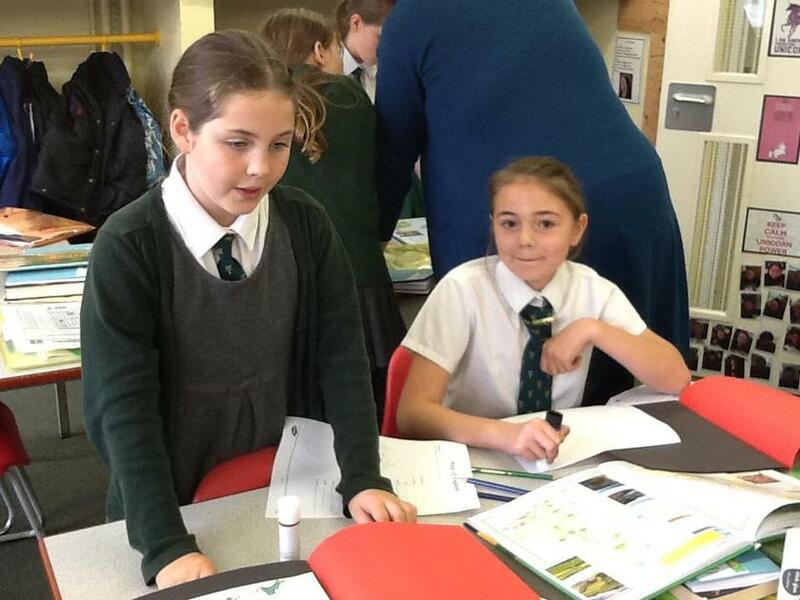 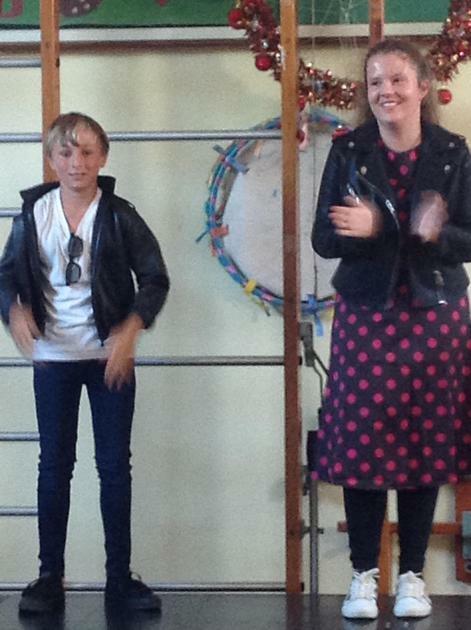 The children delivered their speeches to the school and staff and some governors. 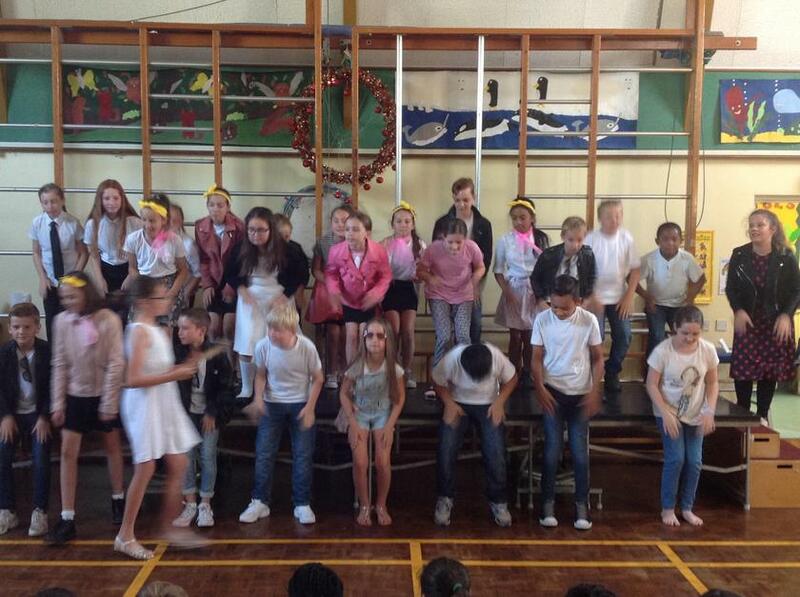 They all did extremely well and showed grit and determination. 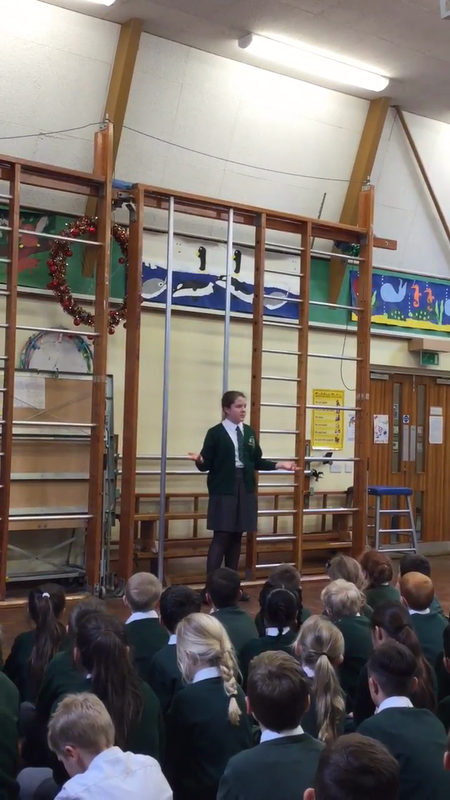 It takes a lot of guts to stand in front of over 100 people and deliver a speech, they should all be really proud of each other. 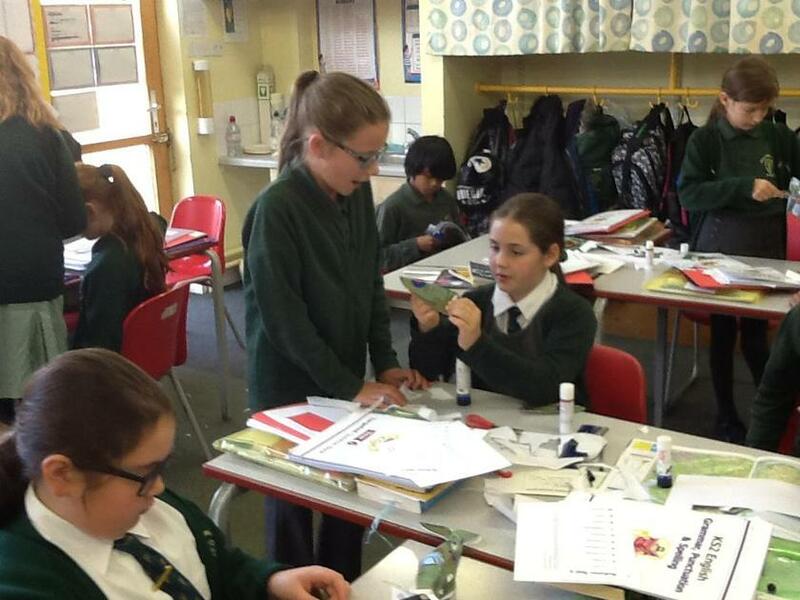 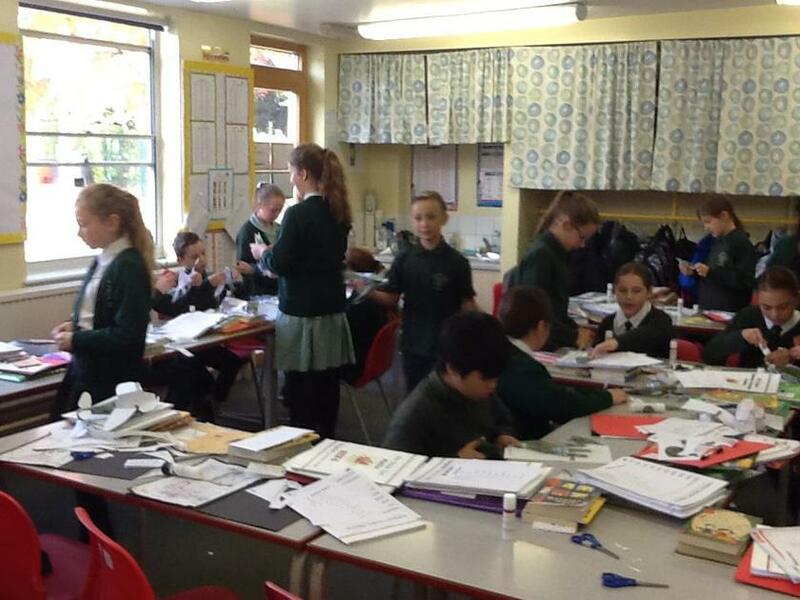 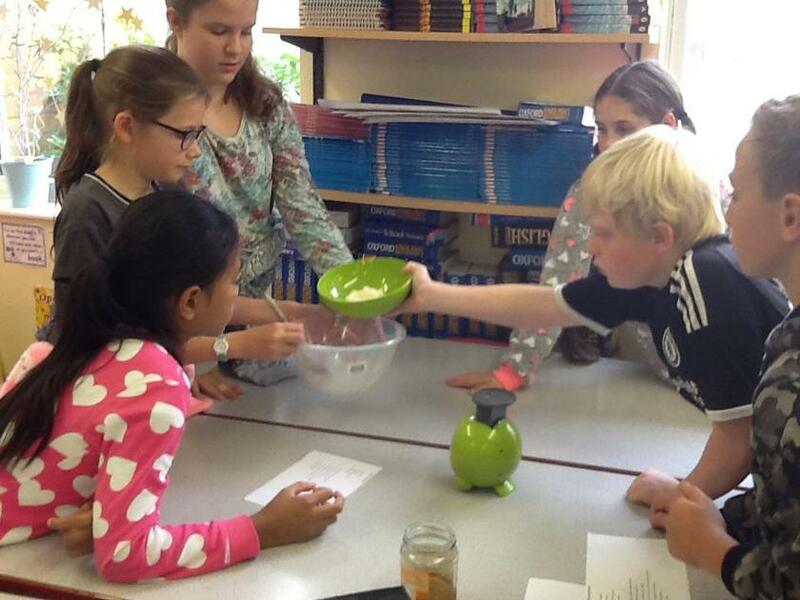 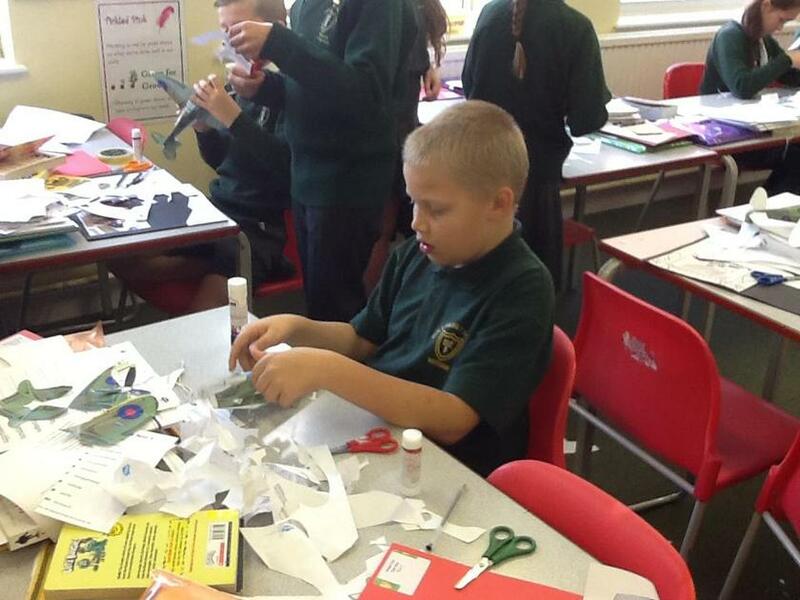 What a busy week Year 6 have had. 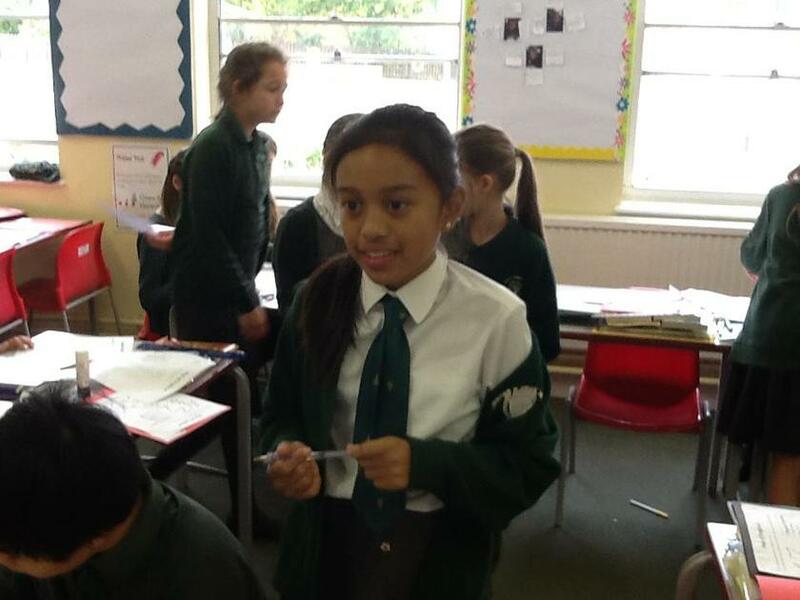 This week in public speaking they have been practising talking in their ‘100 people’ voice and working on their concluding statements. 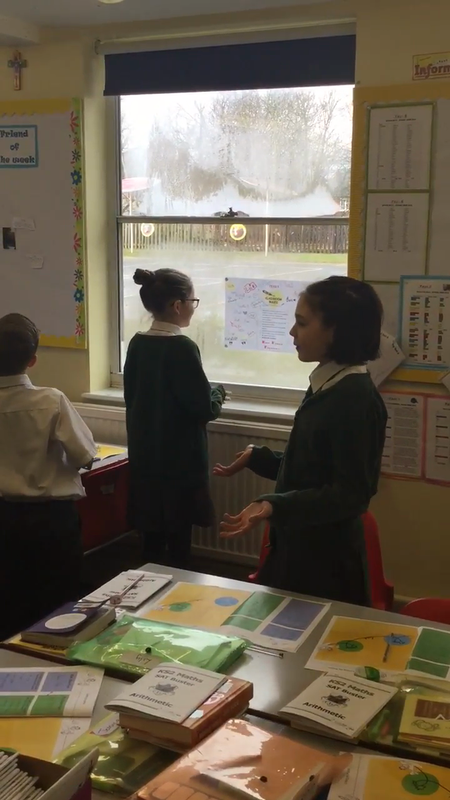 While polishing this, they have been practising their two statements with movement in the middle and keeping eye contact with their audience. 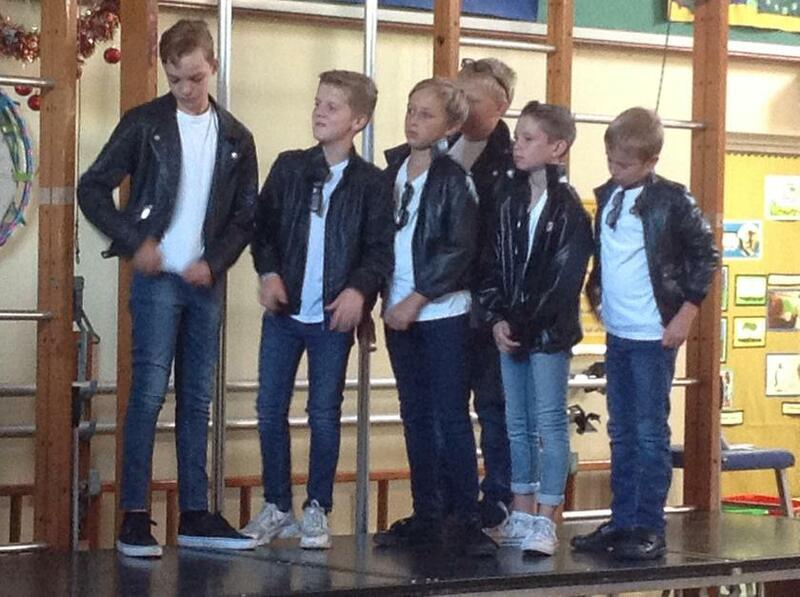 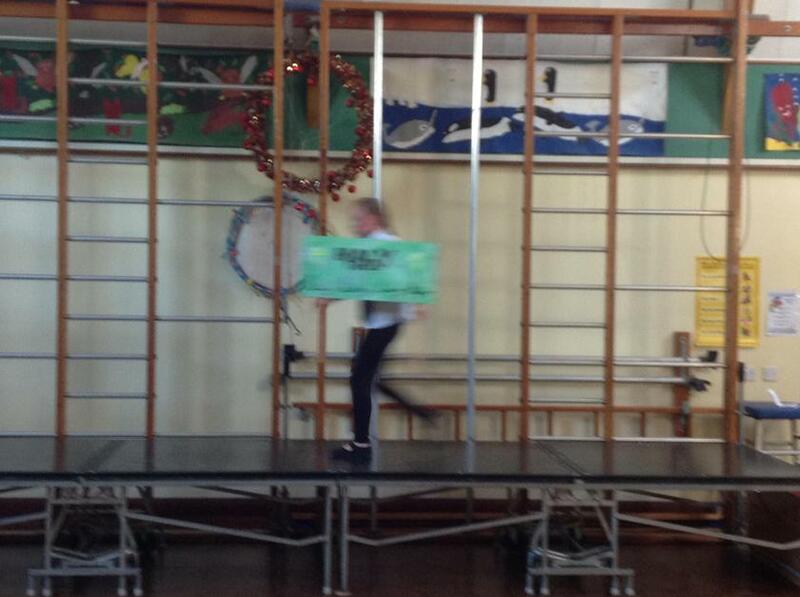 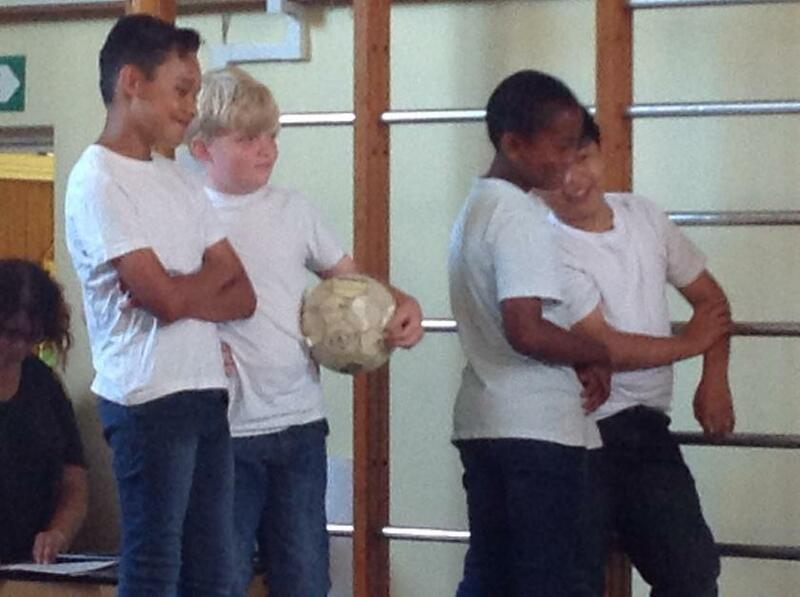 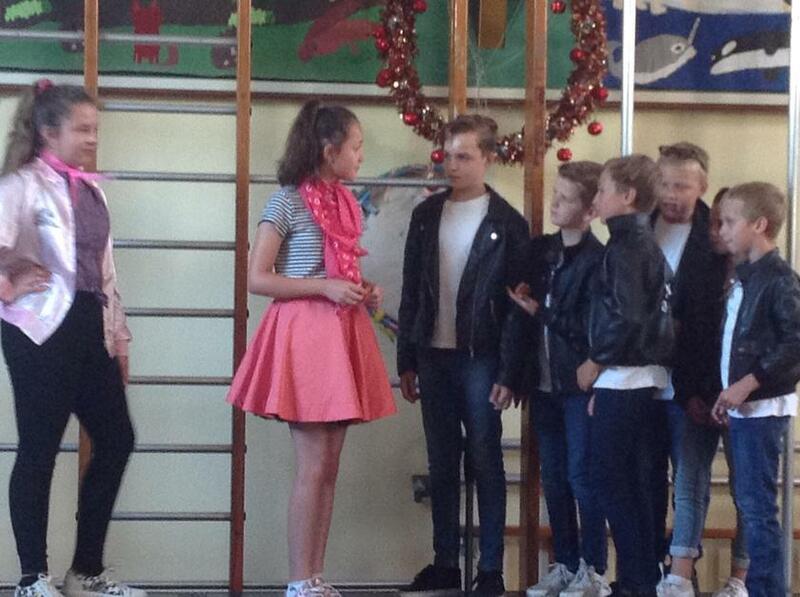 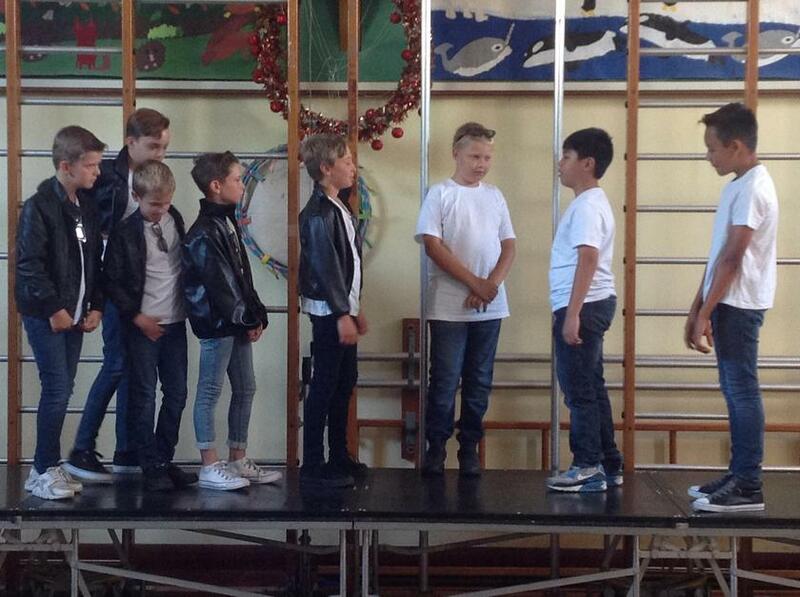 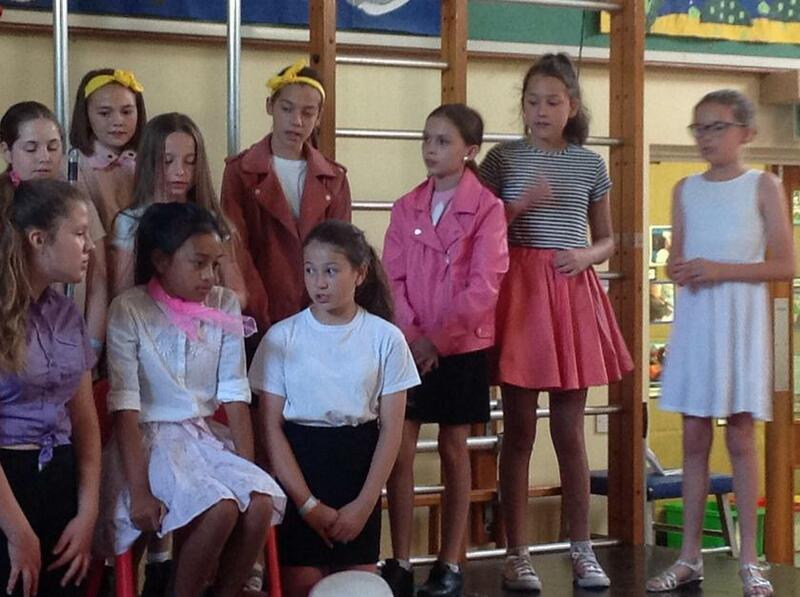 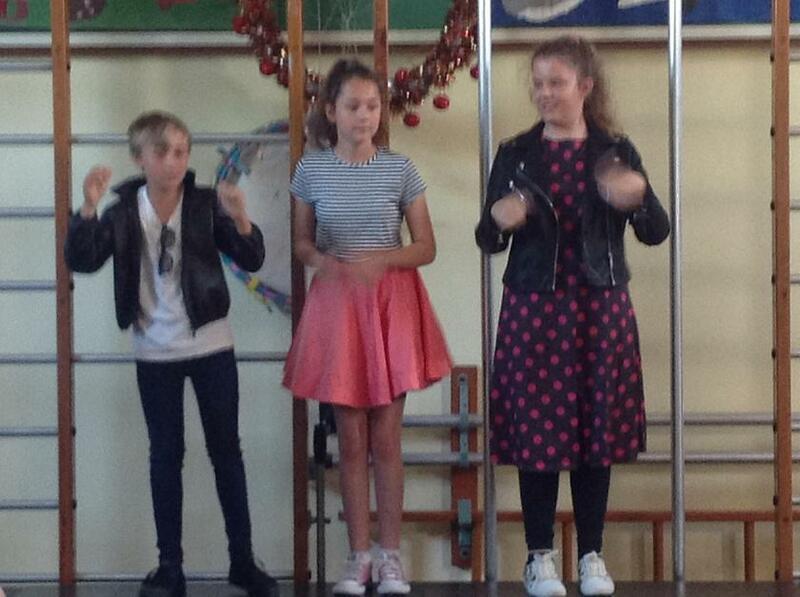 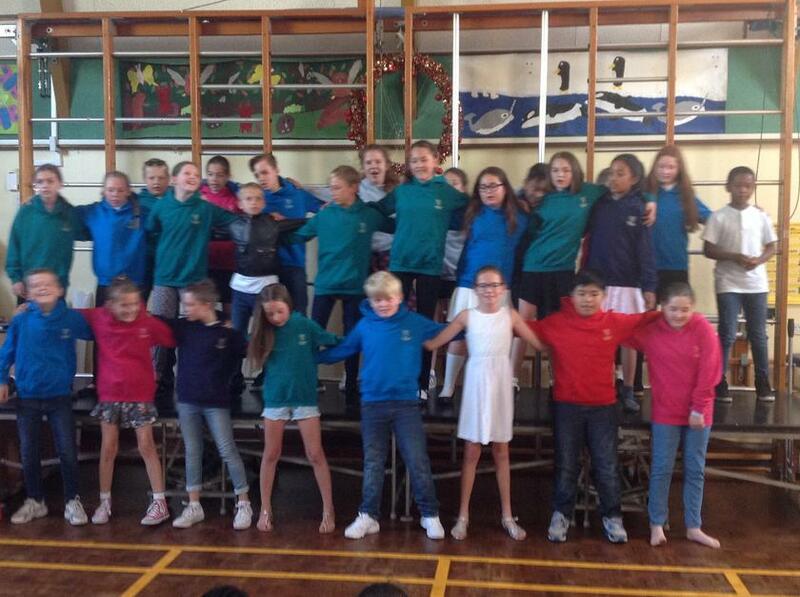 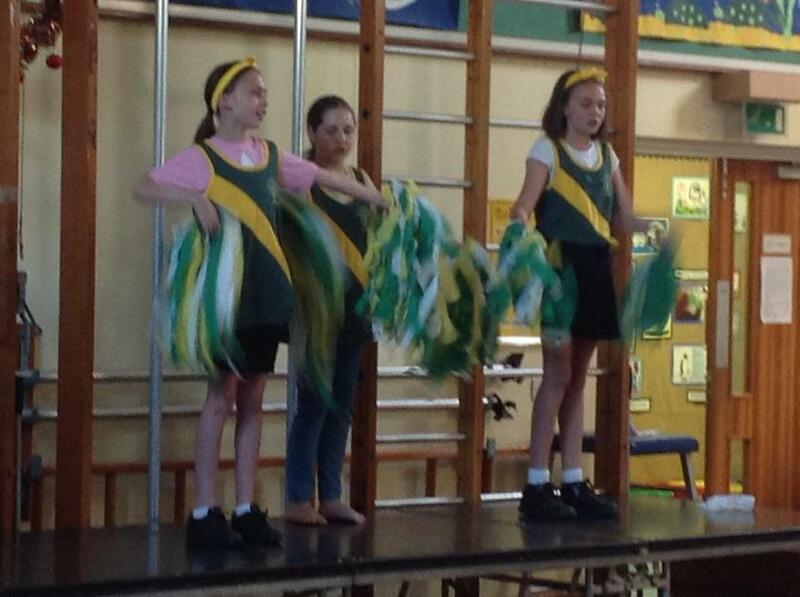 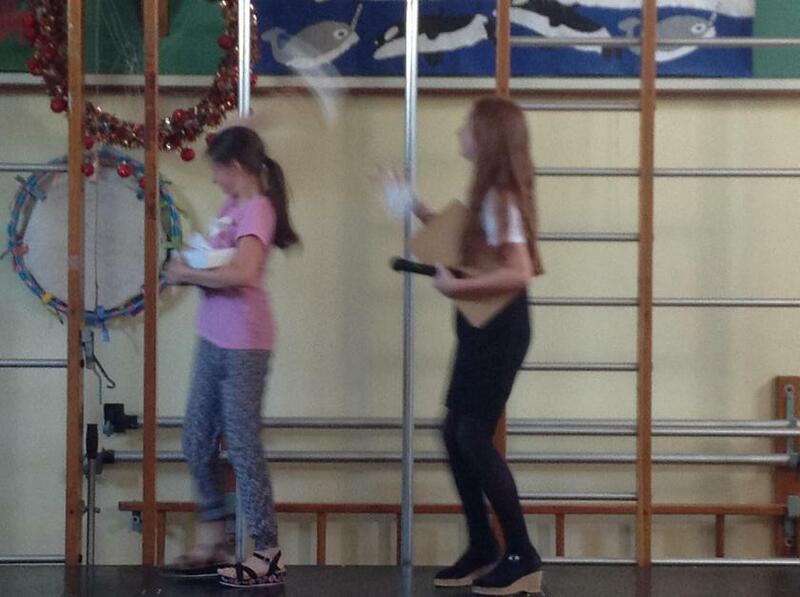 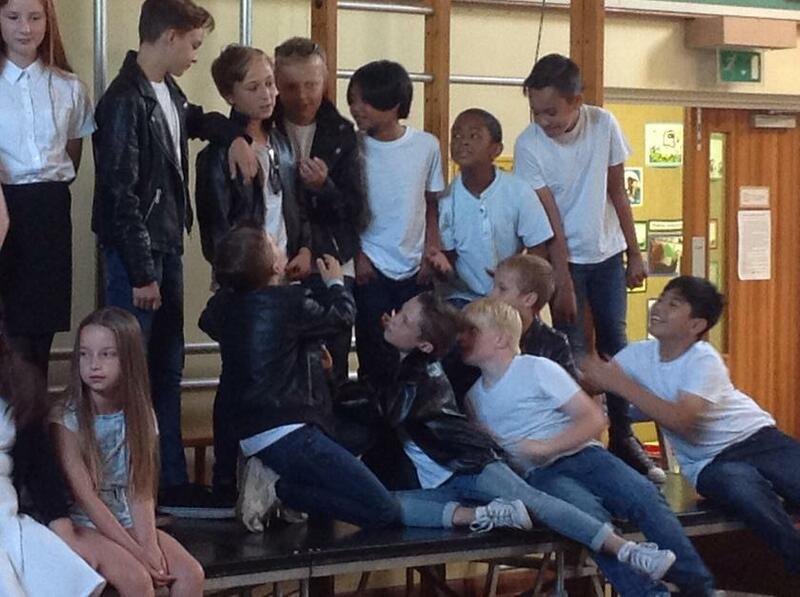 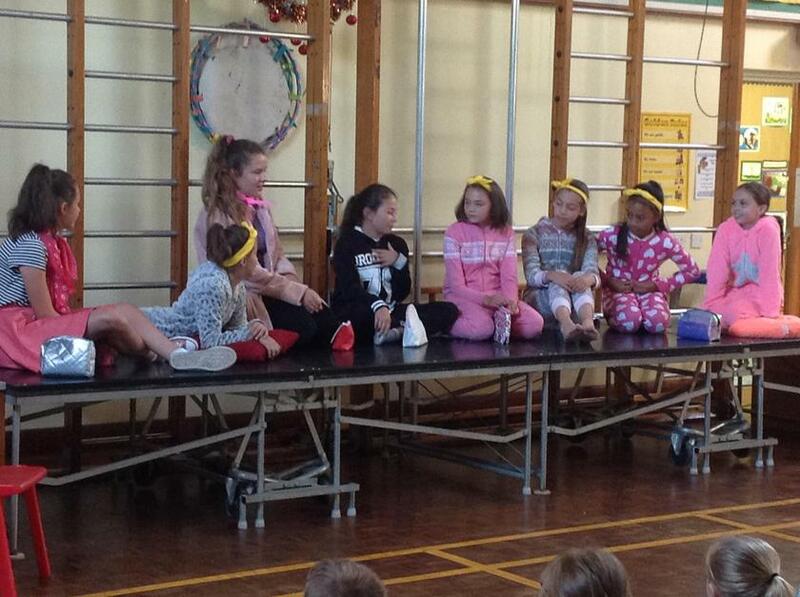 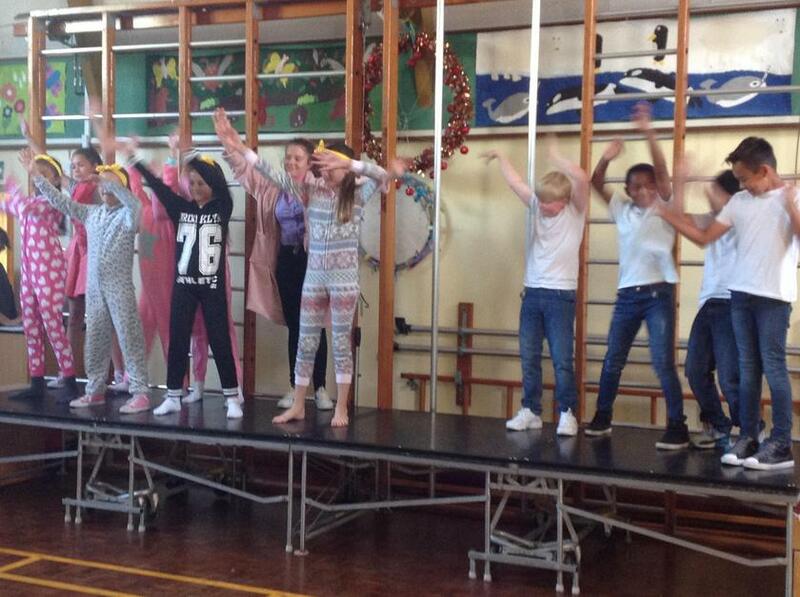 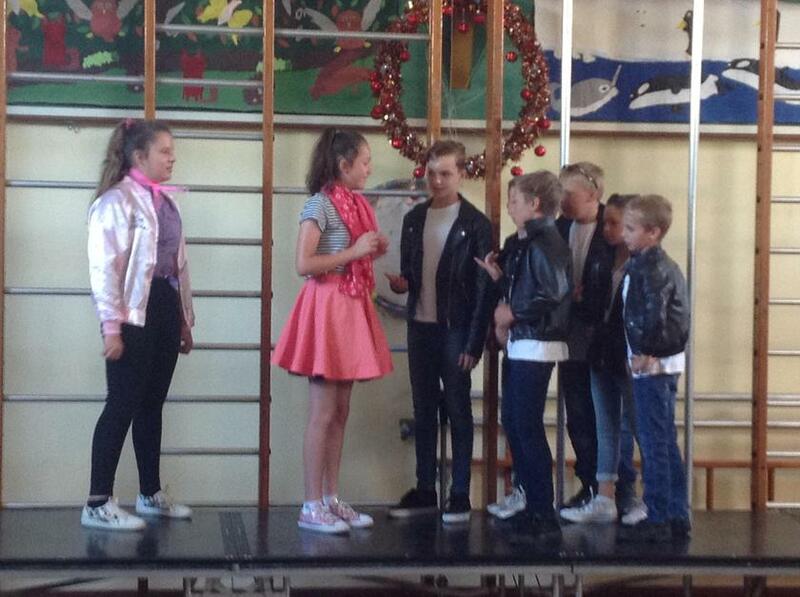 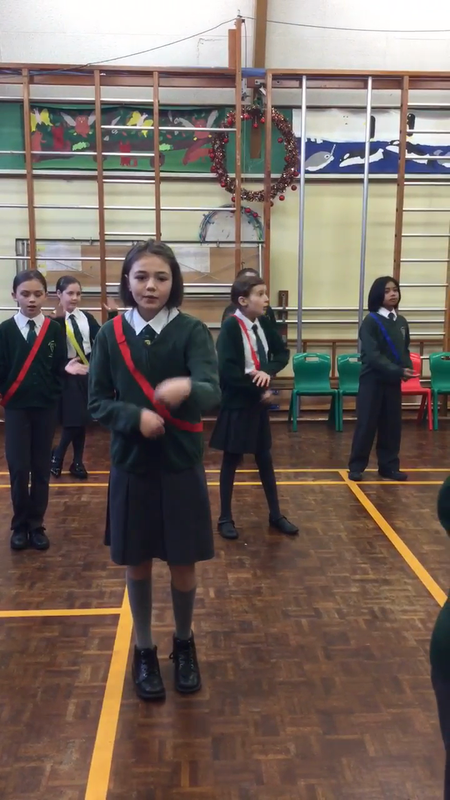 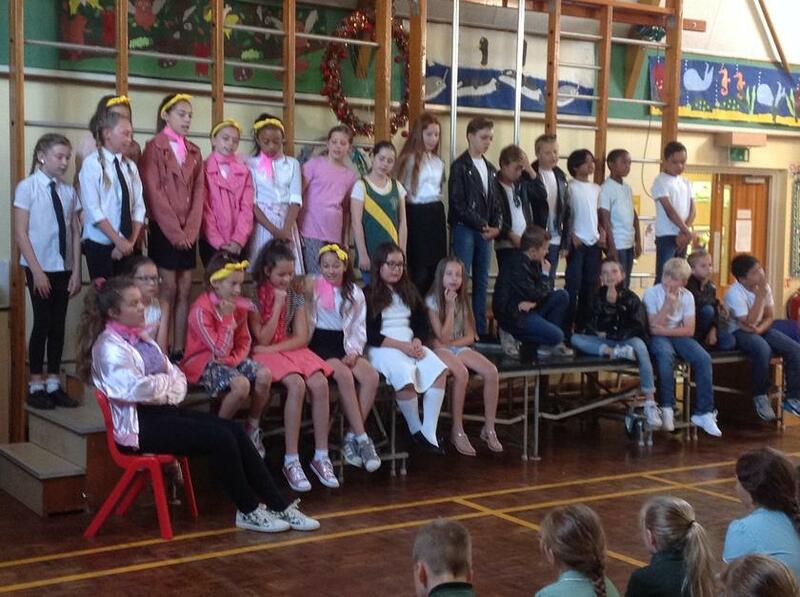 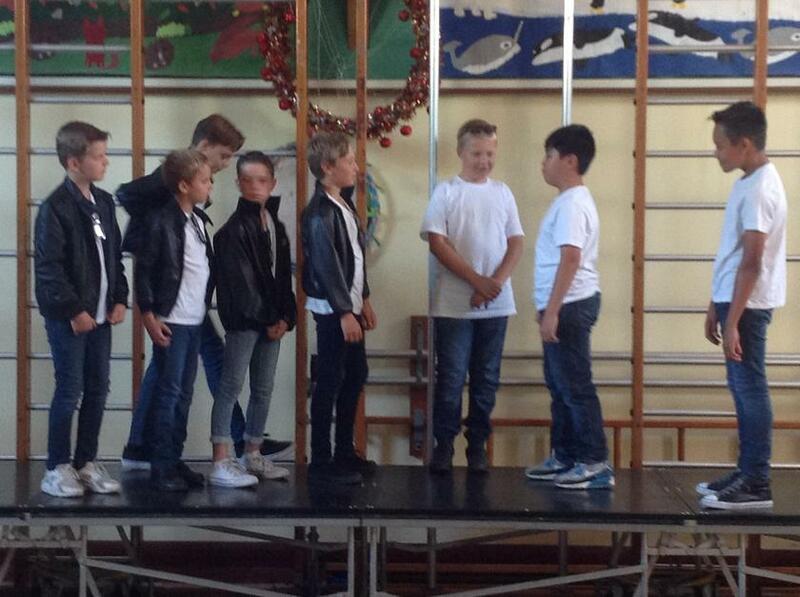 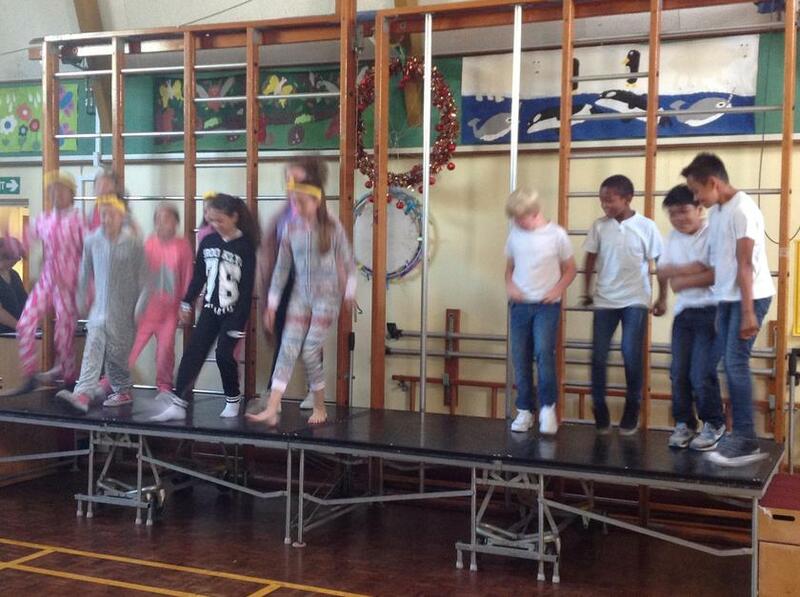 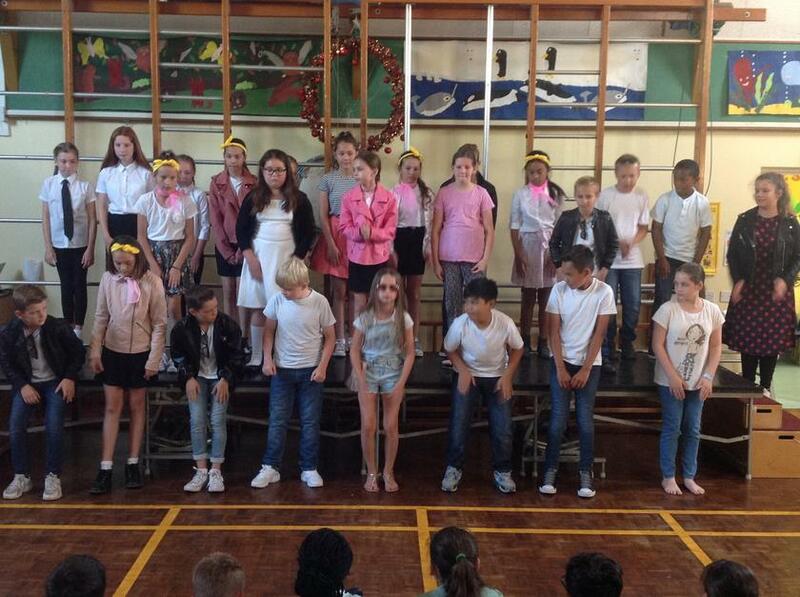 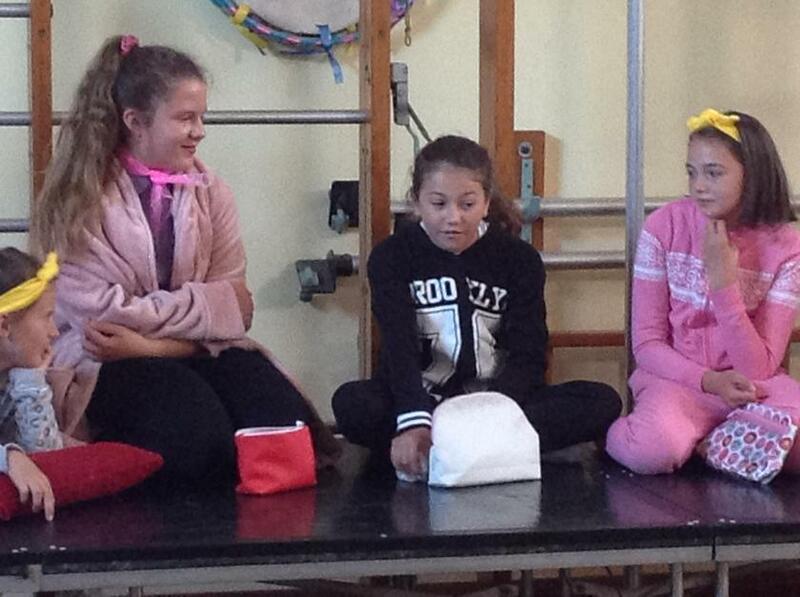 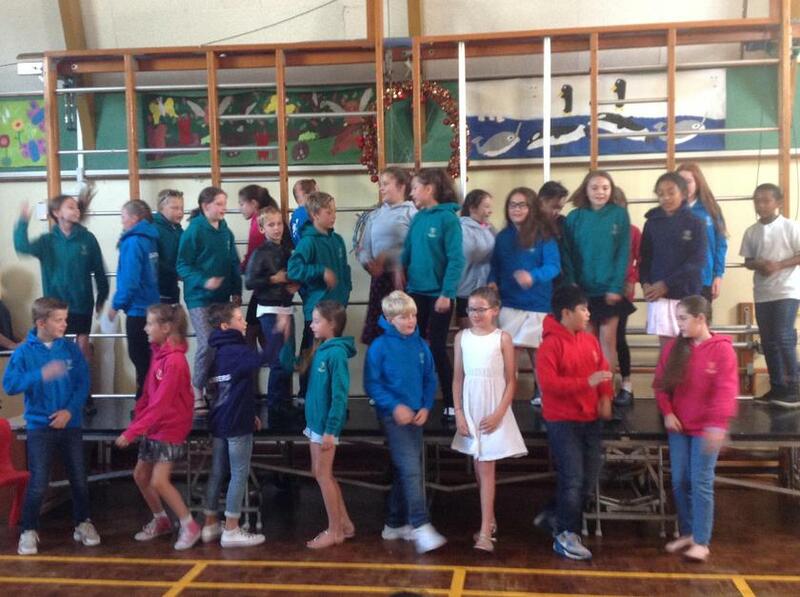 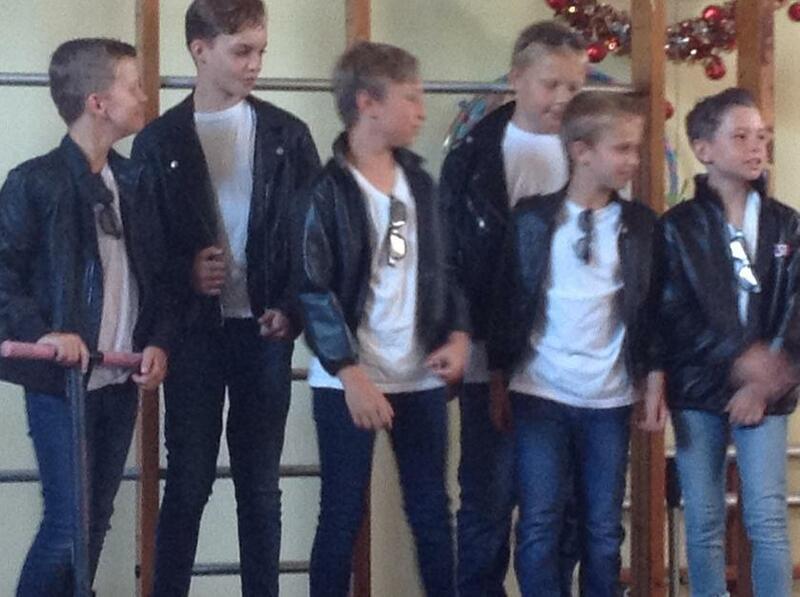 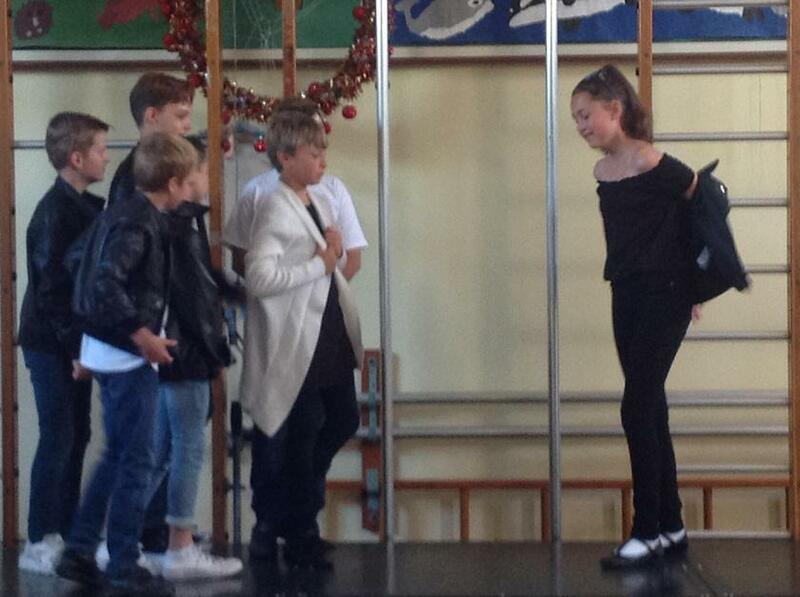 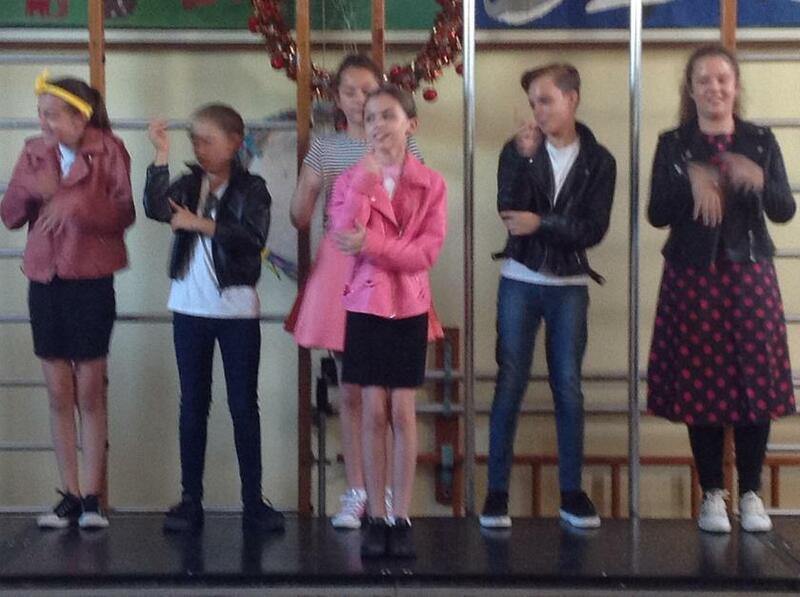 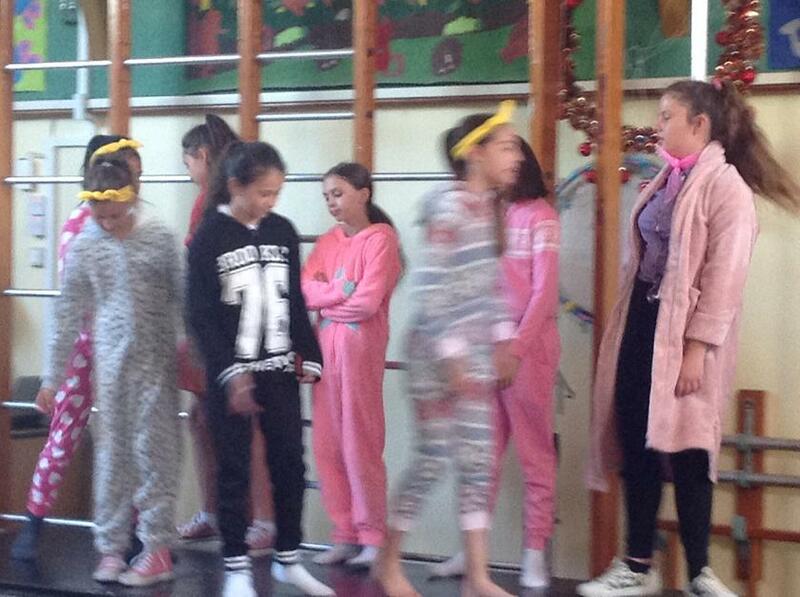 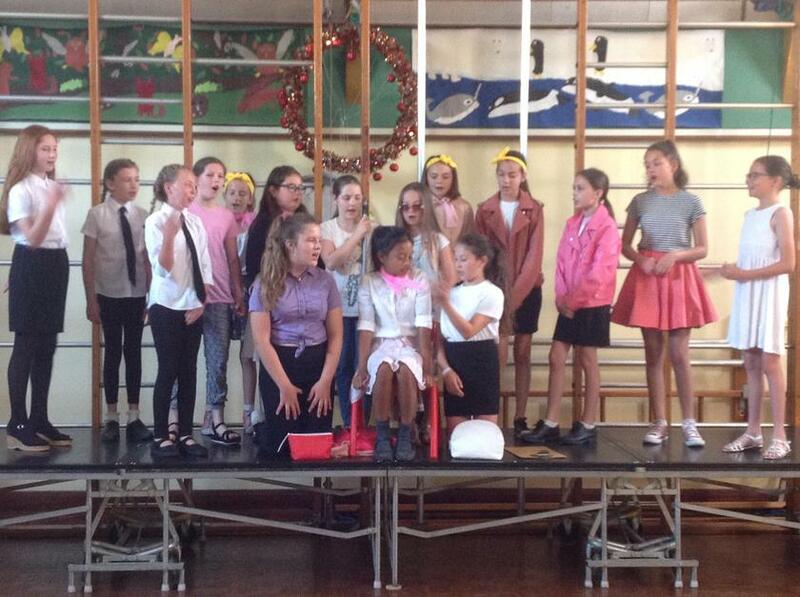 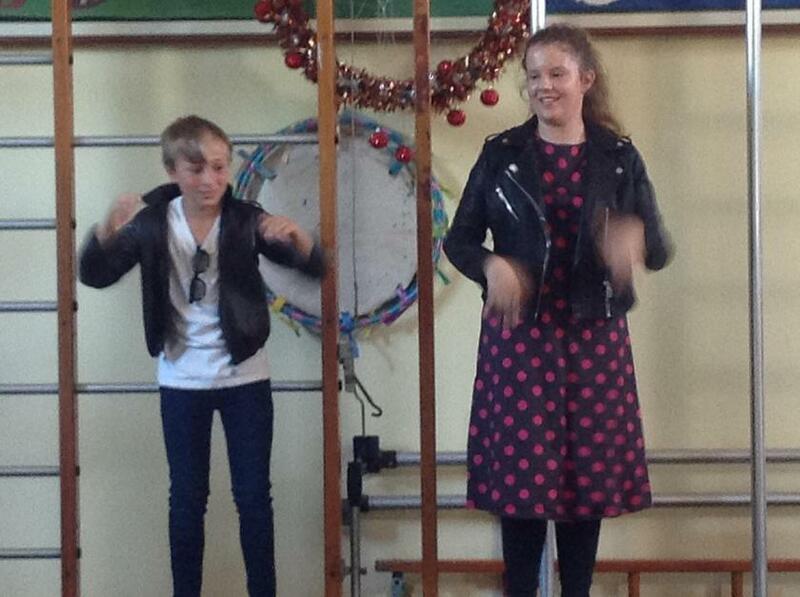 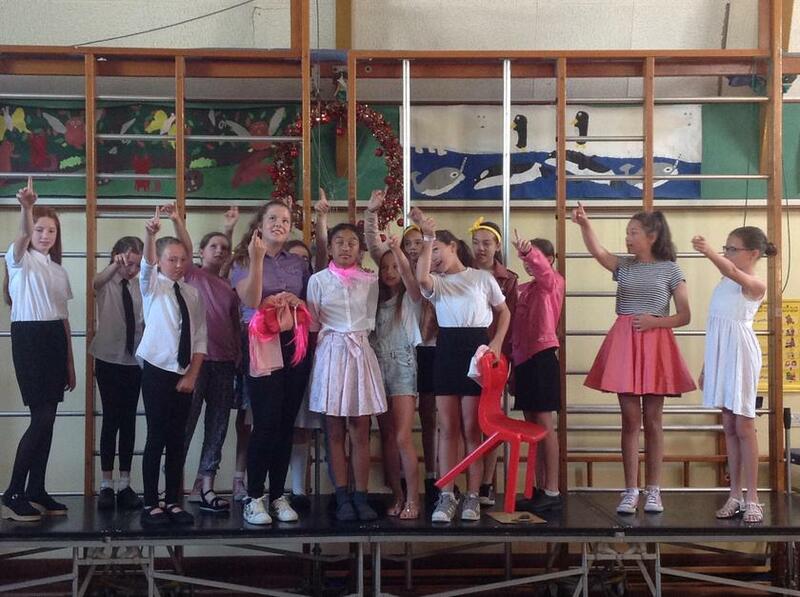 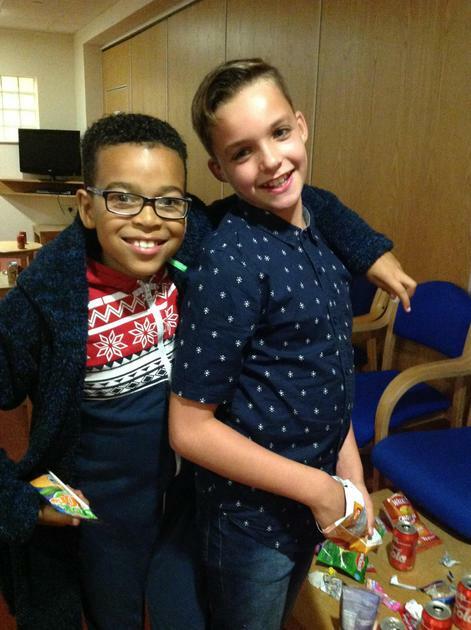 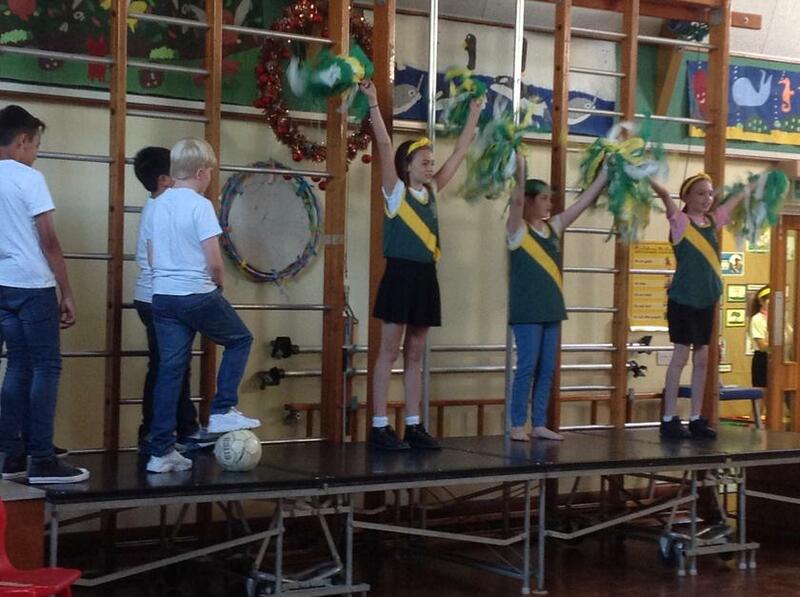 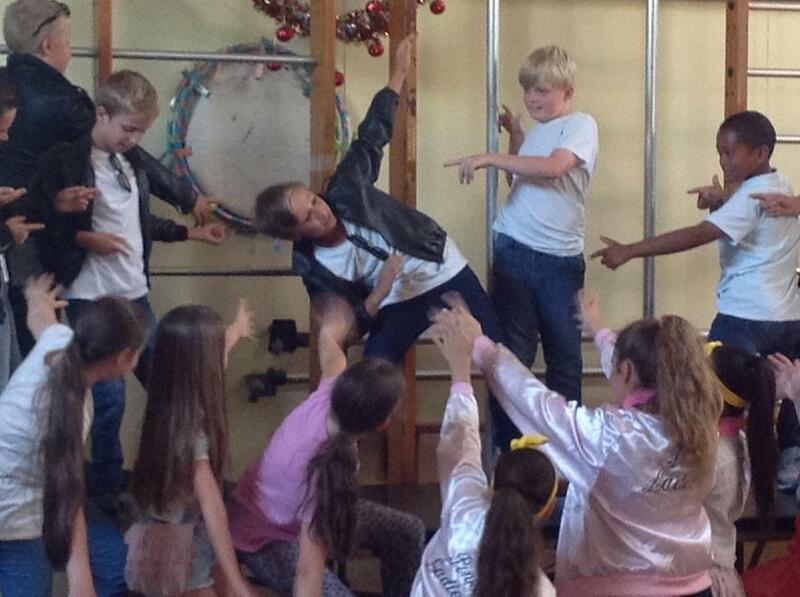 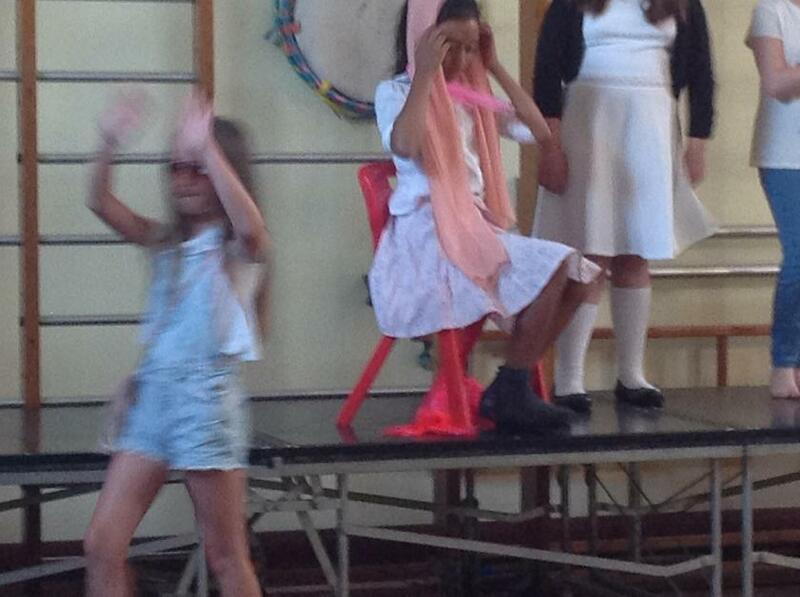 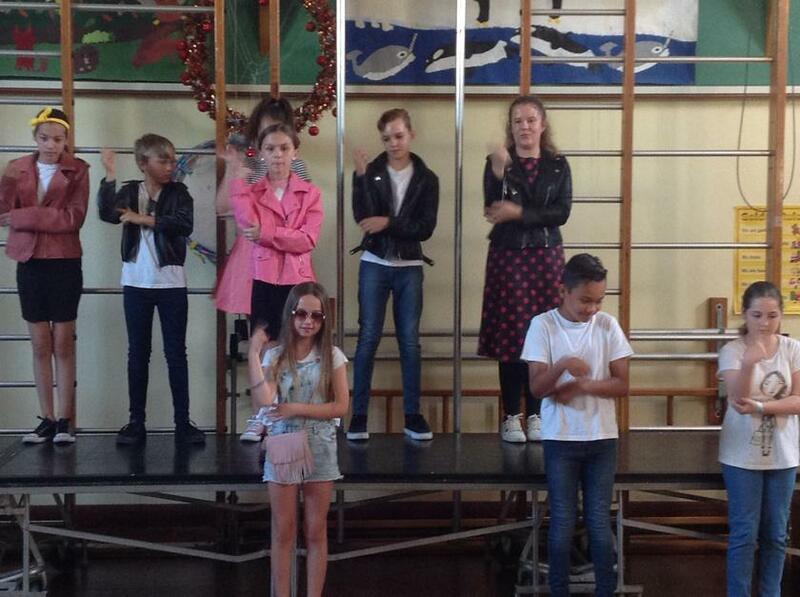 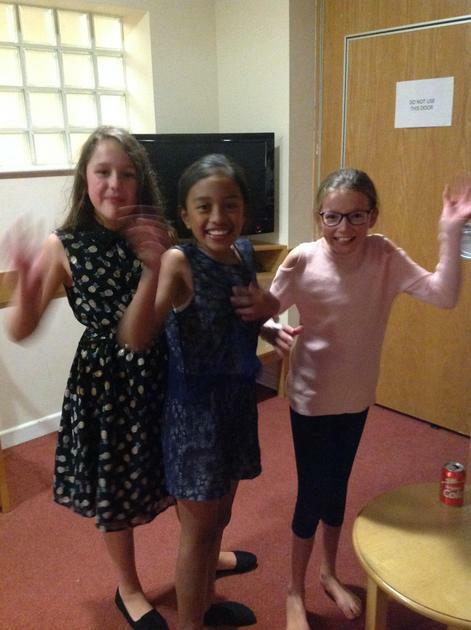 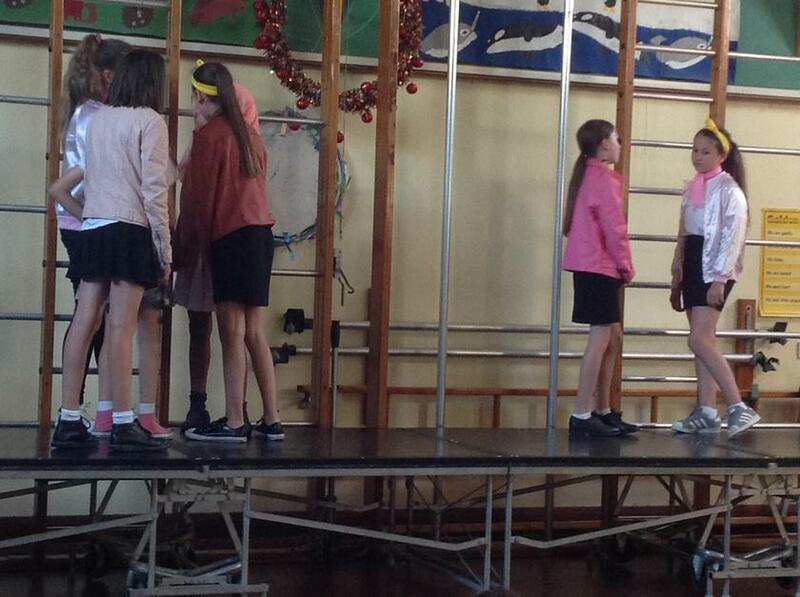 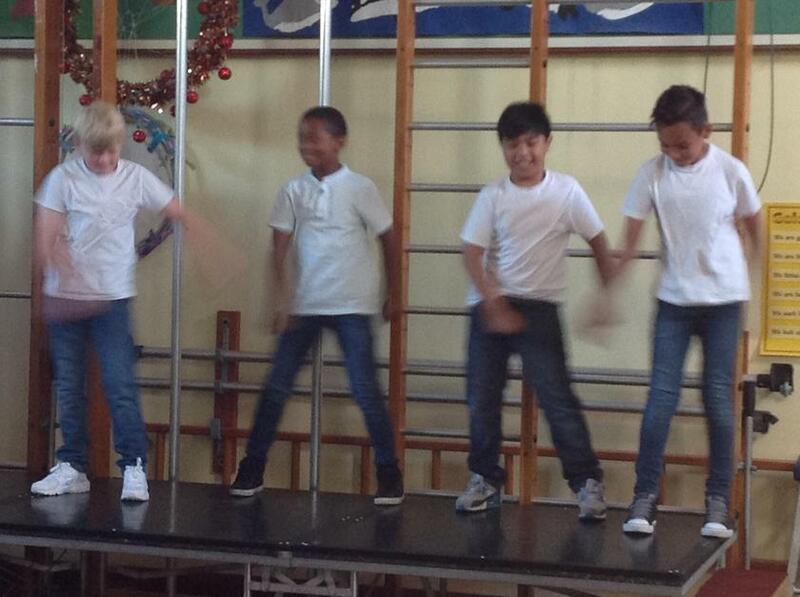 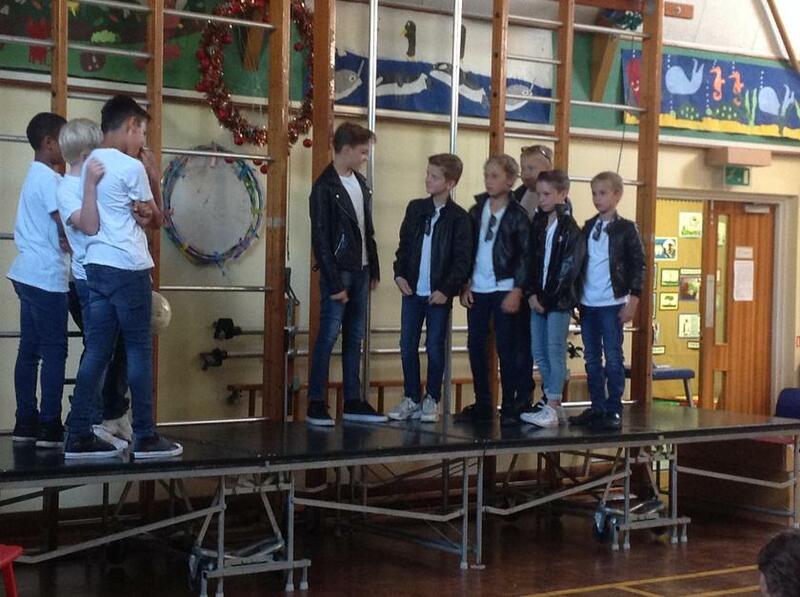 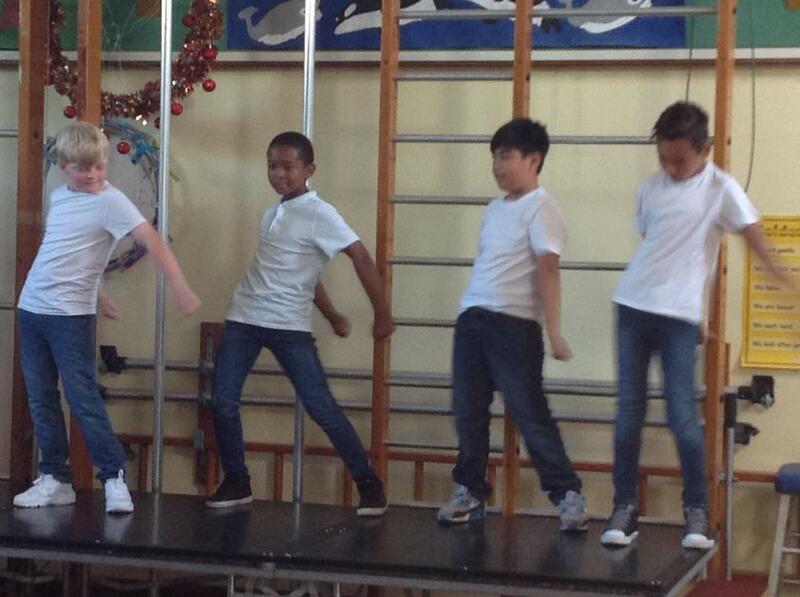 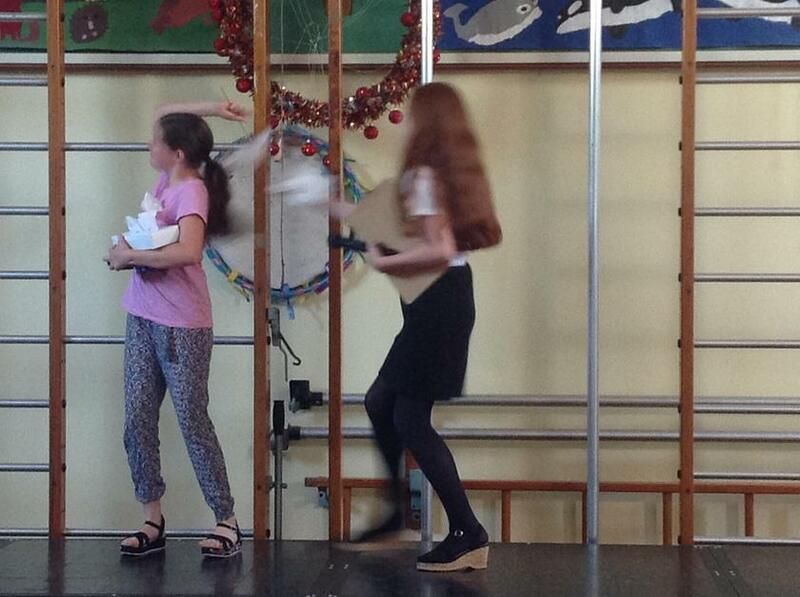 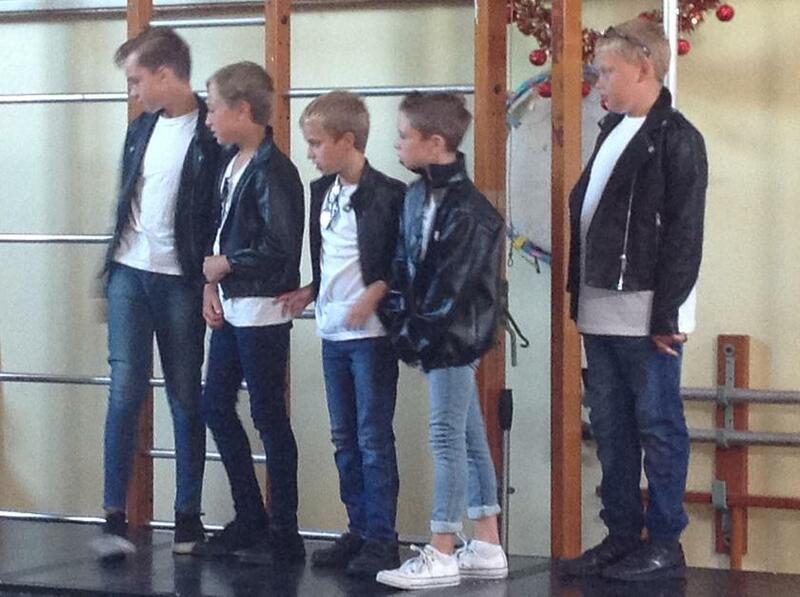 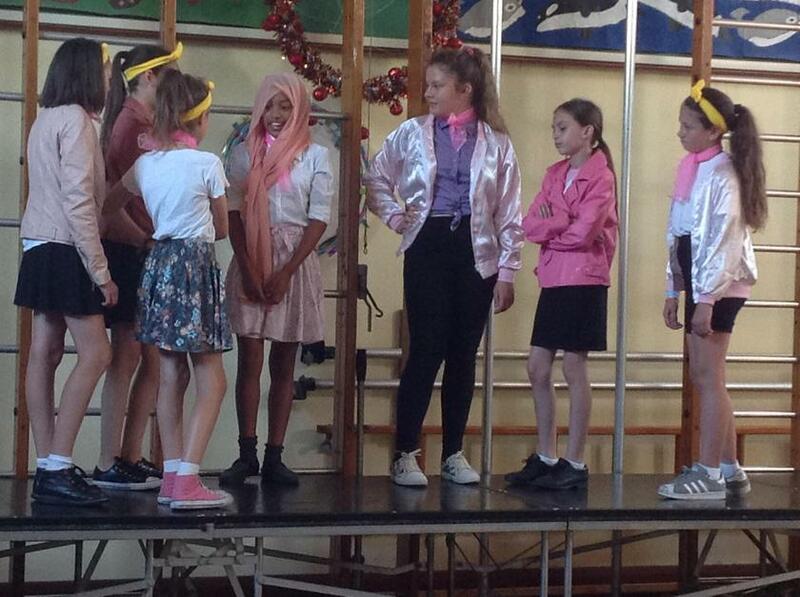 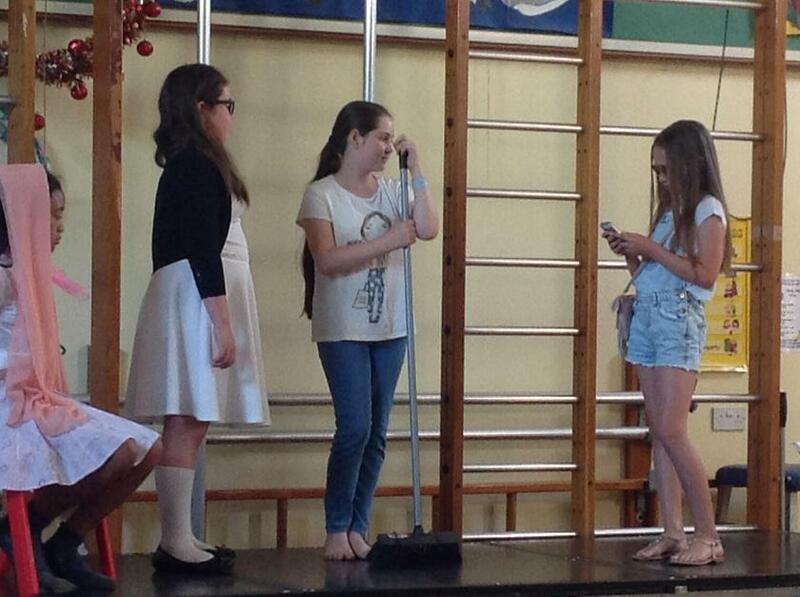 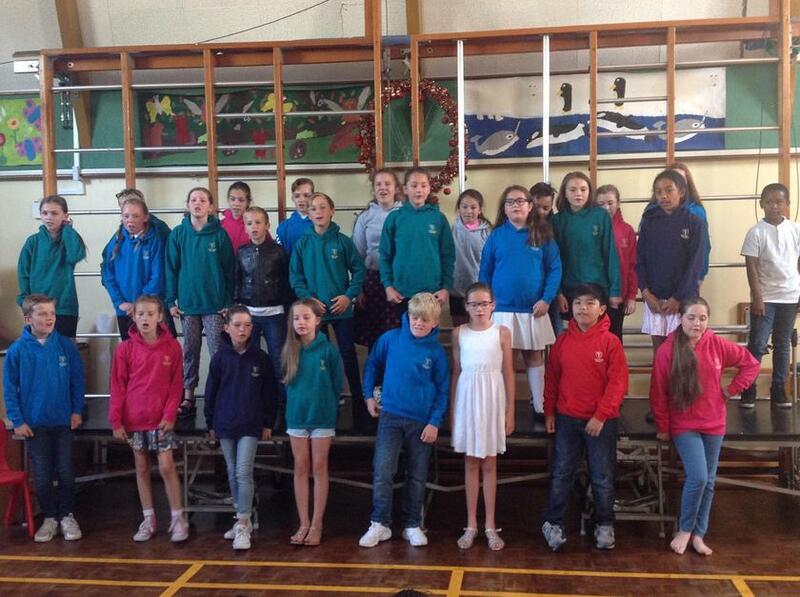 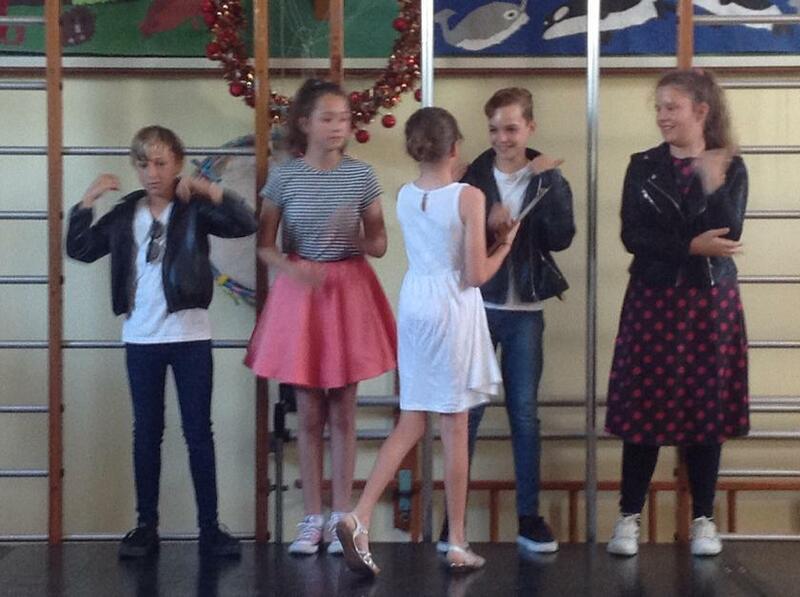 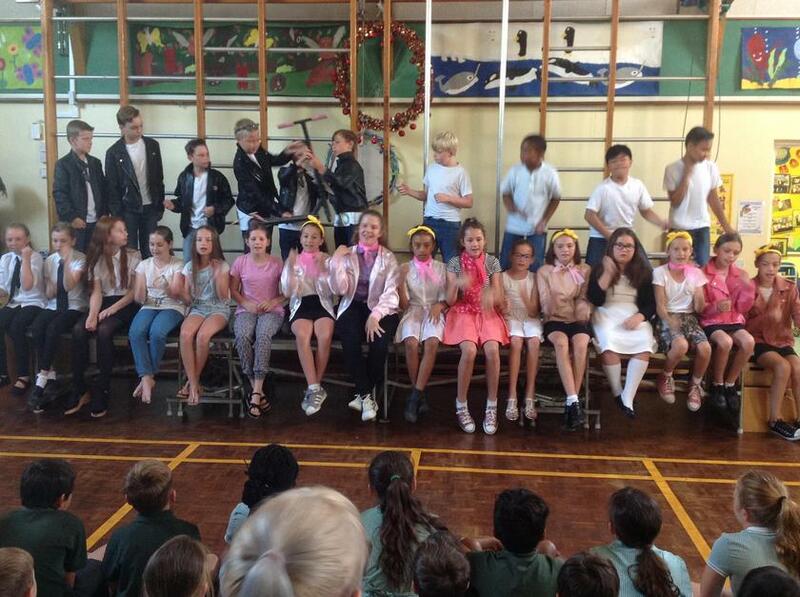 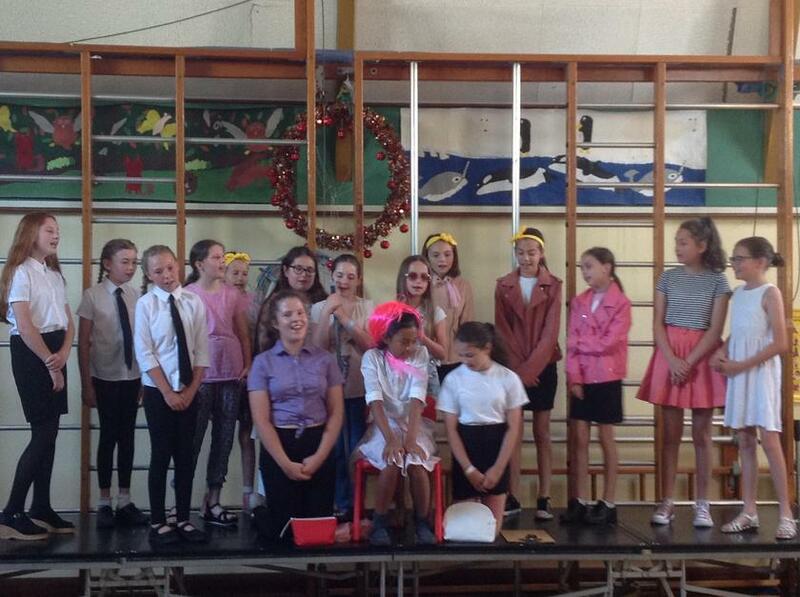 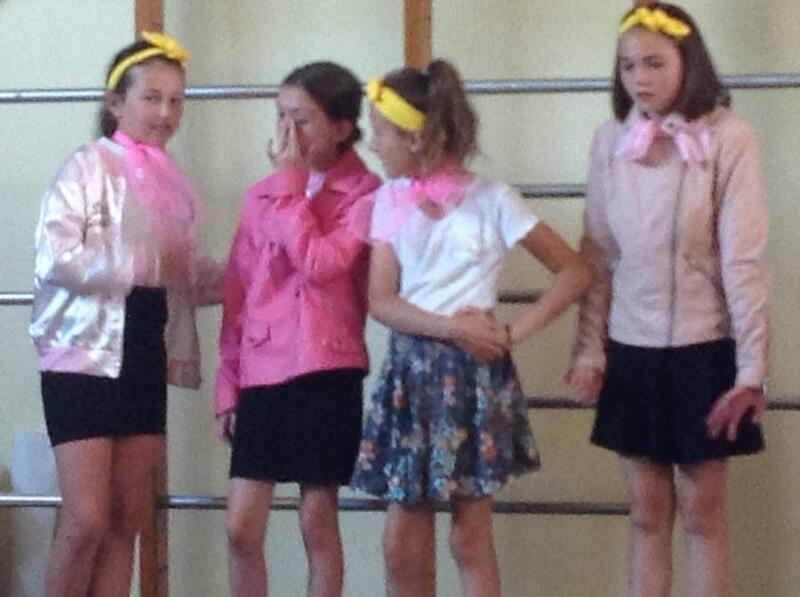 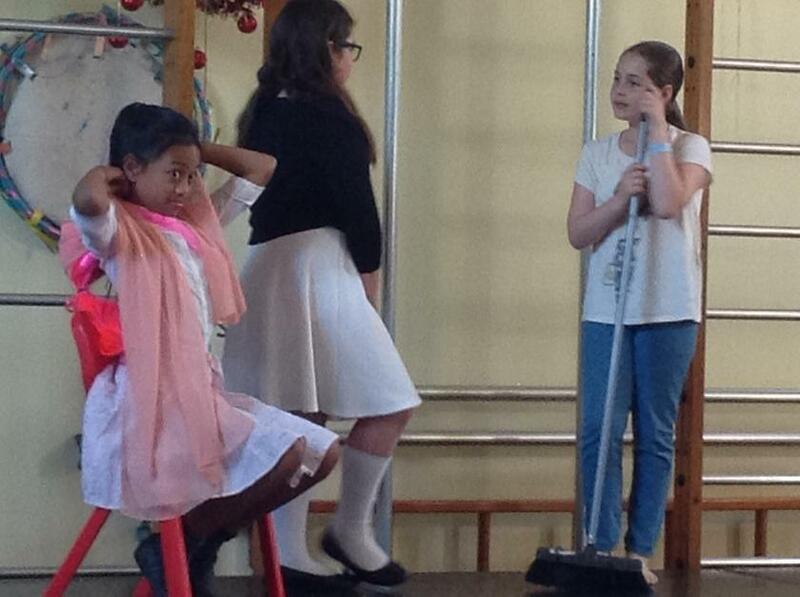 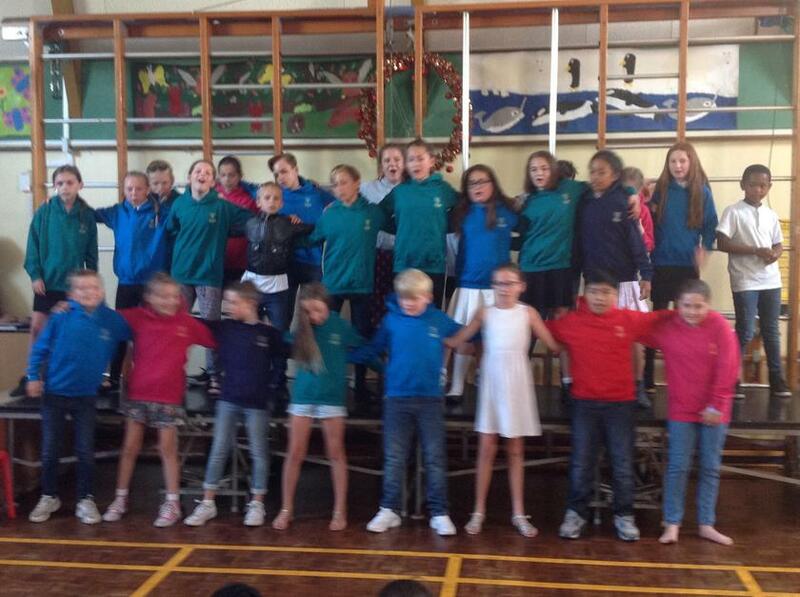 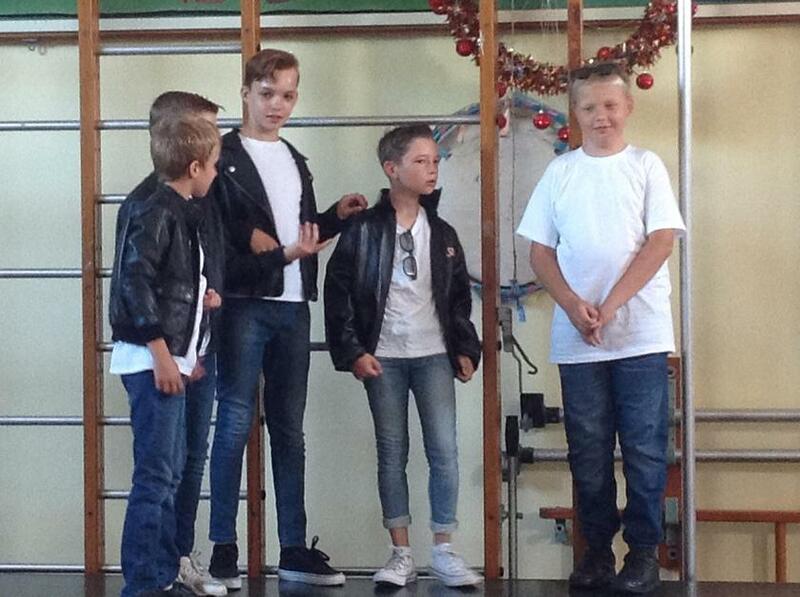 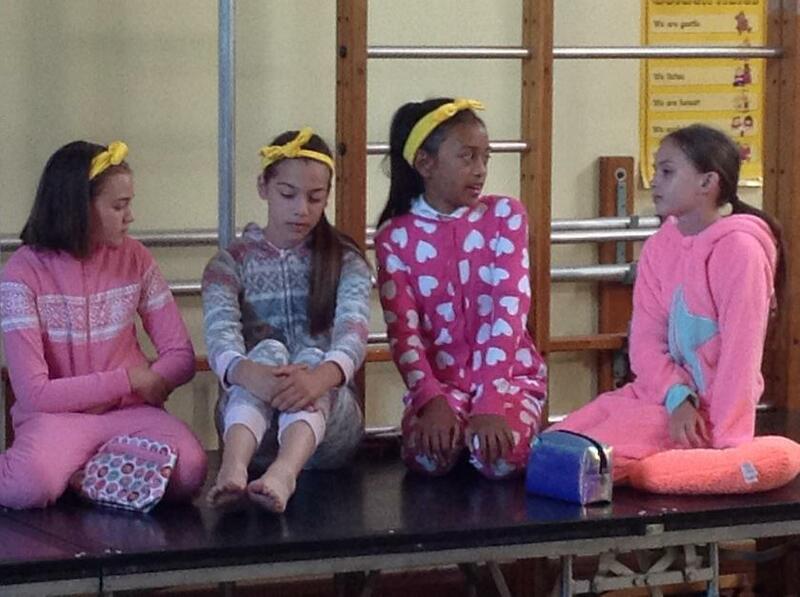 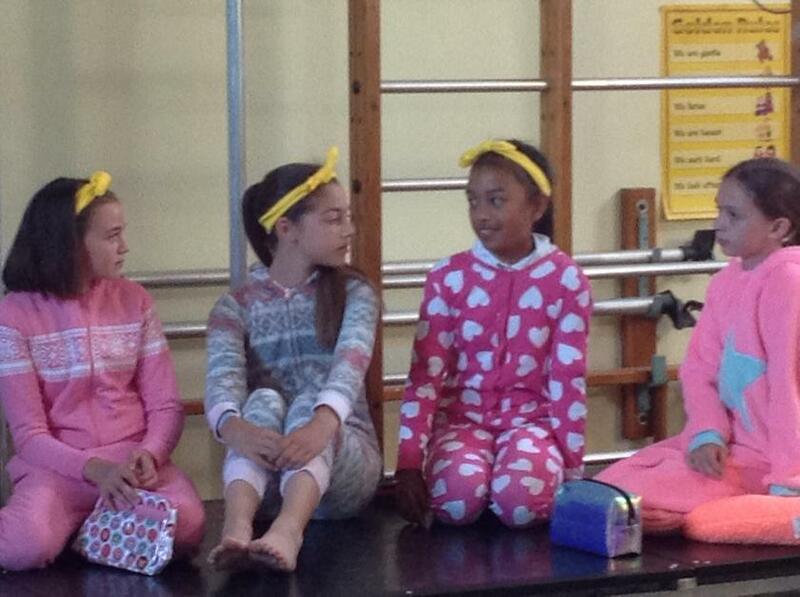 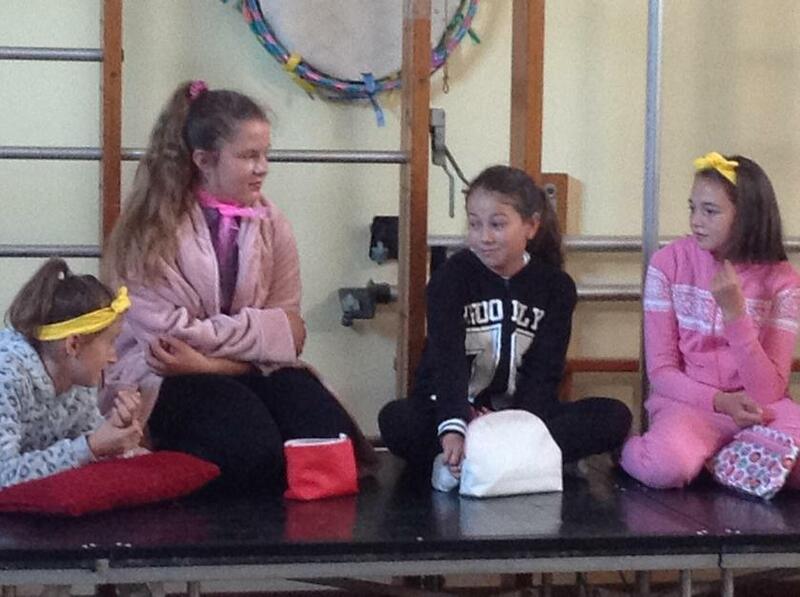 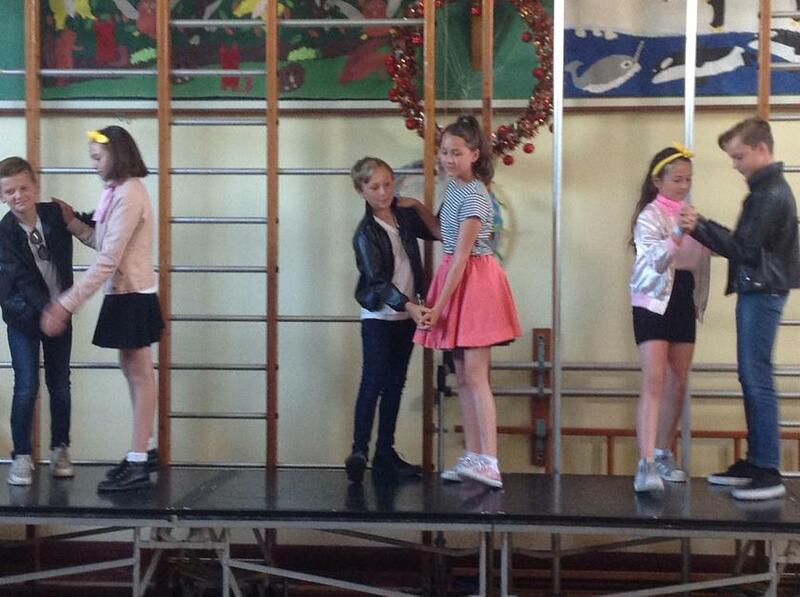 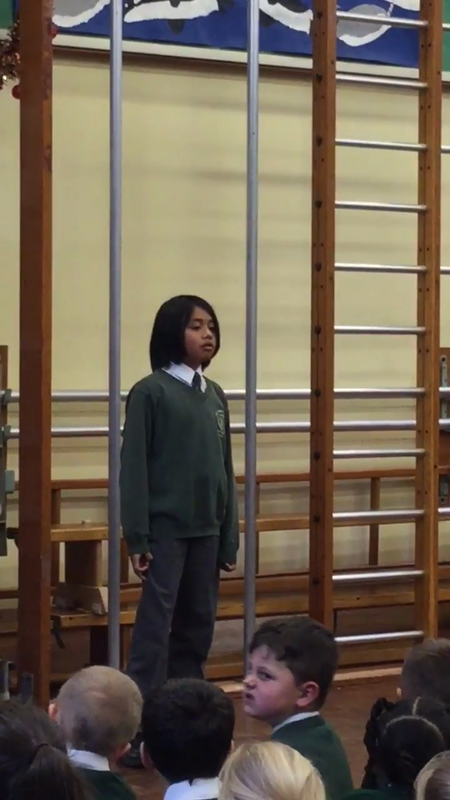 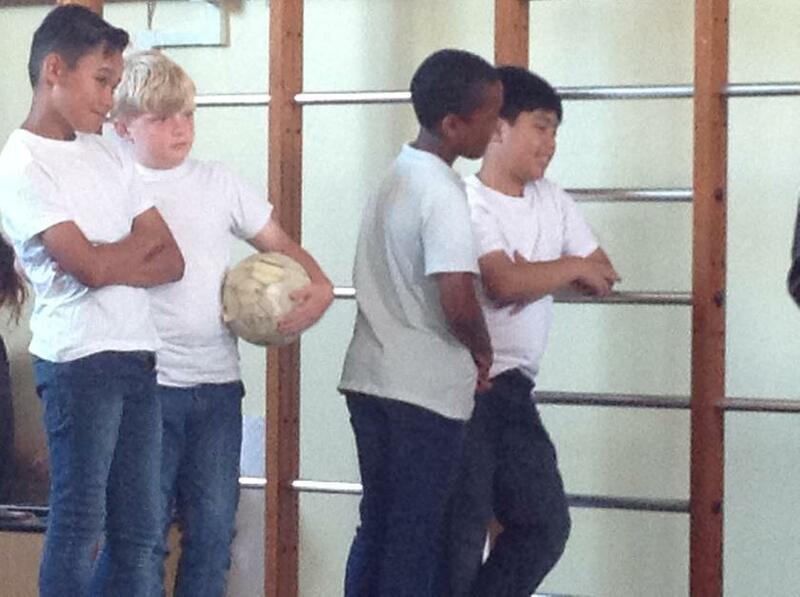 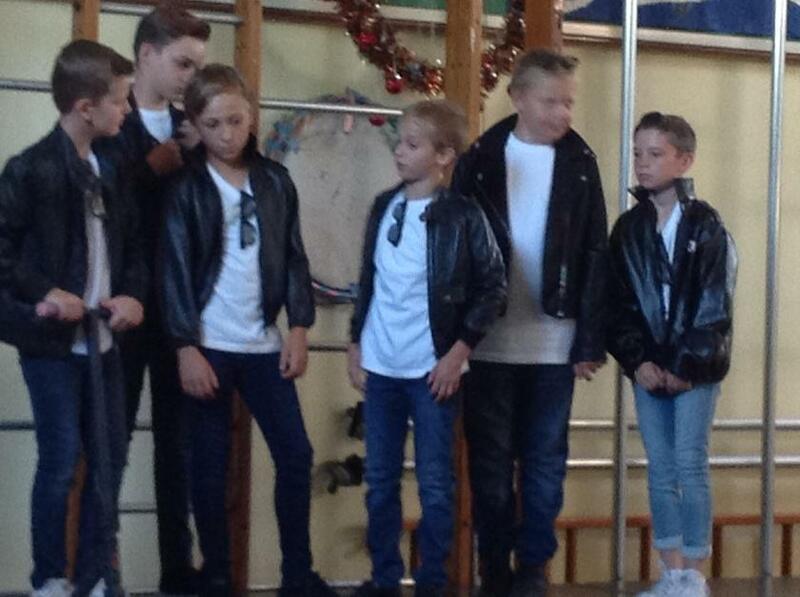 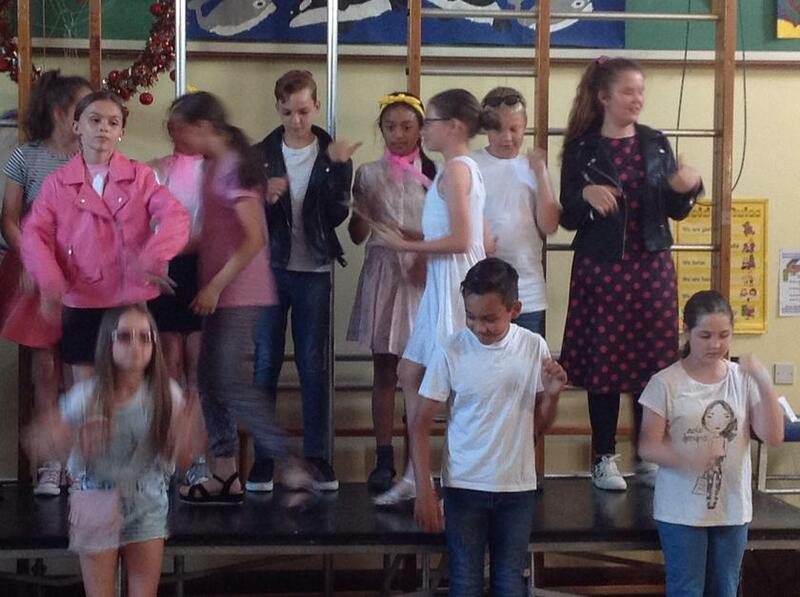 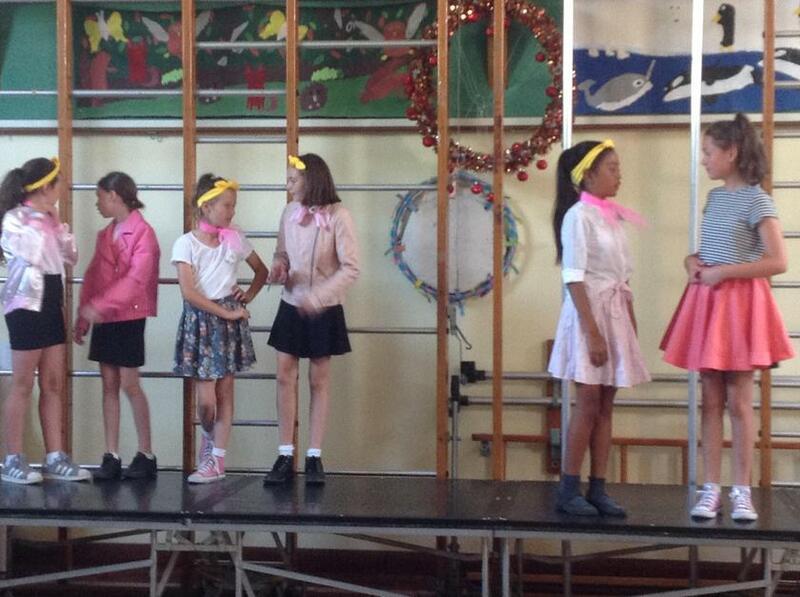 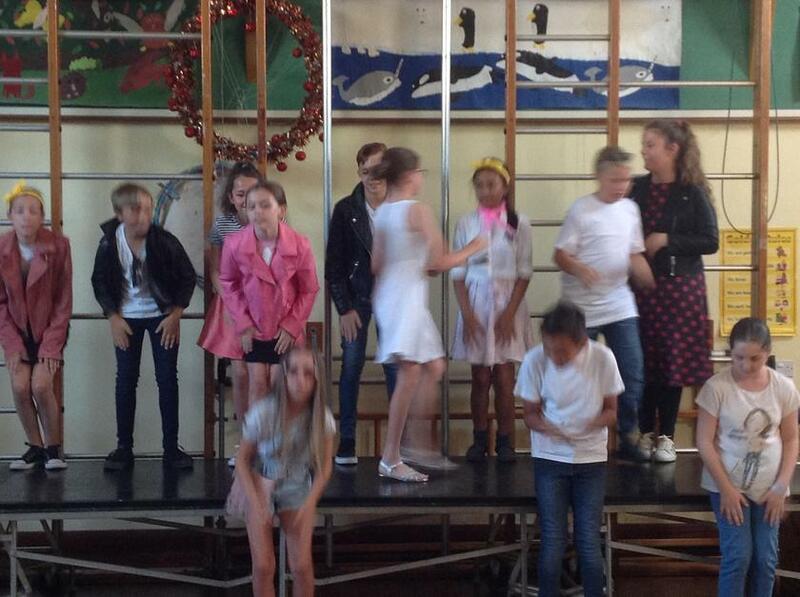 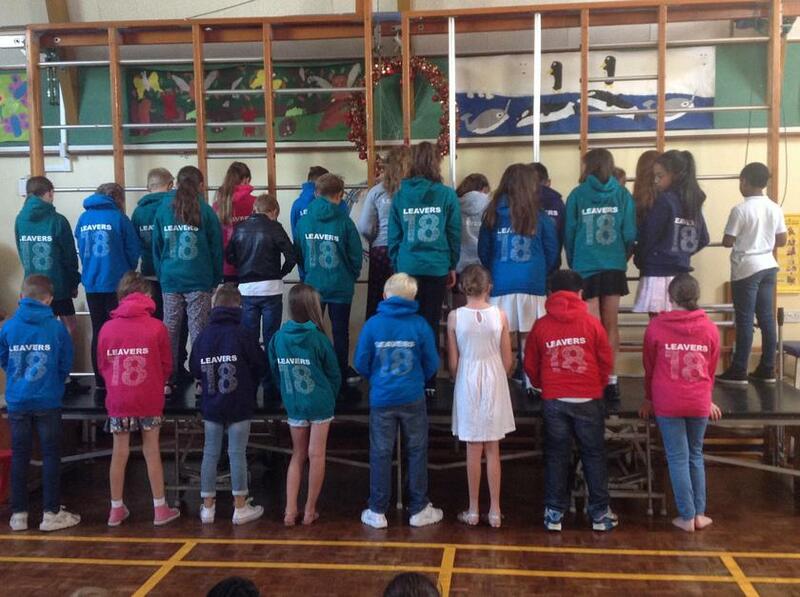 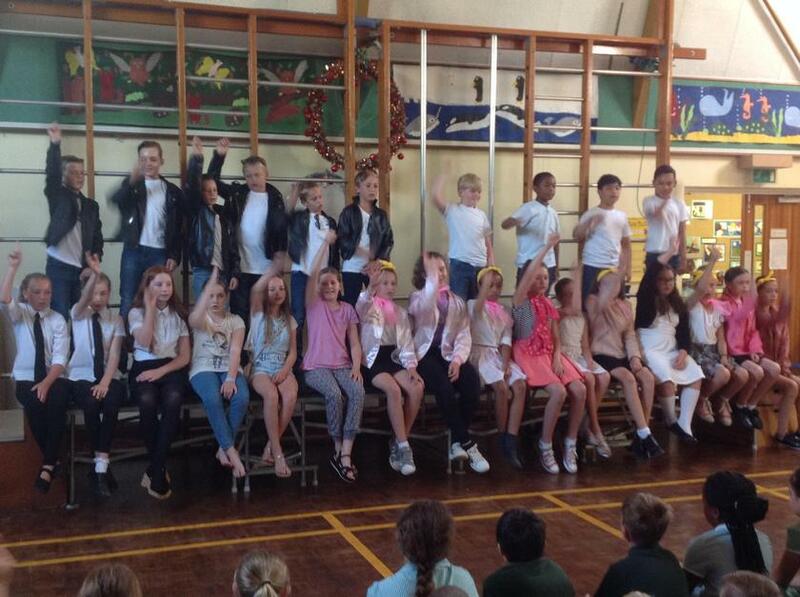 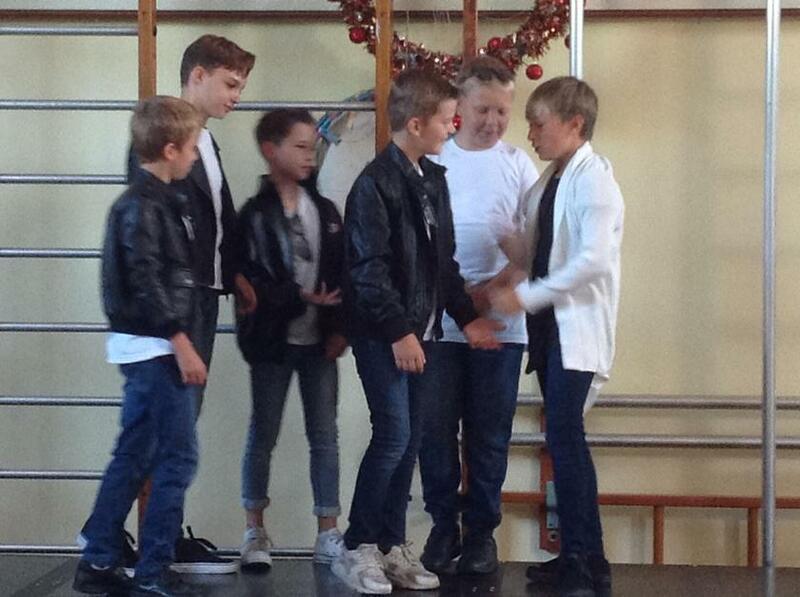 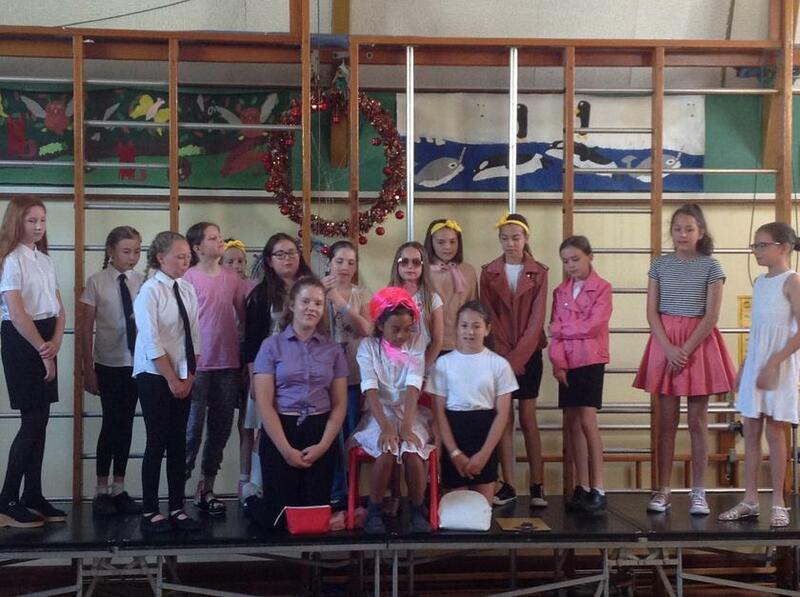 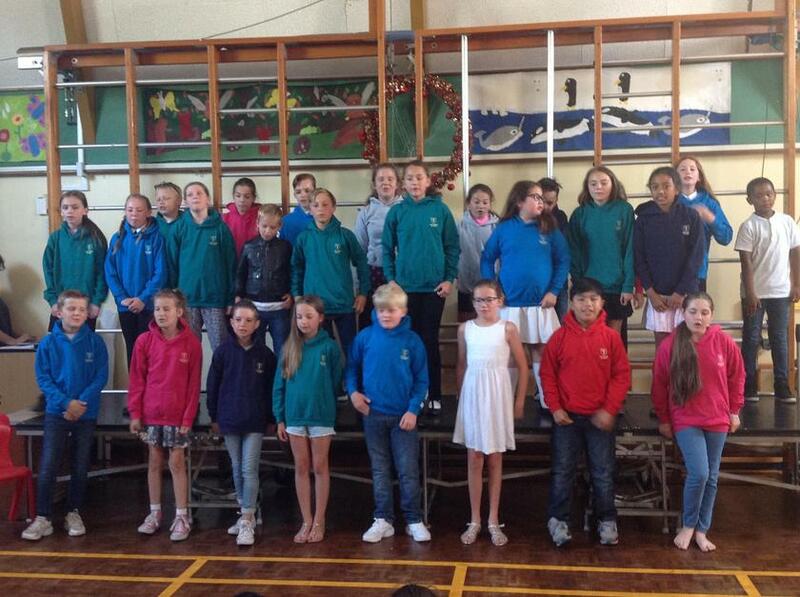 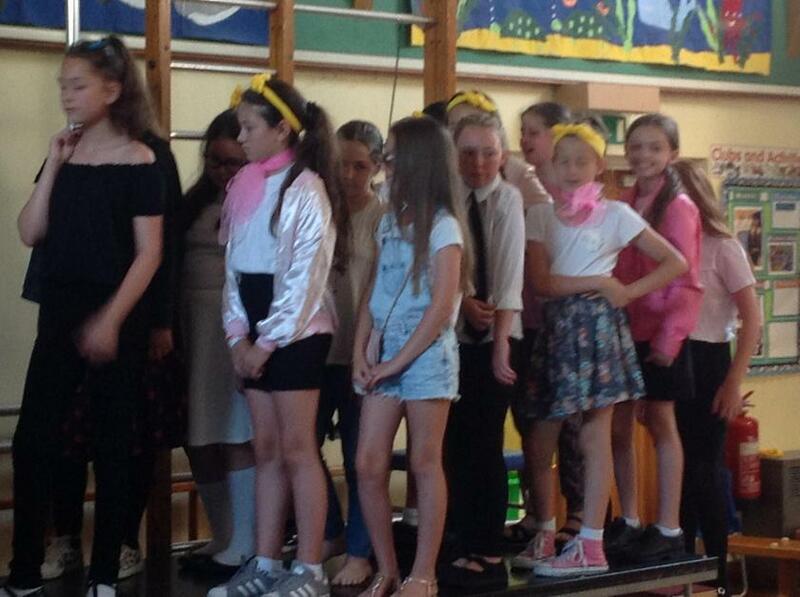 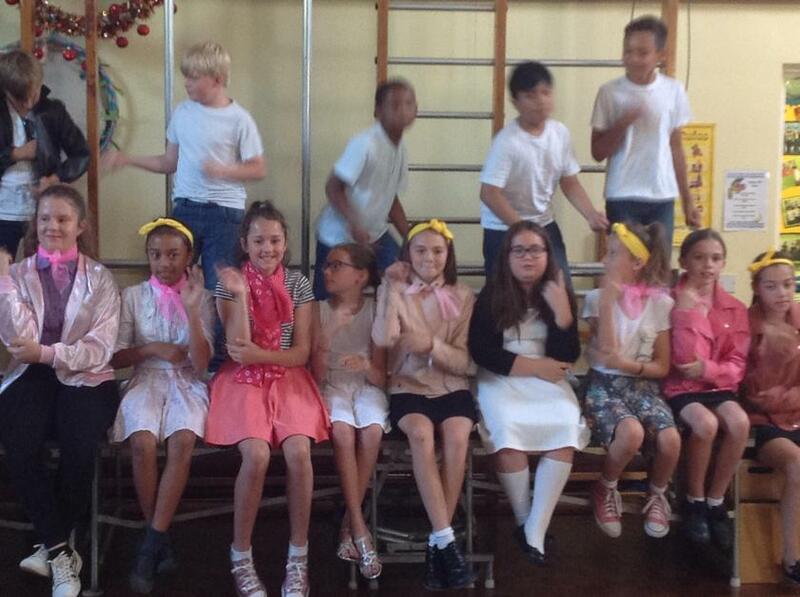 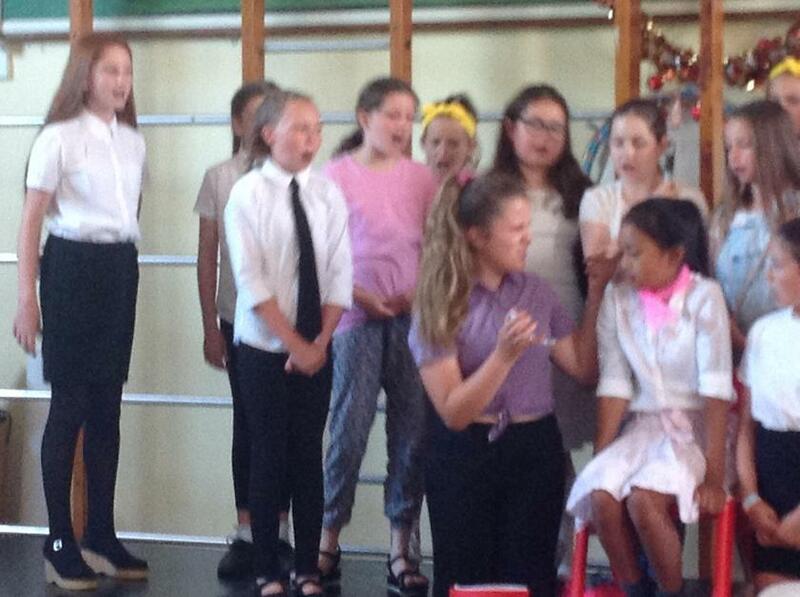 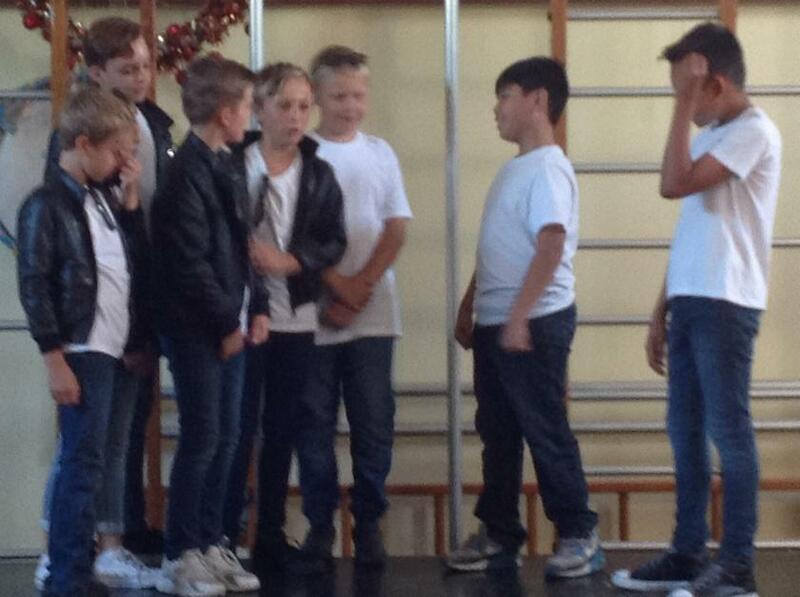 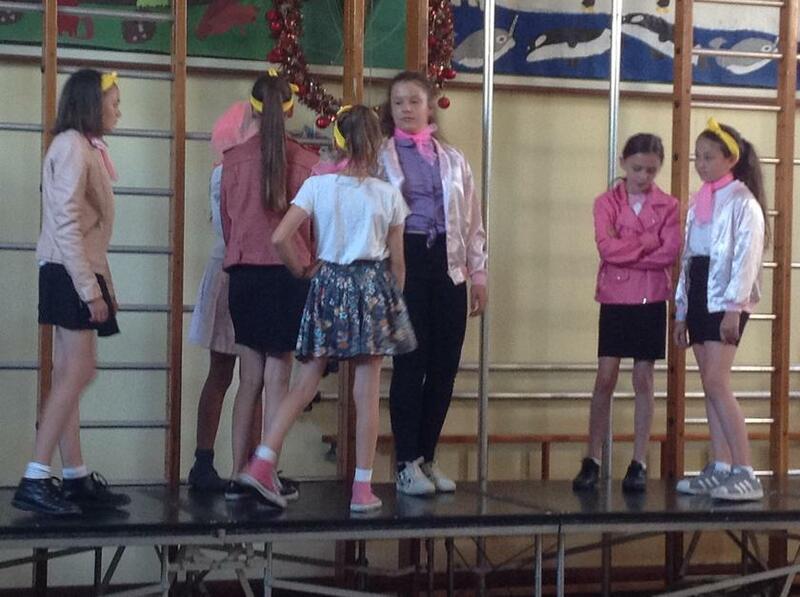 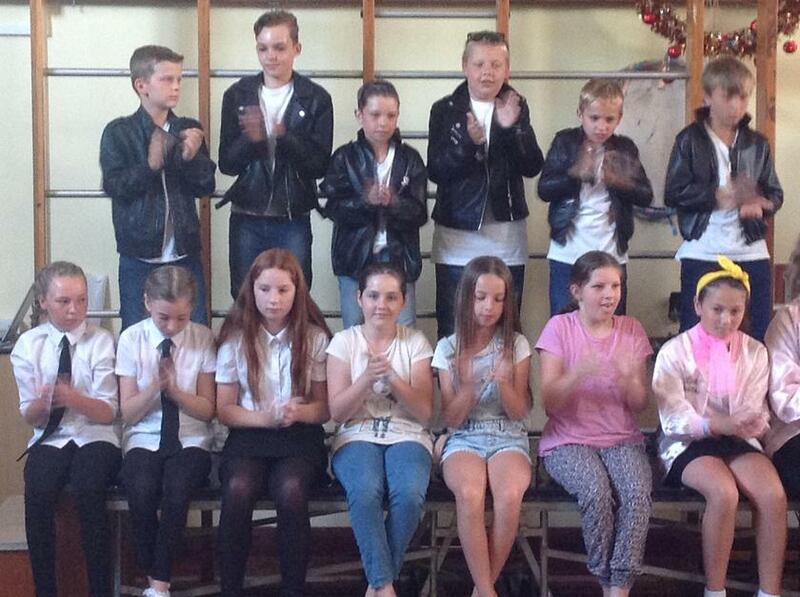 We are all very much looking forward to their individual performance. 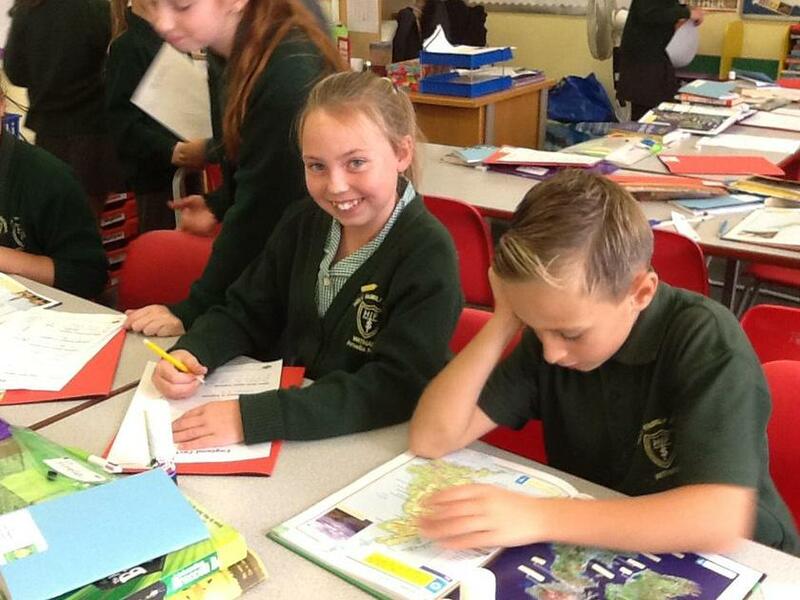 The Year 6 children will be following the national timetable for their end of Key Stage 2 SATs in the week commencing Monday 14th May 2018. 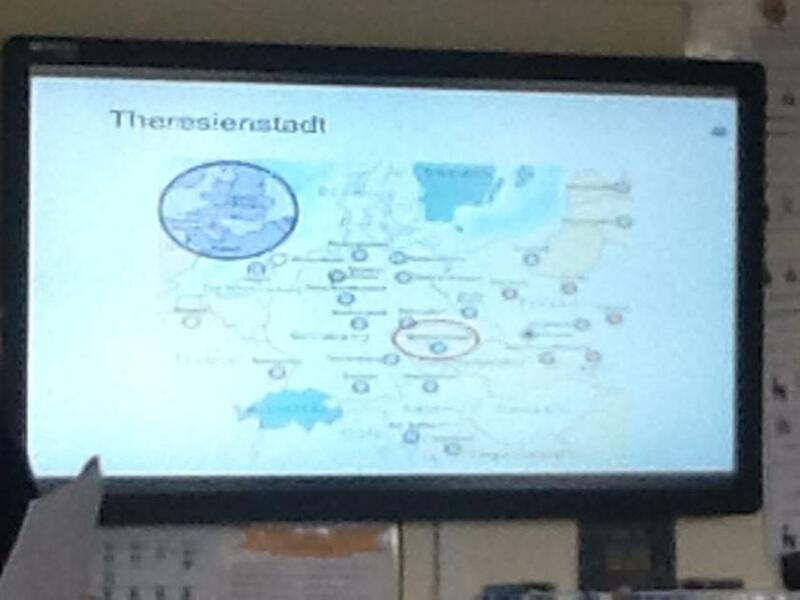 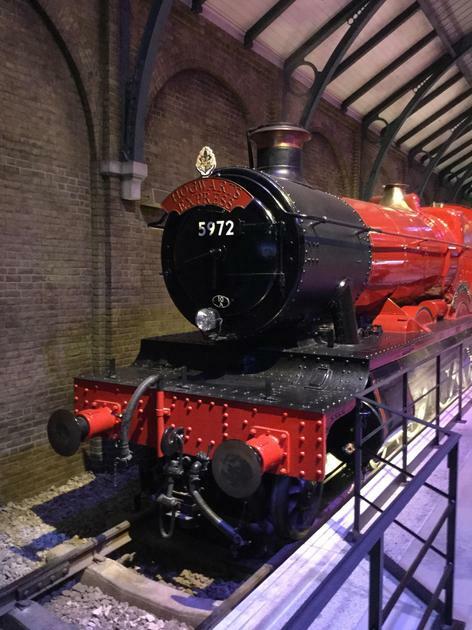 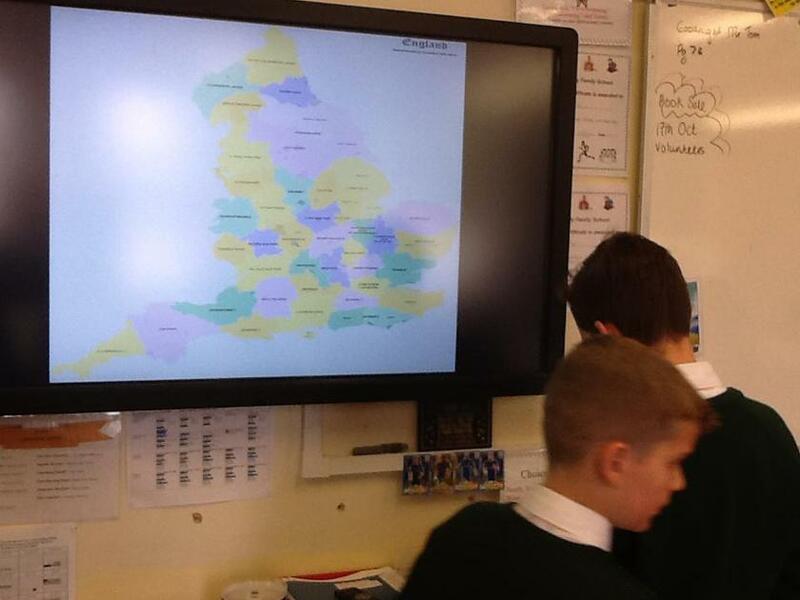 These times are set by the Department for Education and are not to be deviated from. 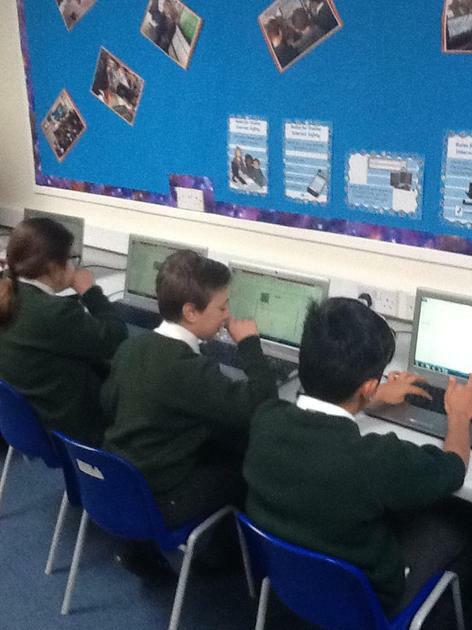 The outcomes from these tests will be used to ascertain whether your child is working at age expectations in reading, grammar and maths. 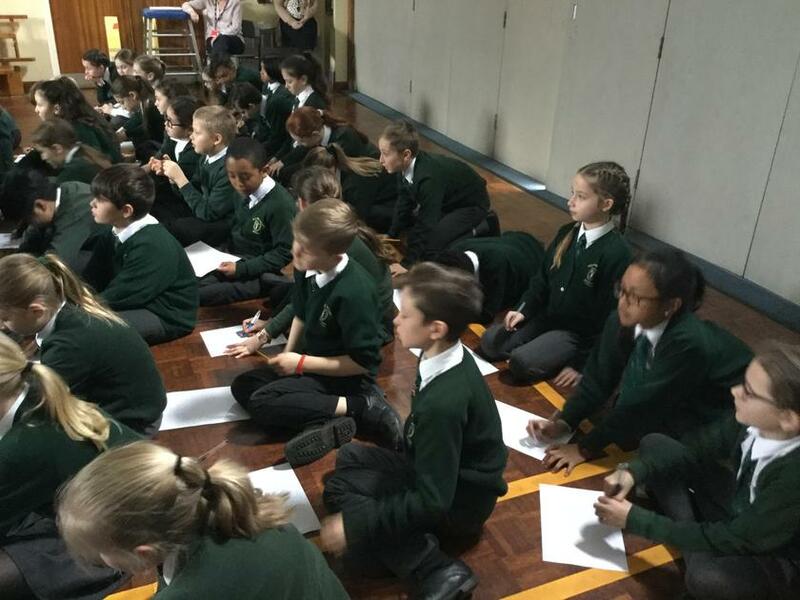 Writing evidence will be collected throughout the Spring and Summer terms to provide evidence of whether your child is working at age expectations in writing. 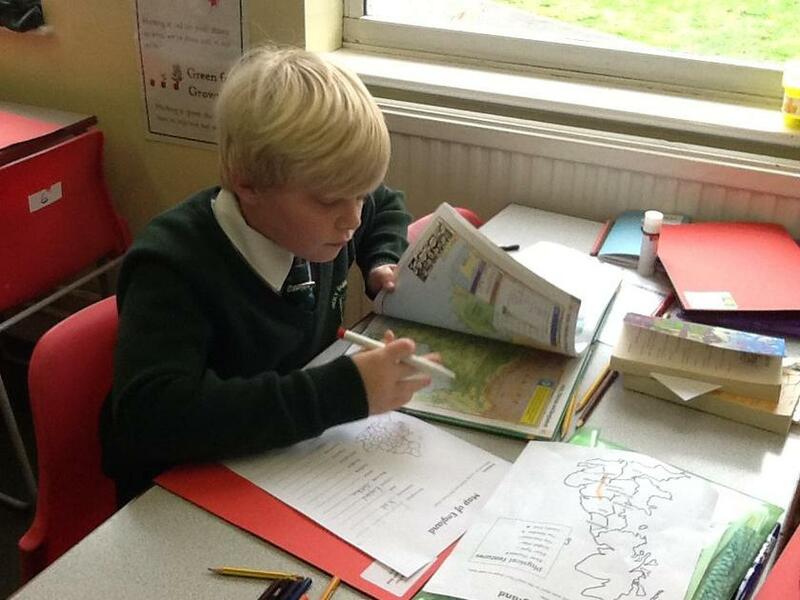 The documents below detail what your child needs to achieve to be working at a Year 6 expected level. 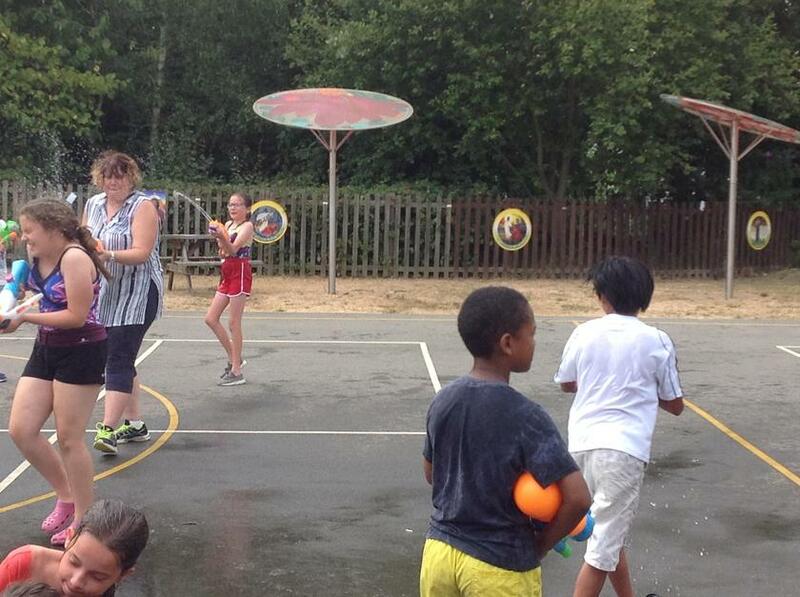 We have included these on the class page so that you can support your child in achieving these targets. 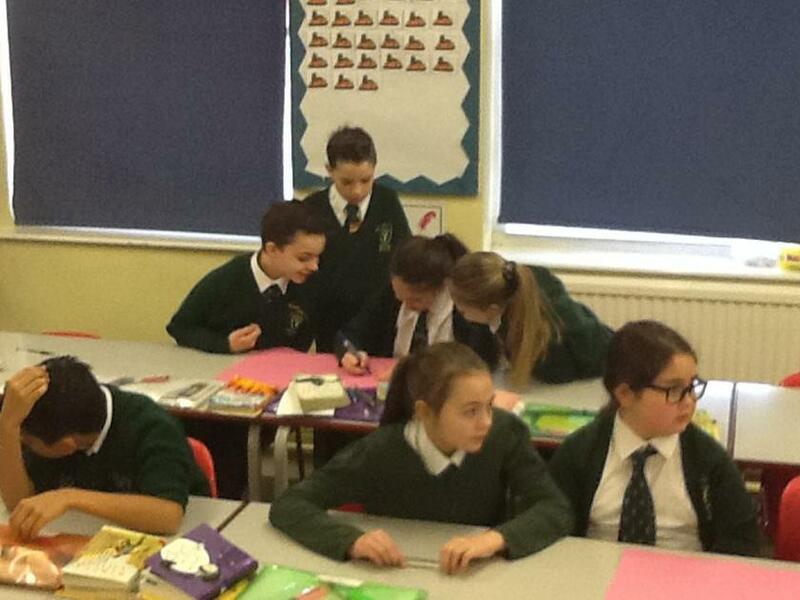 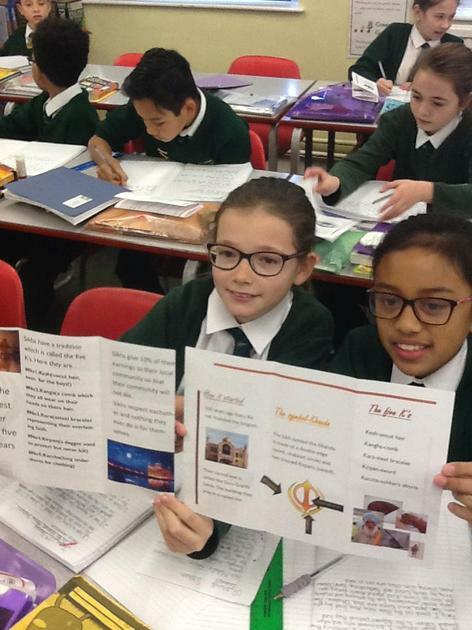 In our class reflection time today we discussed and collated information on St Maximilian Kolbe. 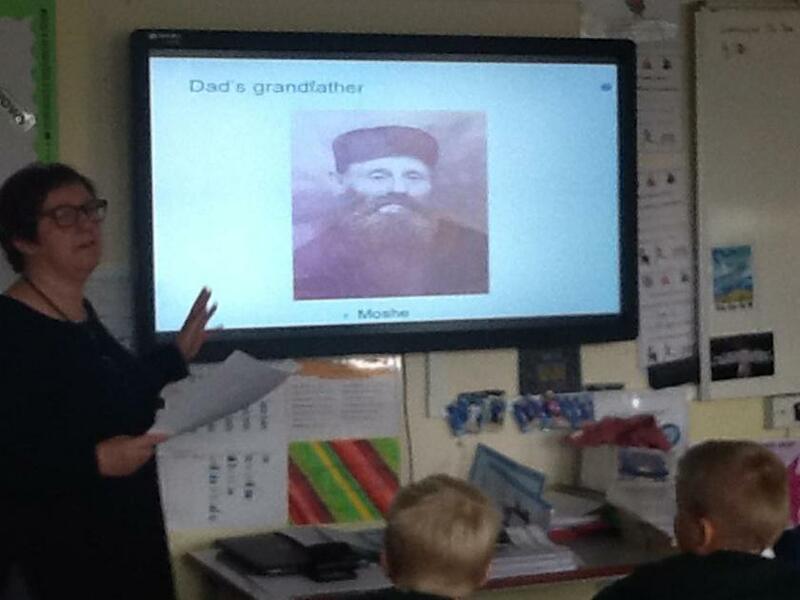 It was very interesting for the children to find out information about him as he is a more modern saint having died in 1941. 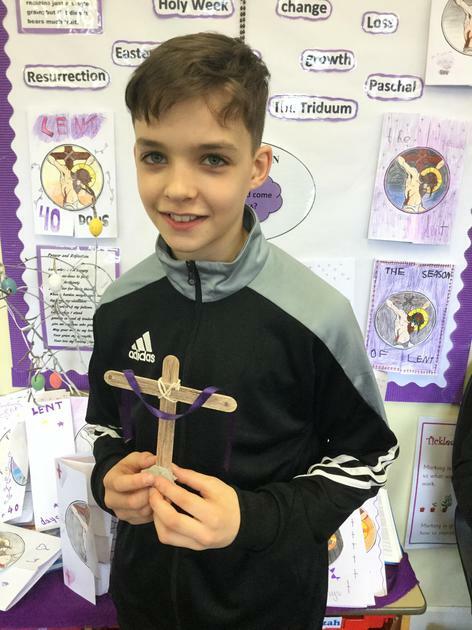 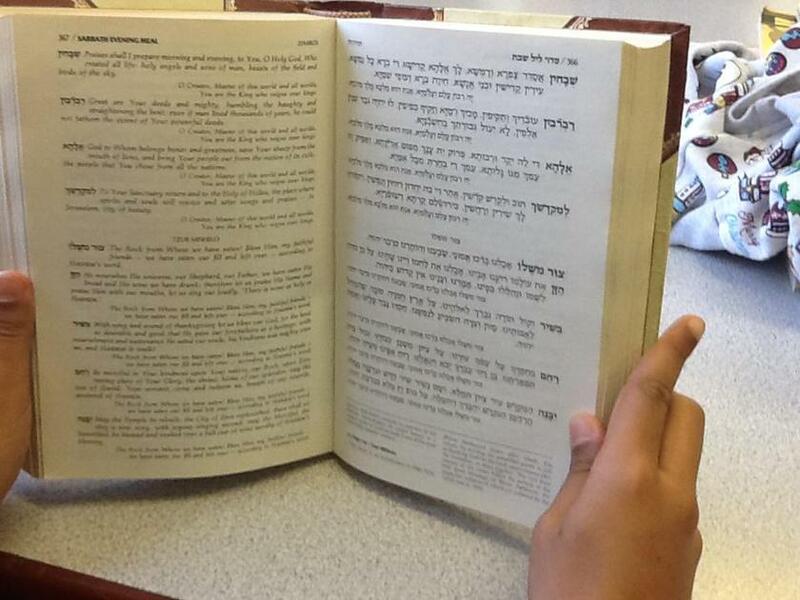 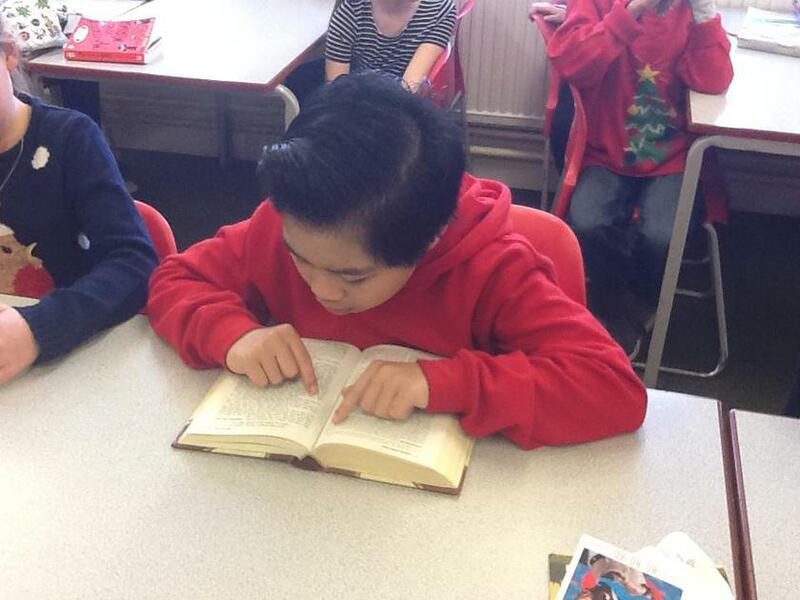 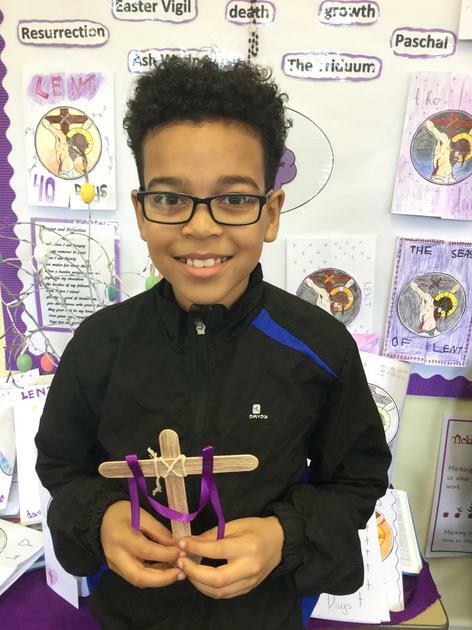 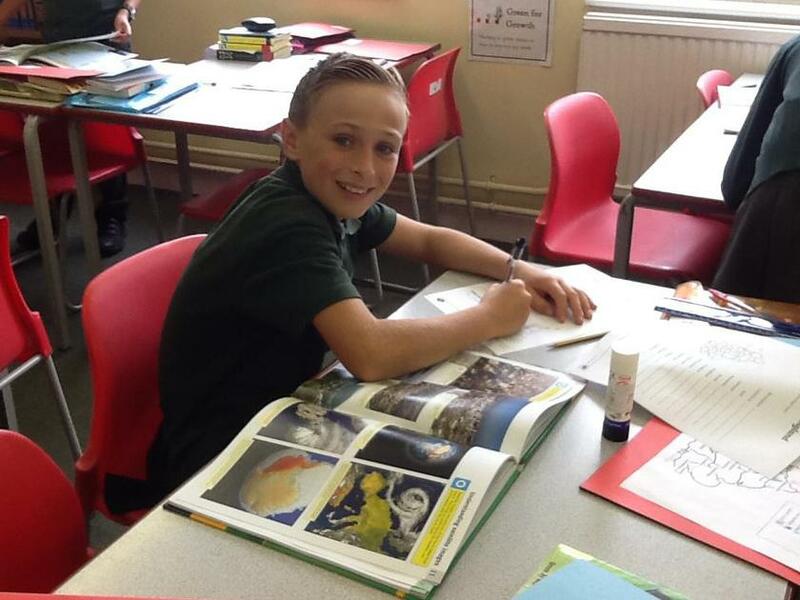 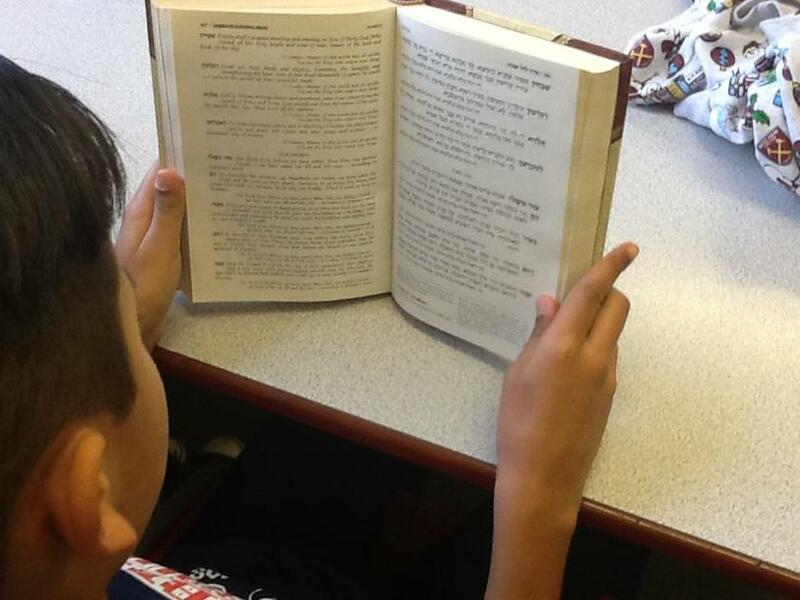 After discussing information about his home, where he started his religious teachings and how he has sheen honosured in this country, Loren updated the class saint book. 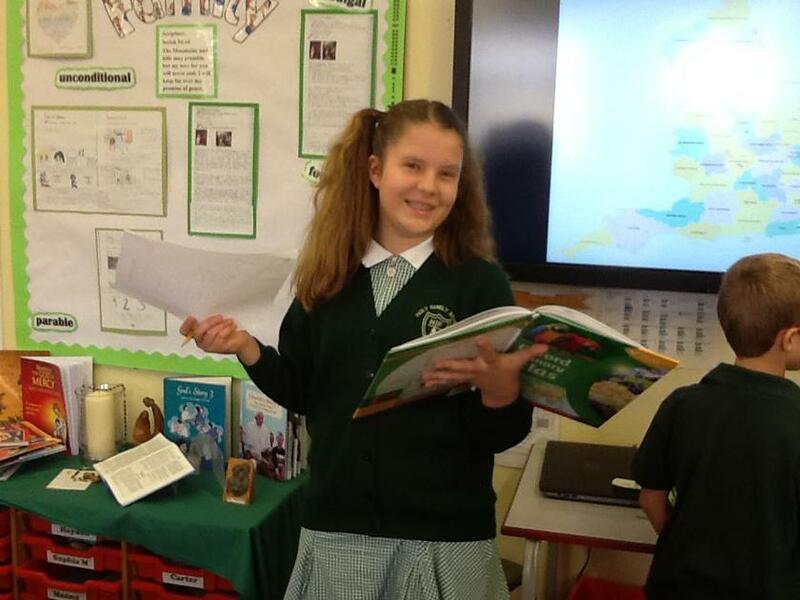 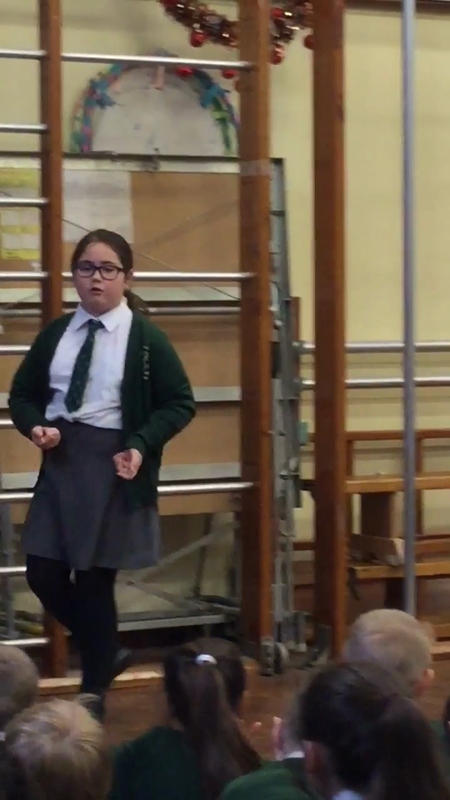 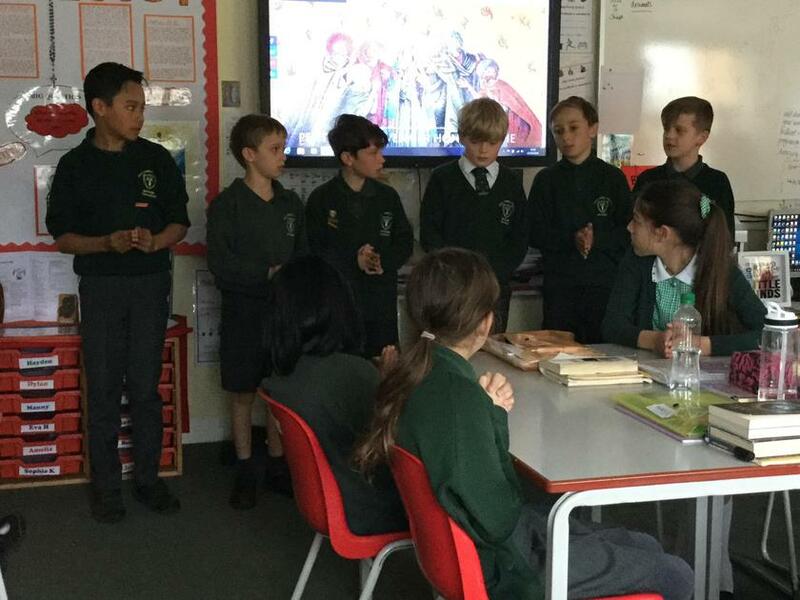 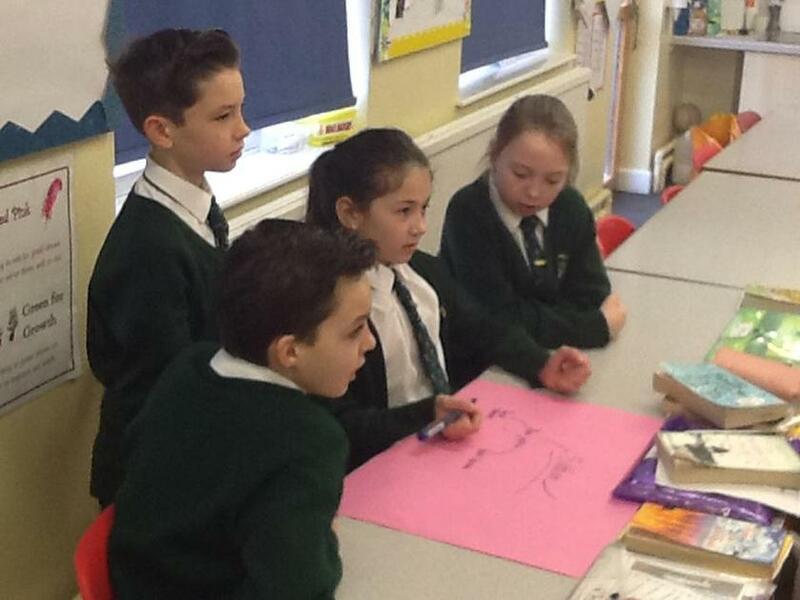 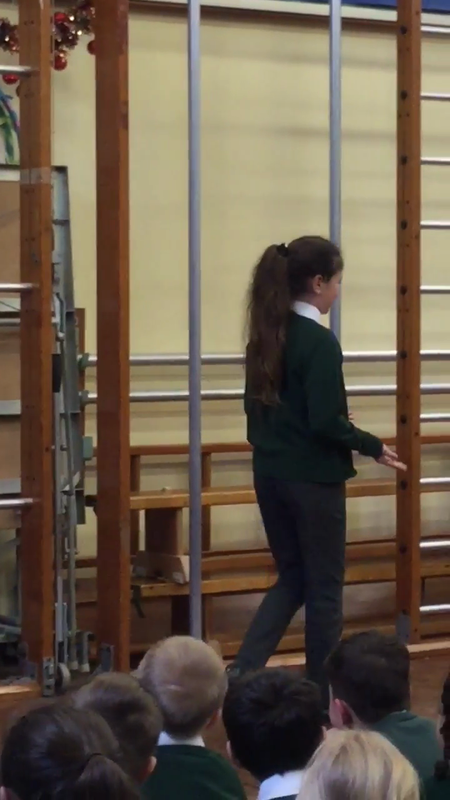 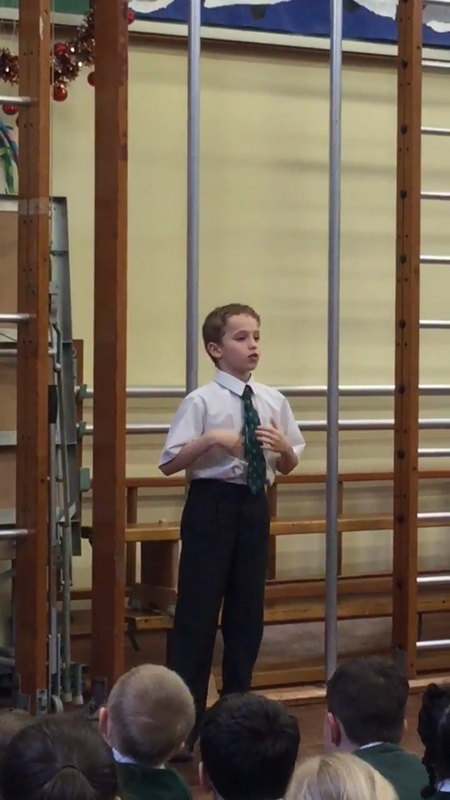 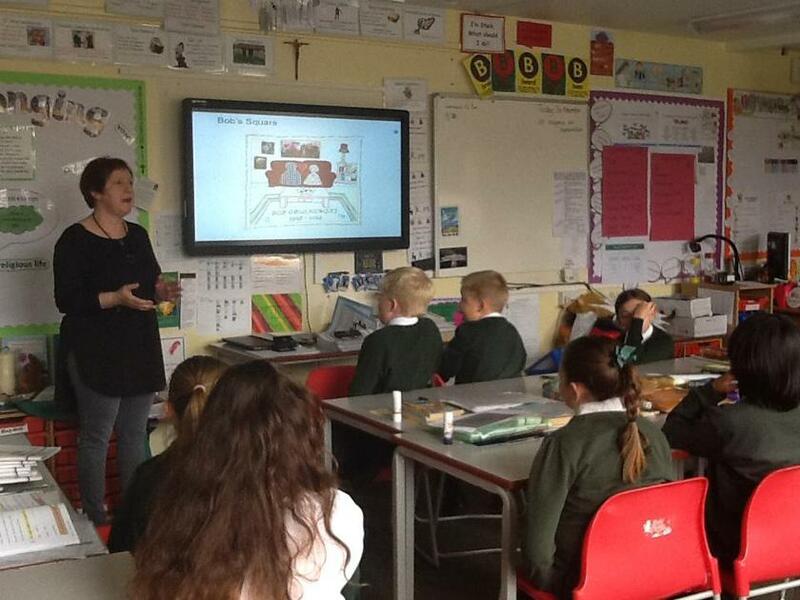 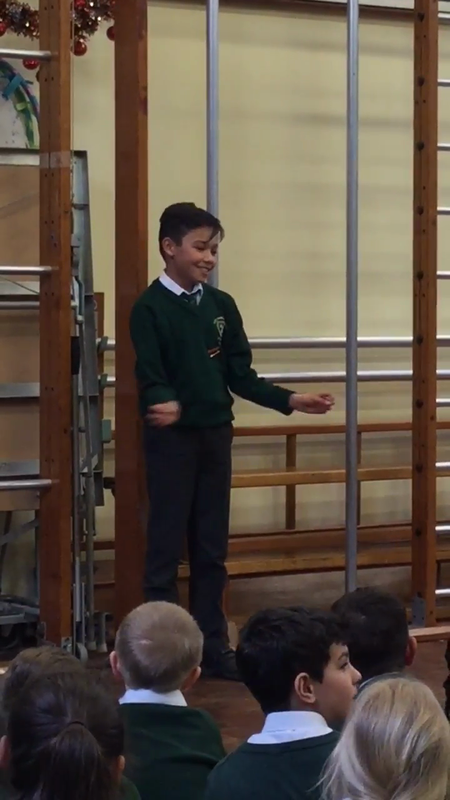 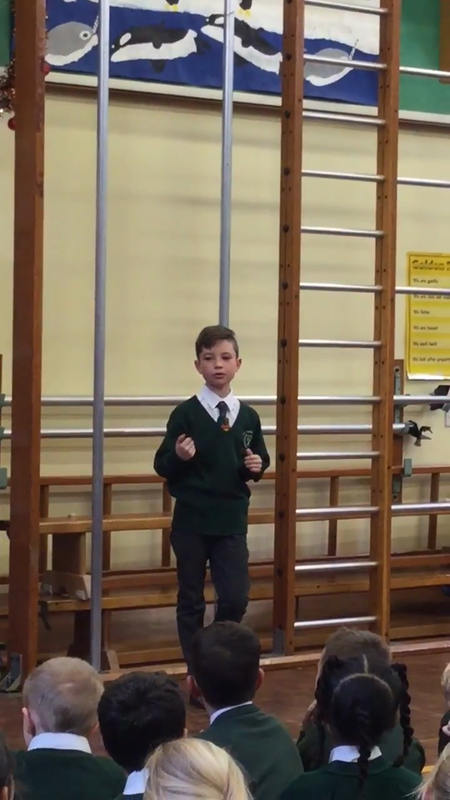 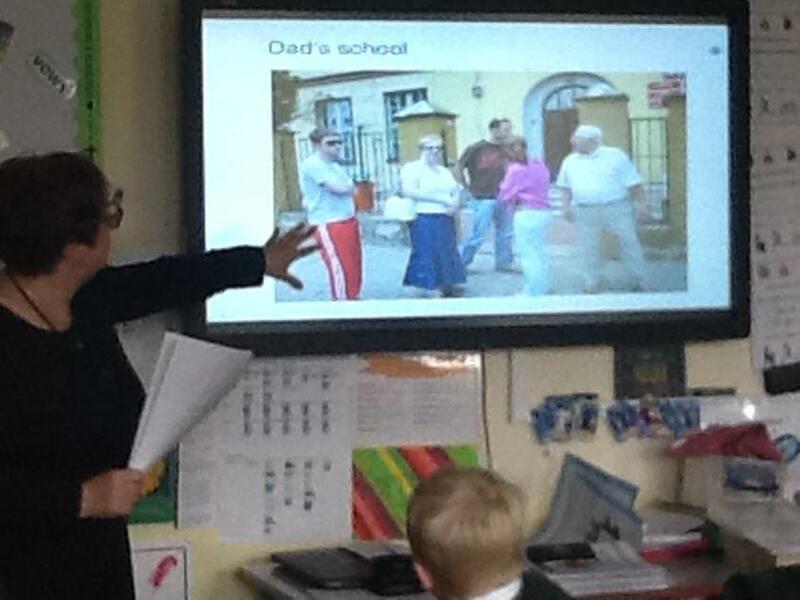 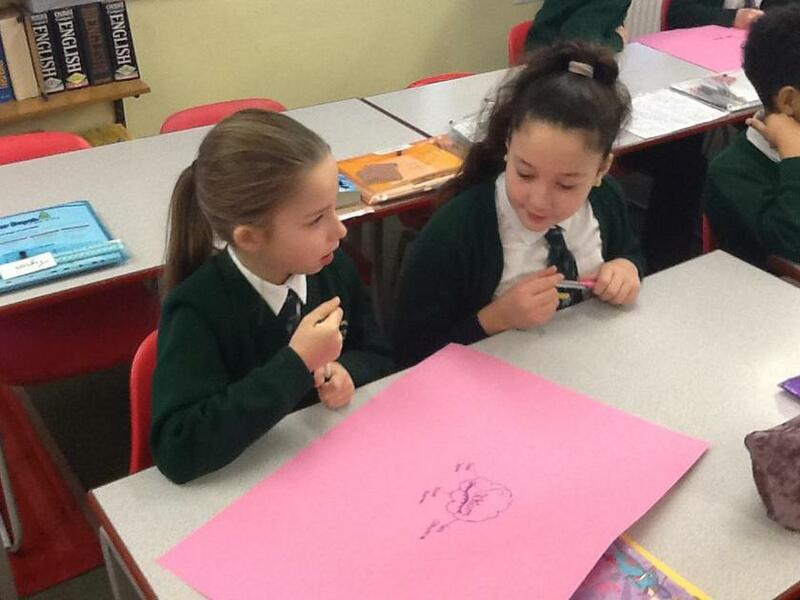 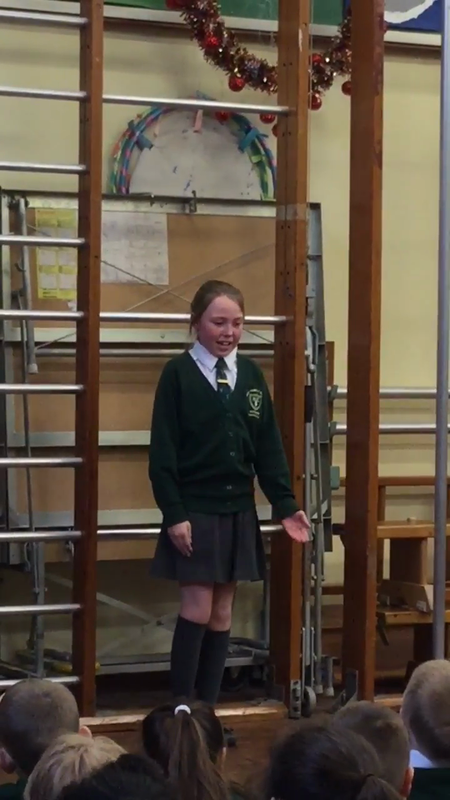 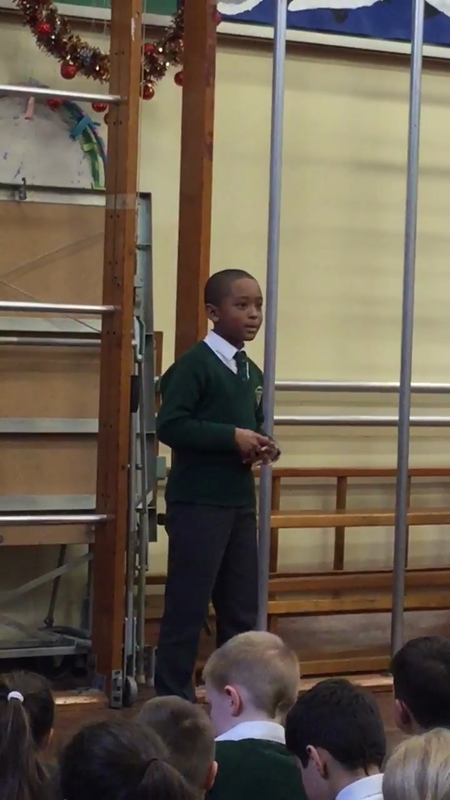 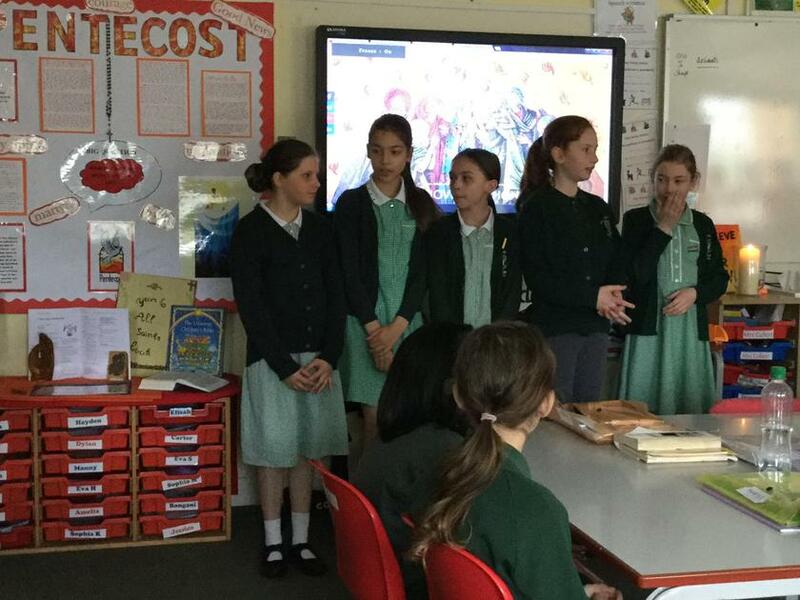 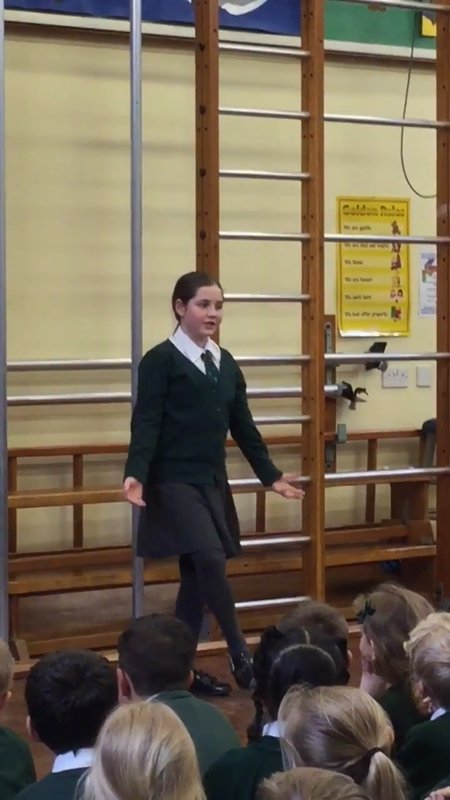 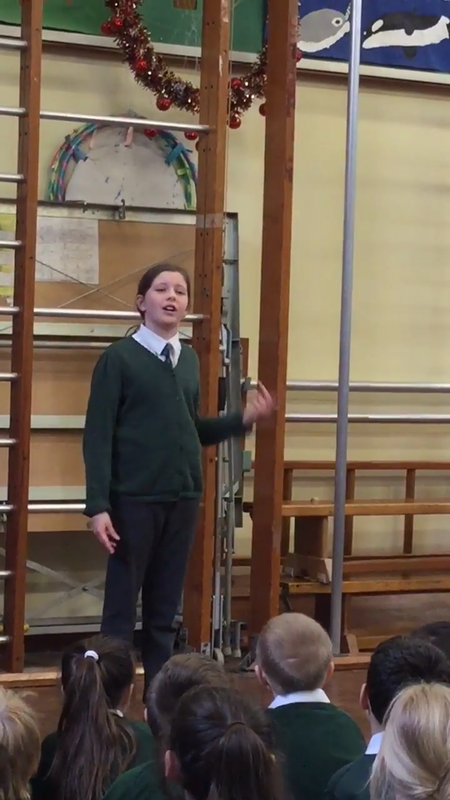 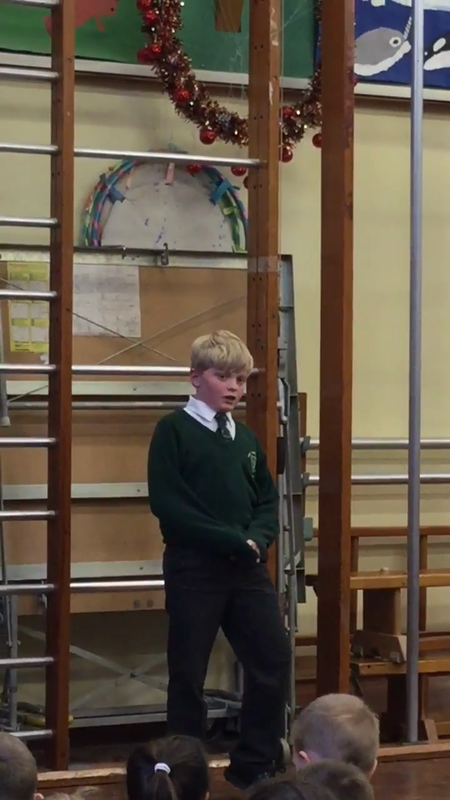 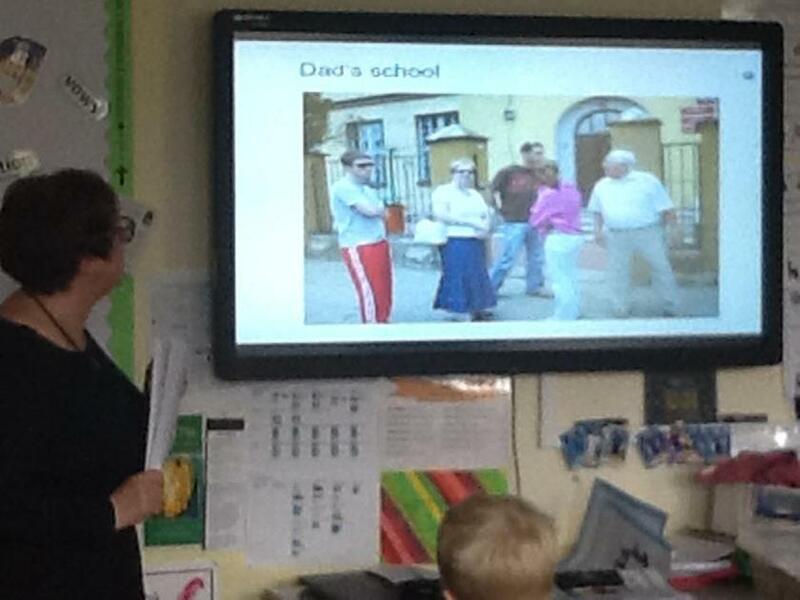 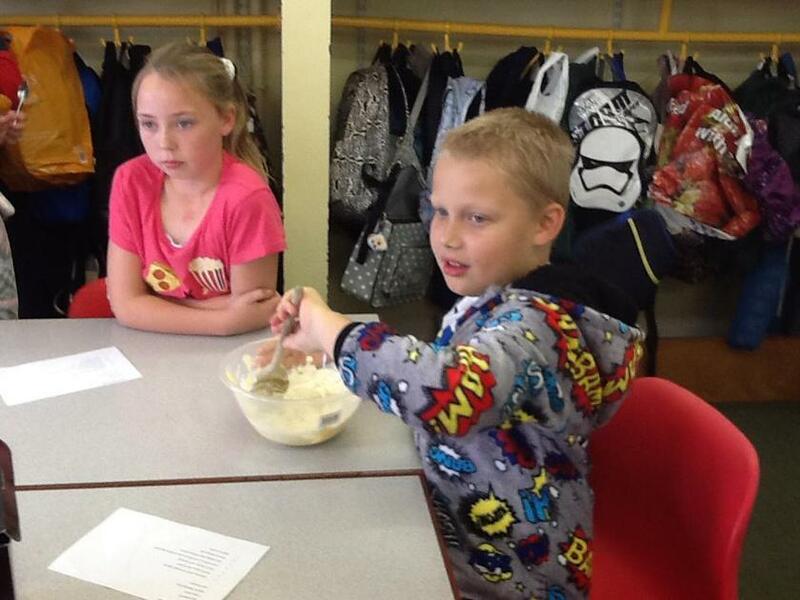 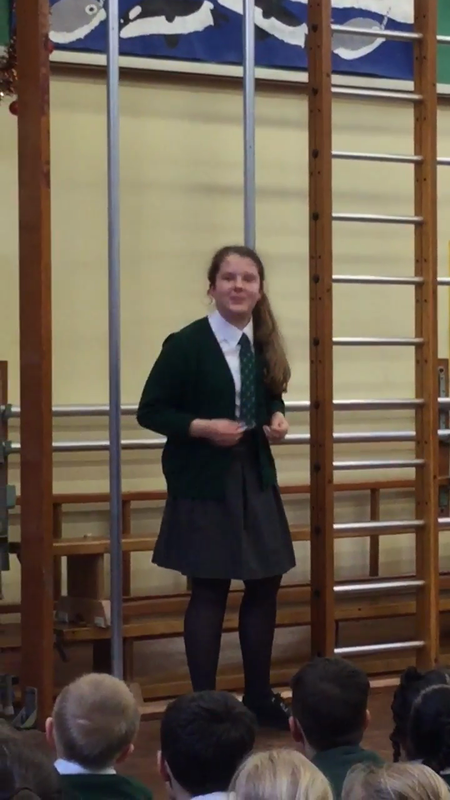 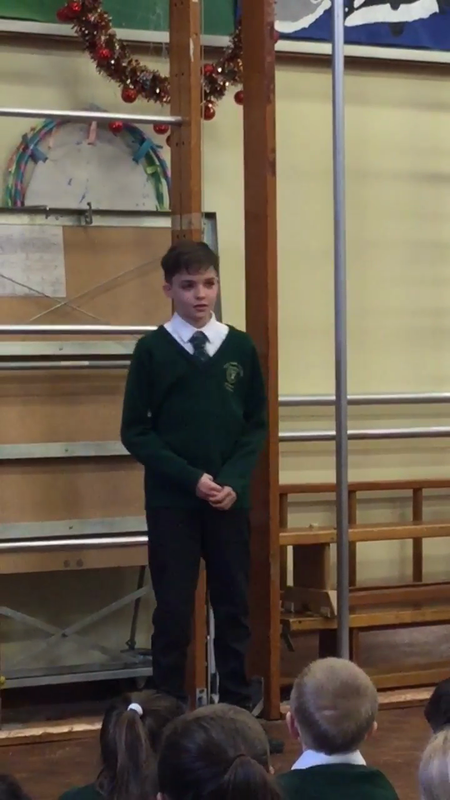 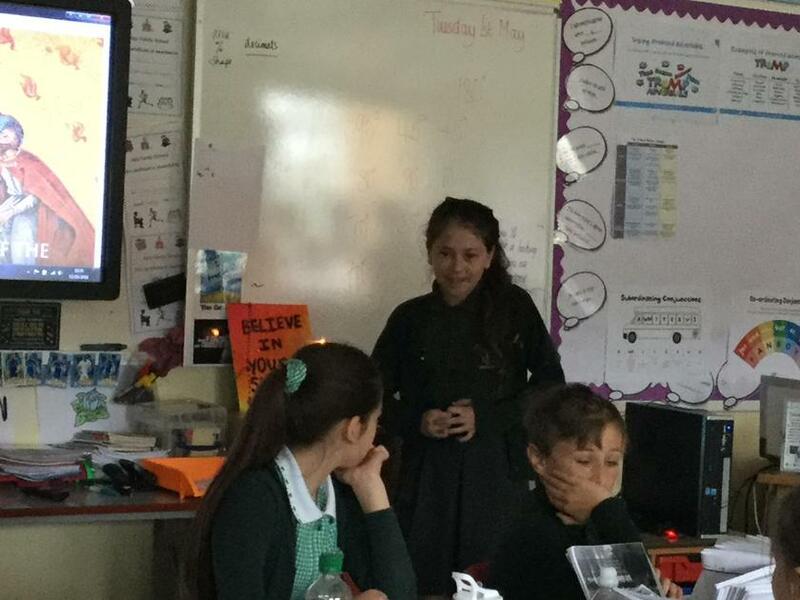 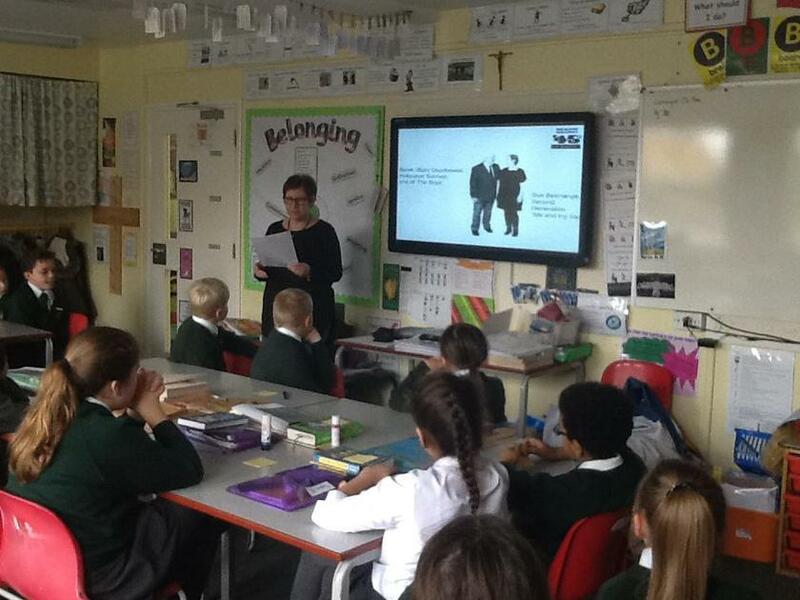 The children had their second lesson on public speaking this week. 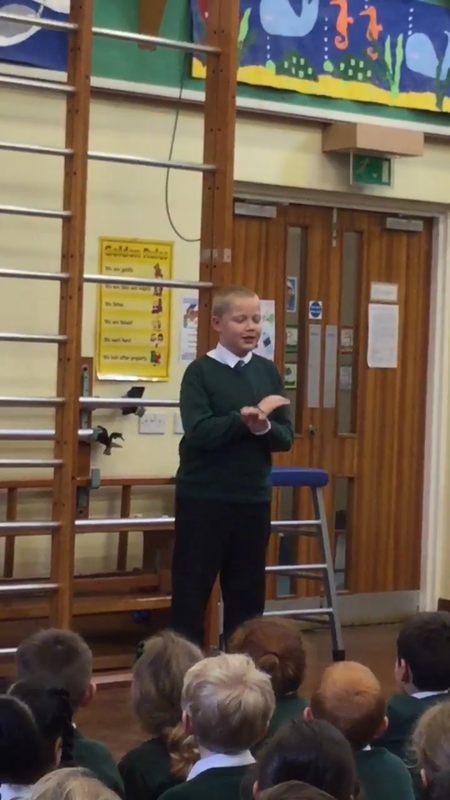 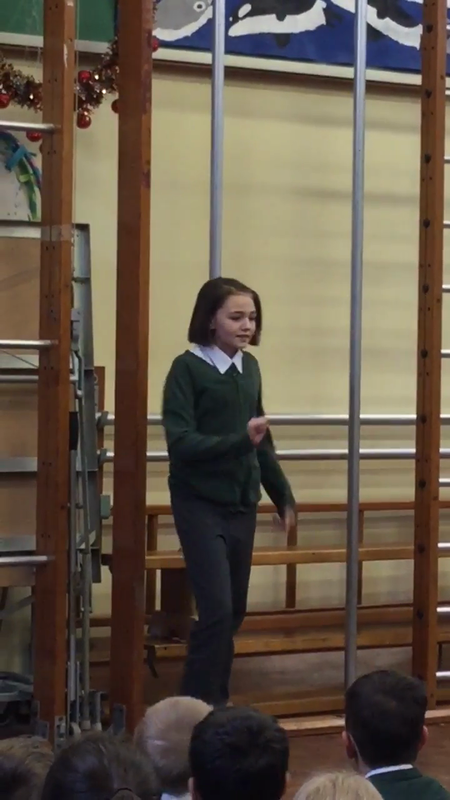 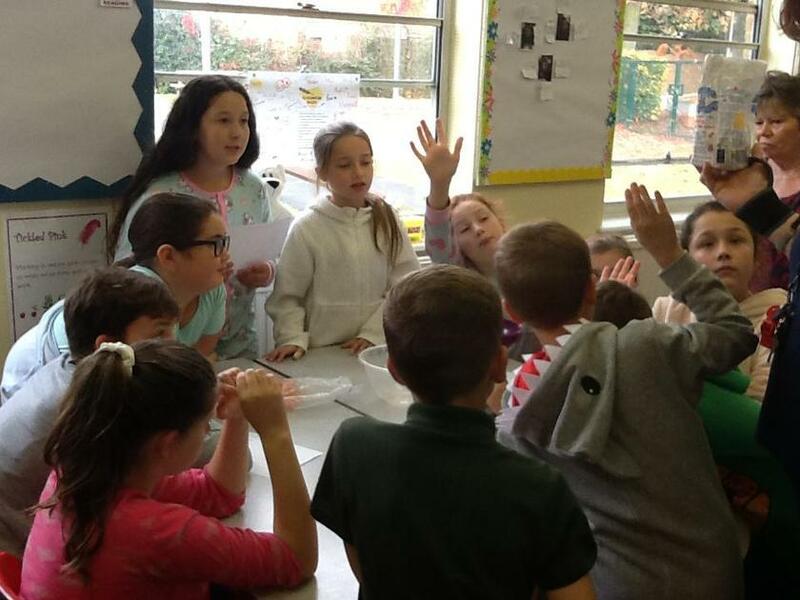 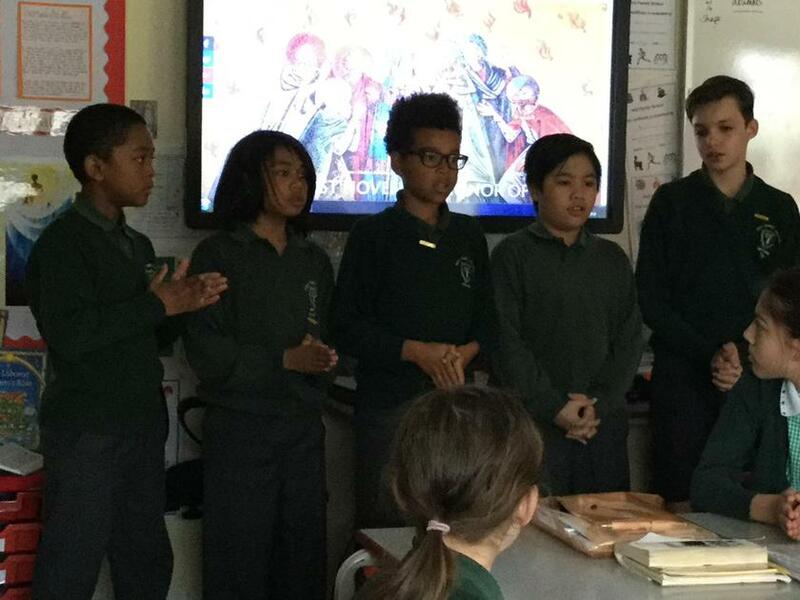 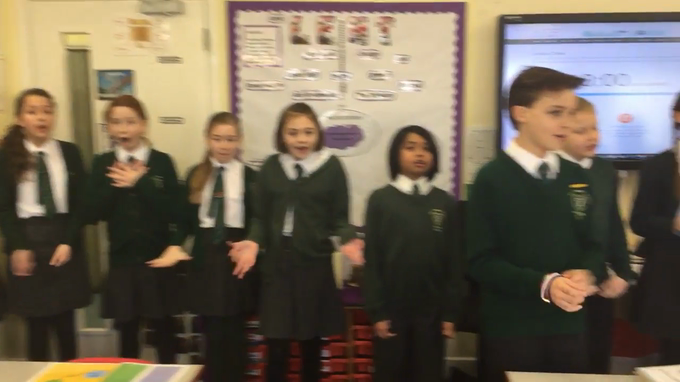 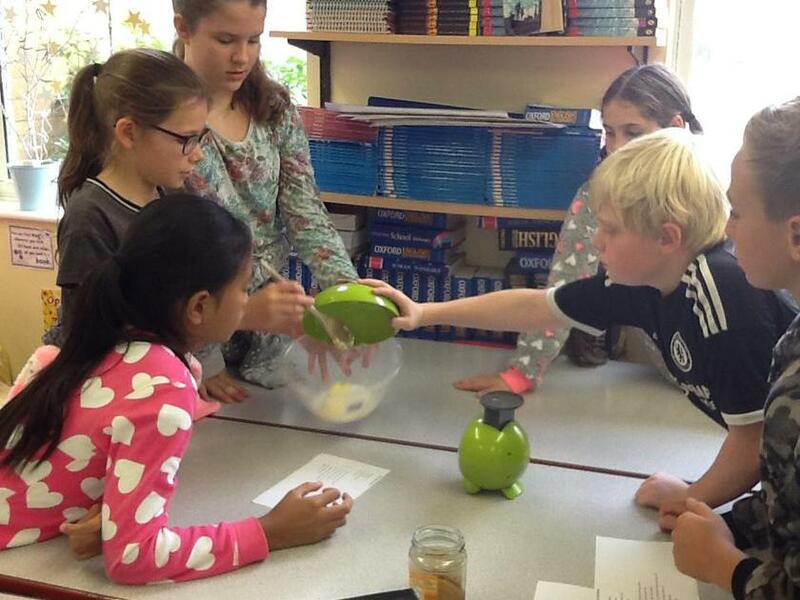 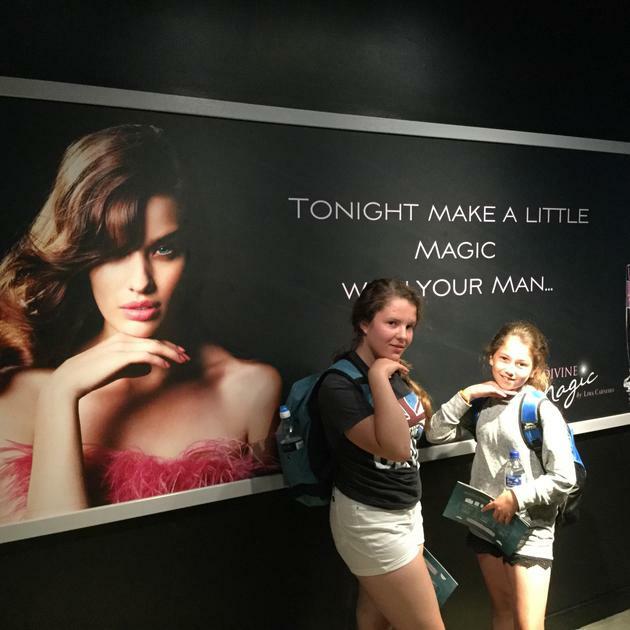 They continued to build on their speech using their ideas, hand gestures and body language. 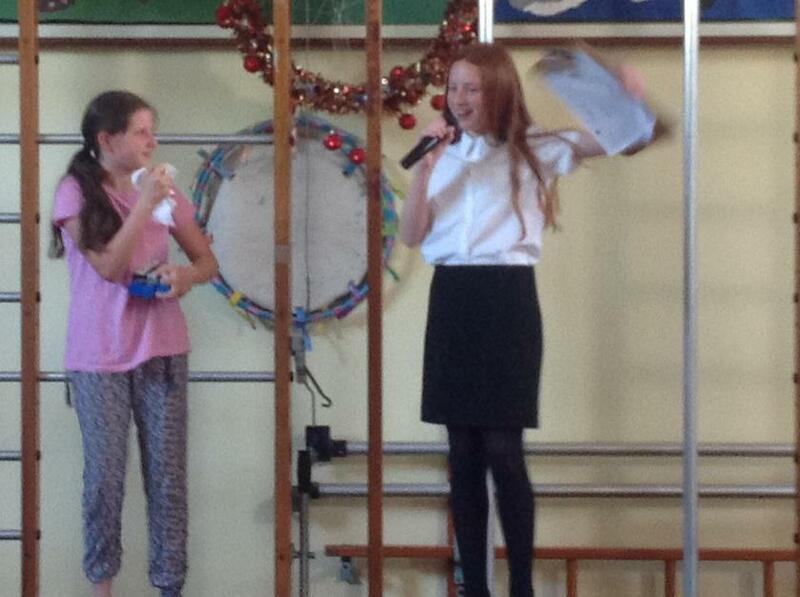 They delivered their speeches to their brain buddies and then to the staff. 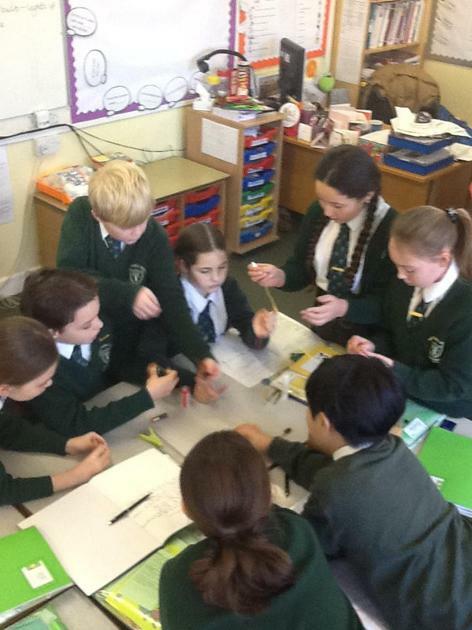 Building on what they had previously learnt and continuing to embrace making gestures with their hands, they gained more and more confidence in the task. 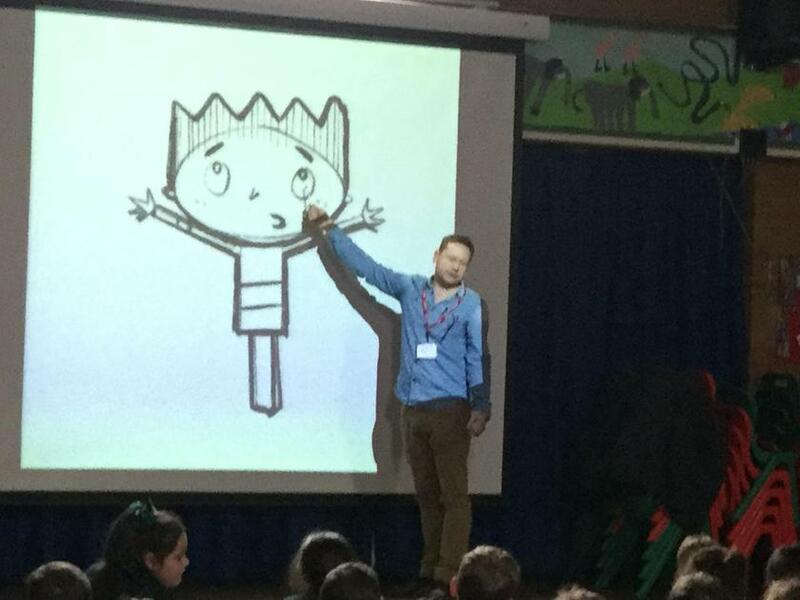 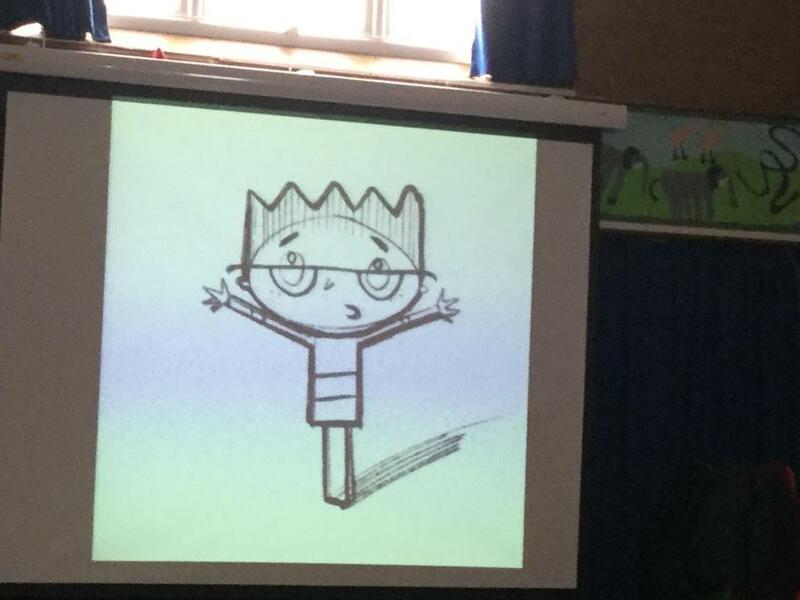 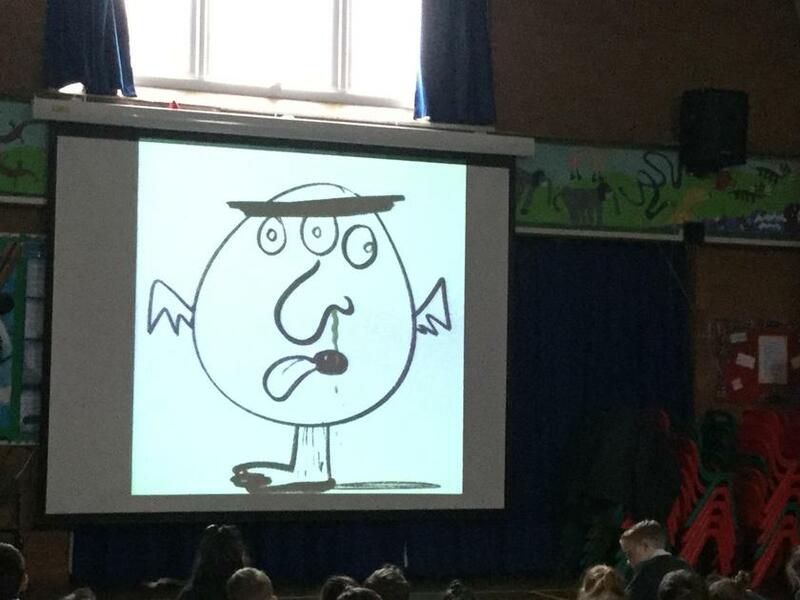 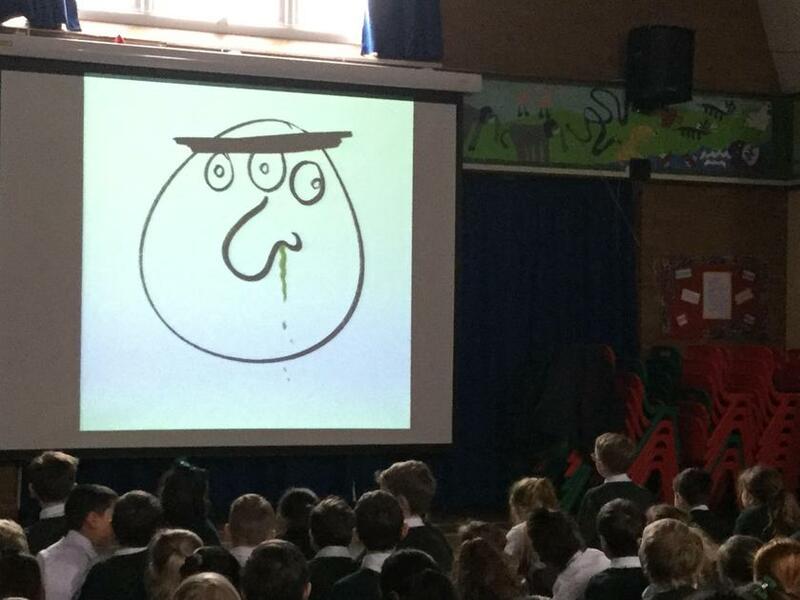 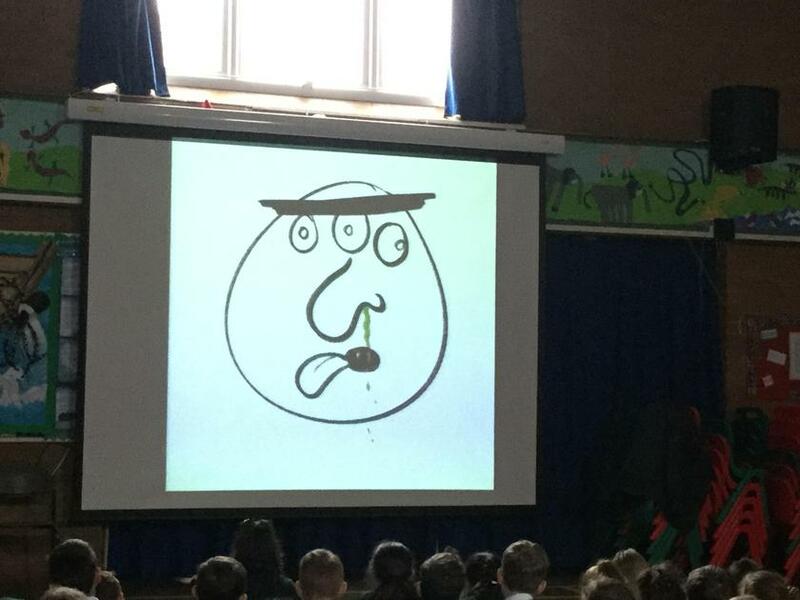 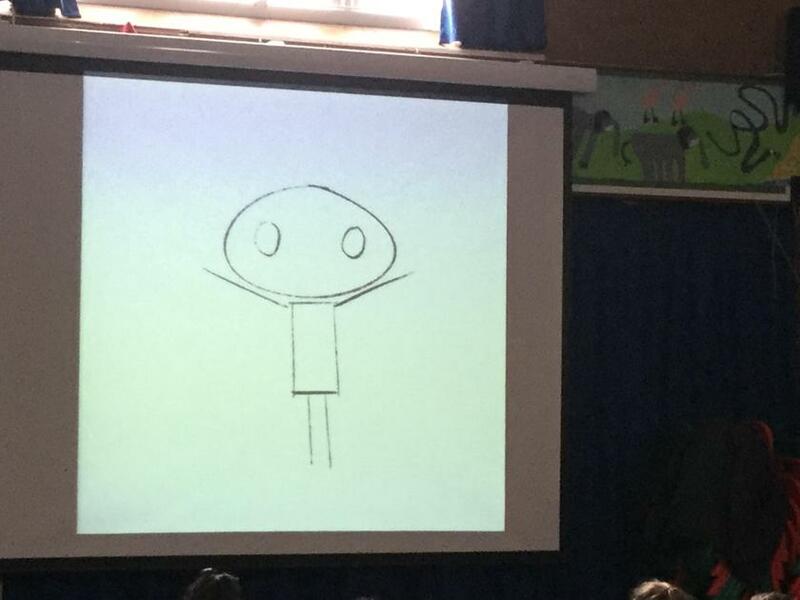 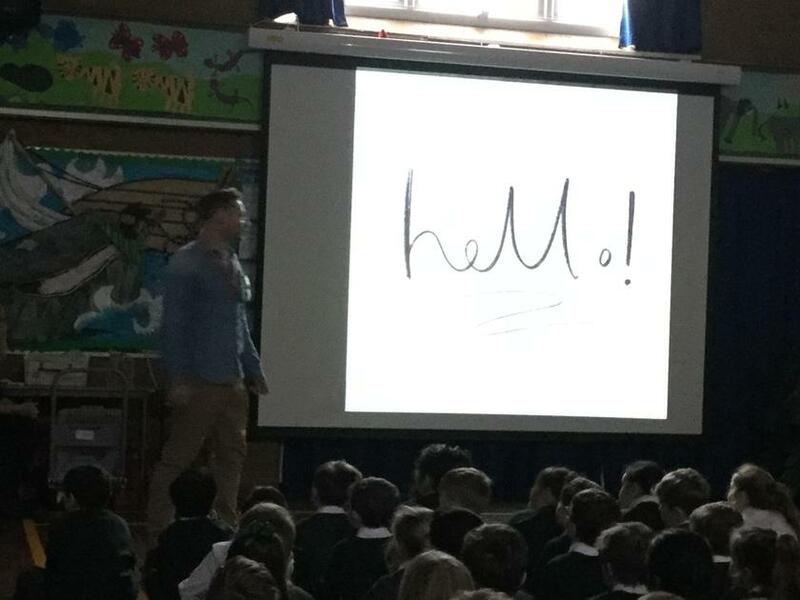 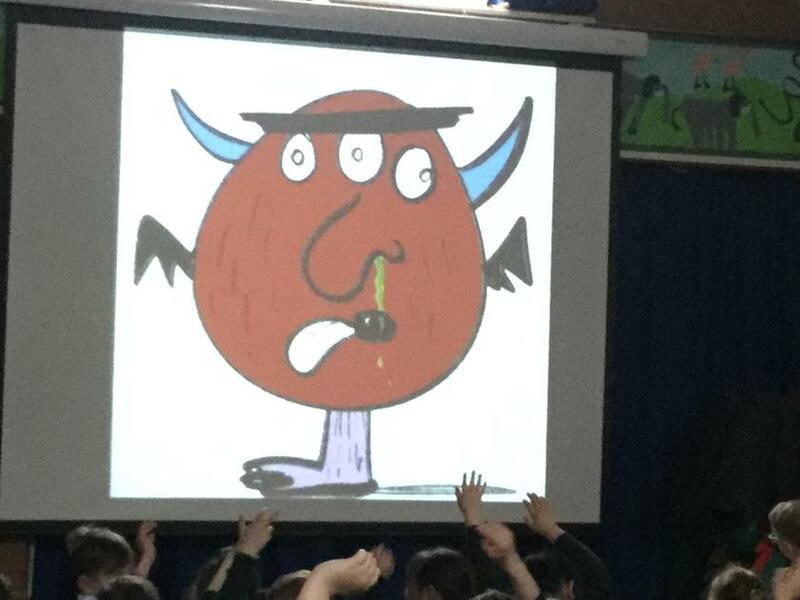 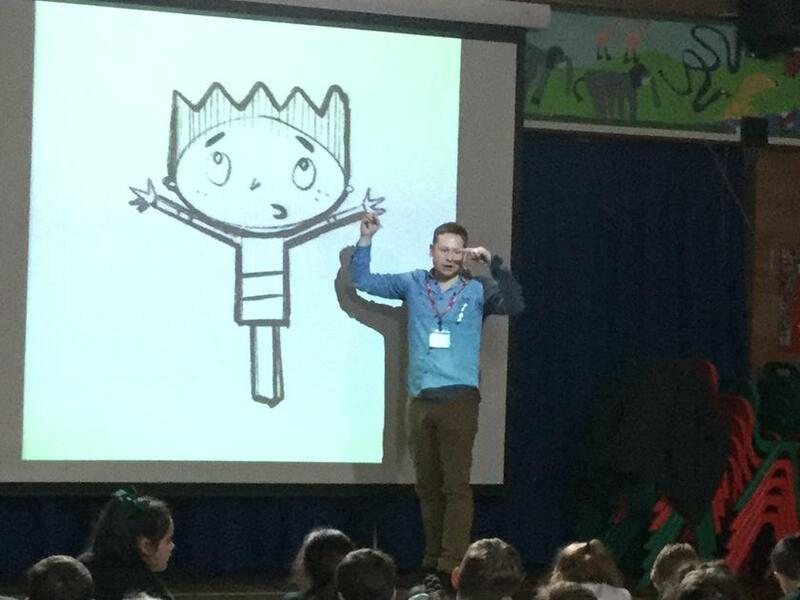 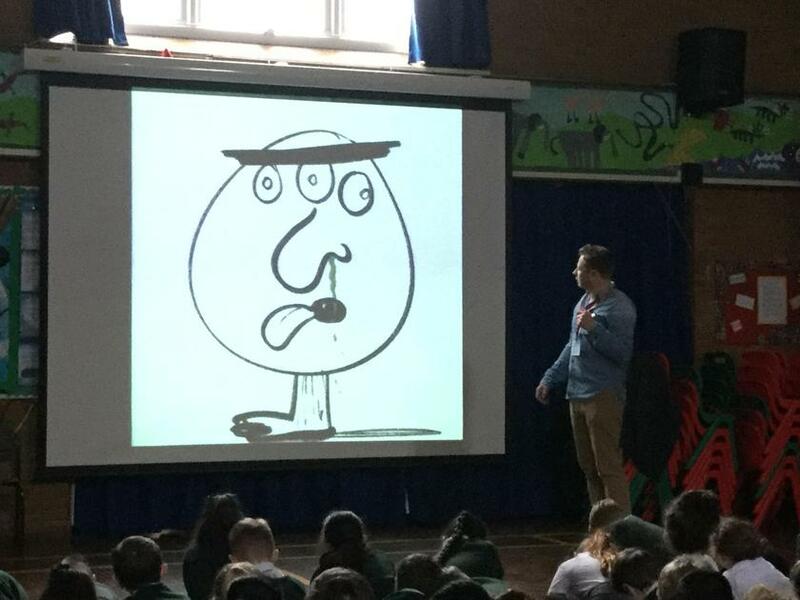 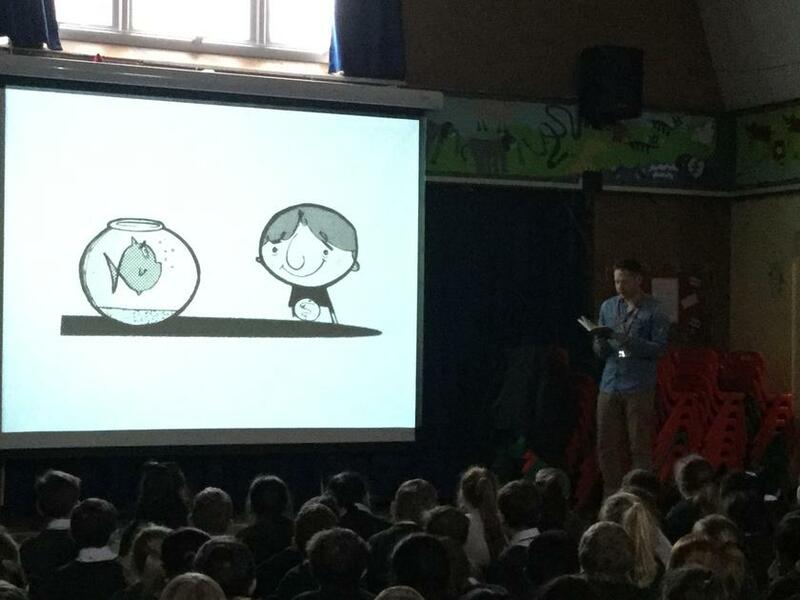 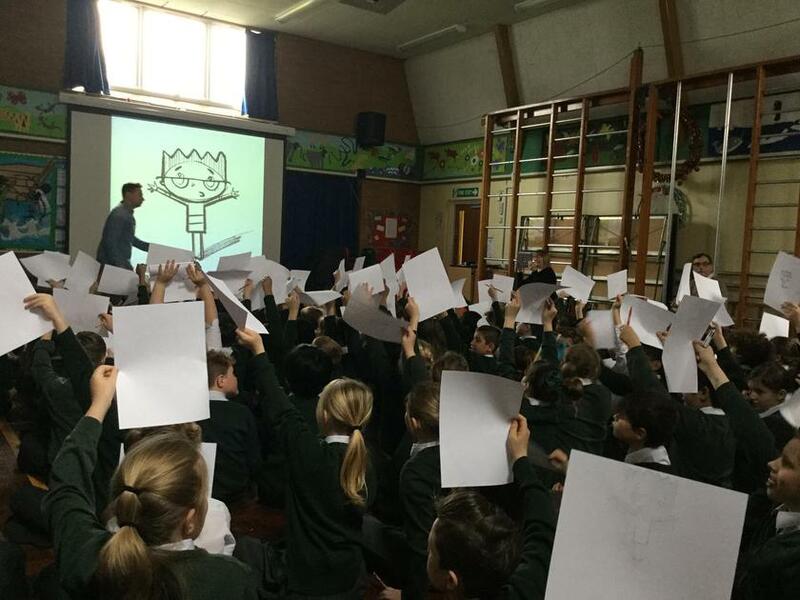 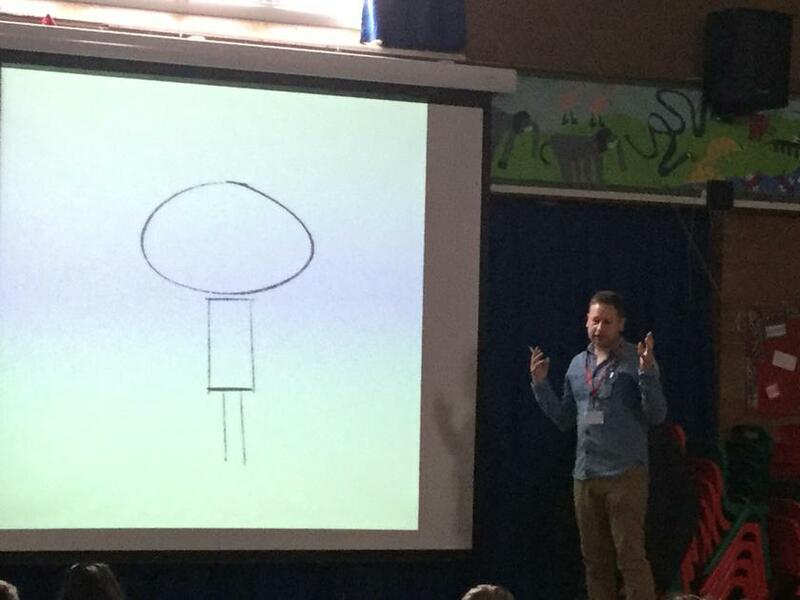 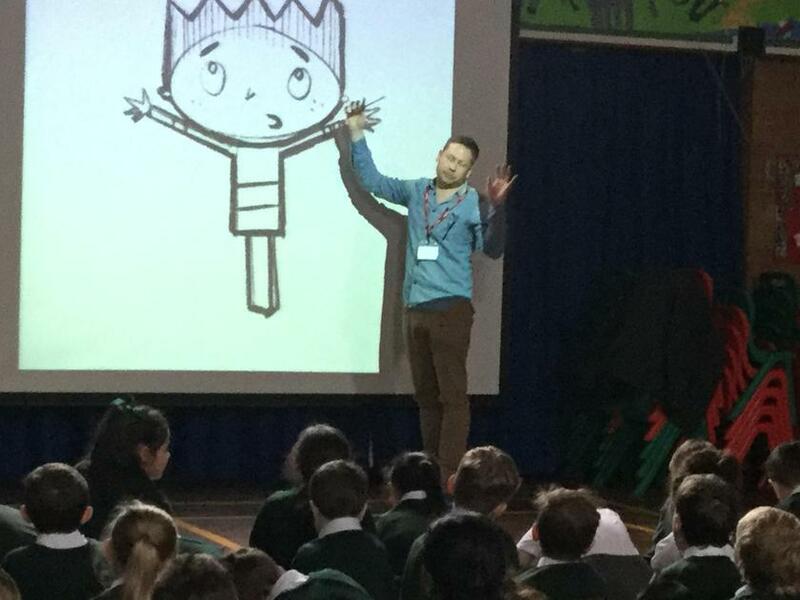 Today the author and illustrator came in to talk to the children about how he got started in his profession. 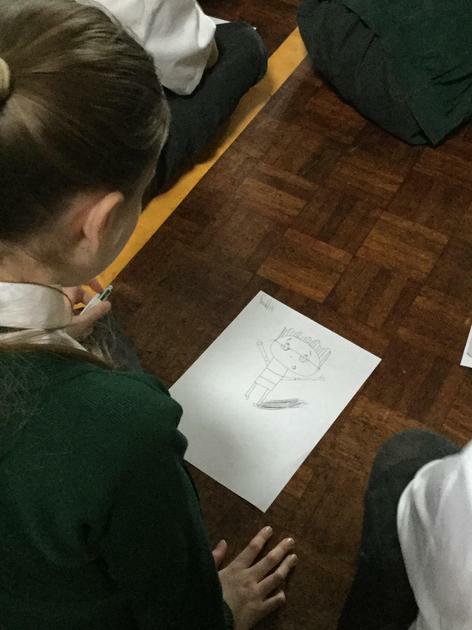 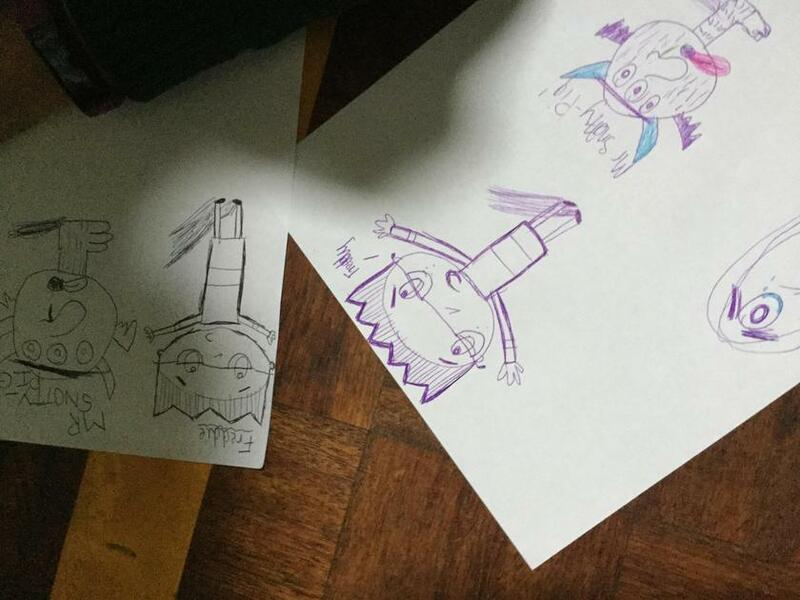 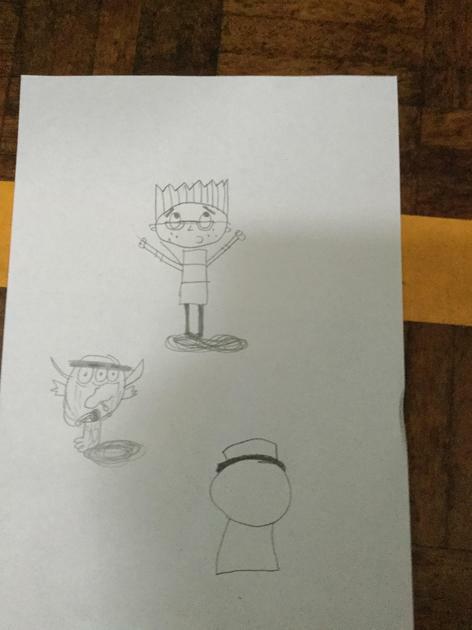 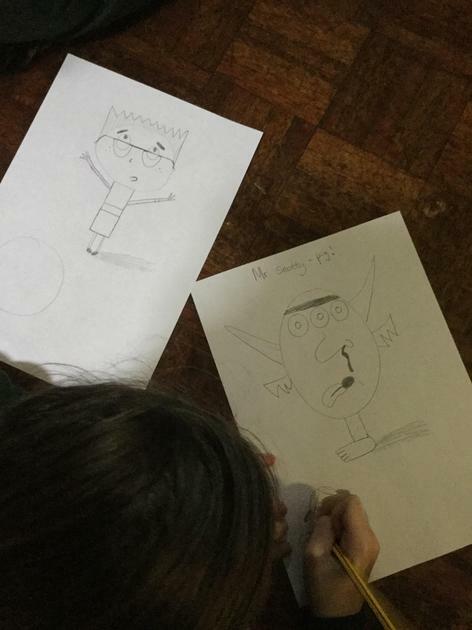 Together they drew some of the characters from the book 'The day the Aliens (almost) ate our brains'. 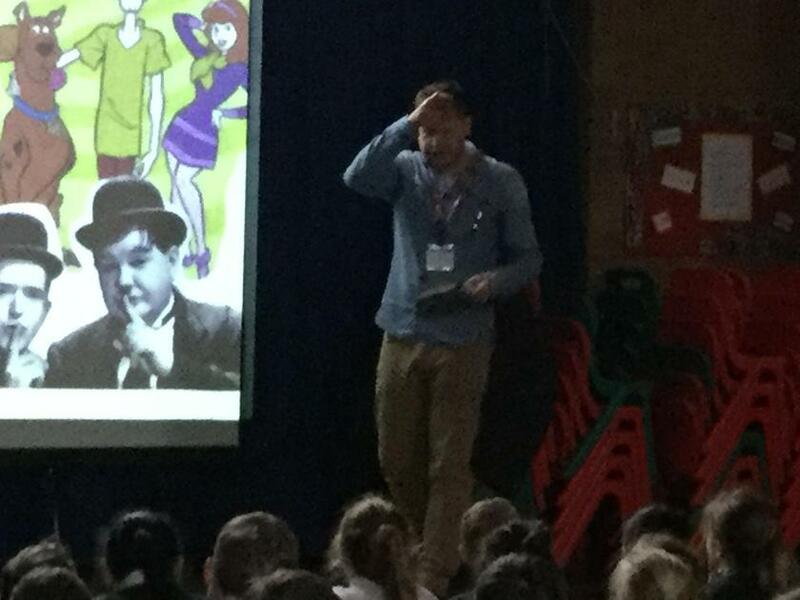 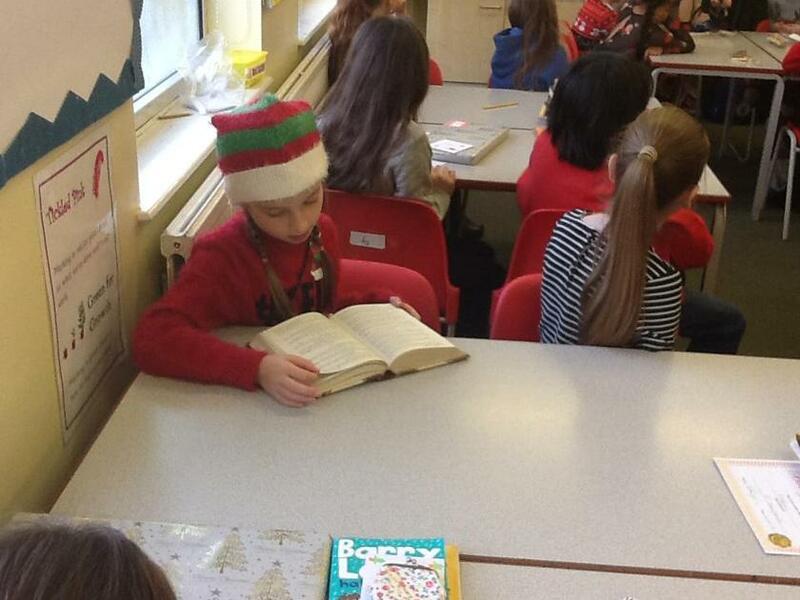 Tom answered the children's questions, talked about the characters in the books, what books he's working on at present and how he got into the profession. 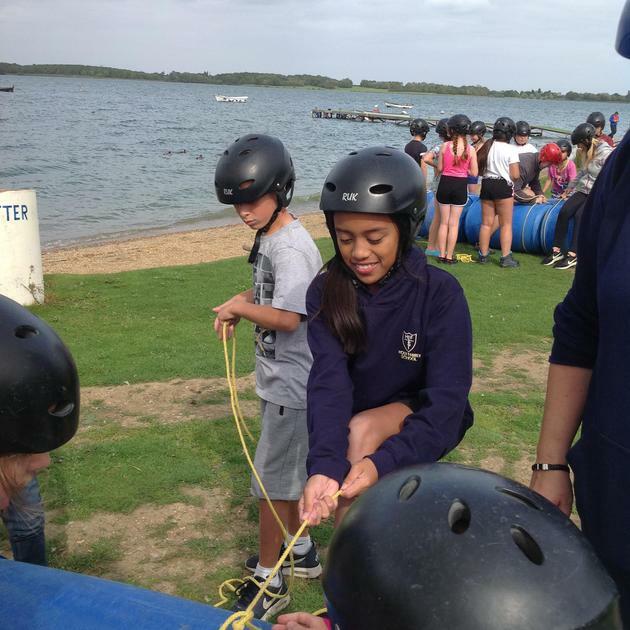 Due to the size of the video I am unable to upload the Grafham Water video of the class of 2017. 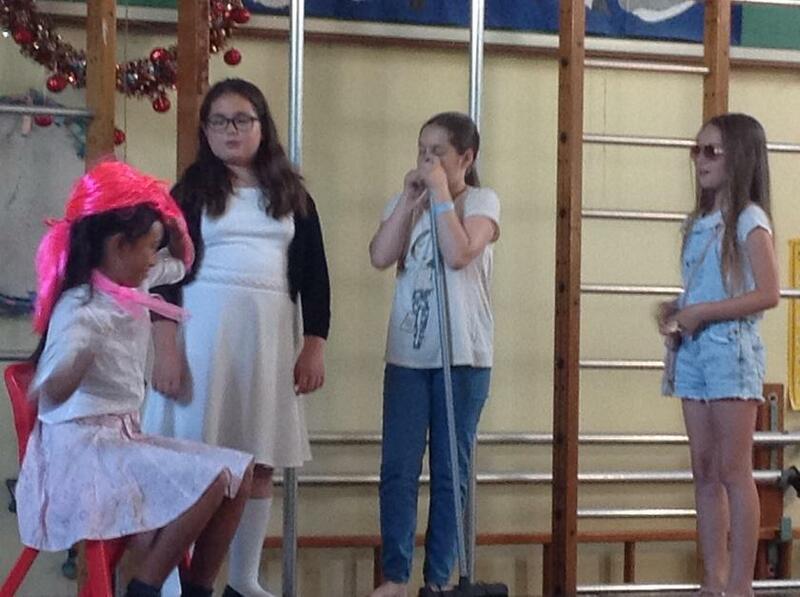 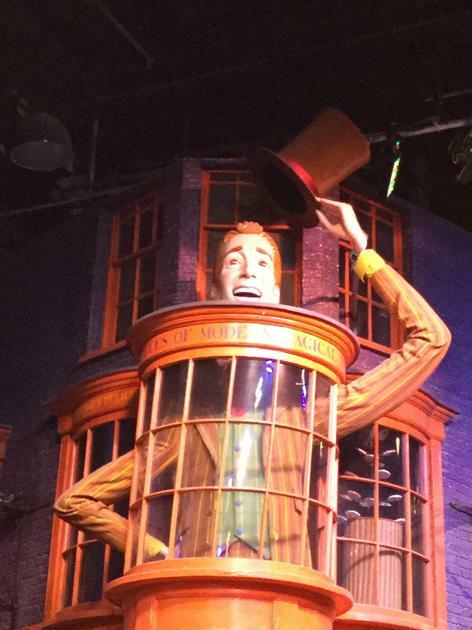 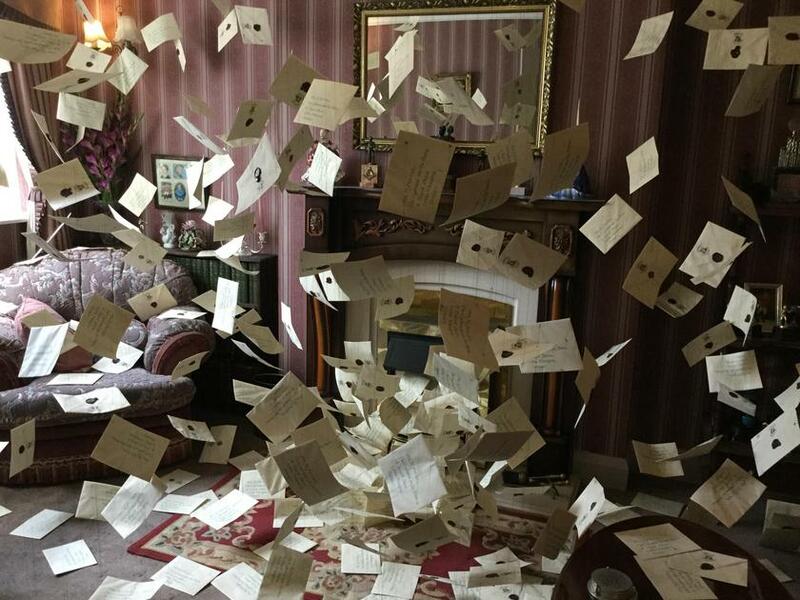 But here are a few photos for your perusal. 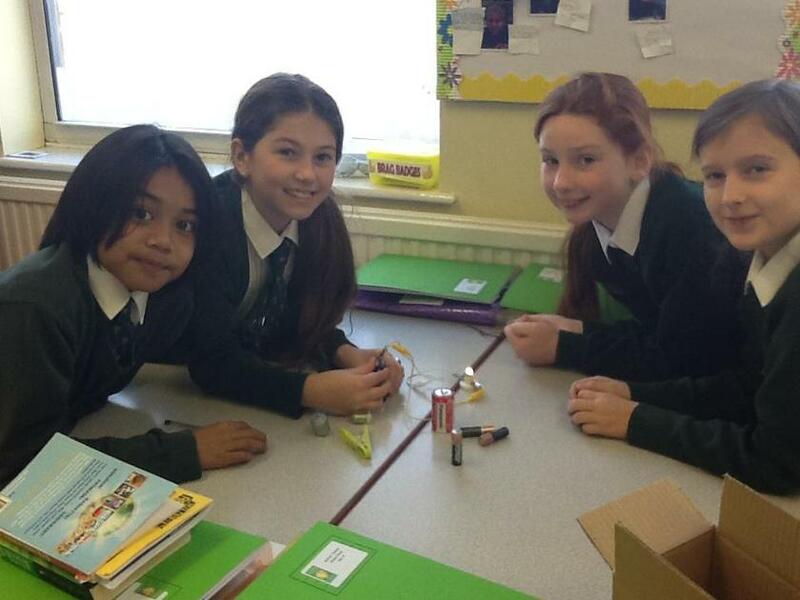 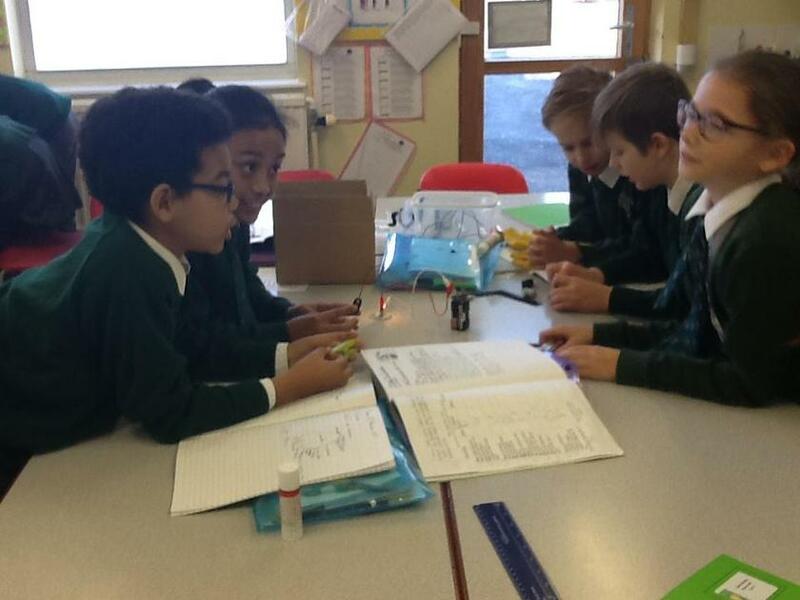 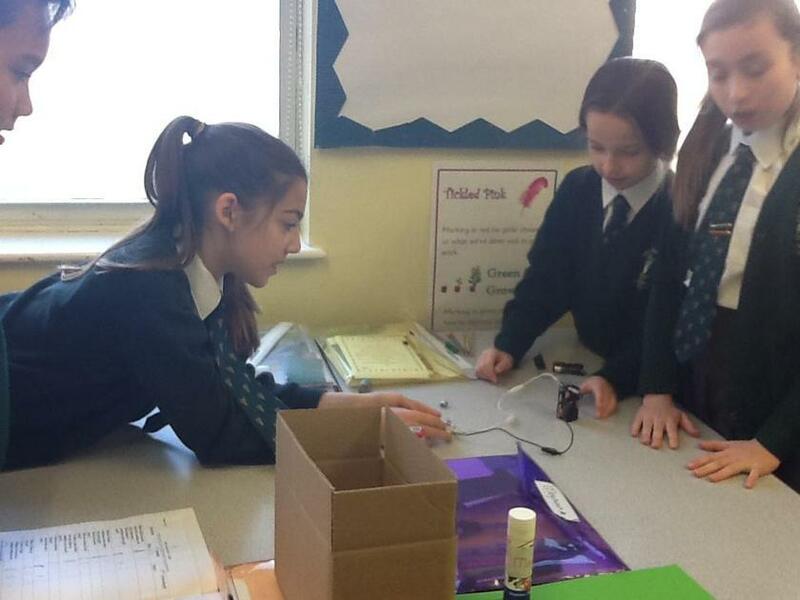 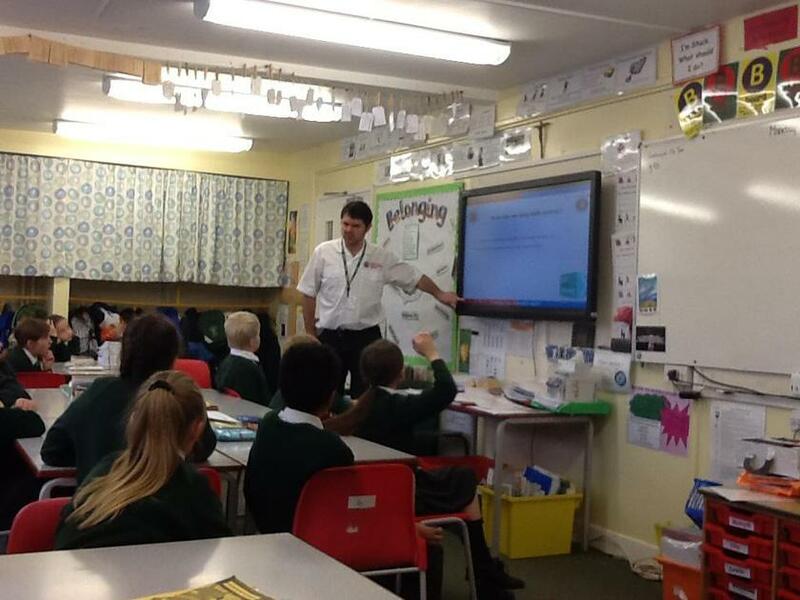 Today the children had a fun and informative lesson on CIRCUITS. 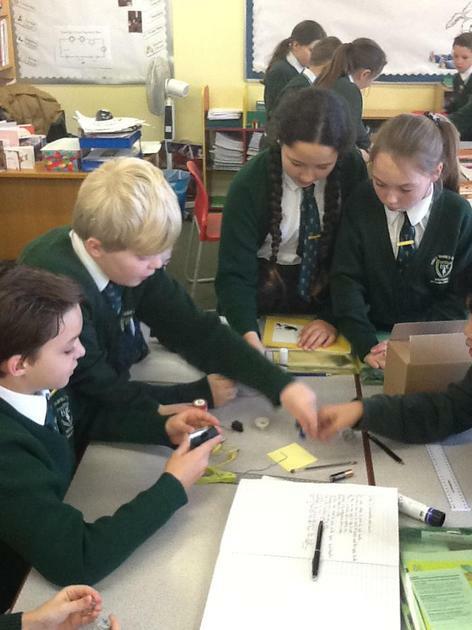 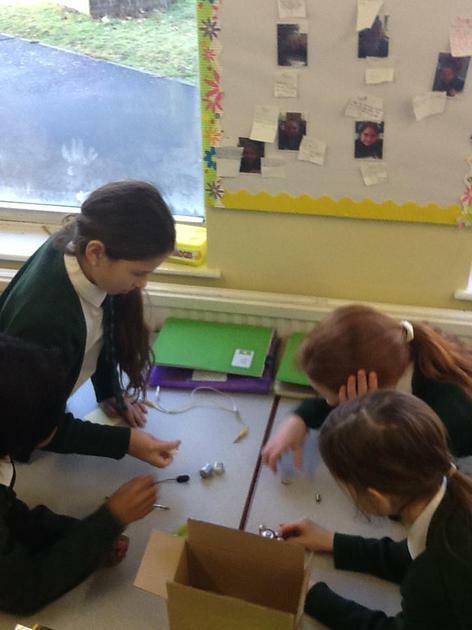 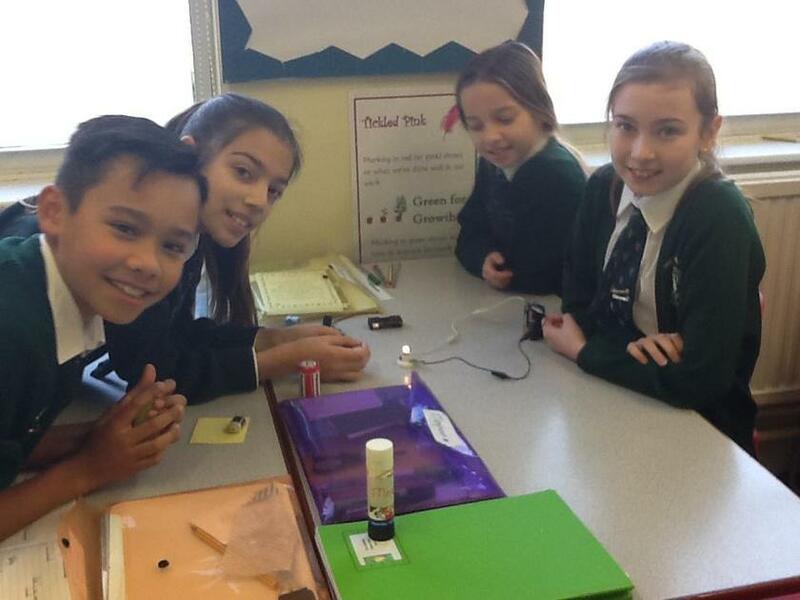 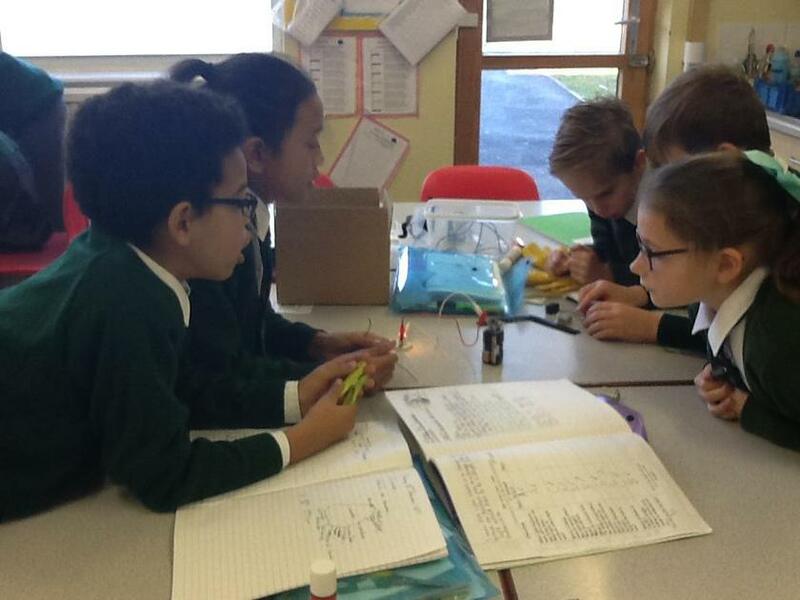 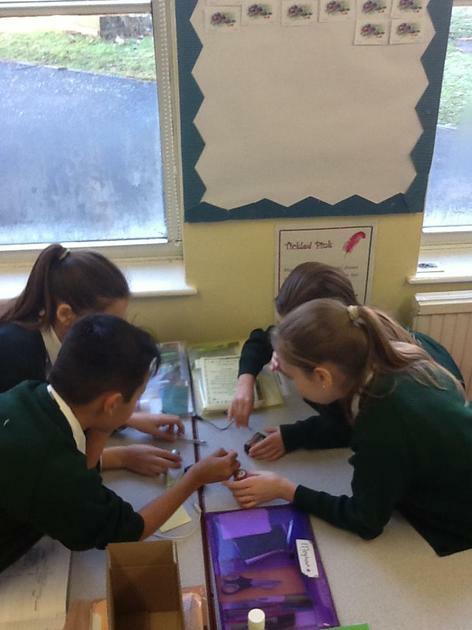 They were given the opportunity to create their own buzzer circuits and light circuits utilising a box of different electrical components. 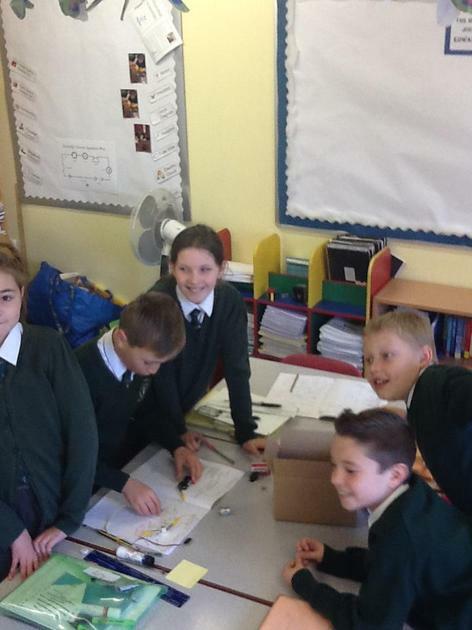 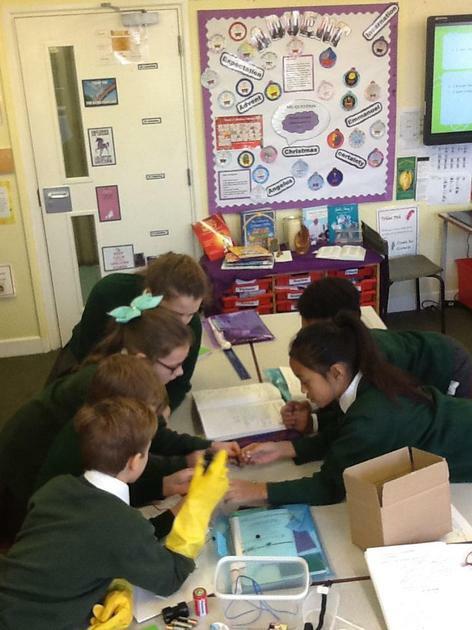 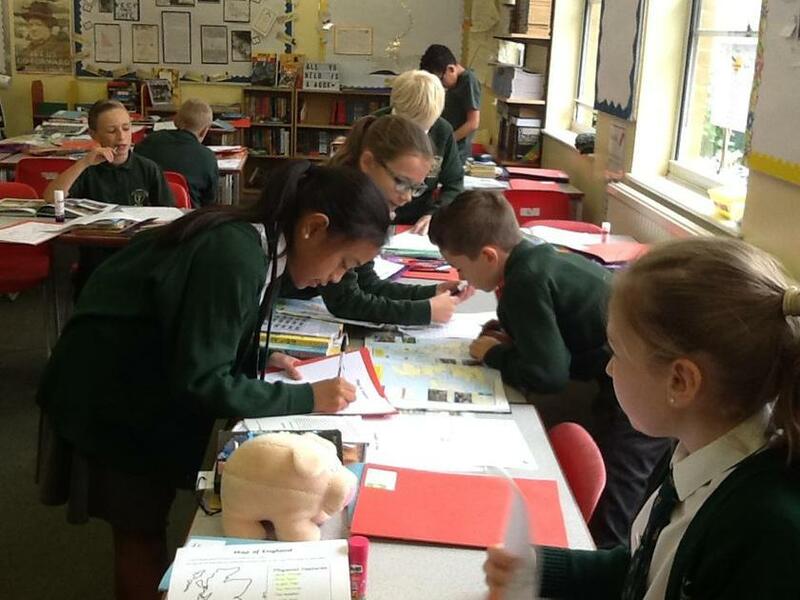 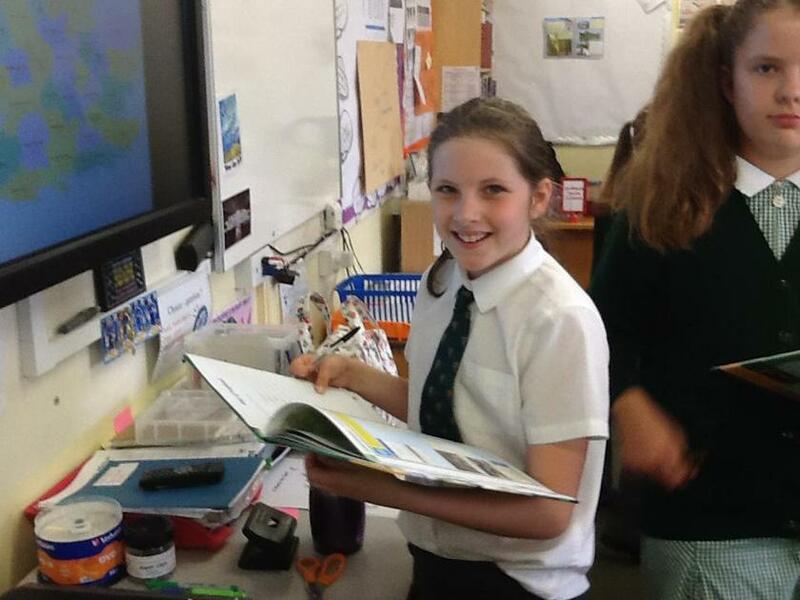 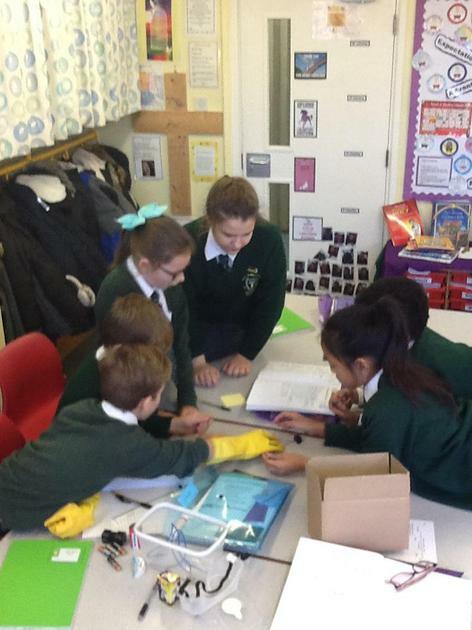 They had to work out and analyse the best voltage and the best components to use to get the best out of their designs.Then using their designs as a base they had to draw the components in their books using the correct scientific terminology and signs. 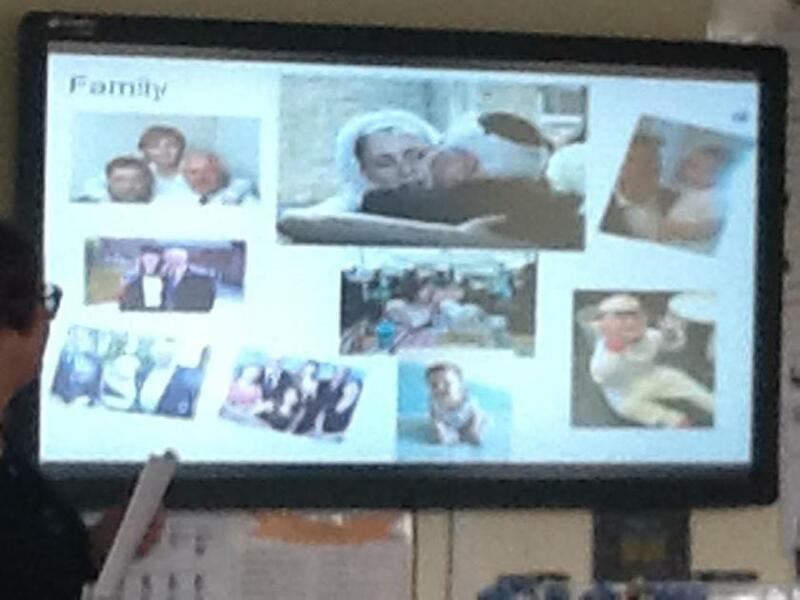 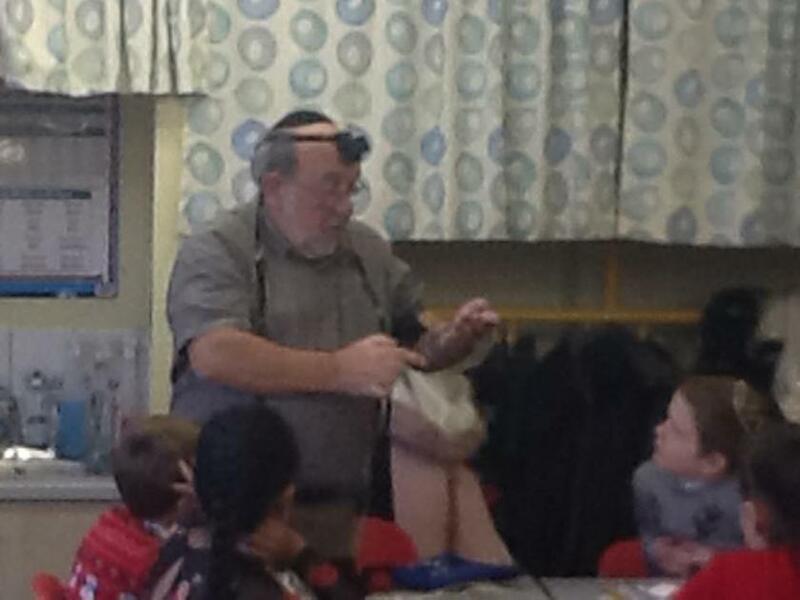 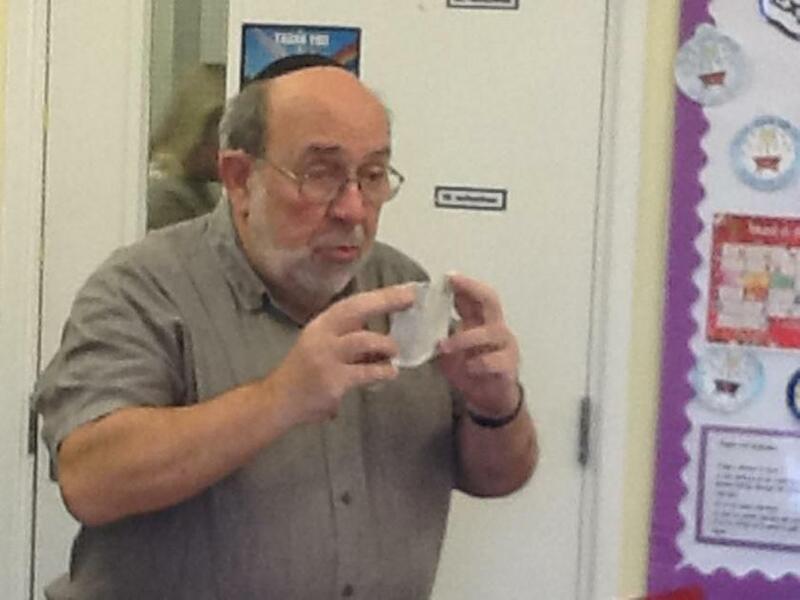 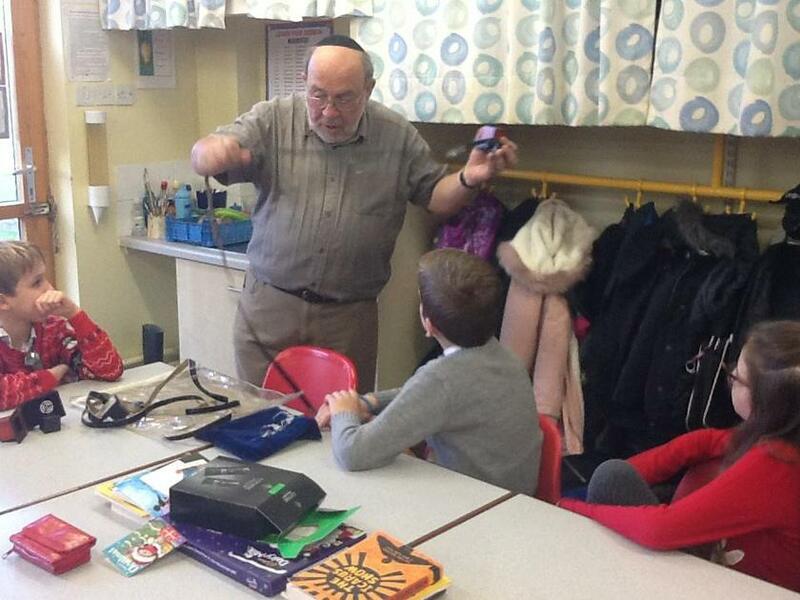 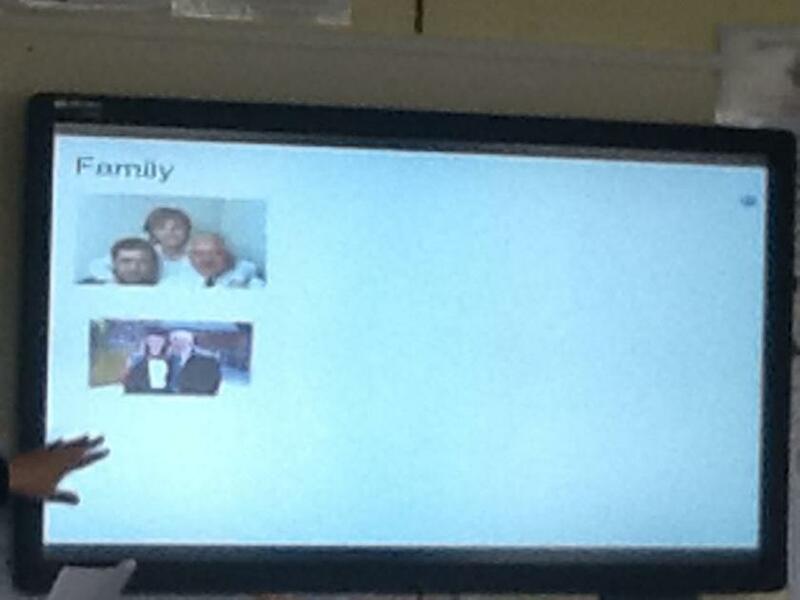 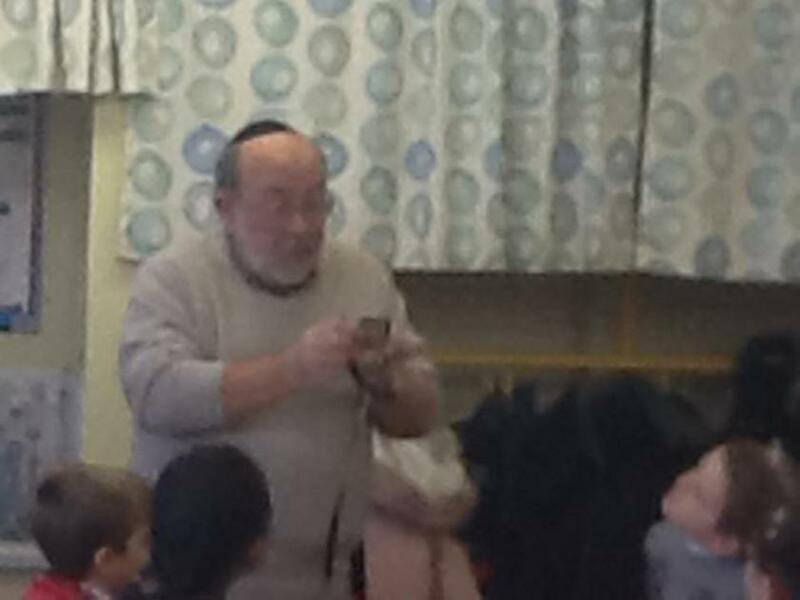 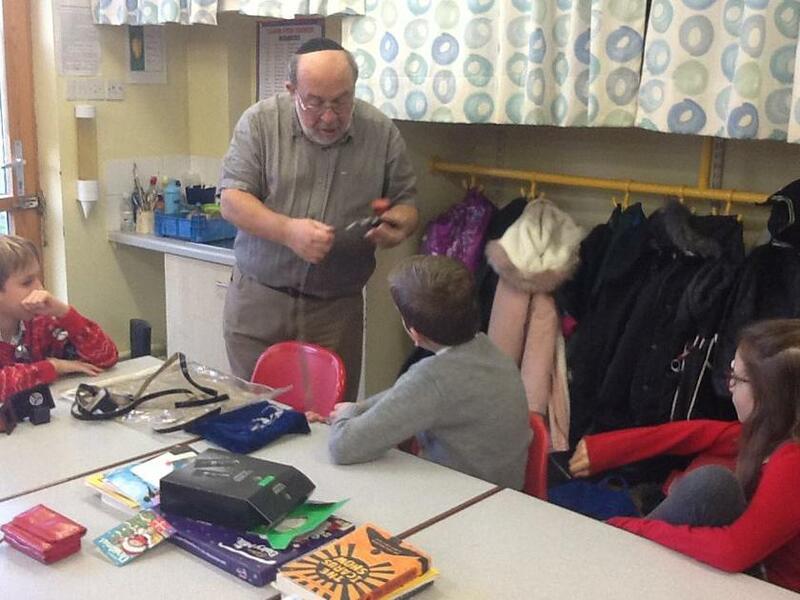 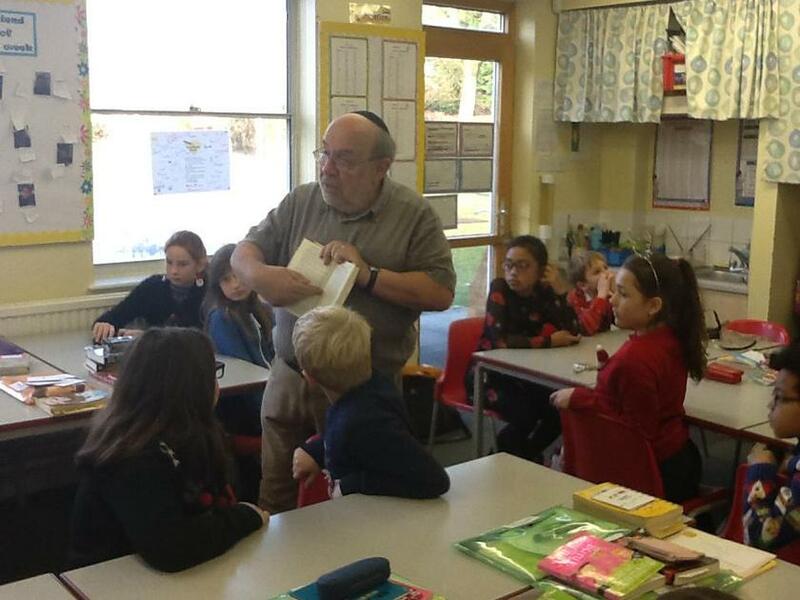 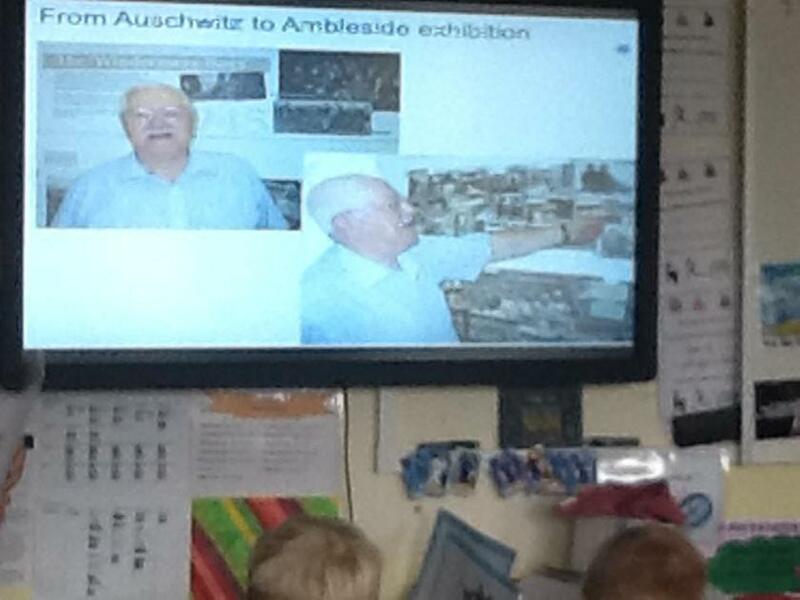 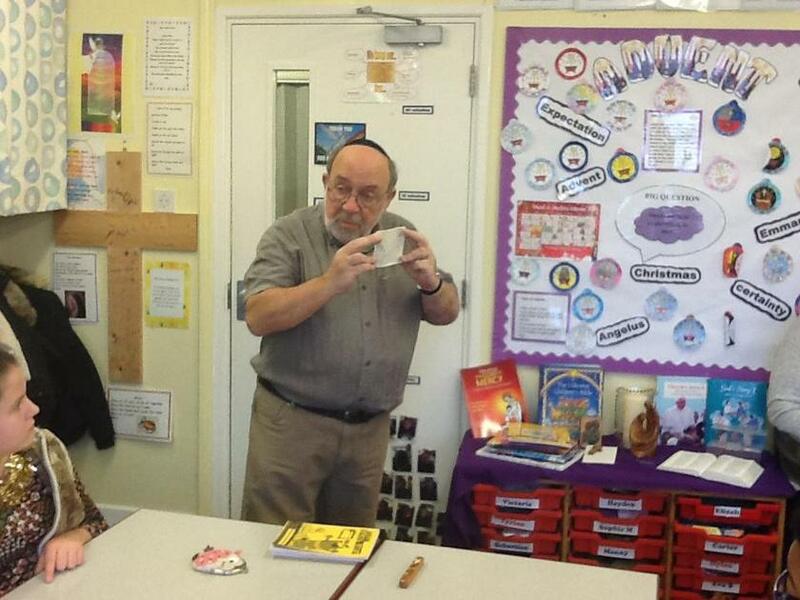 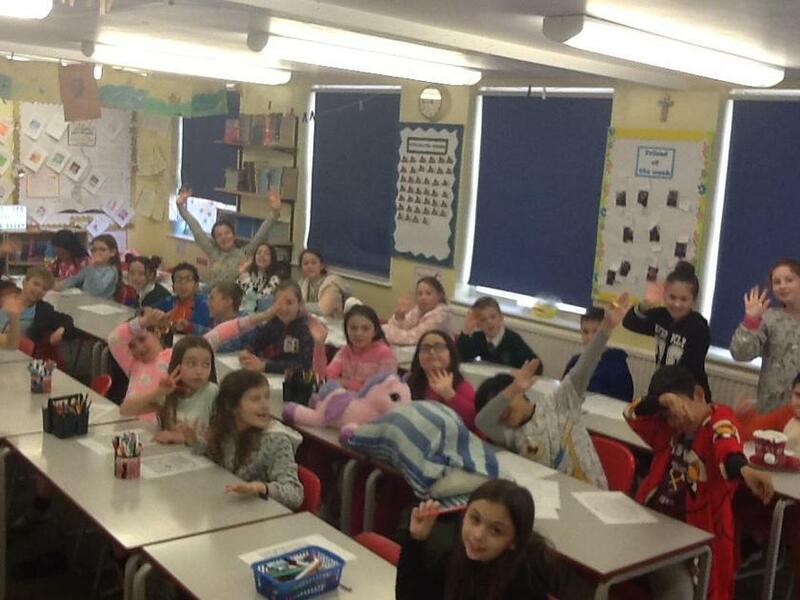 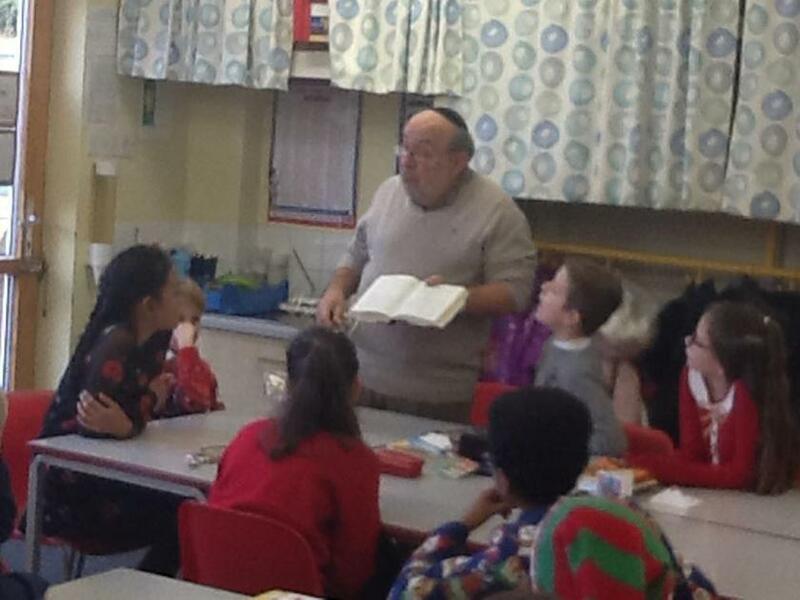 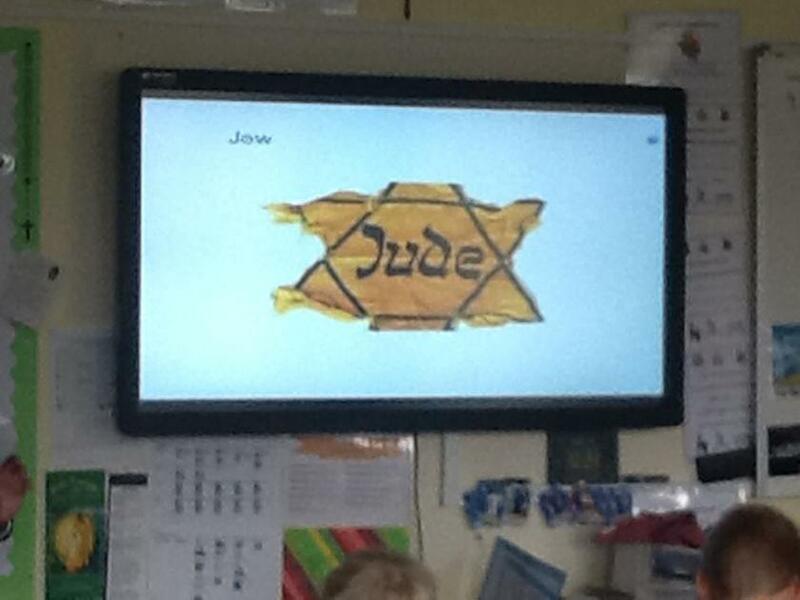 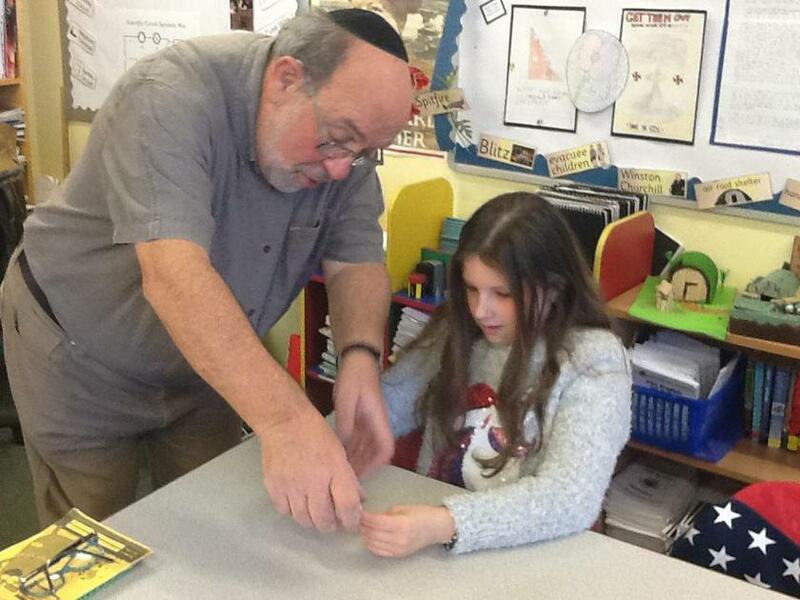 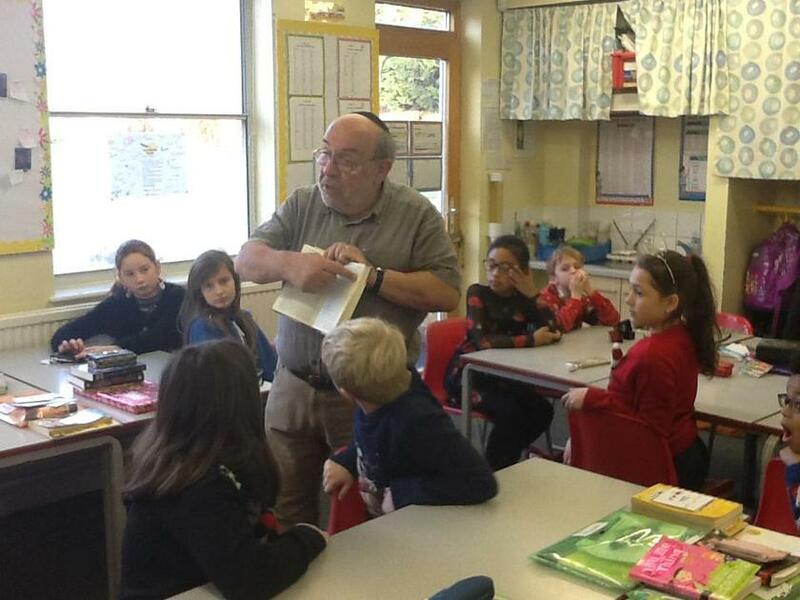 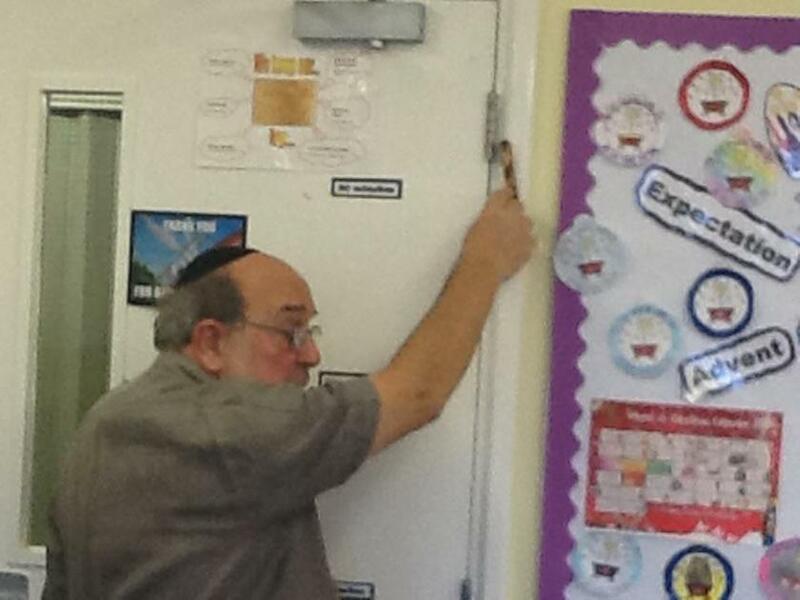 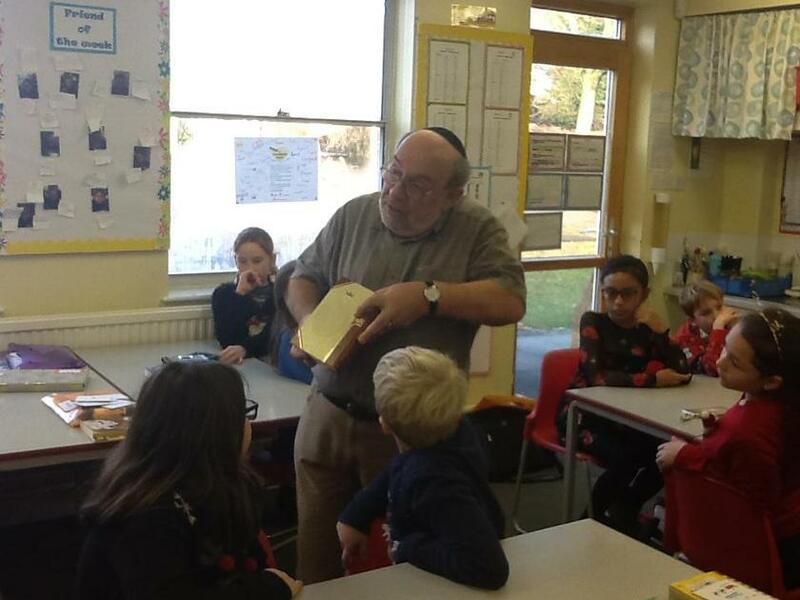 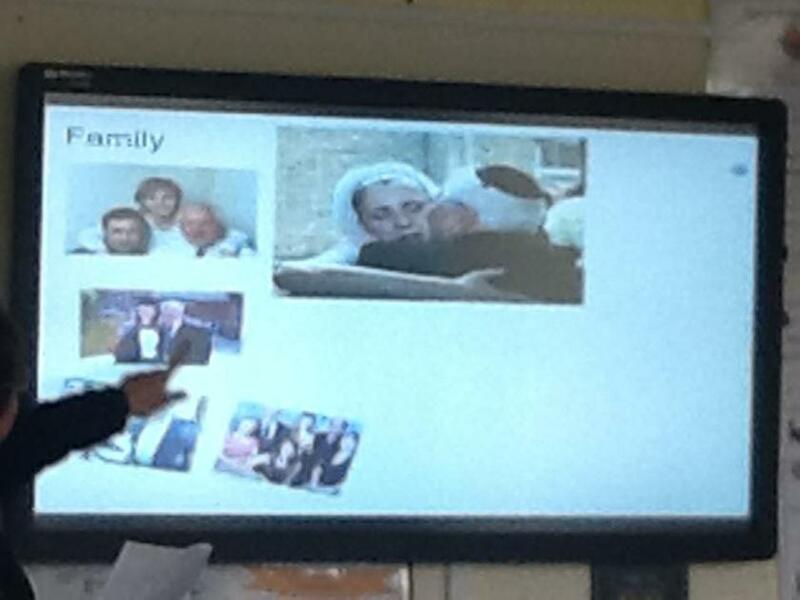 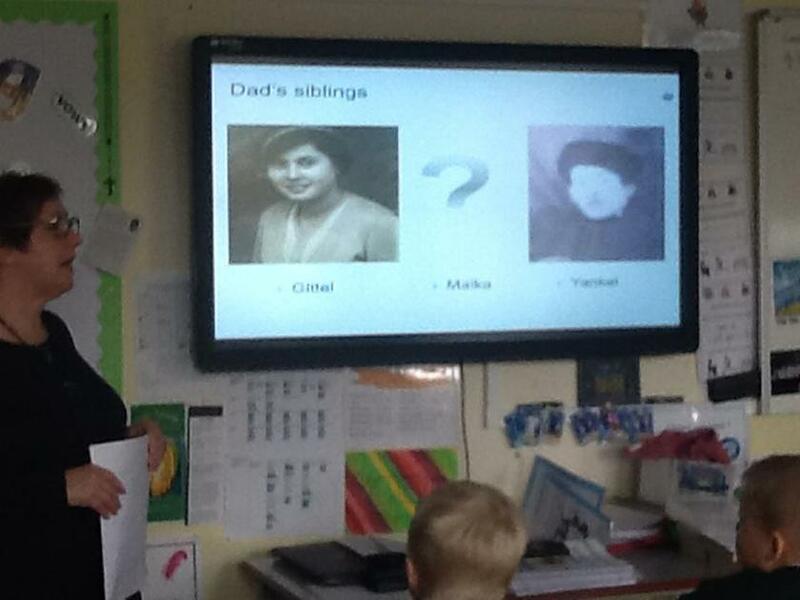 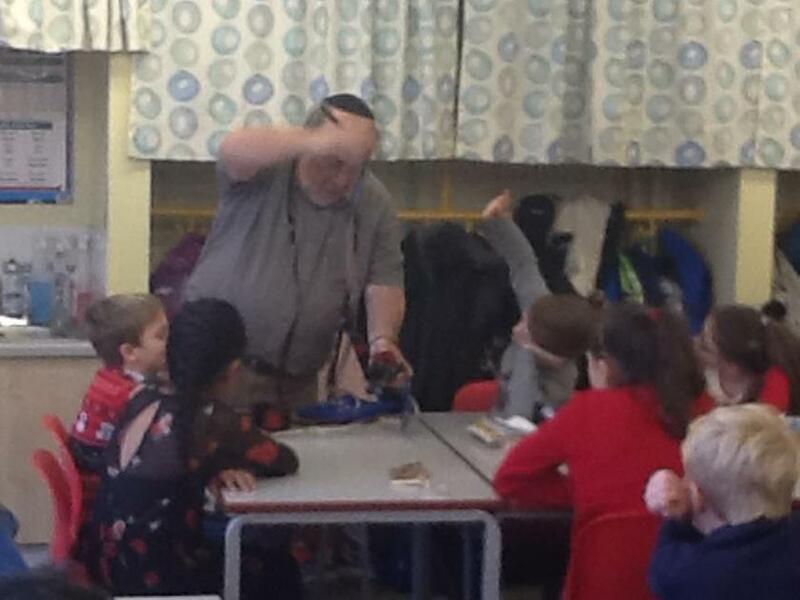 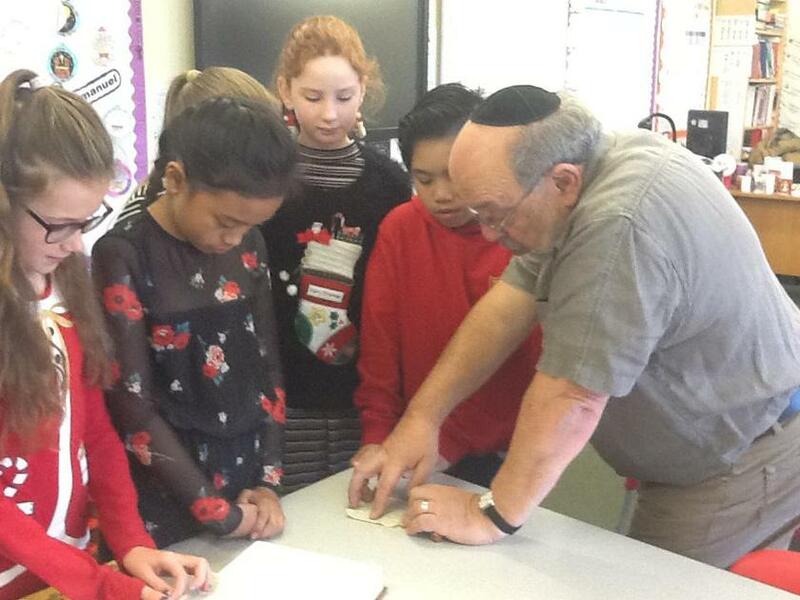 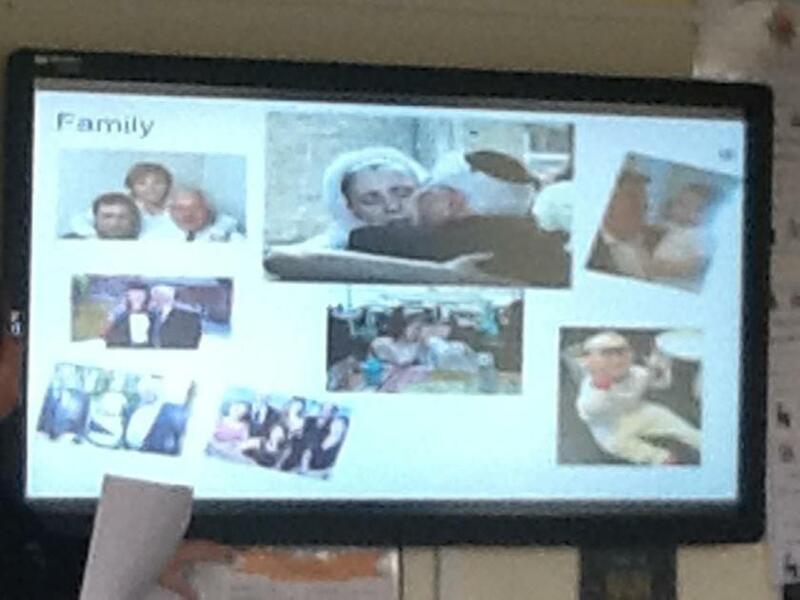 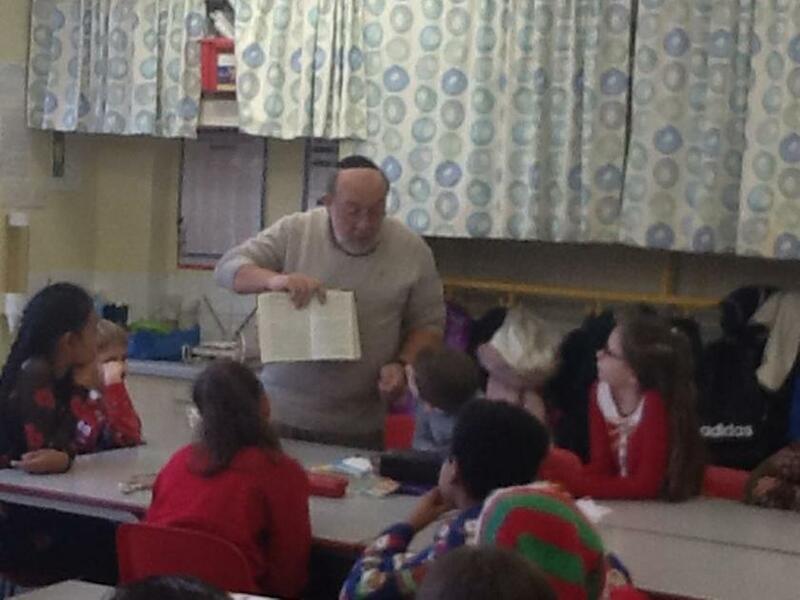 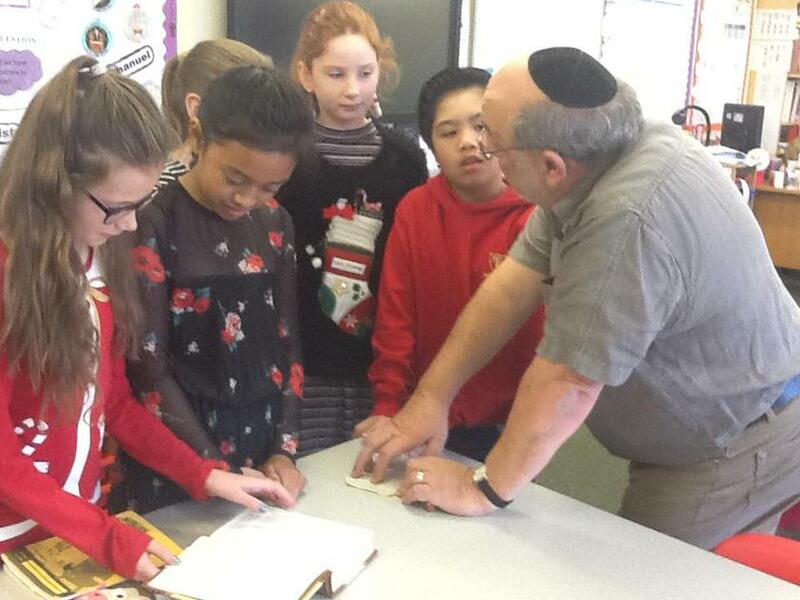 Mr Sorsbury came into class today to discuss his faith of Judaism with the children. 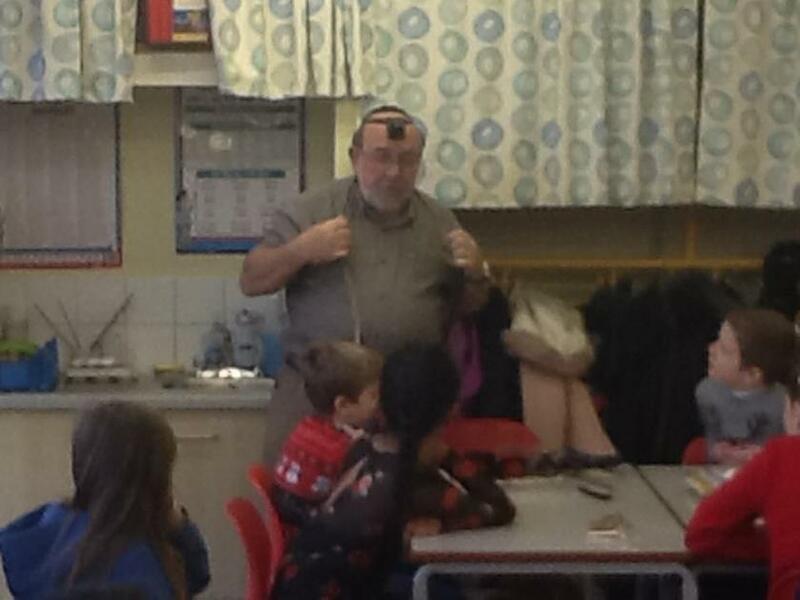 He bought some symbols of his faith, and example scripture for the children to look at. 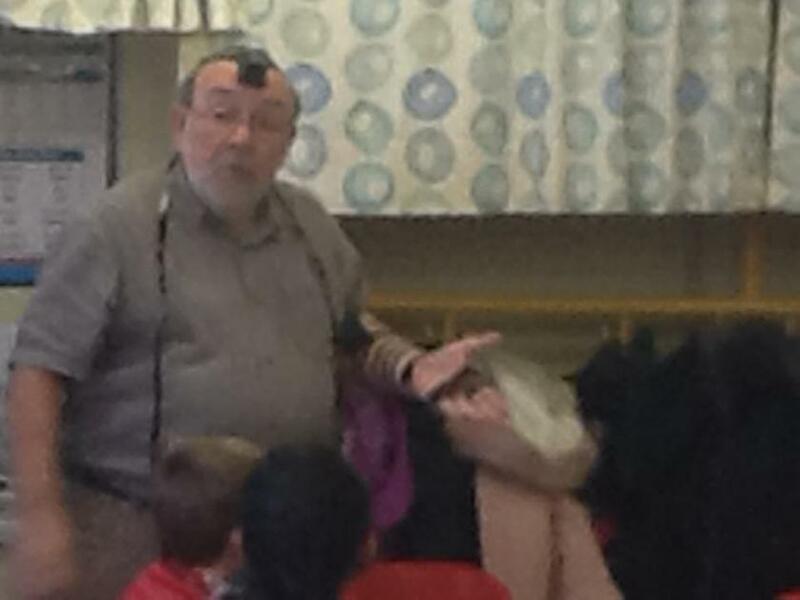 The children asked him many questions about his faith and compared it to their own faith. 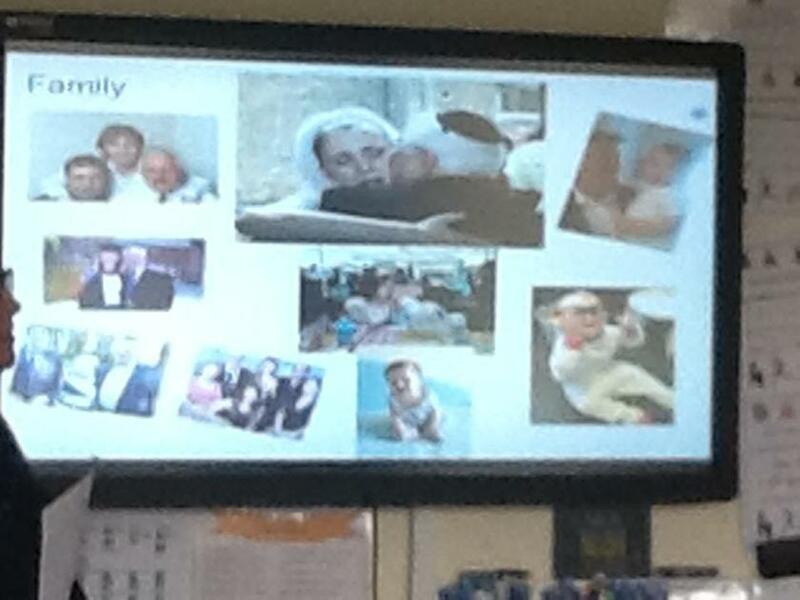 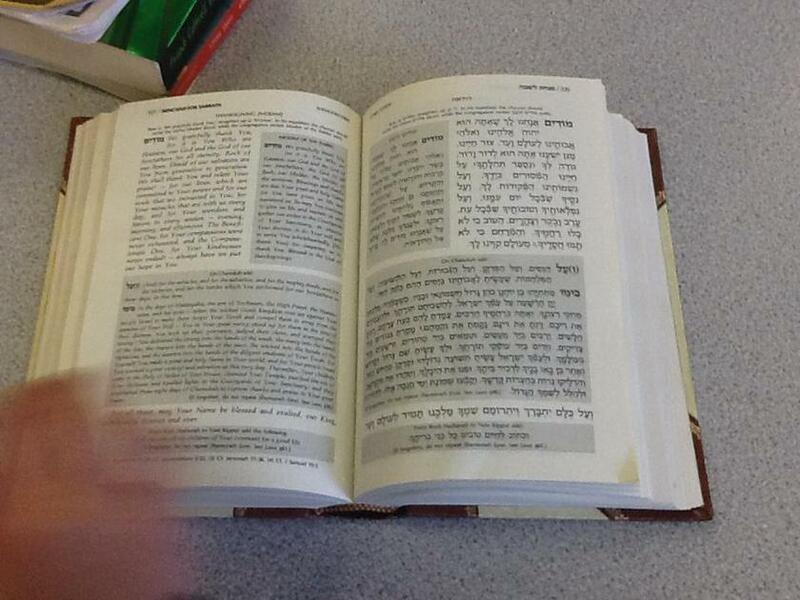 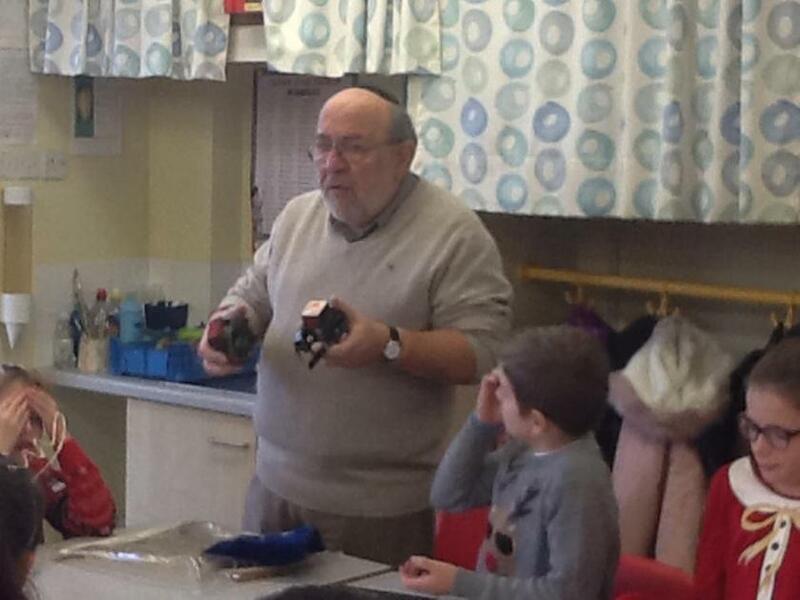 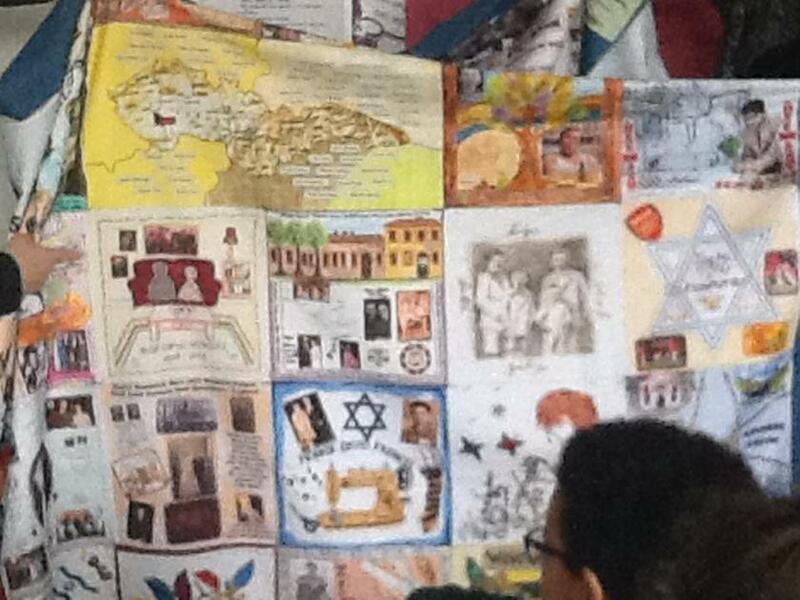 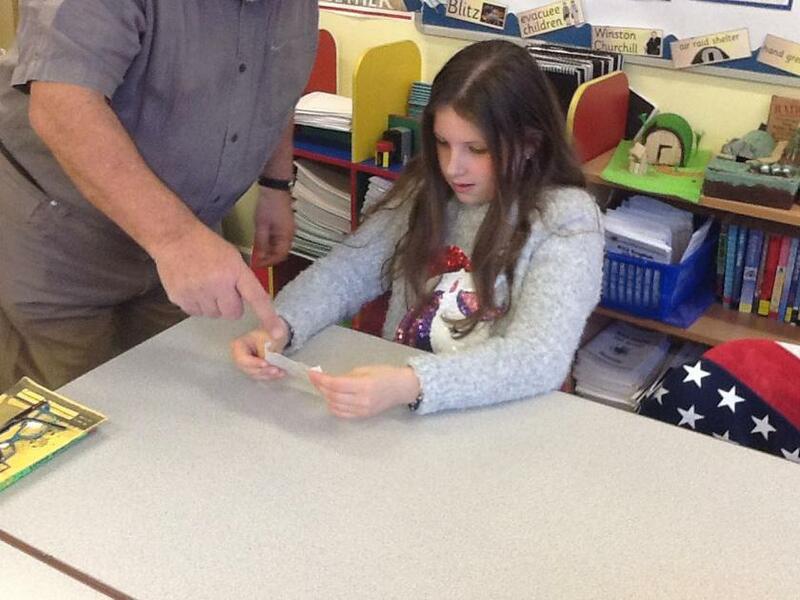 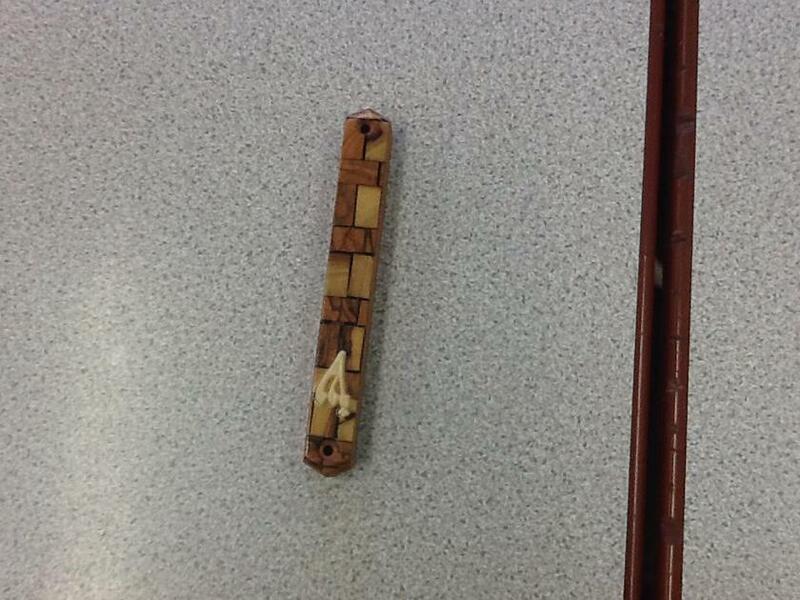 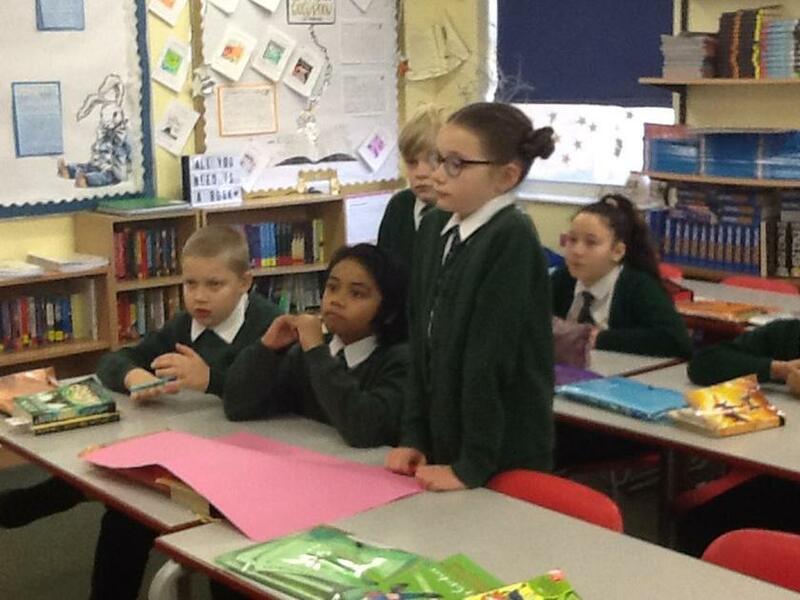 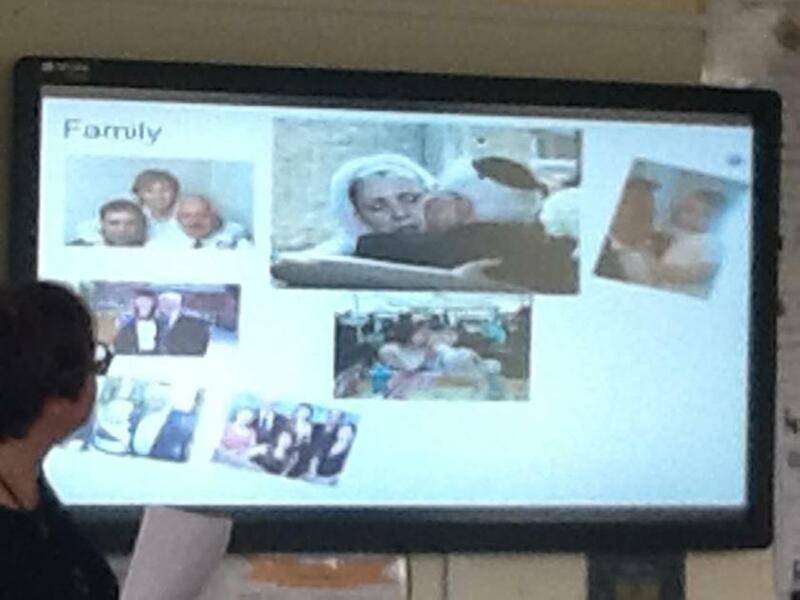 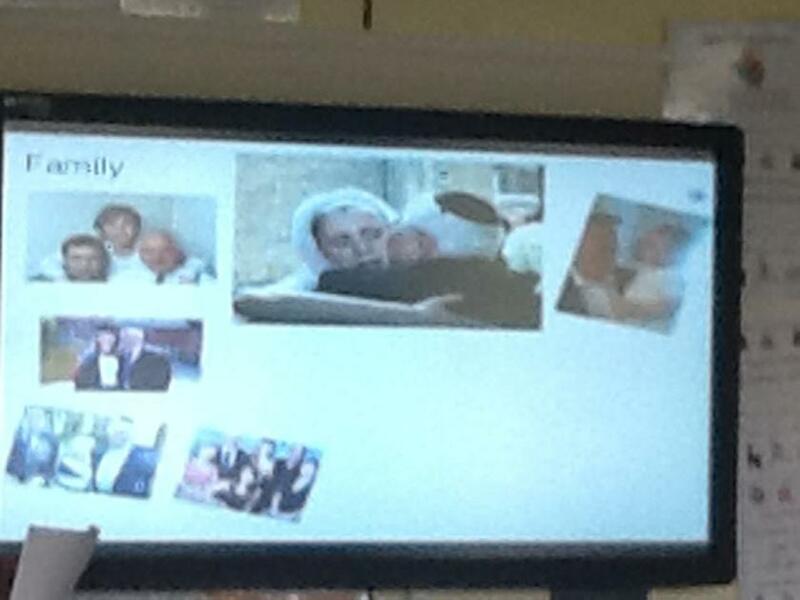 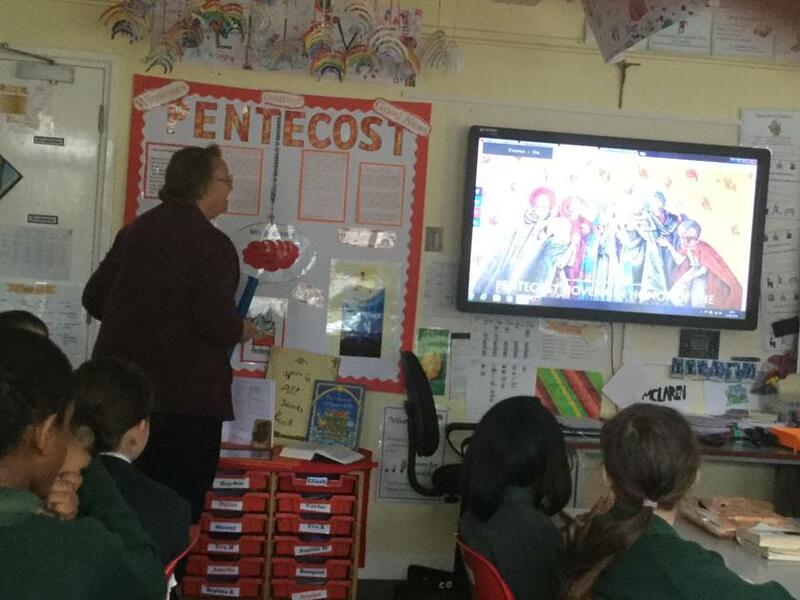 The children really enjoyed having Mr Sorsbury in class and learning about other faiths. 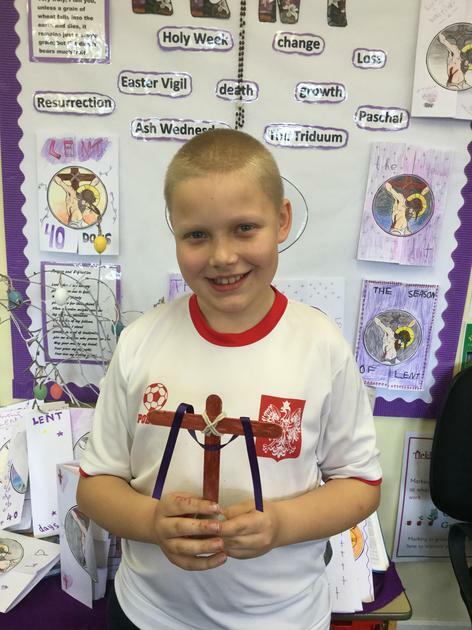 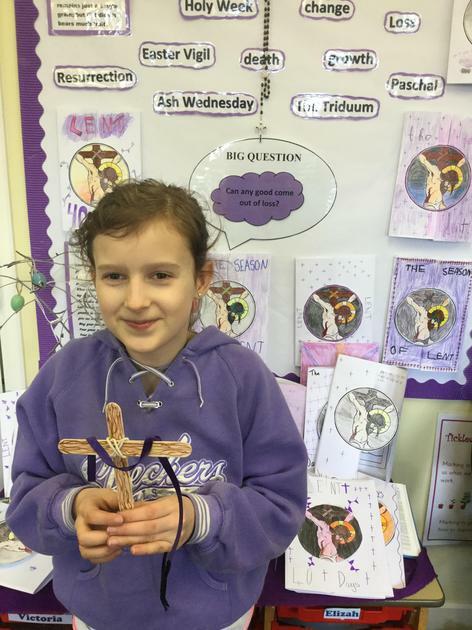 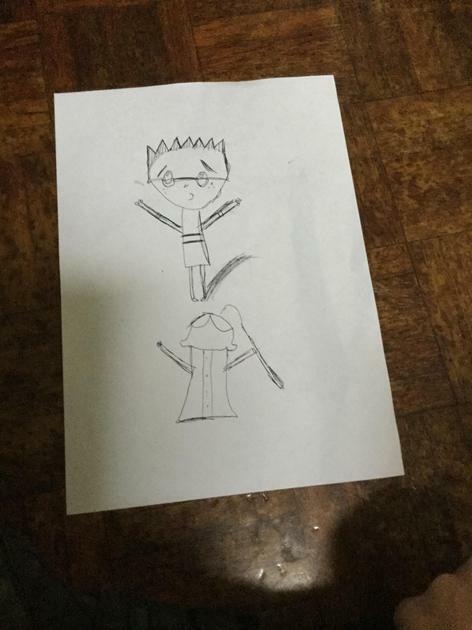 Today we discussed in our class reflection time our class Saint, St Stephen. 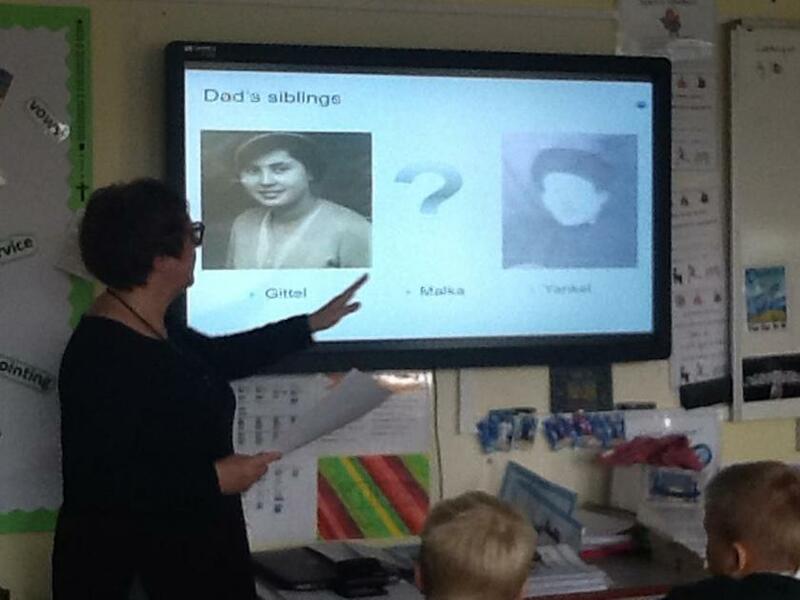 We researched who he was and had group discussion about him. 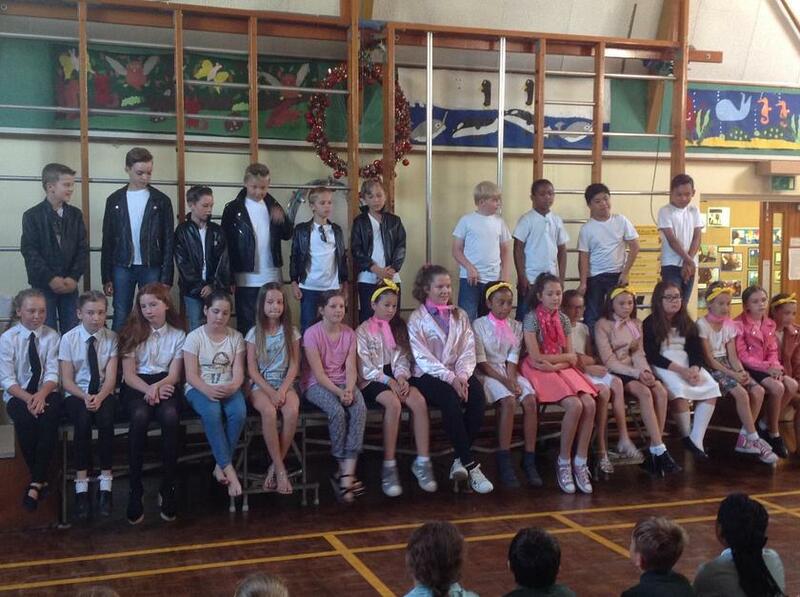 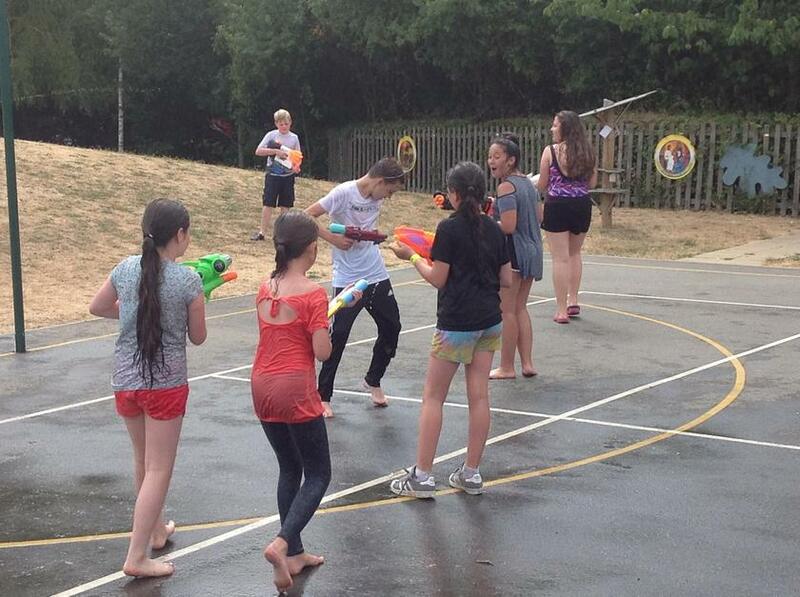 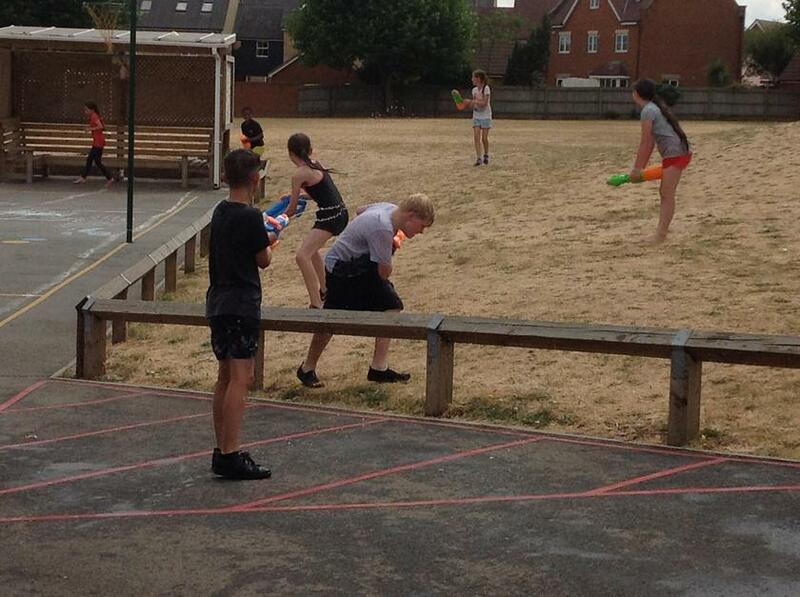 The children u played the class. 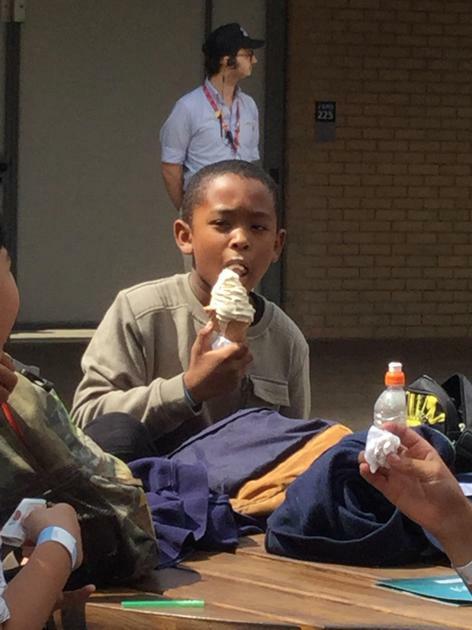 lol of saints with some work. 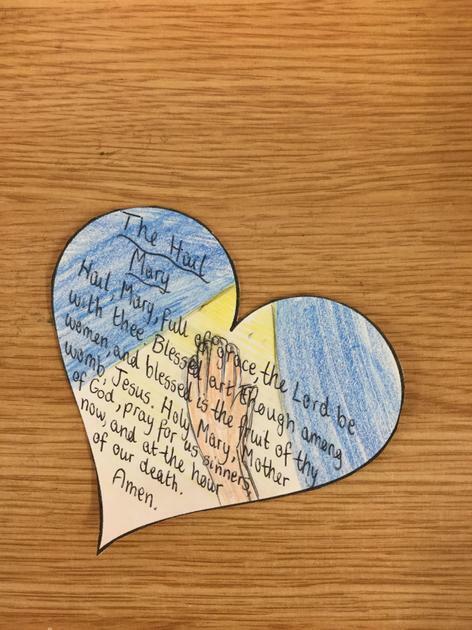 We finished the reflection with a class prayer to him. 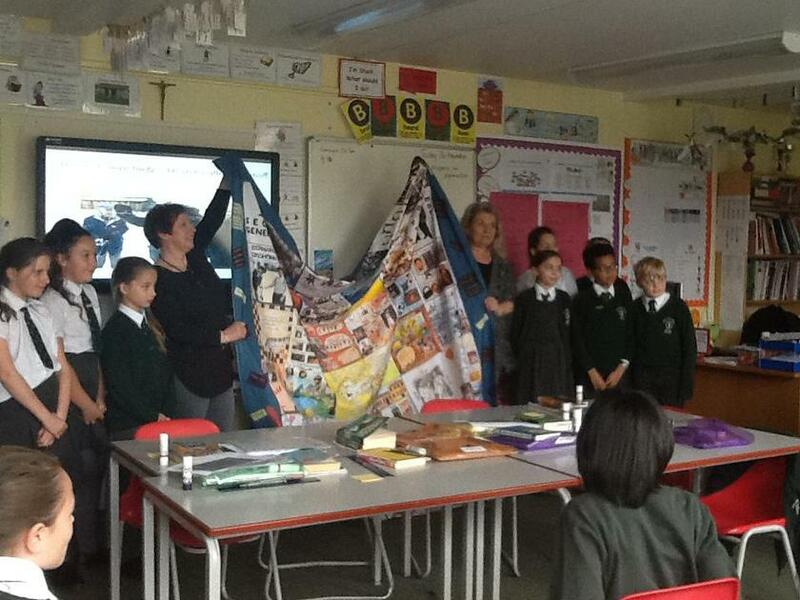 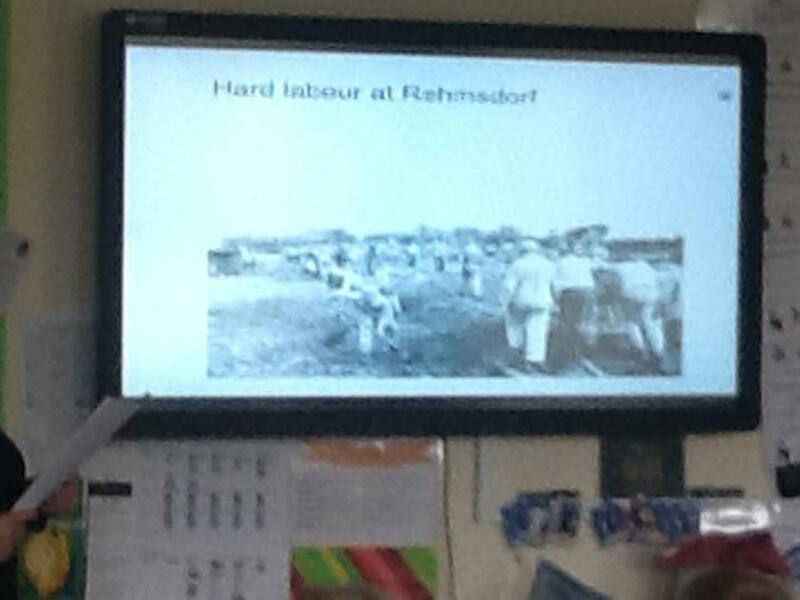 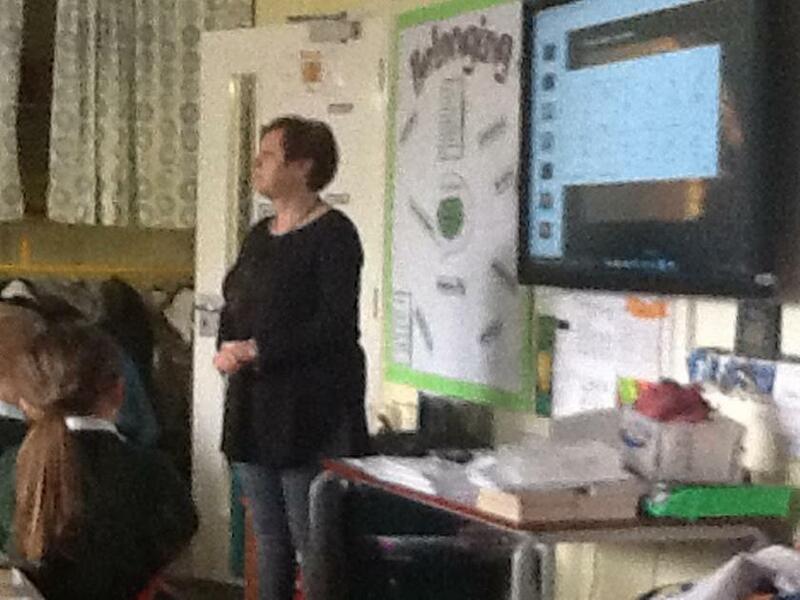 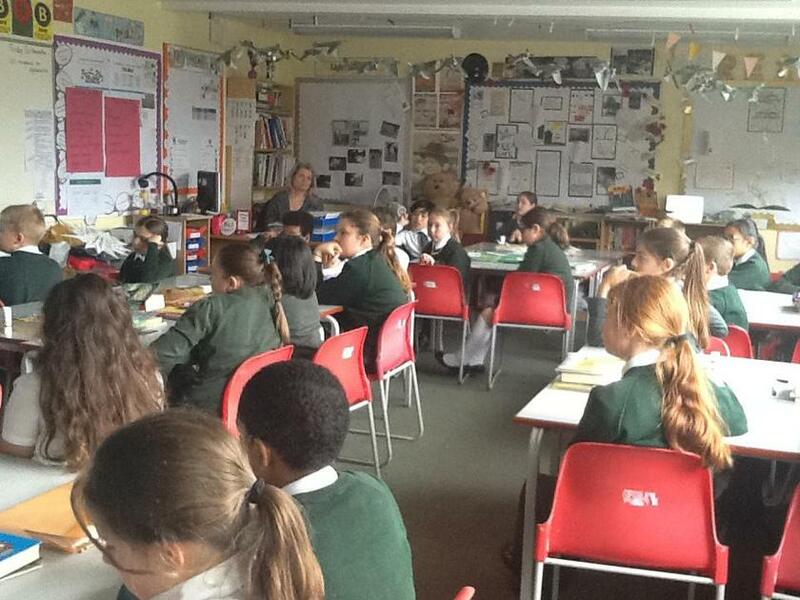 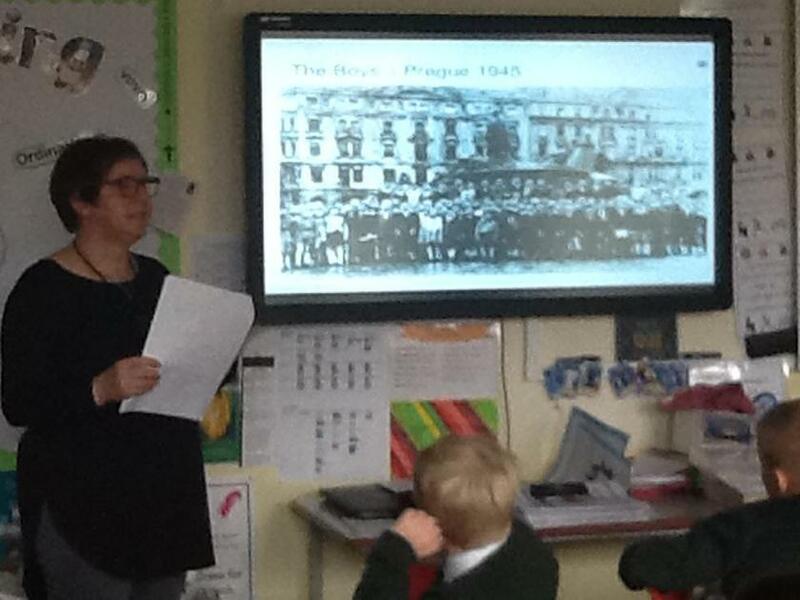 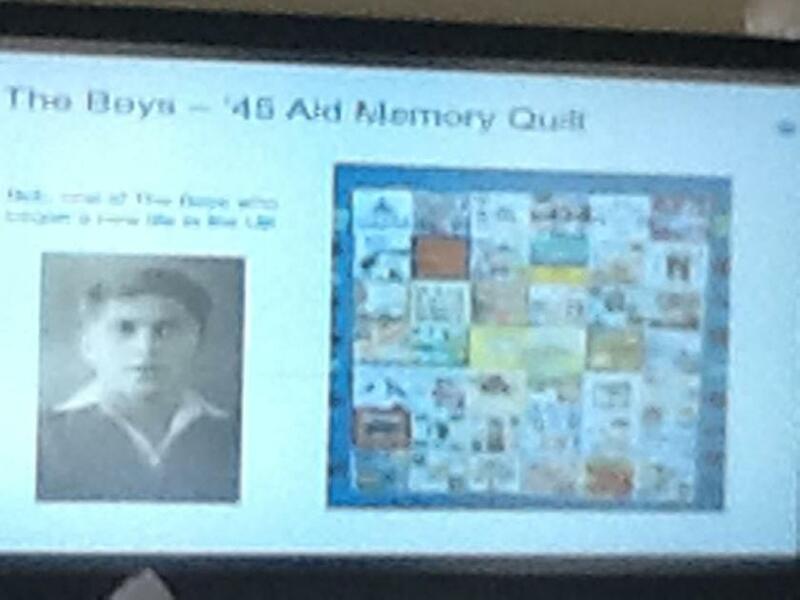 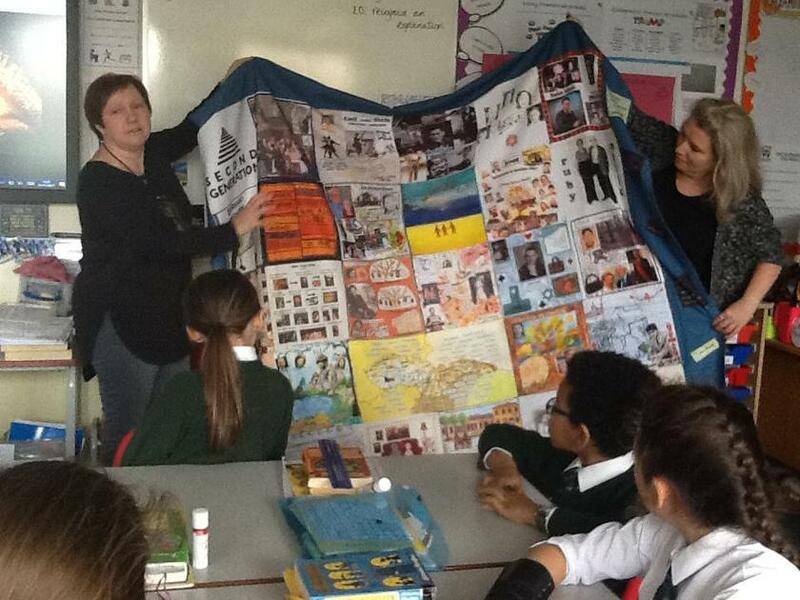 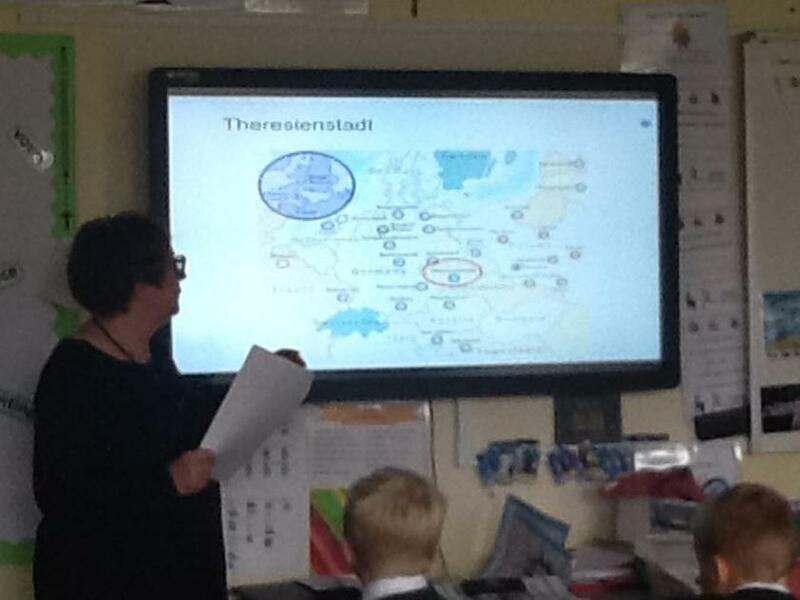 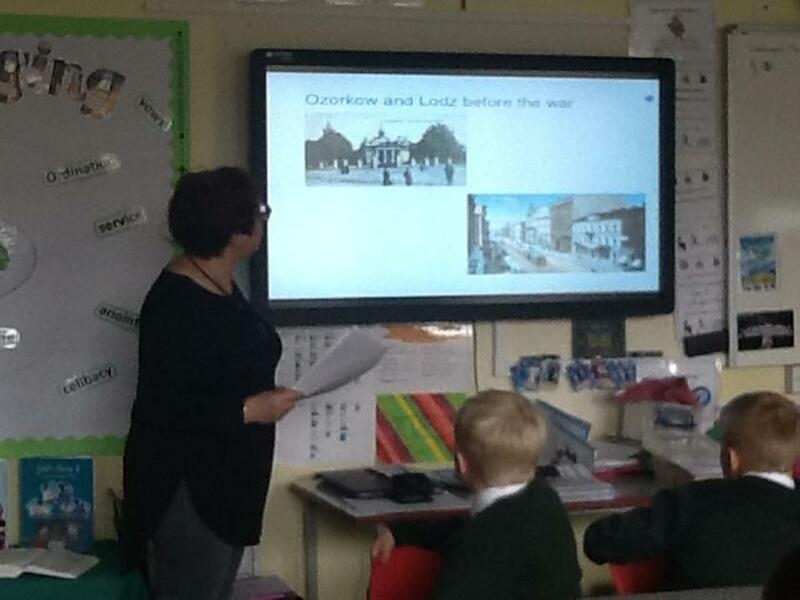 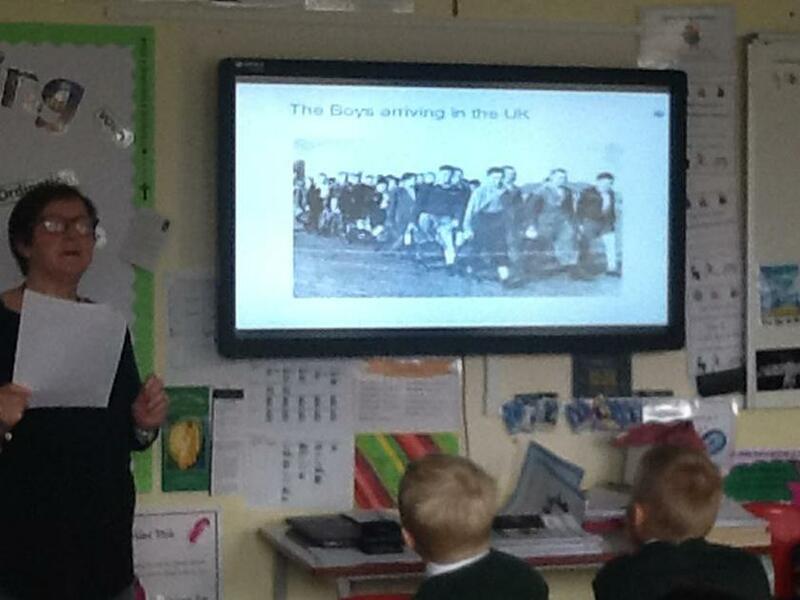 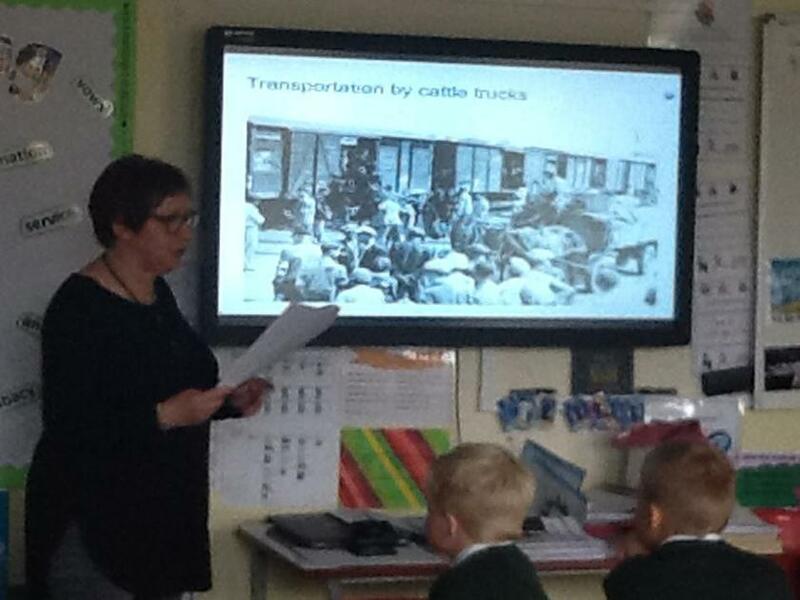 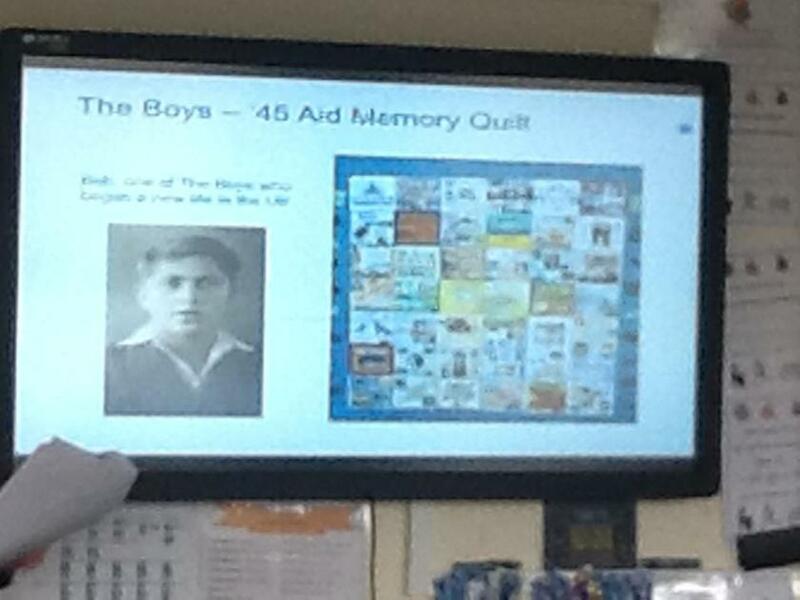 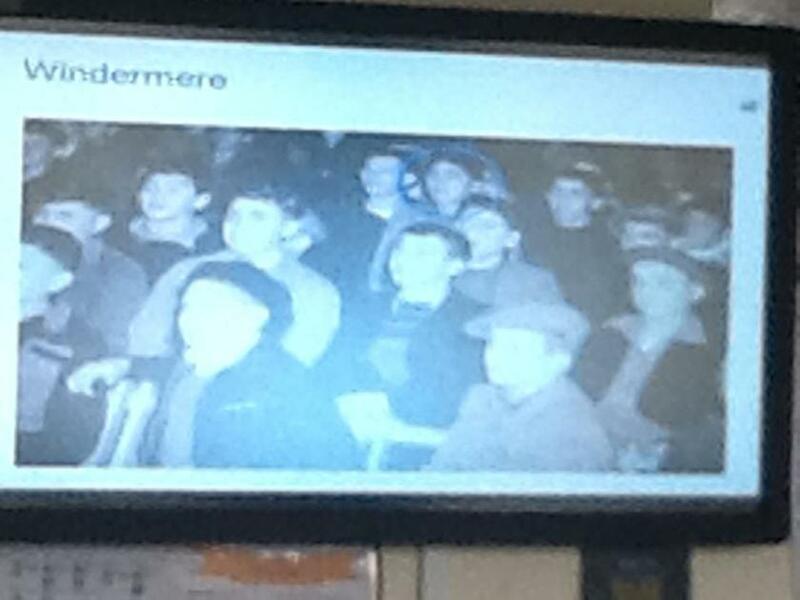 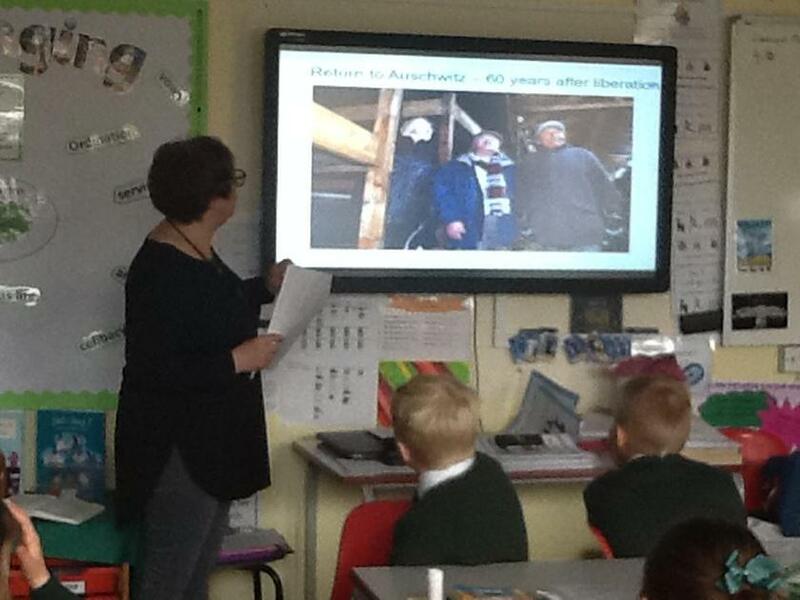 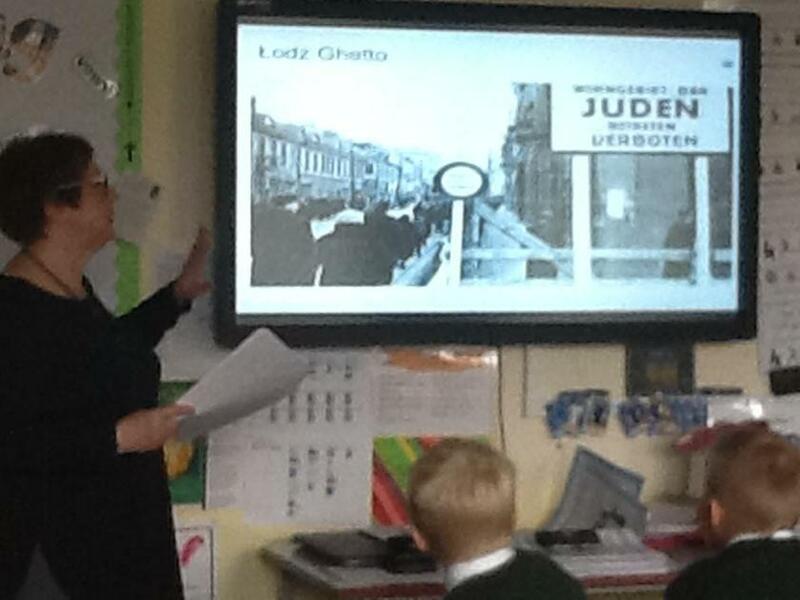 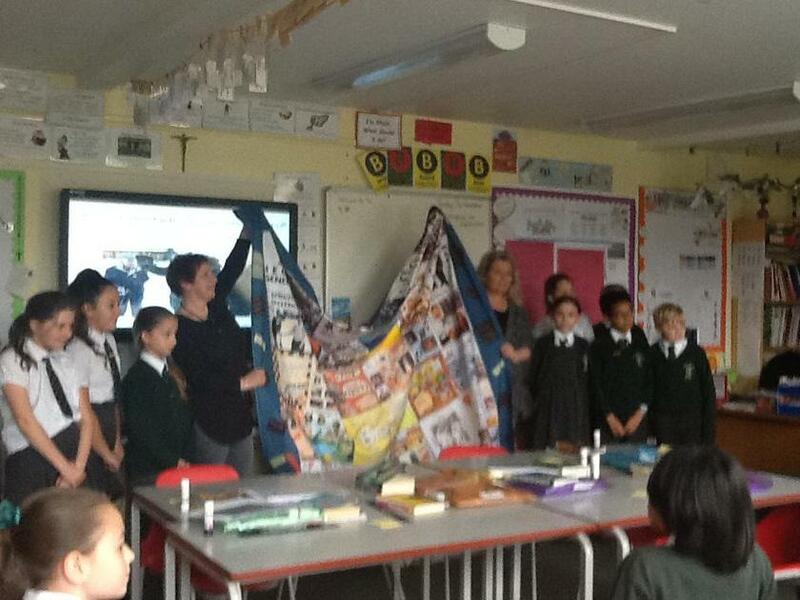 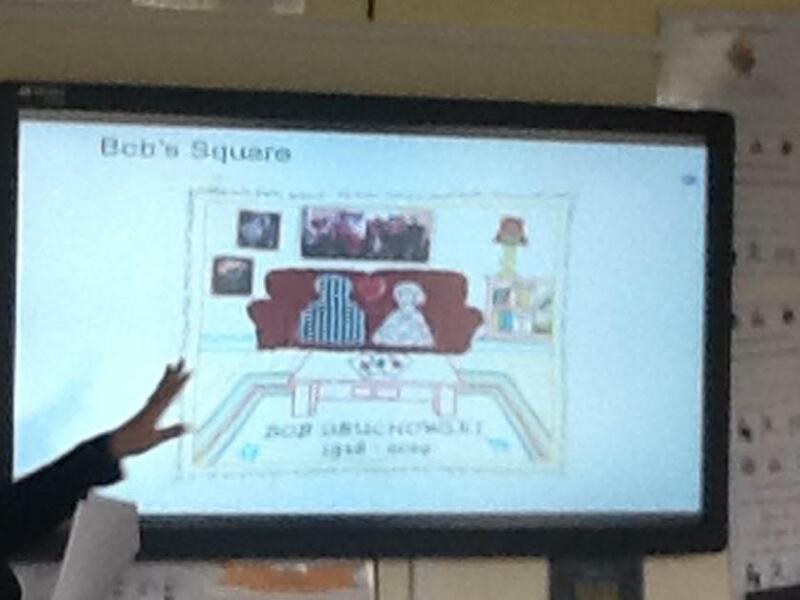 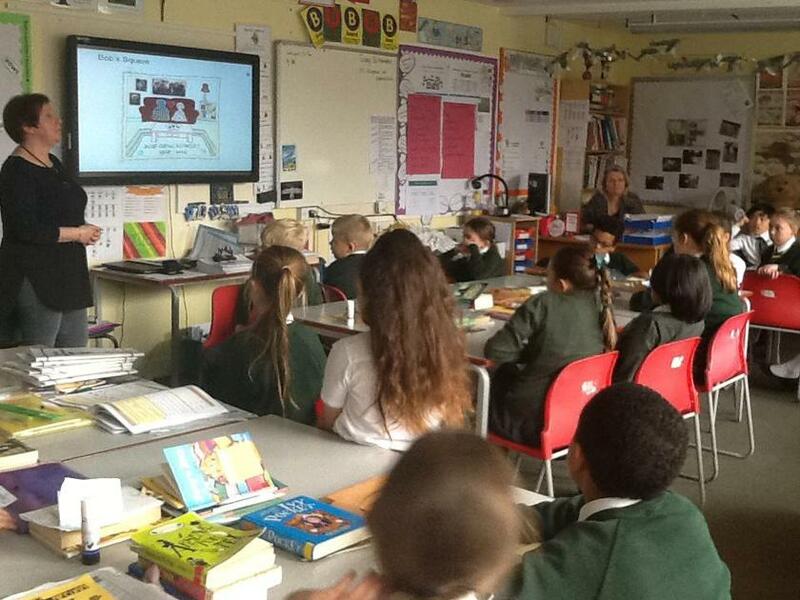 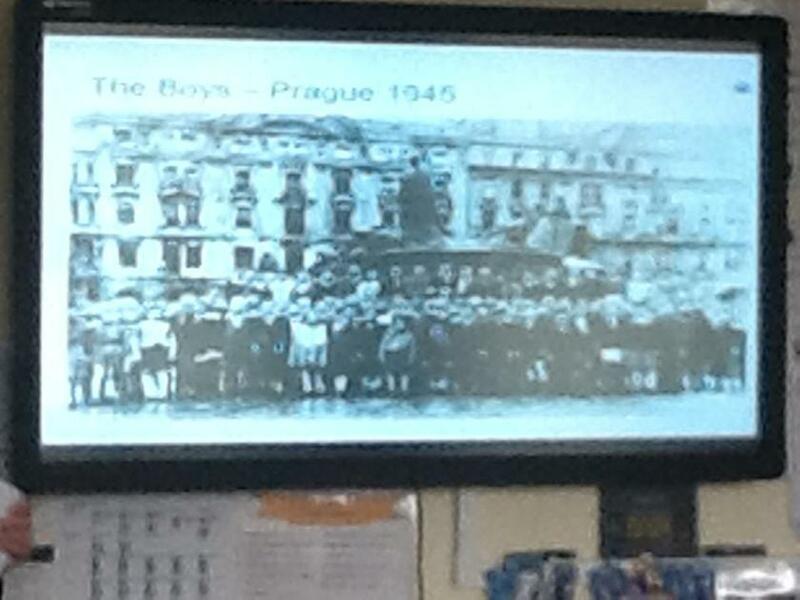 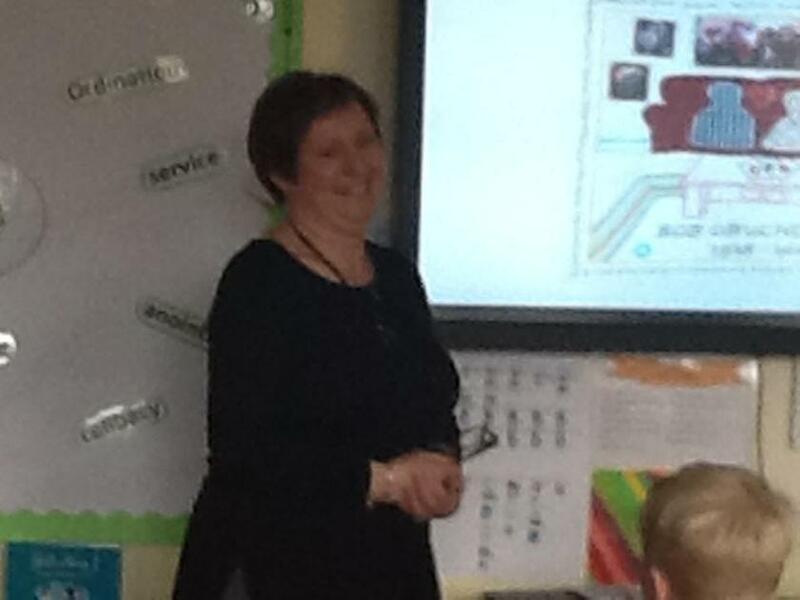 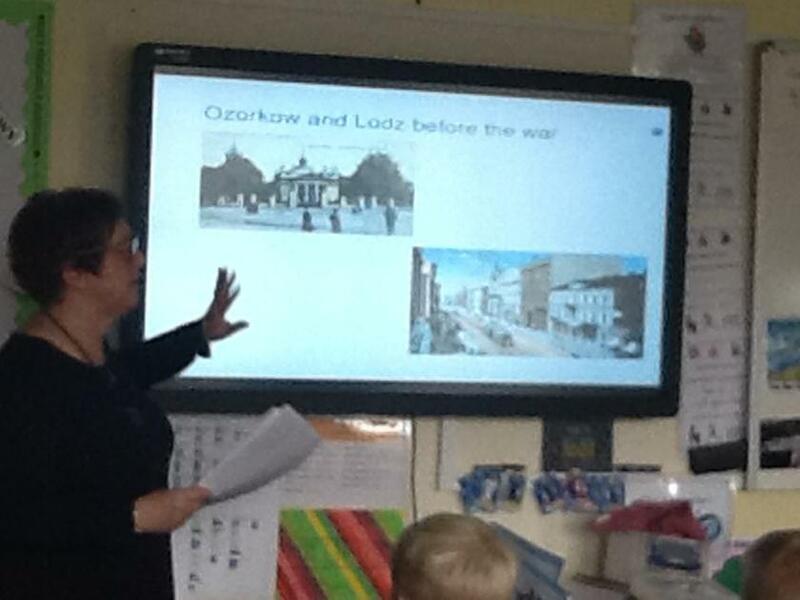 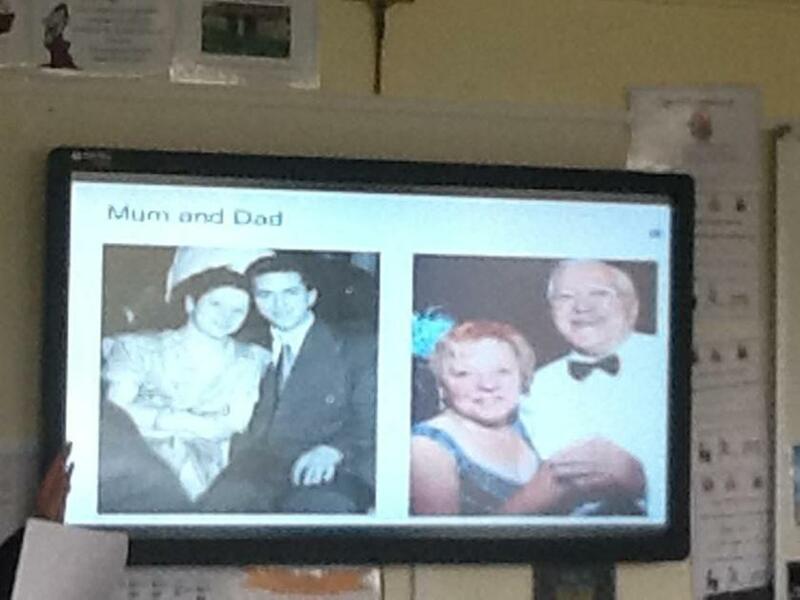 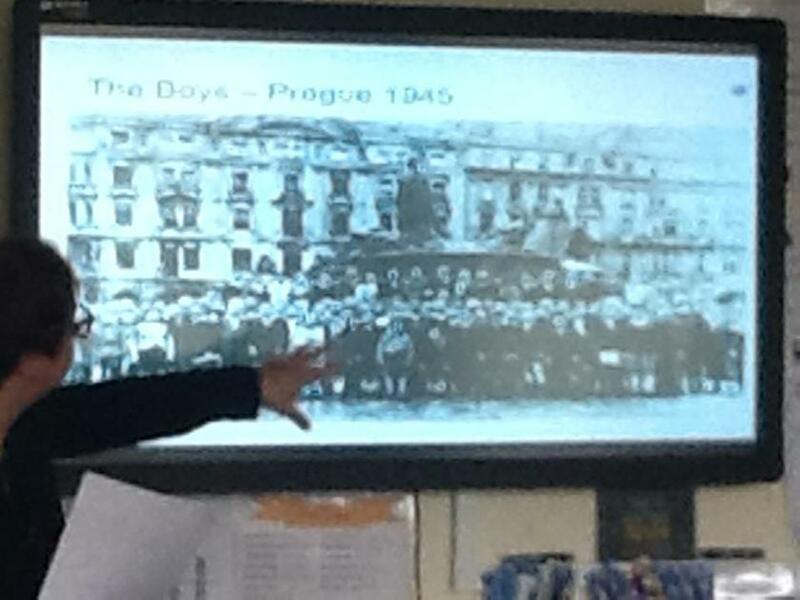 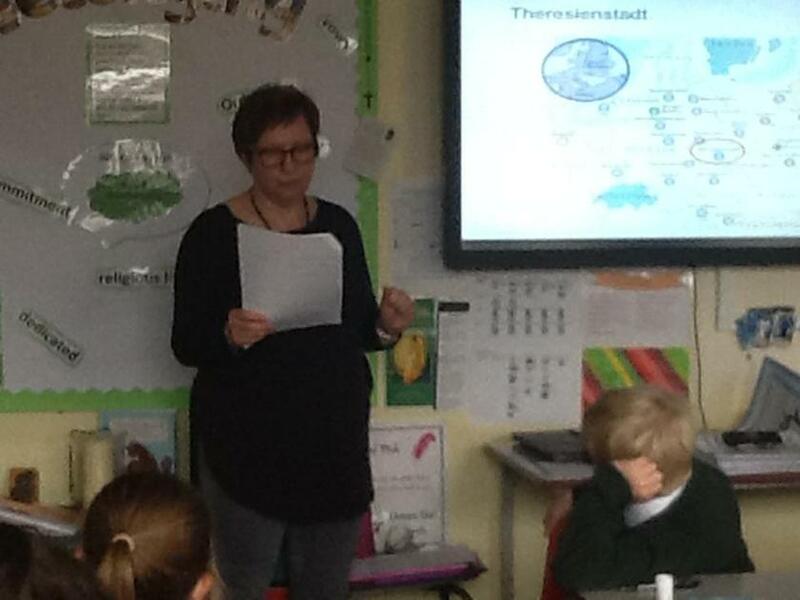 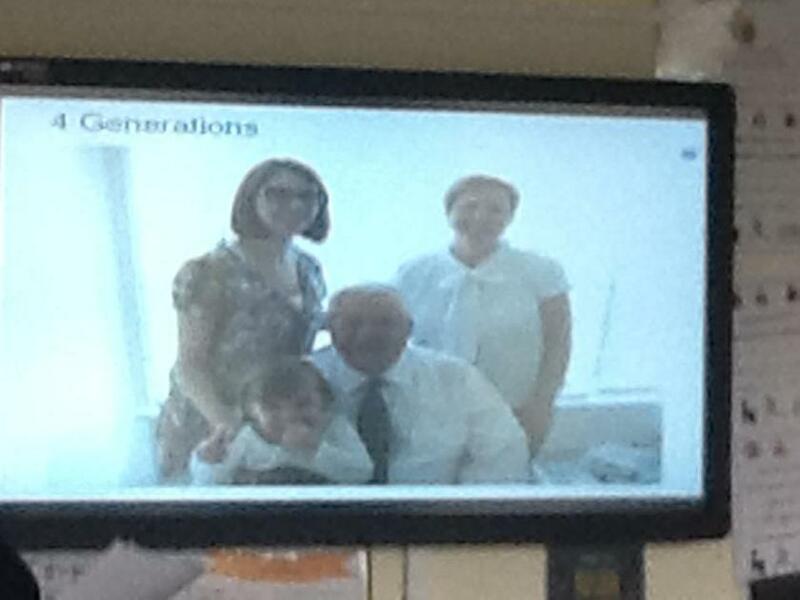 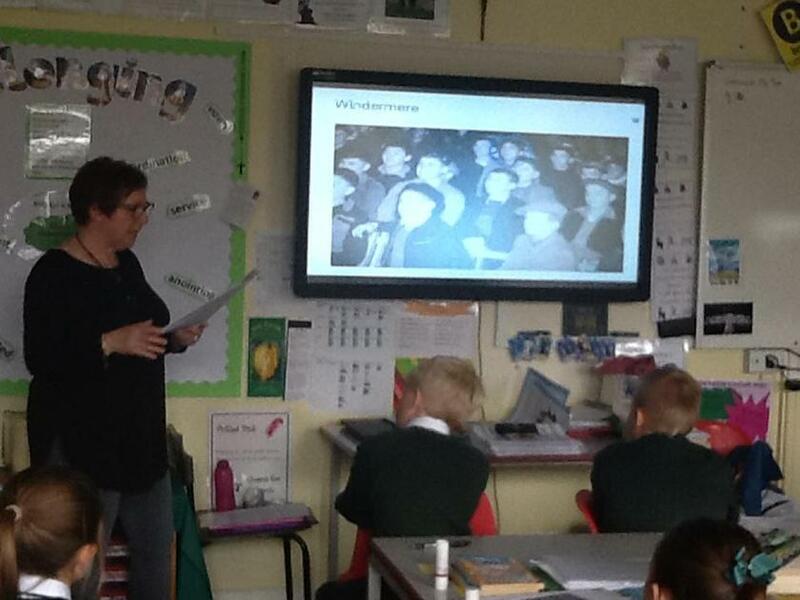 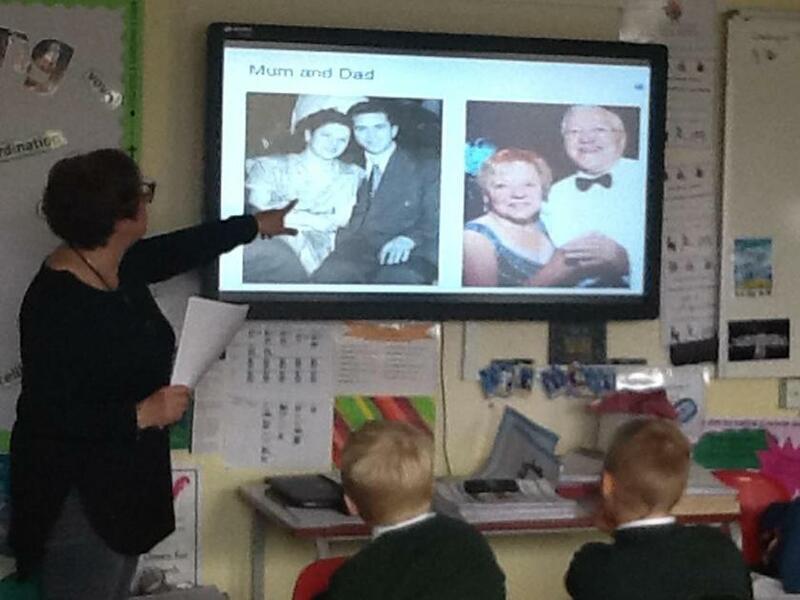 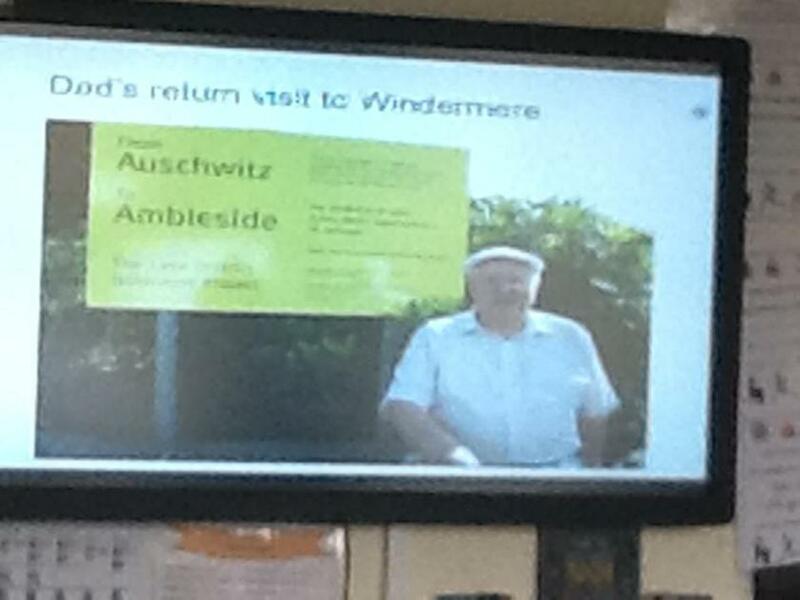 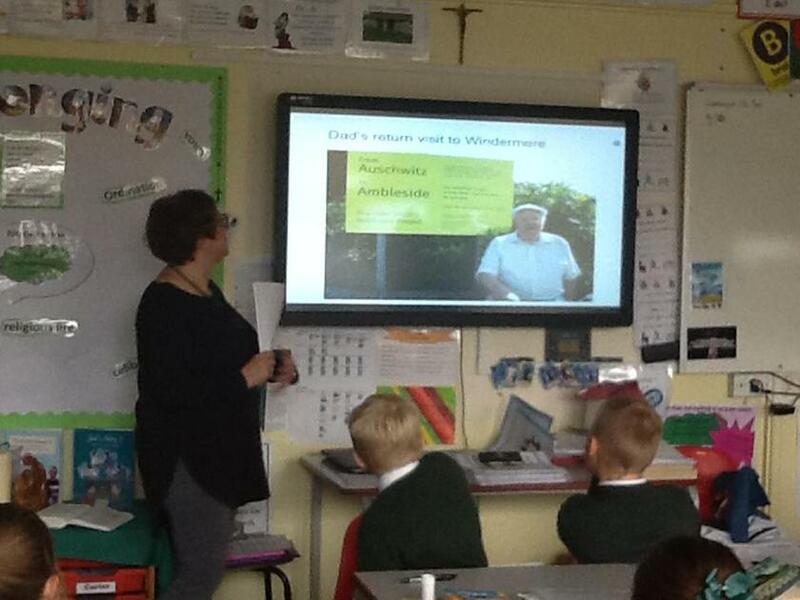 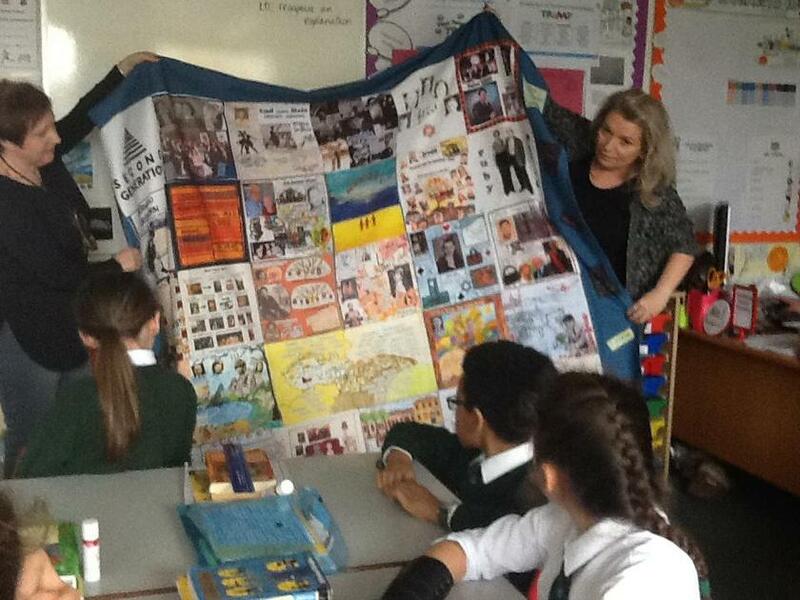 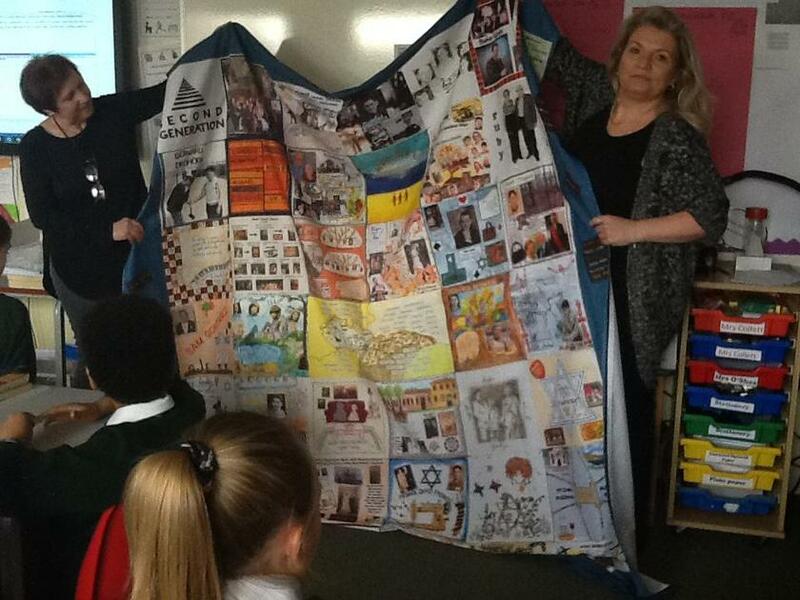 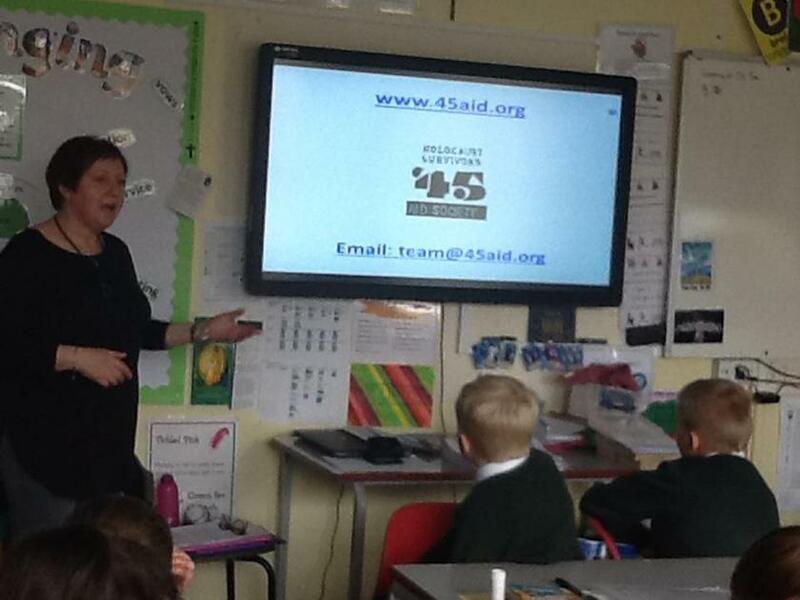 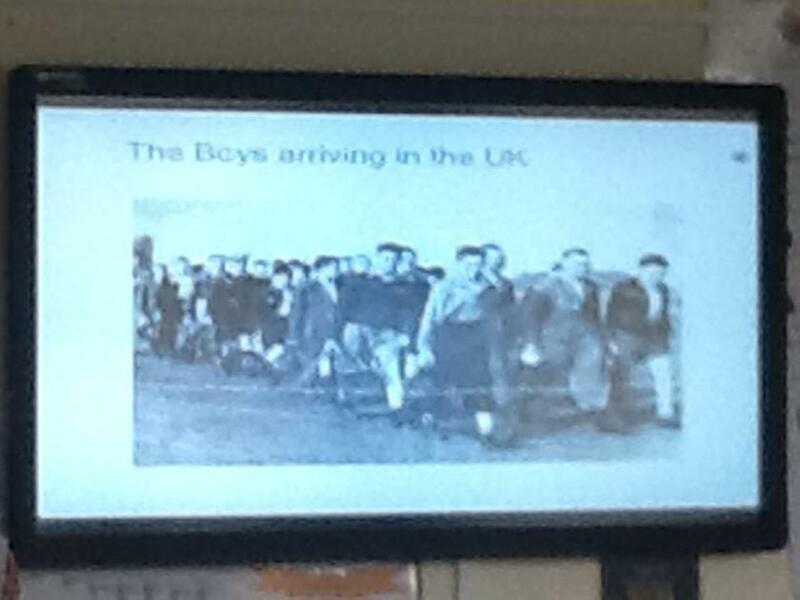 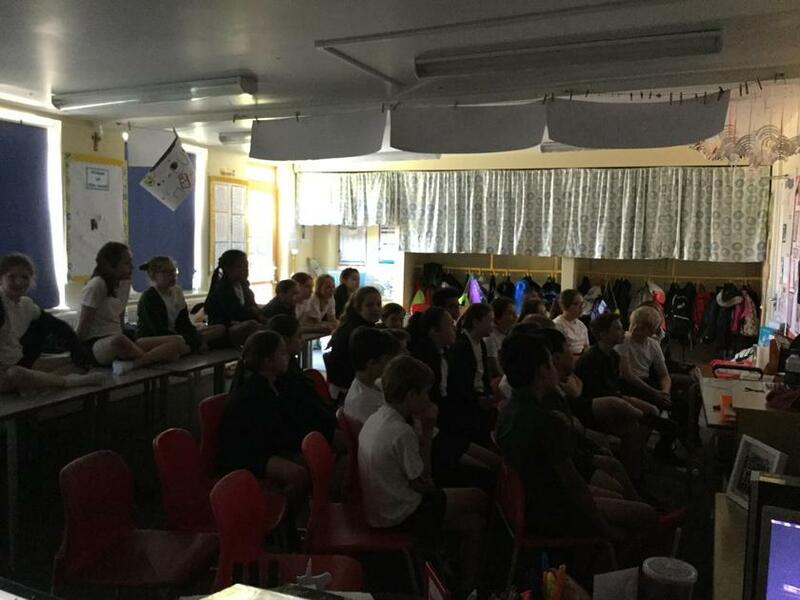 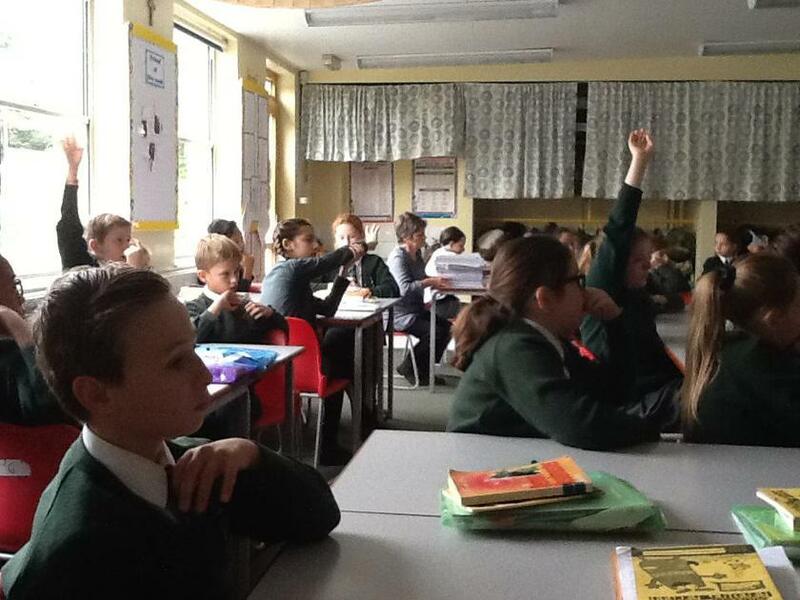 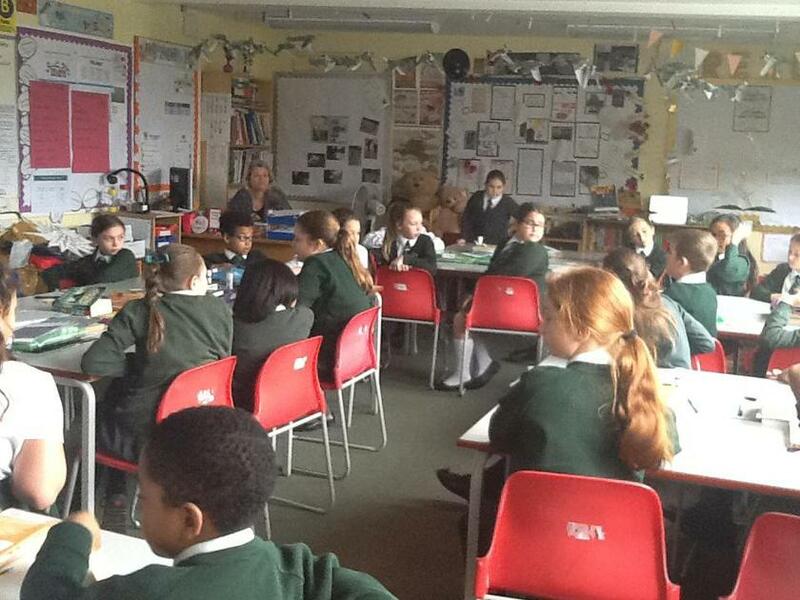 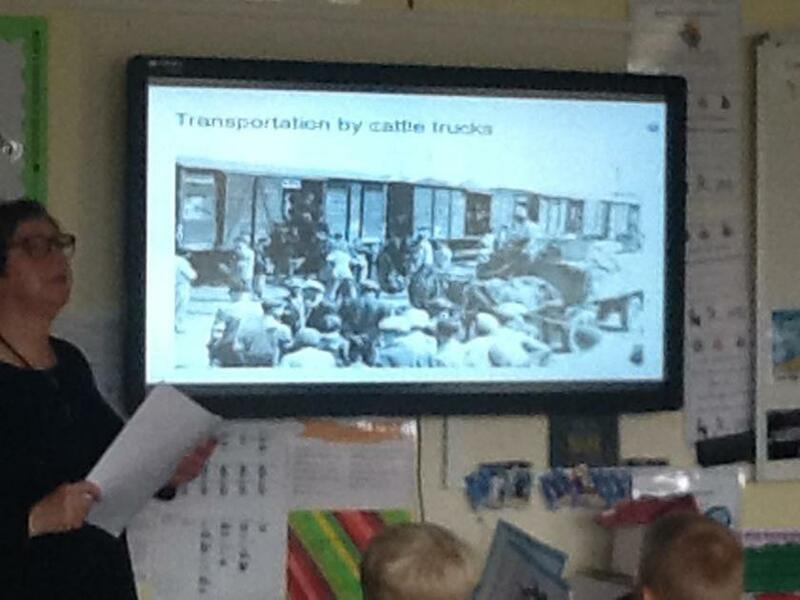 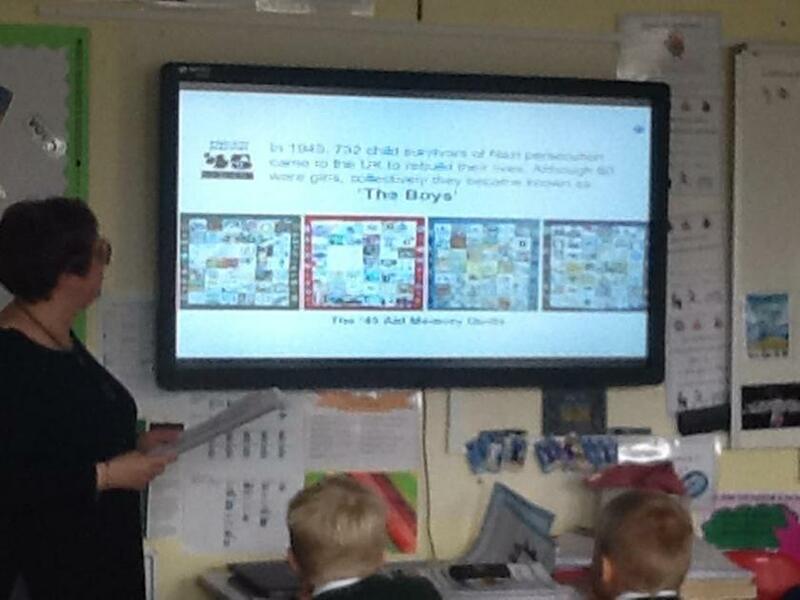 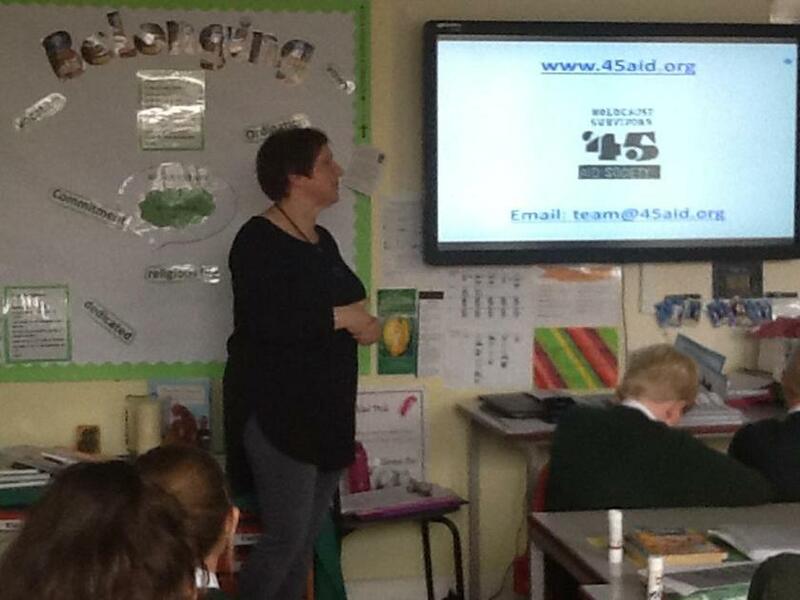 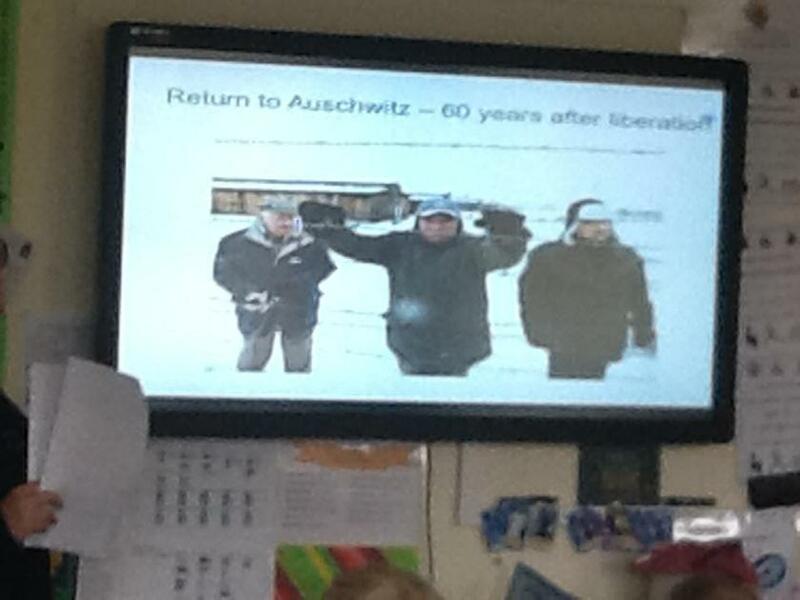 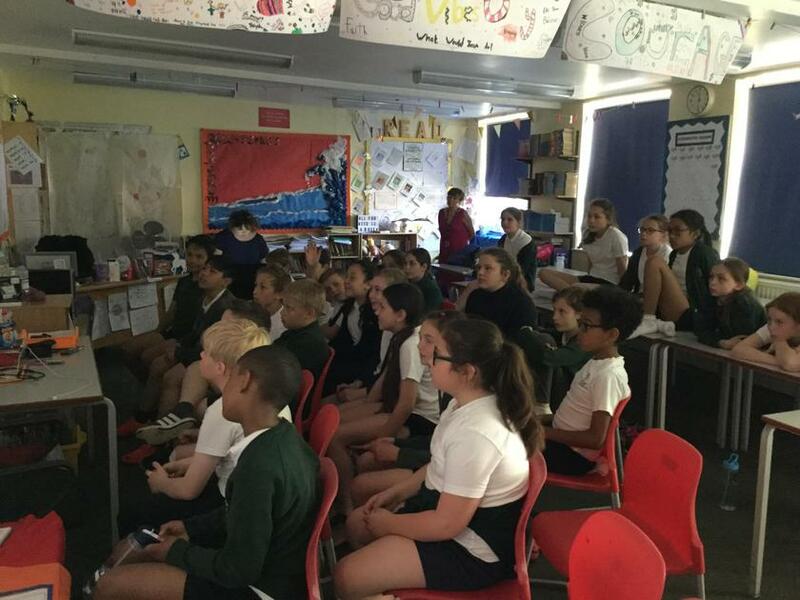 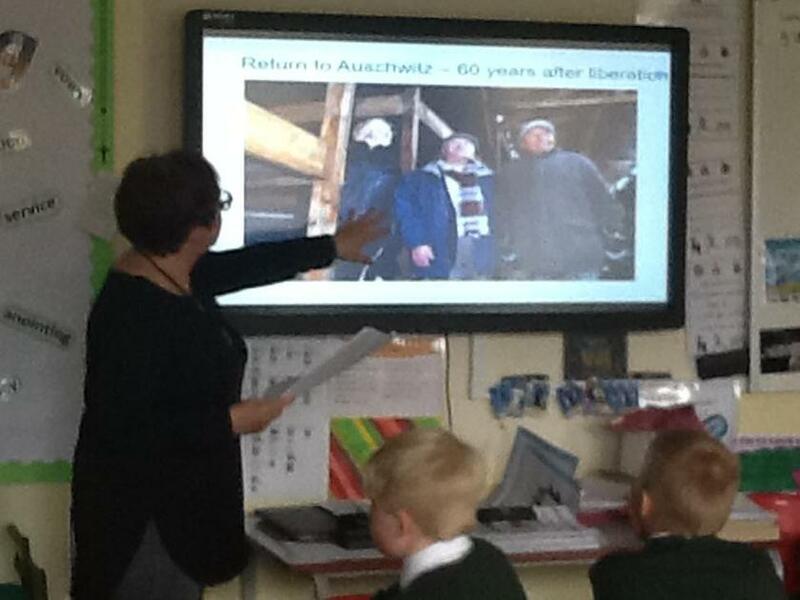 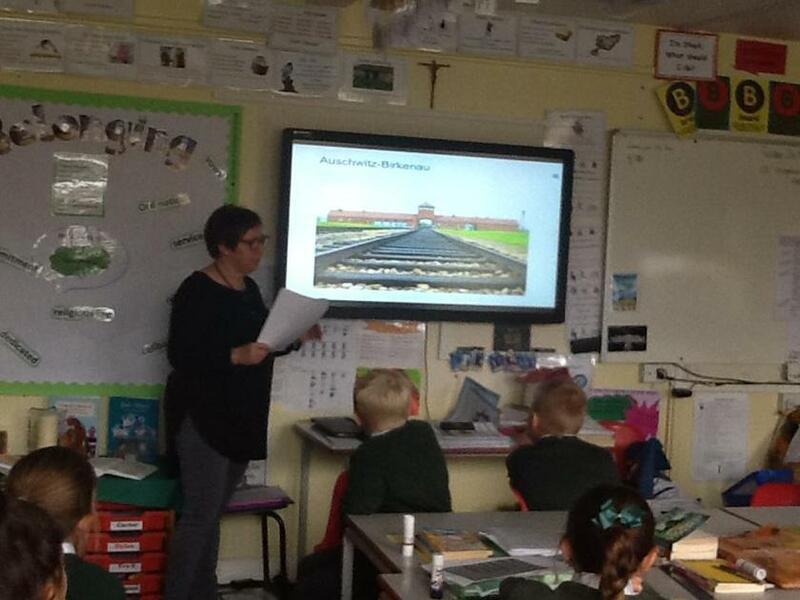 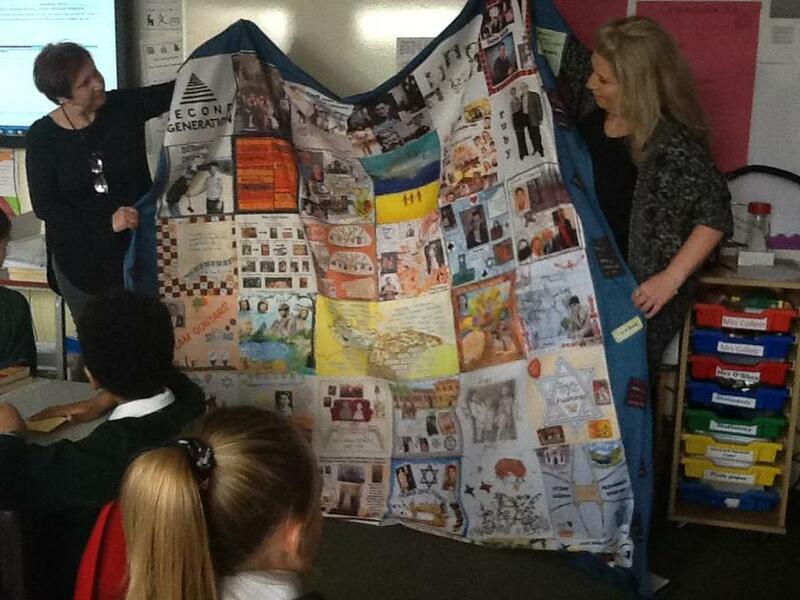 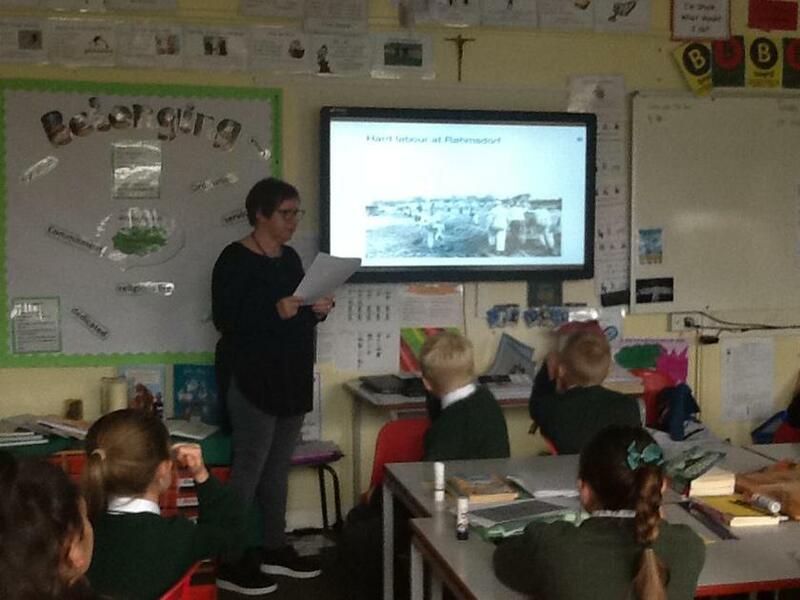 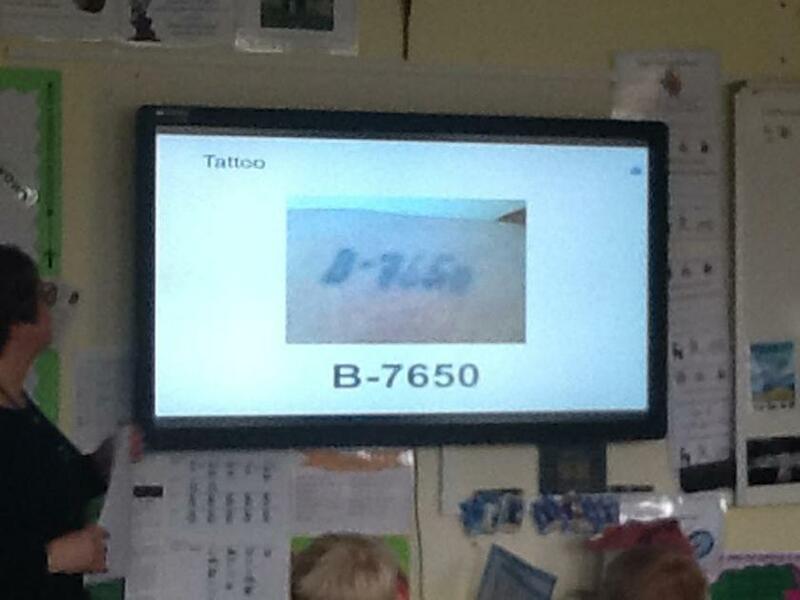 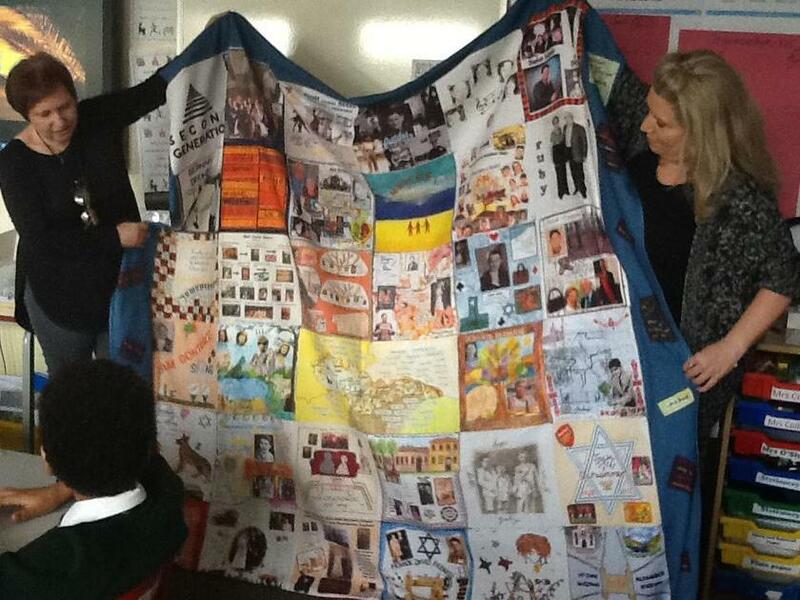 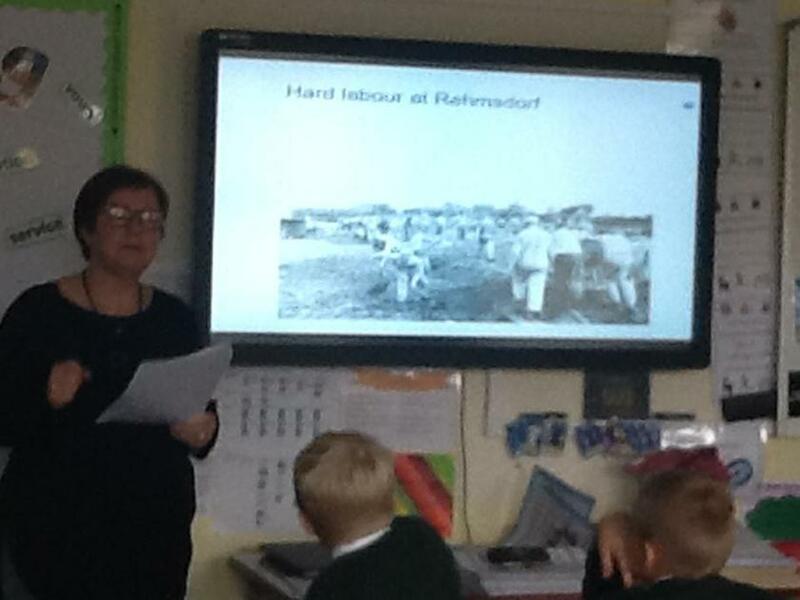 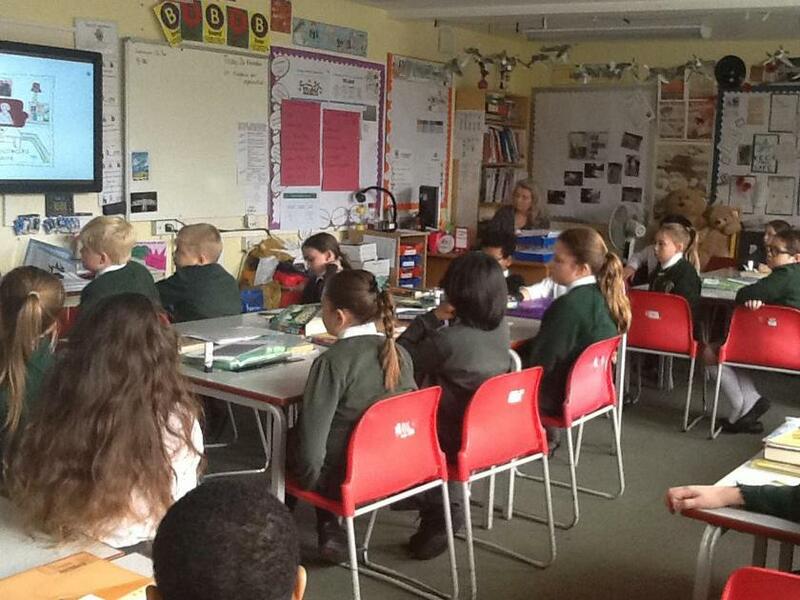 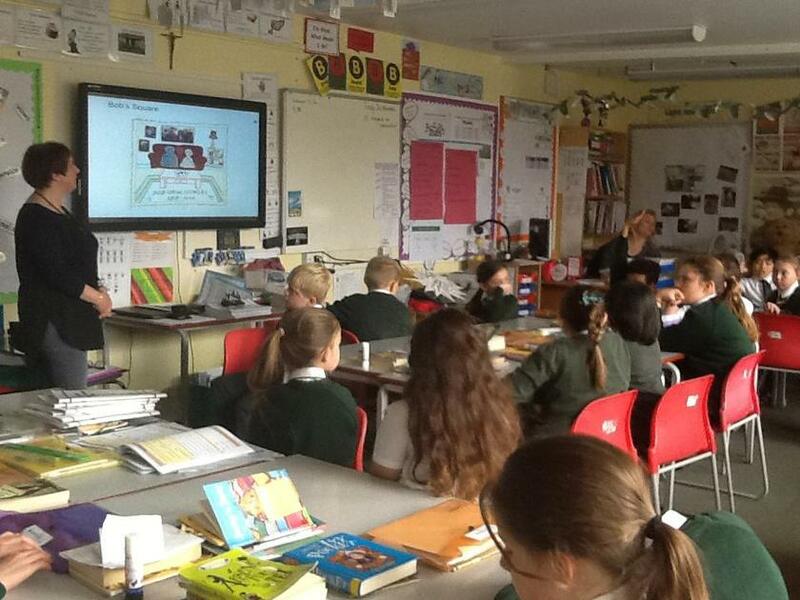 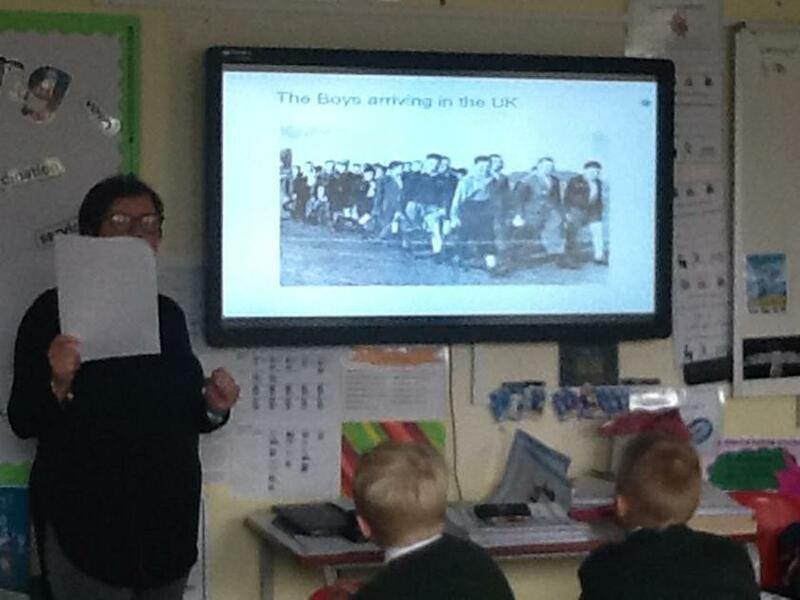 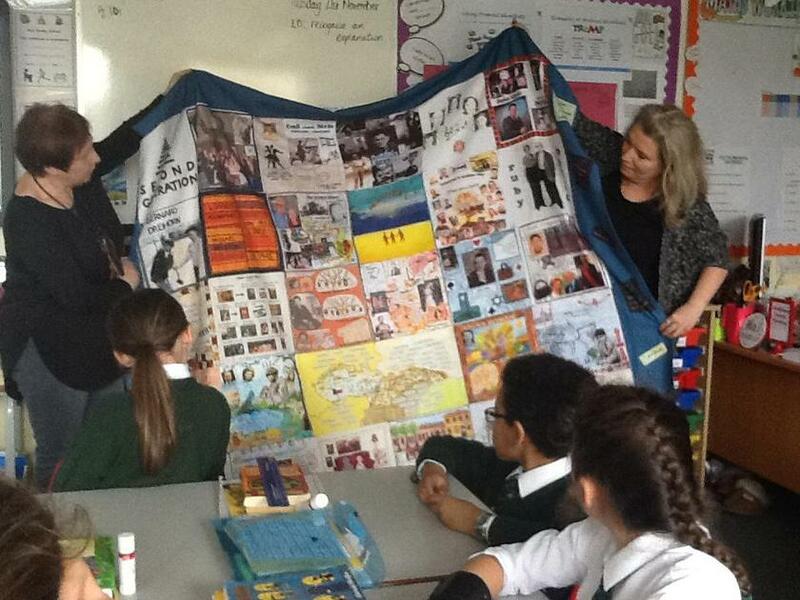 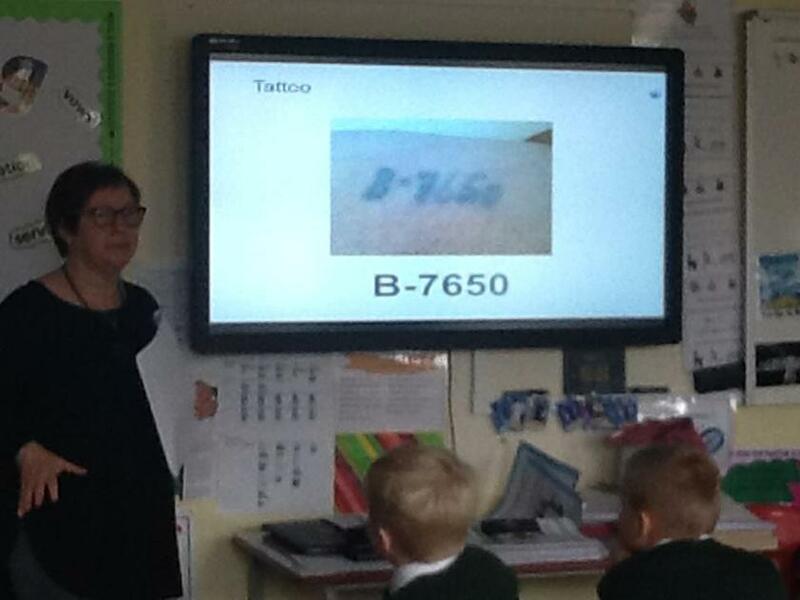 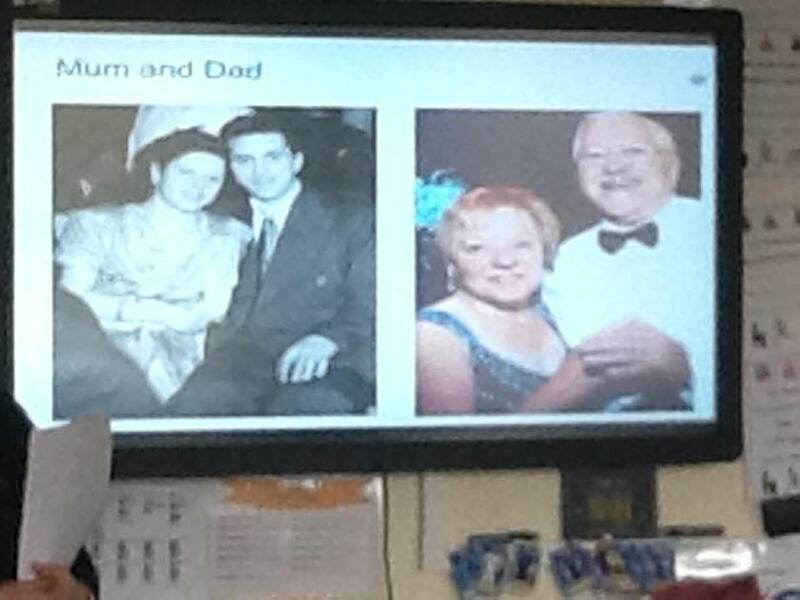 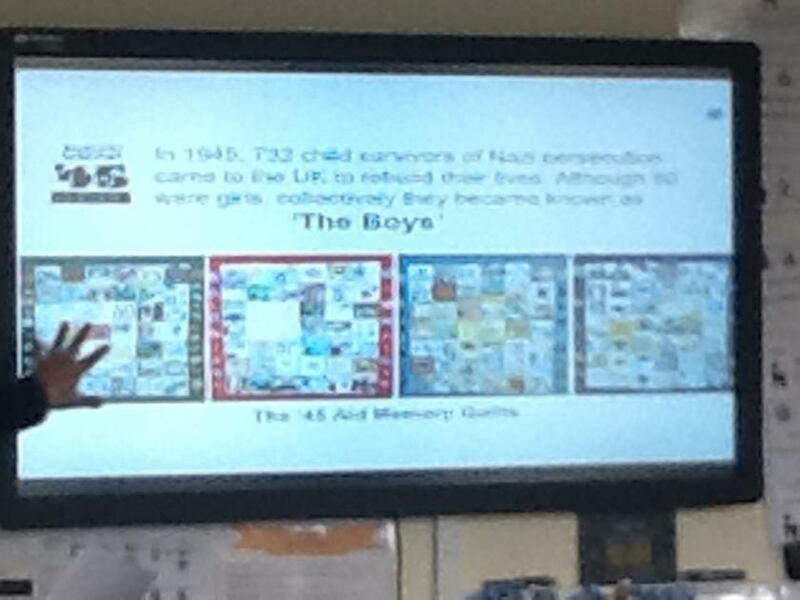 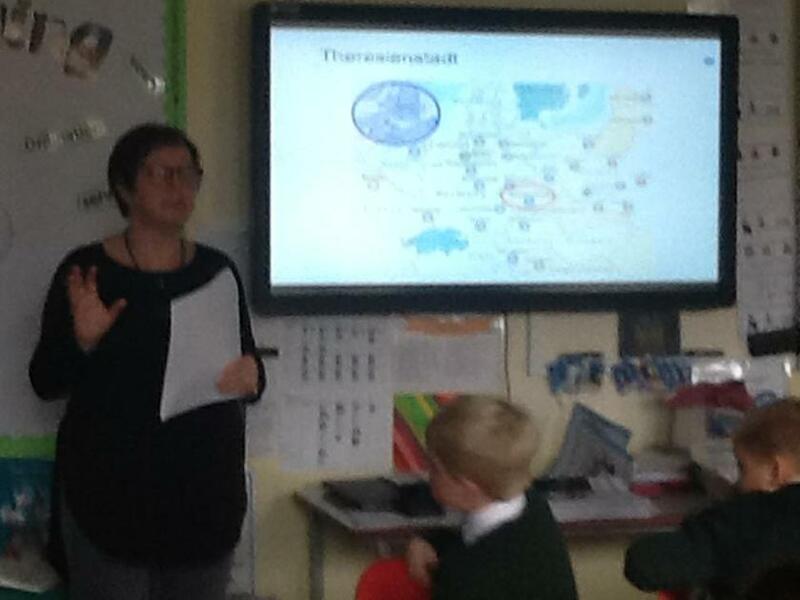 Year 6 were very fortunate and blessed to have Sue Bermange from the '45 Aid Society in class today. 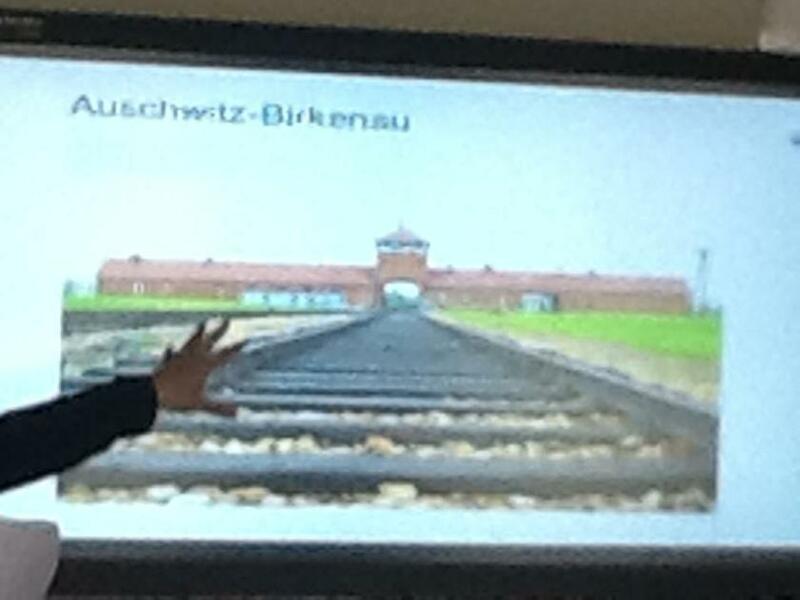 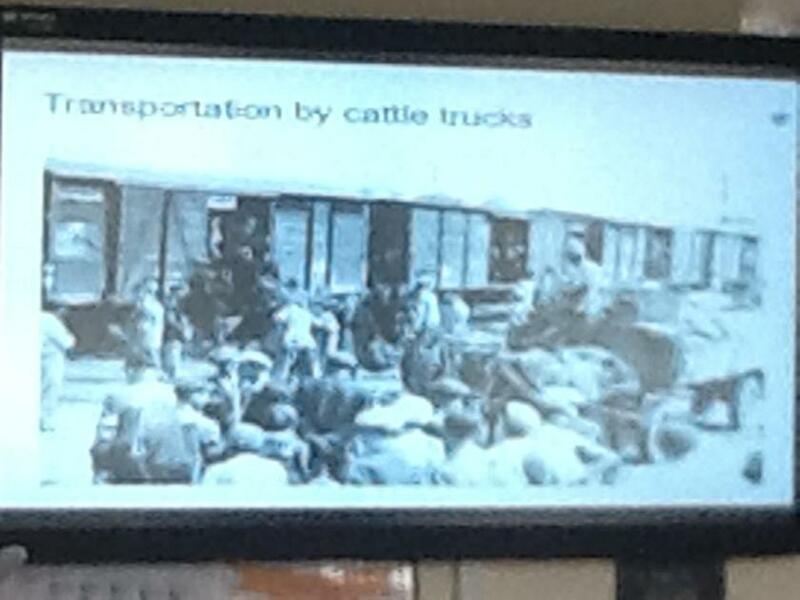 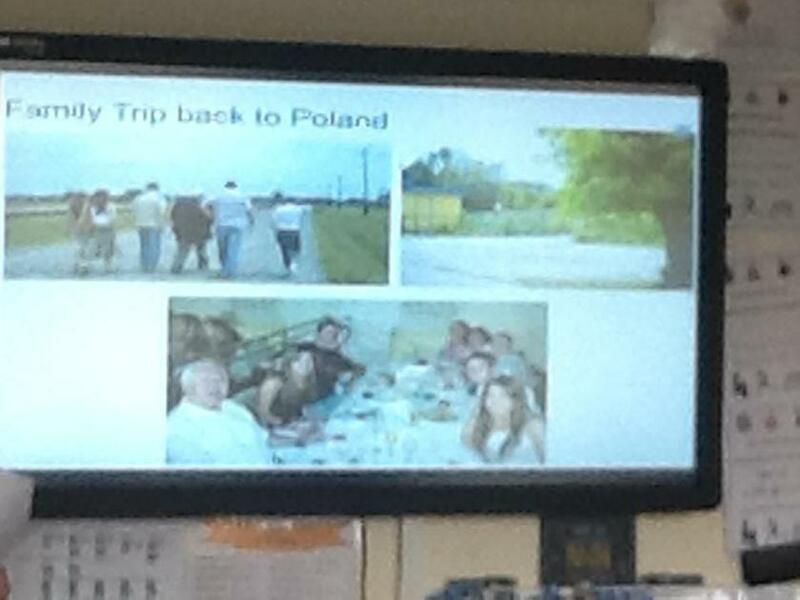 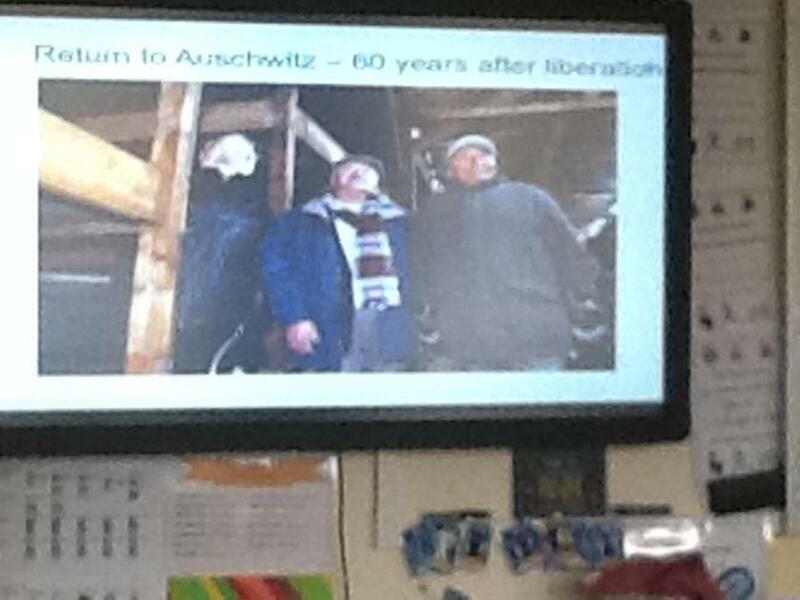 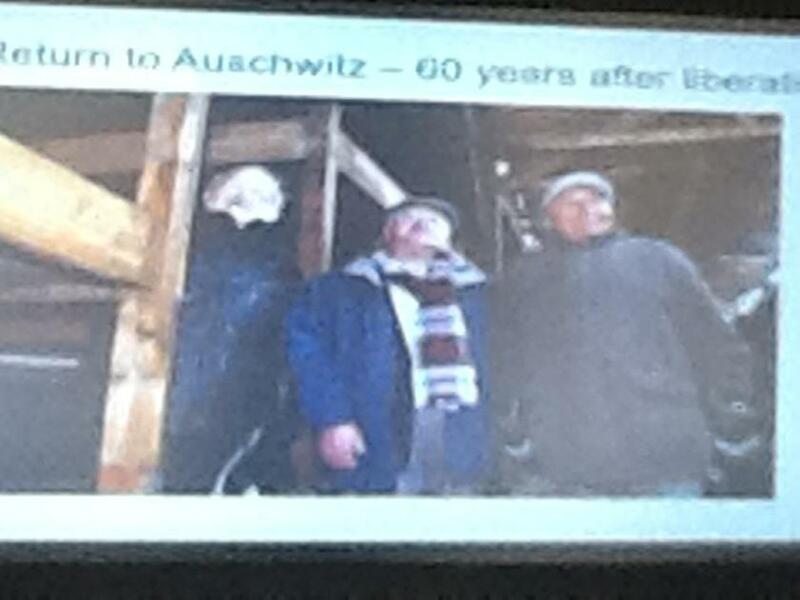 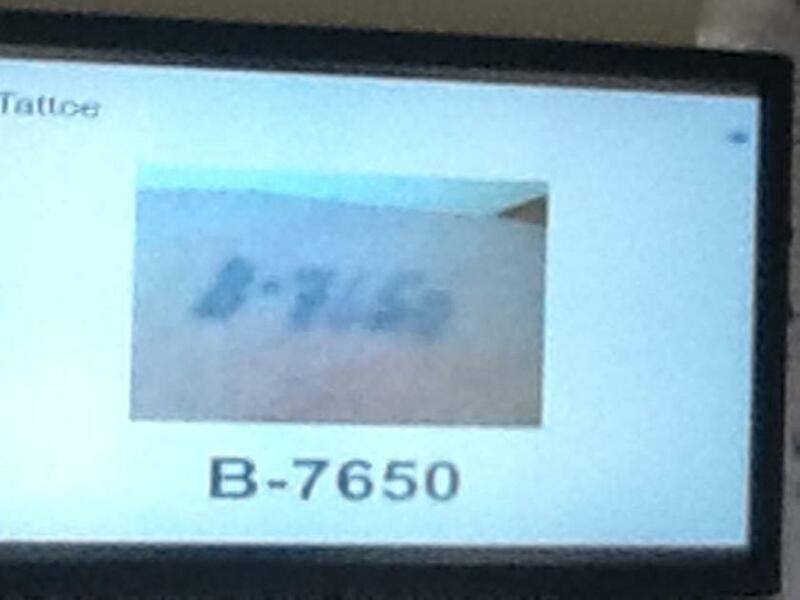 Sue's father, Bob Obuchowski, was a survivor of the Auschwitz concentration camp. 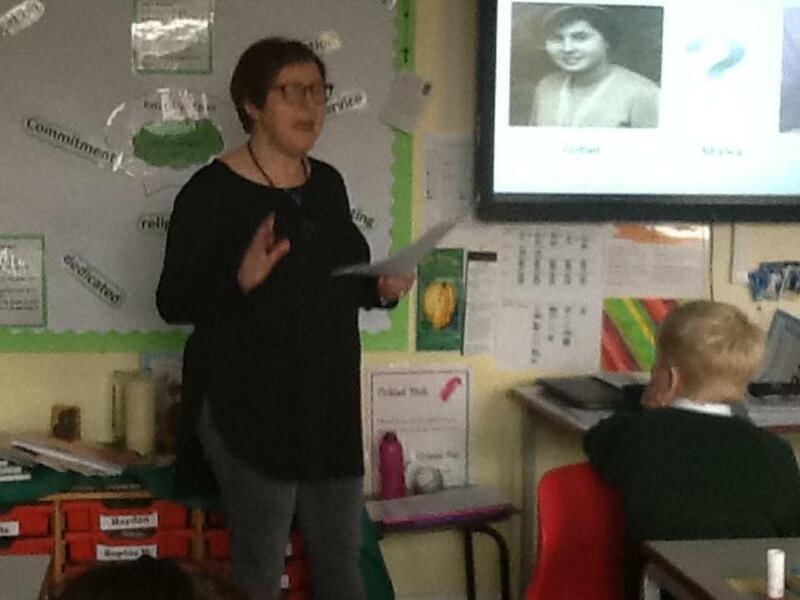 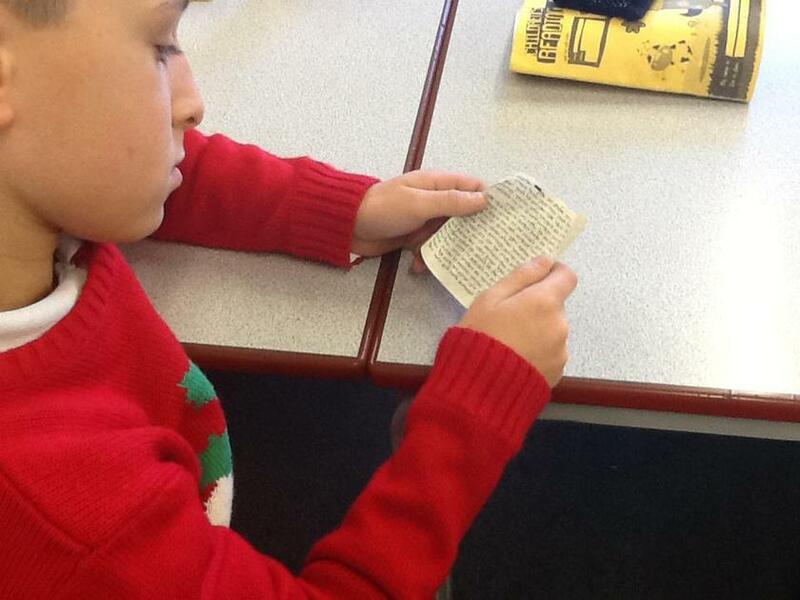 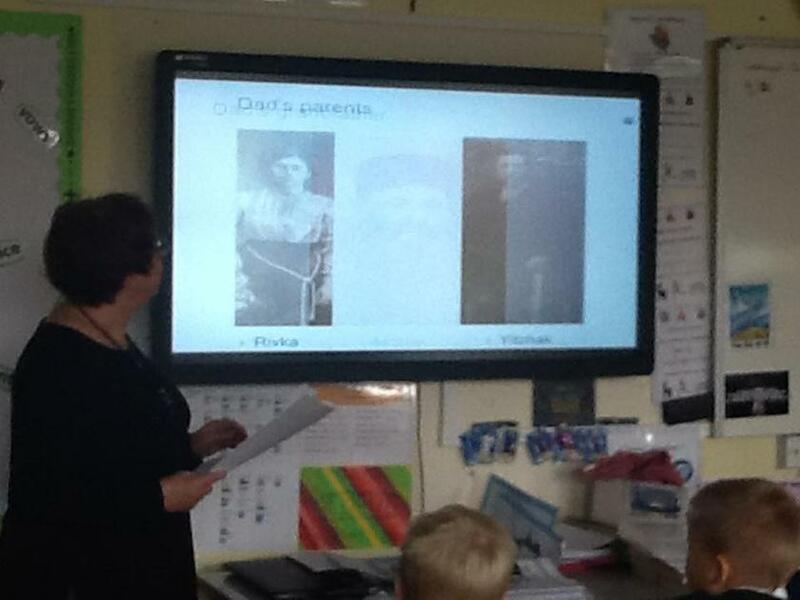 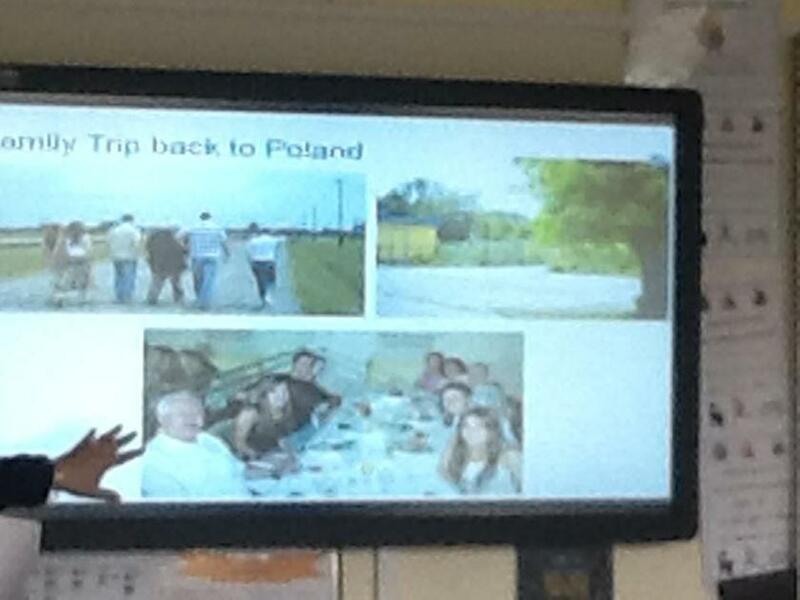 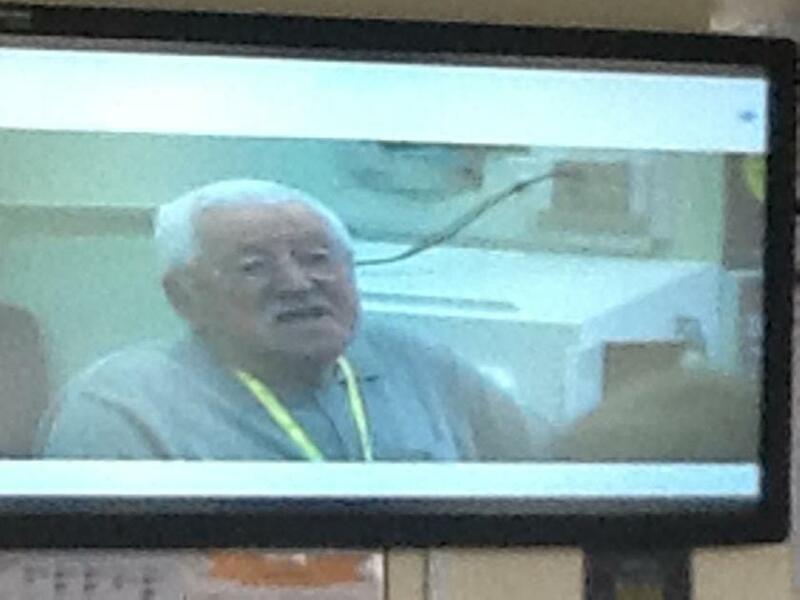 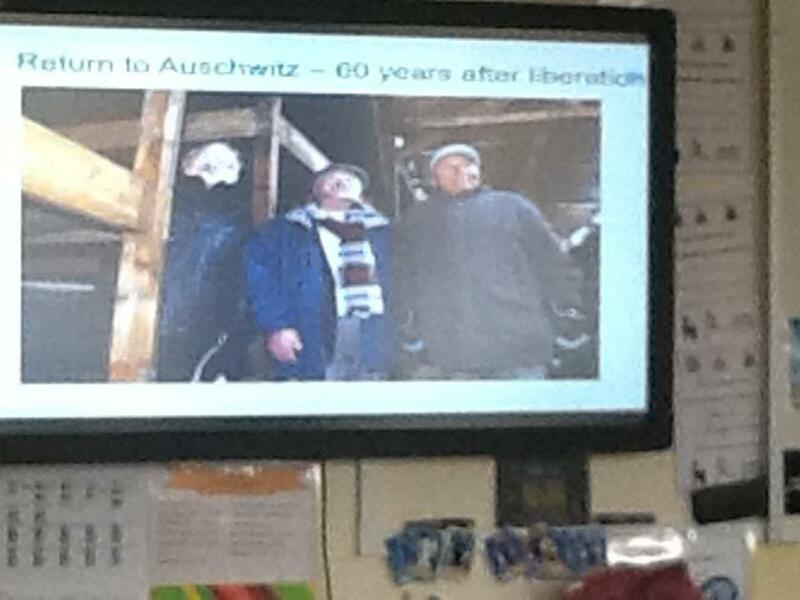 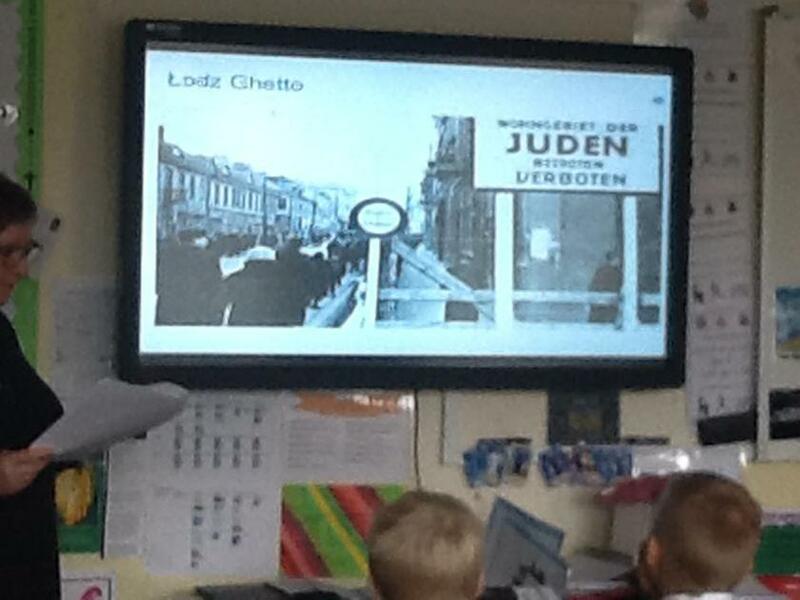 She told us all about his life and the terrible difficulties and prejudice he faced throughout the war. 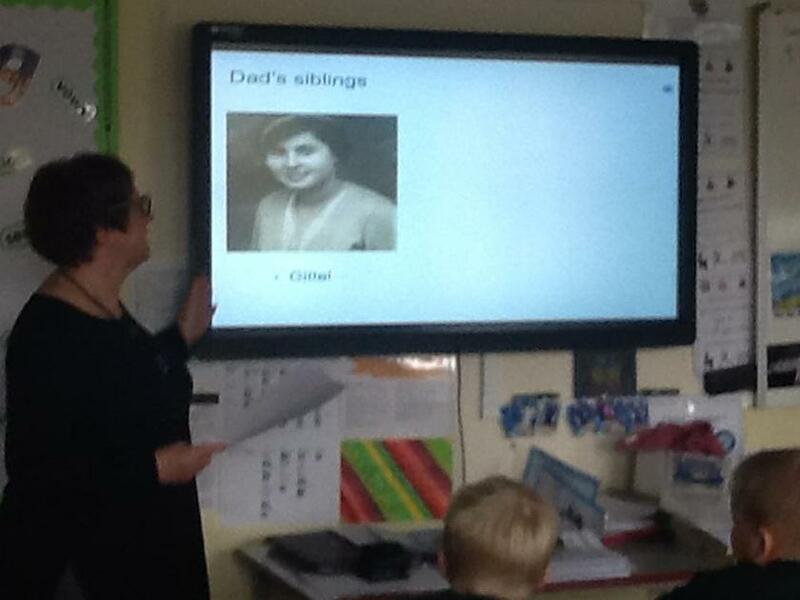 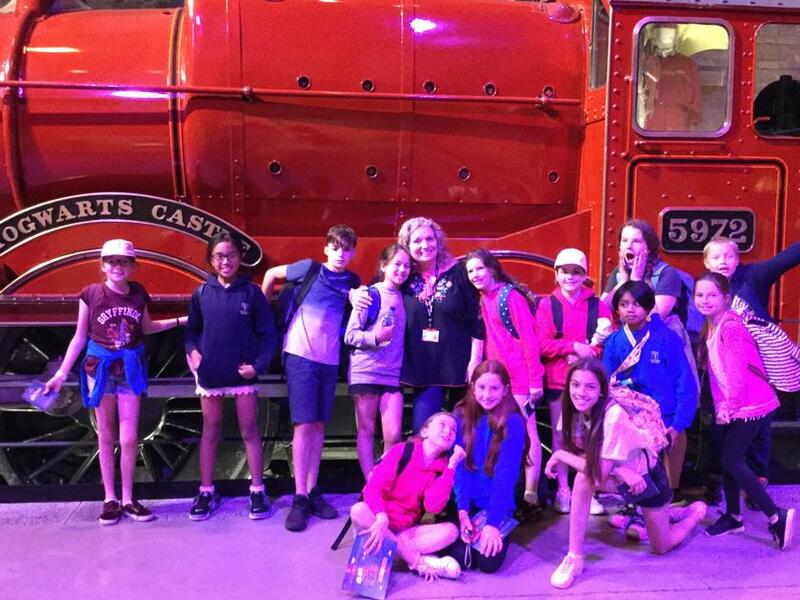 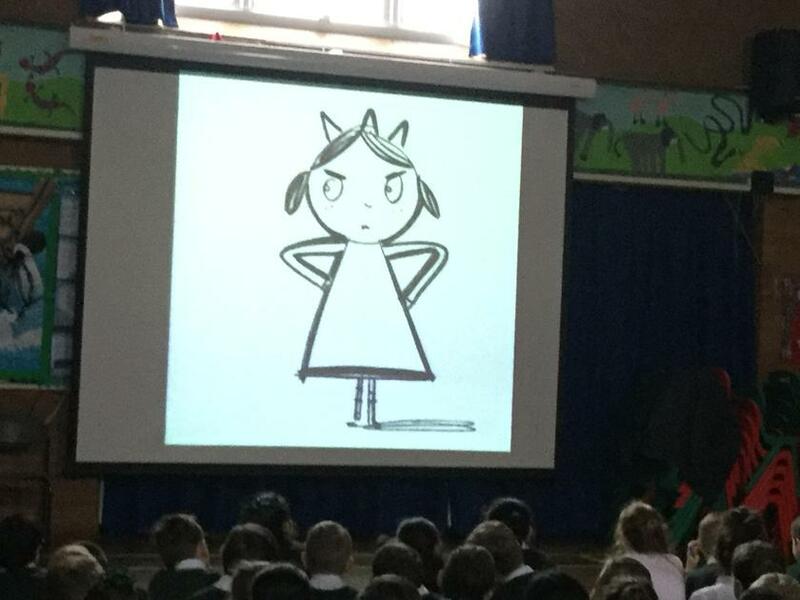 It was a very moving experience and the children thoroughly enjoyed her talk; they asked lots of questions and were fascinated by her stories. 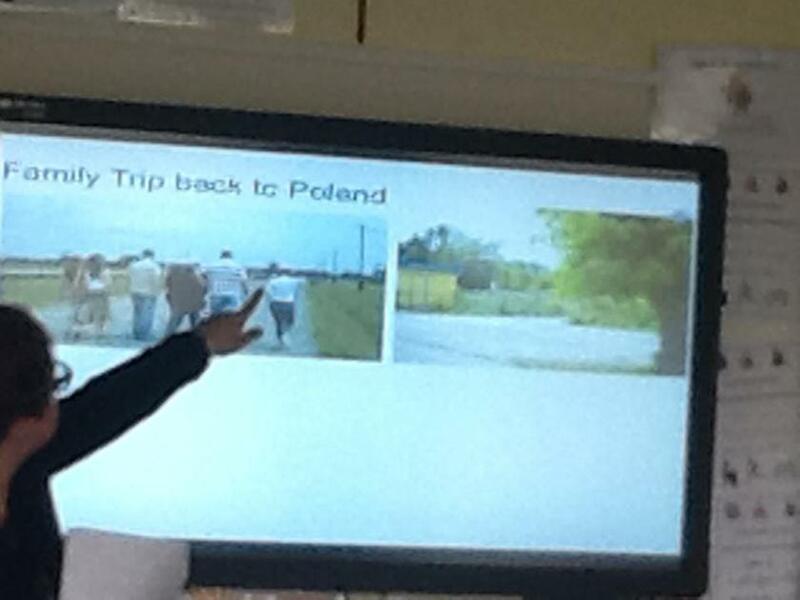 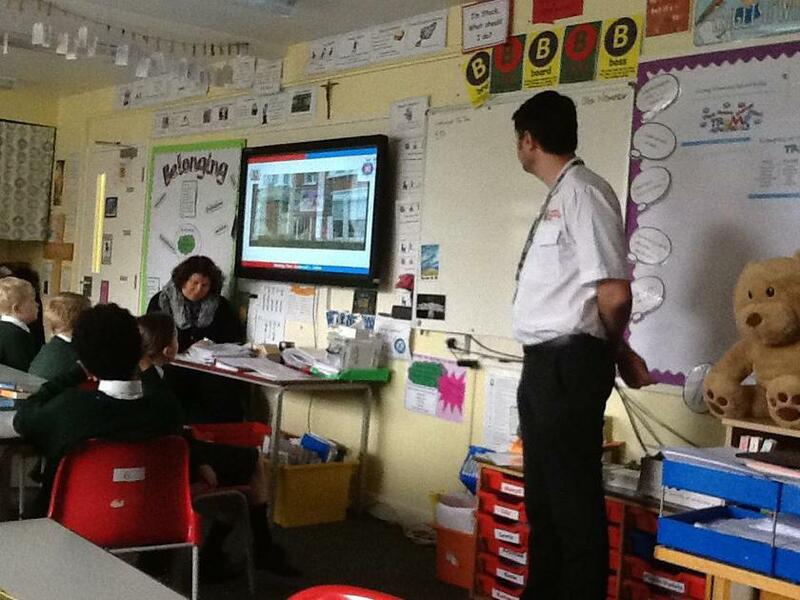 Today in class we were lucky to have Dan from the fire and police service. 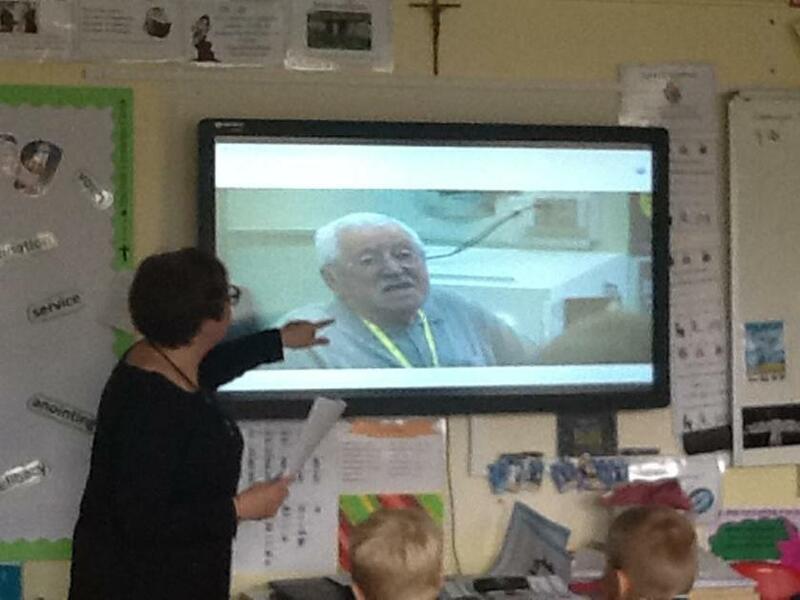 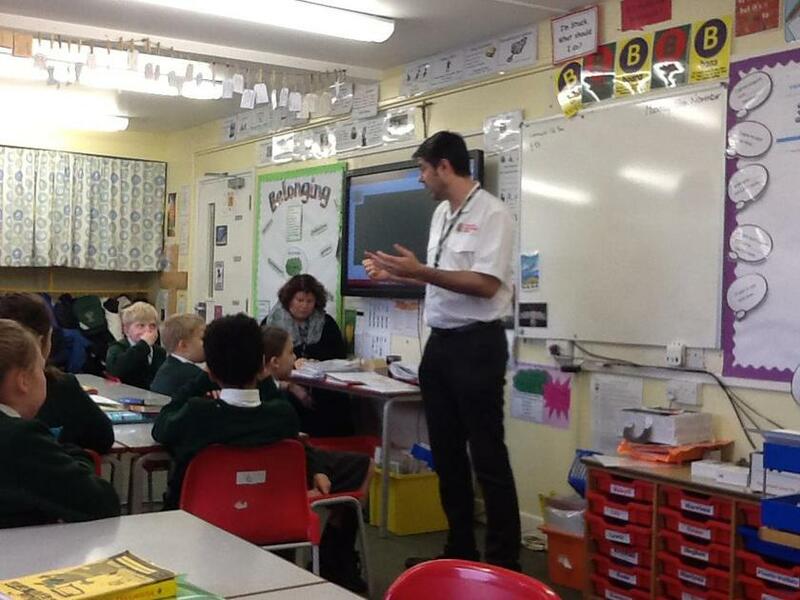 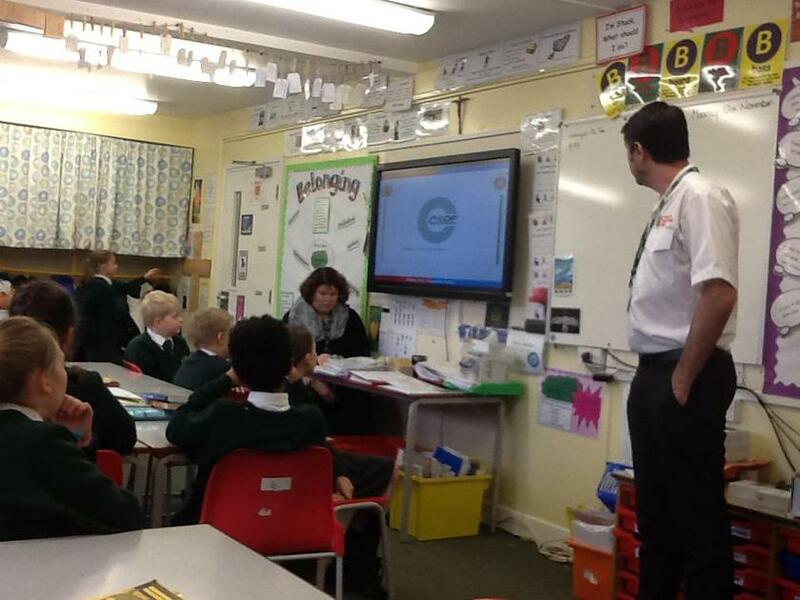 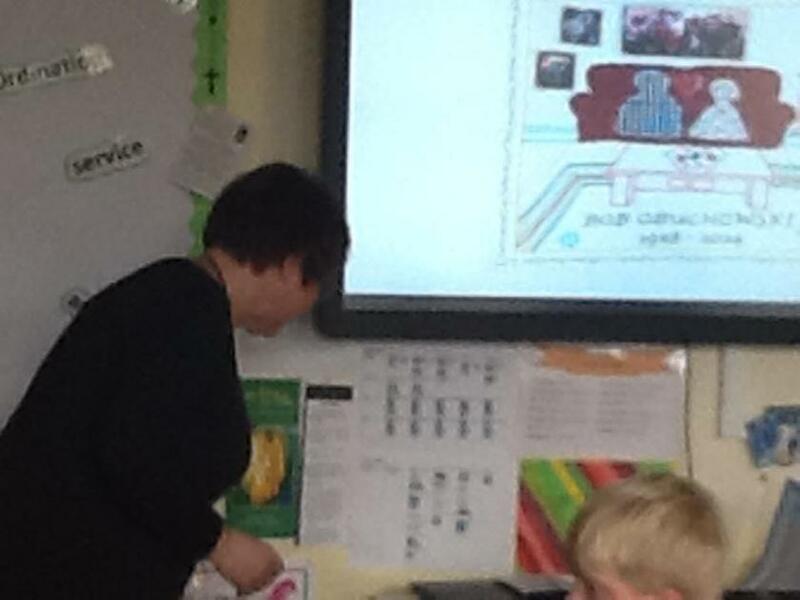 He spoke to us about keeping safe on line and shared lots of information with us. 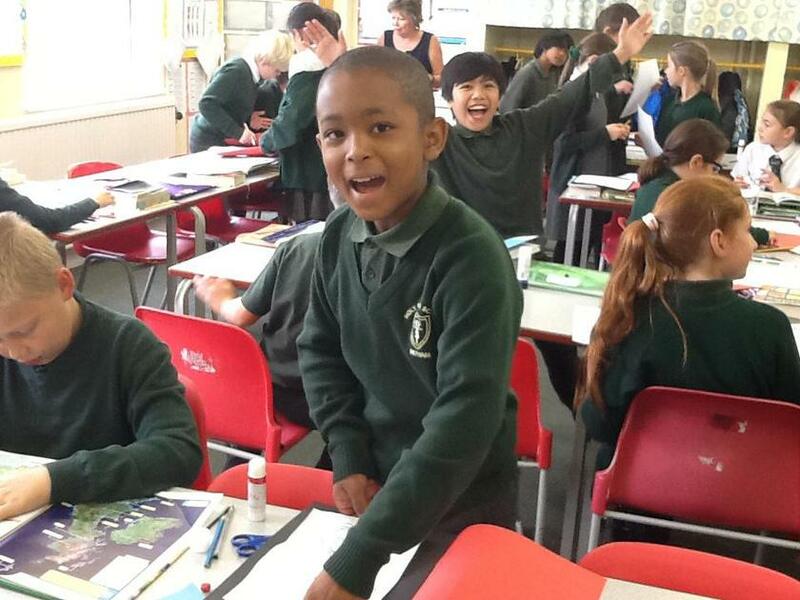 Here are some year 6 revision resources. 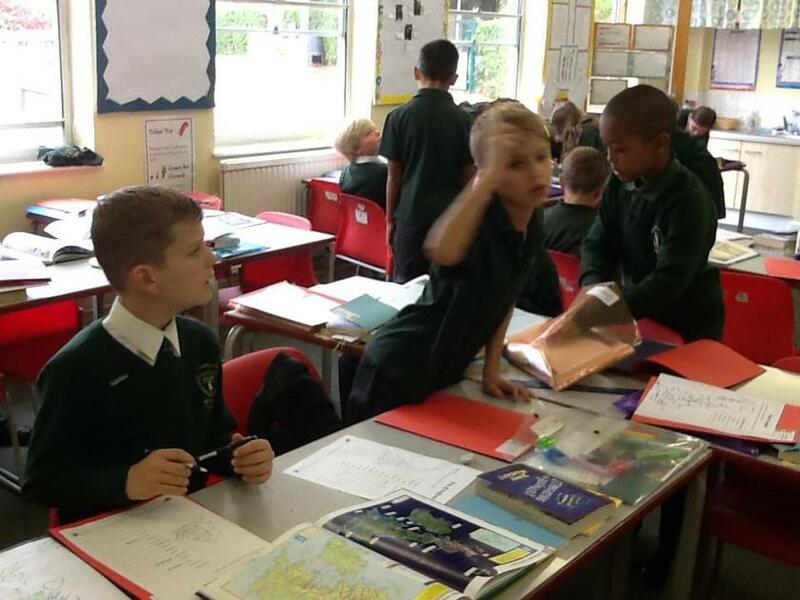 Please make full use of all of these to consolidate learning. 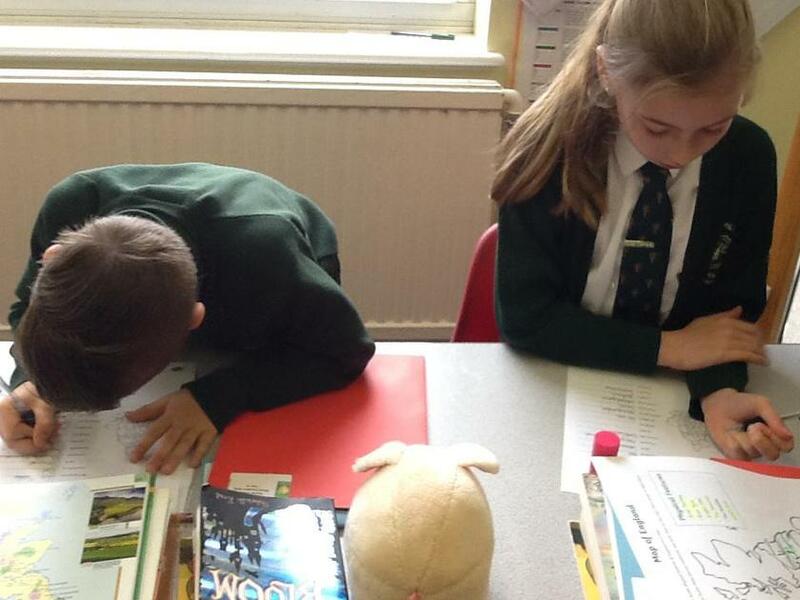 Spellings from Year 5 & 6 that your child needs to know. 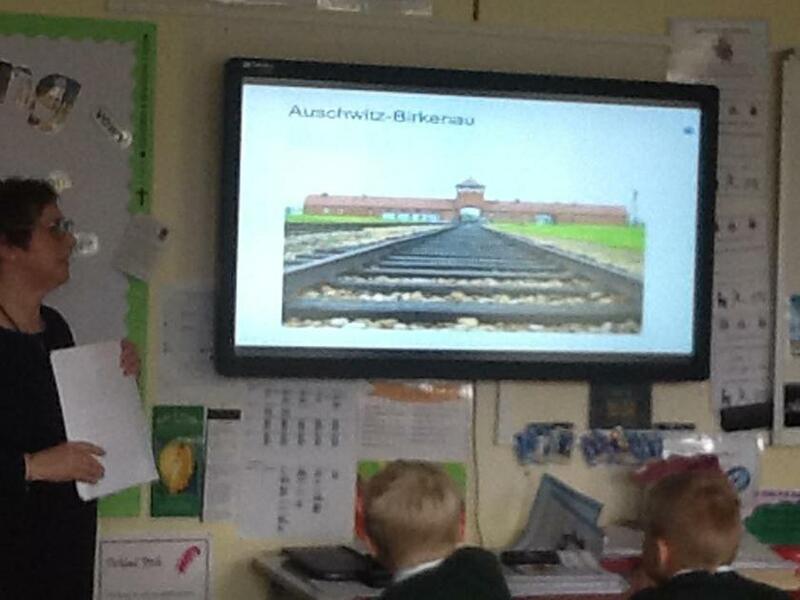 Uploaded below are a range of SPaG PowerPoints that we have used or will be using in Year 6 this year. 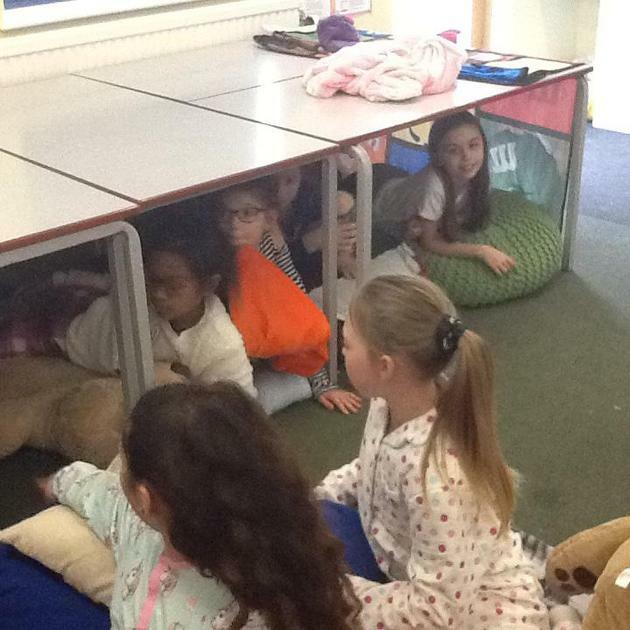 Please go through these with your children on a regular basis. 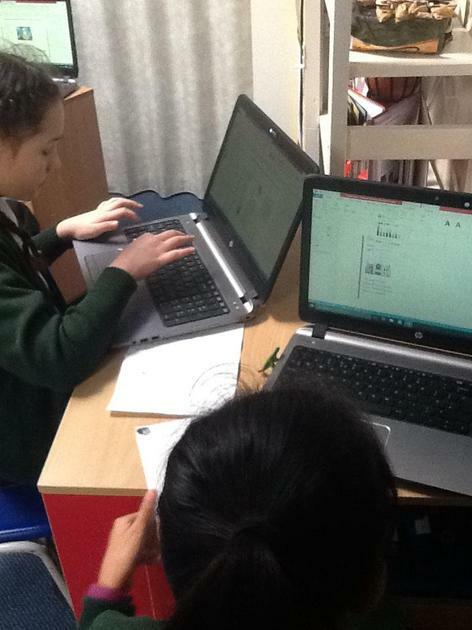 Uploaded below are a range of Math PowerPoints that we have used or will be using in Year 6 this year. 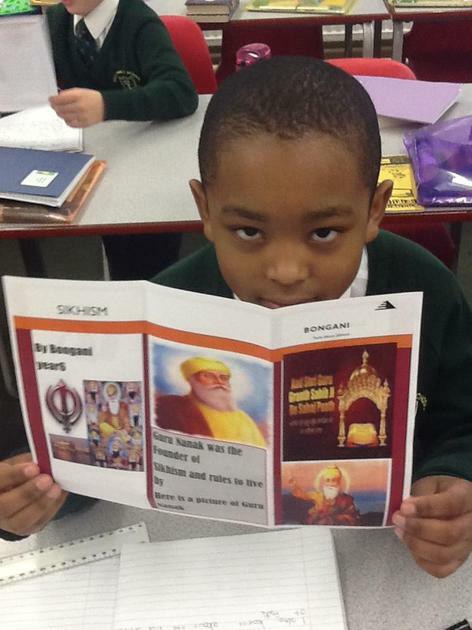 Please go through these with your children on a regular basis. 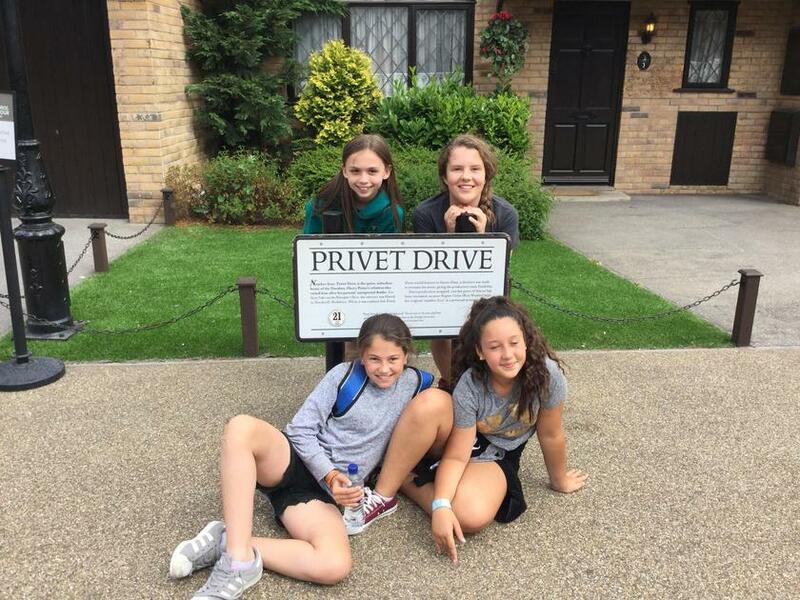 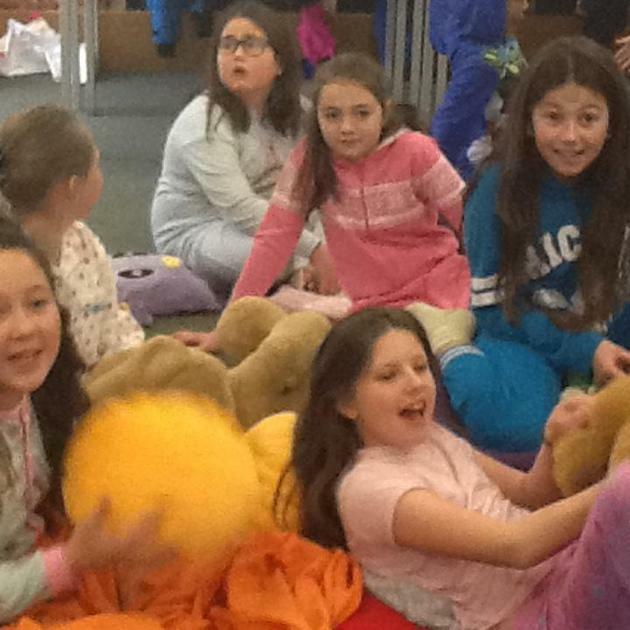 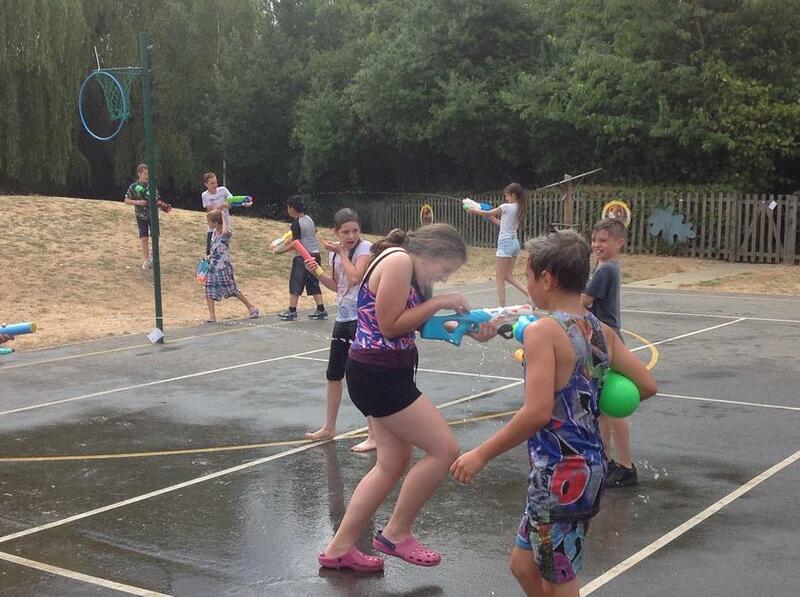 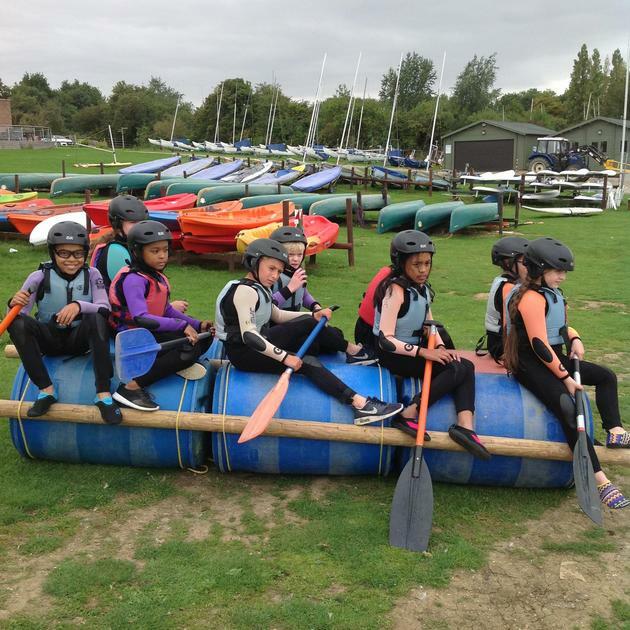 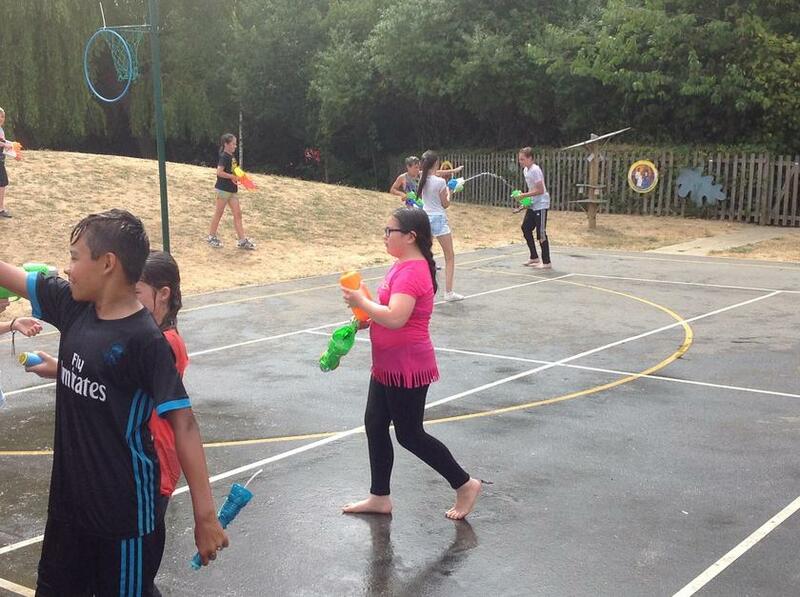 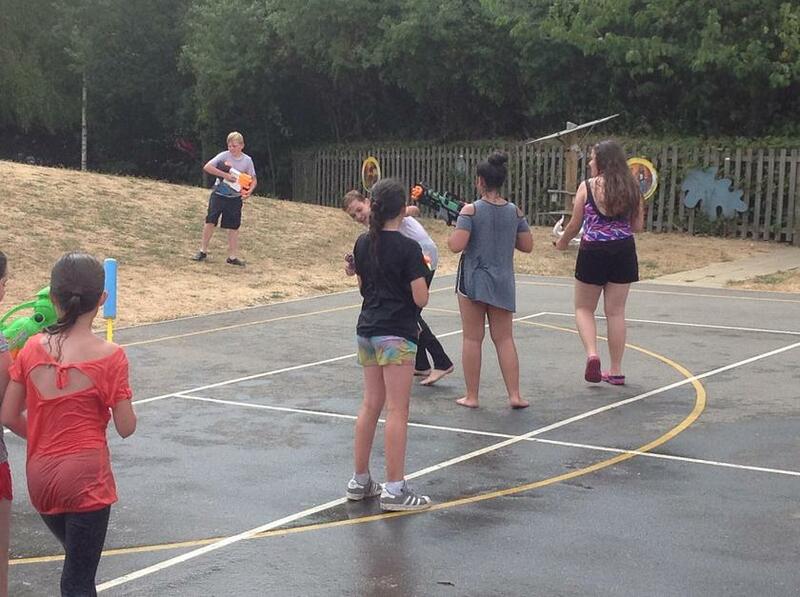 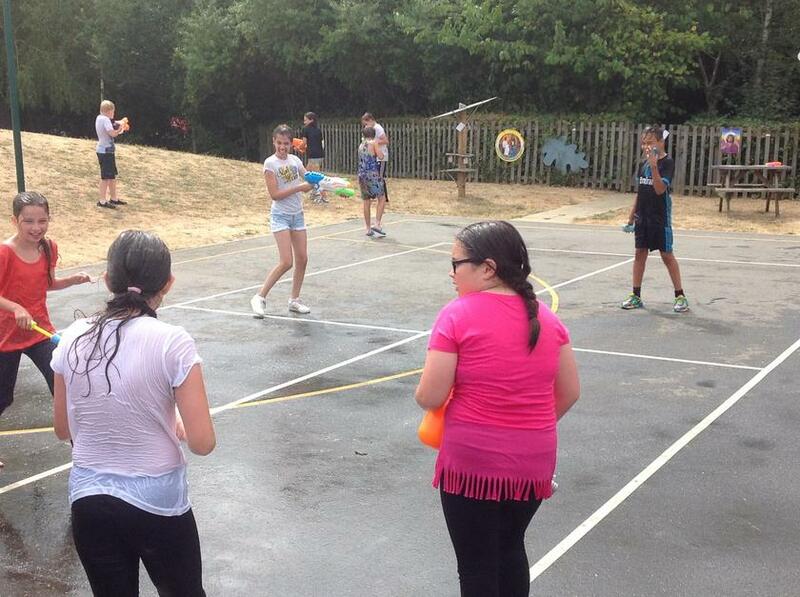 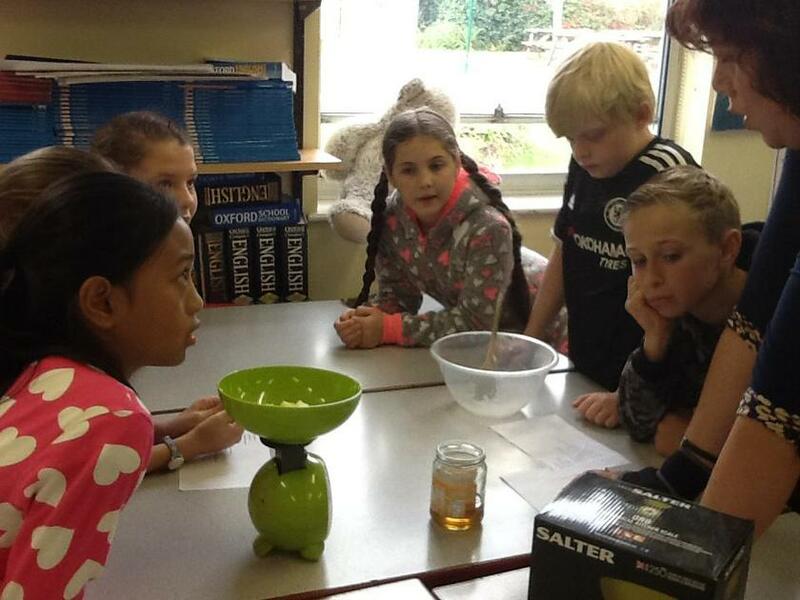 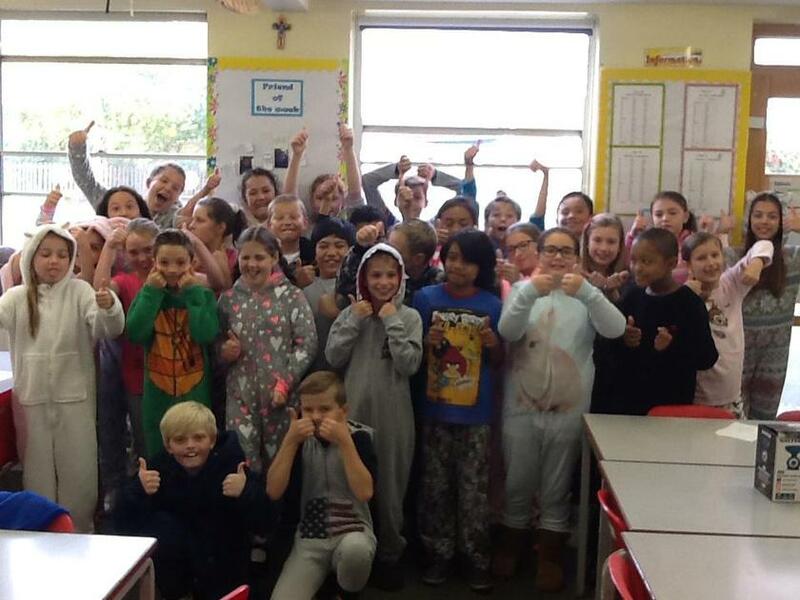 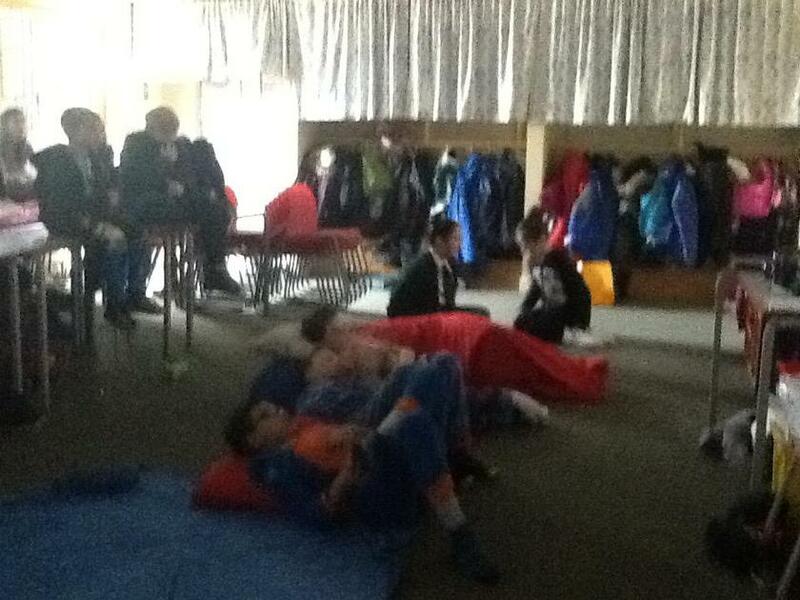 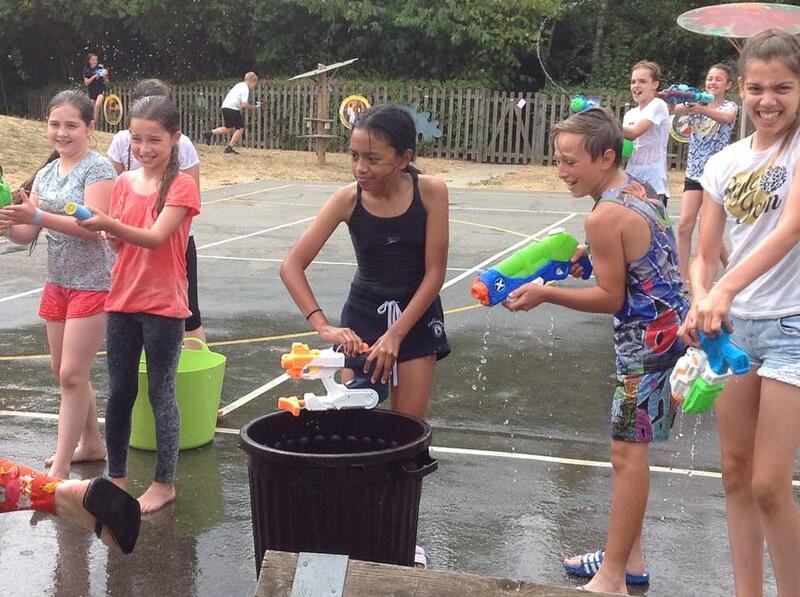 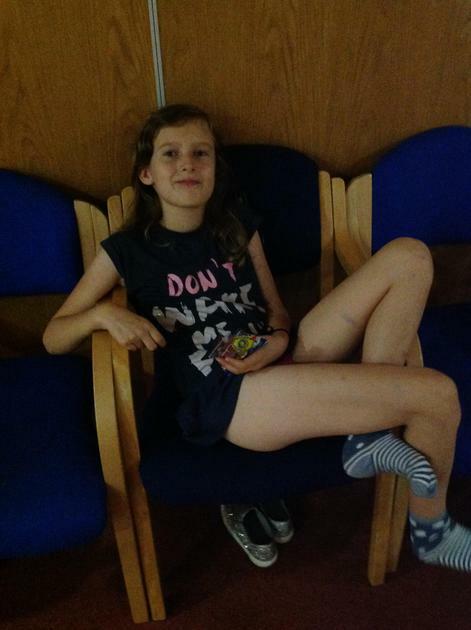 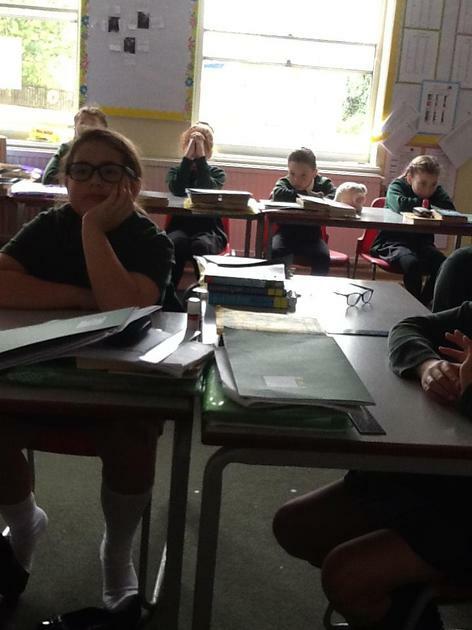 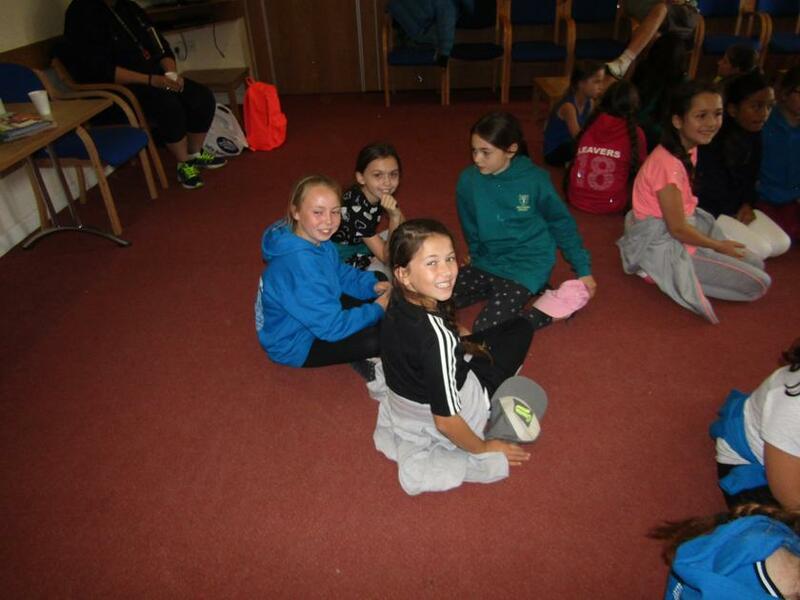 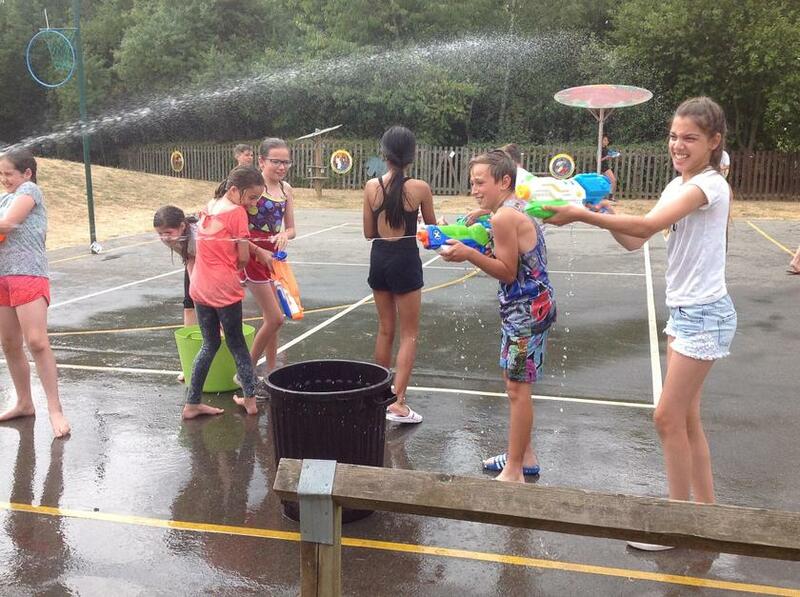 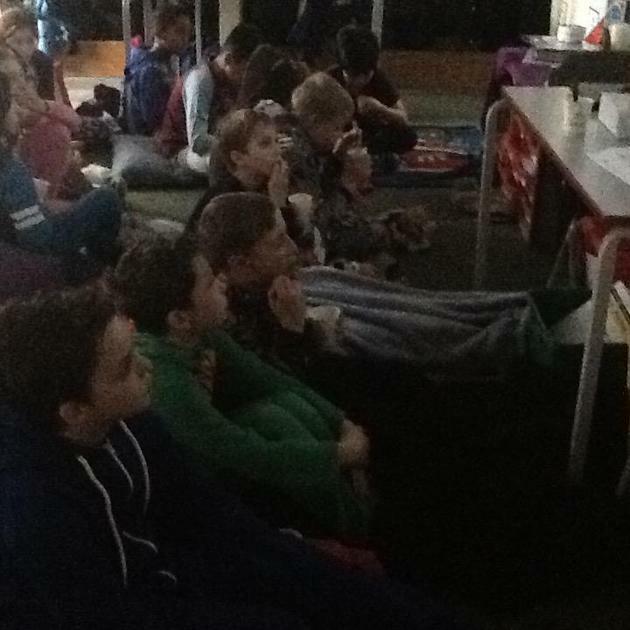 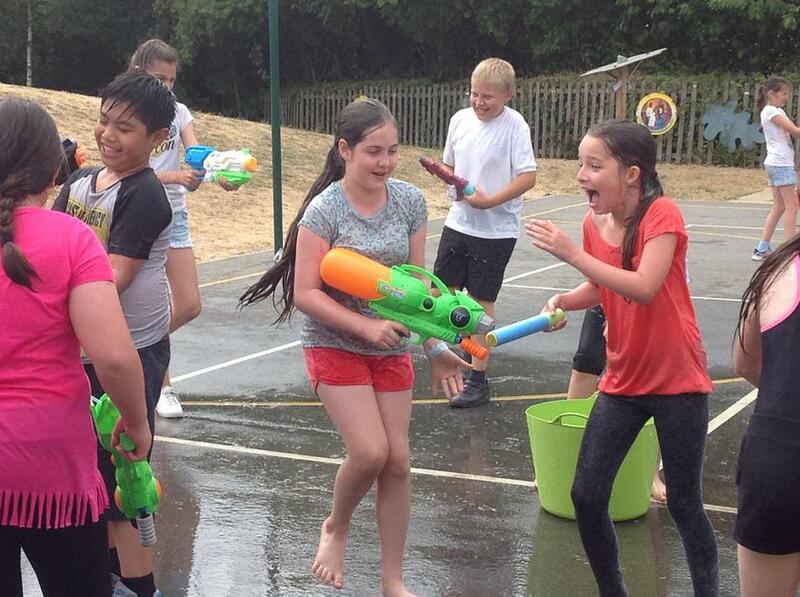 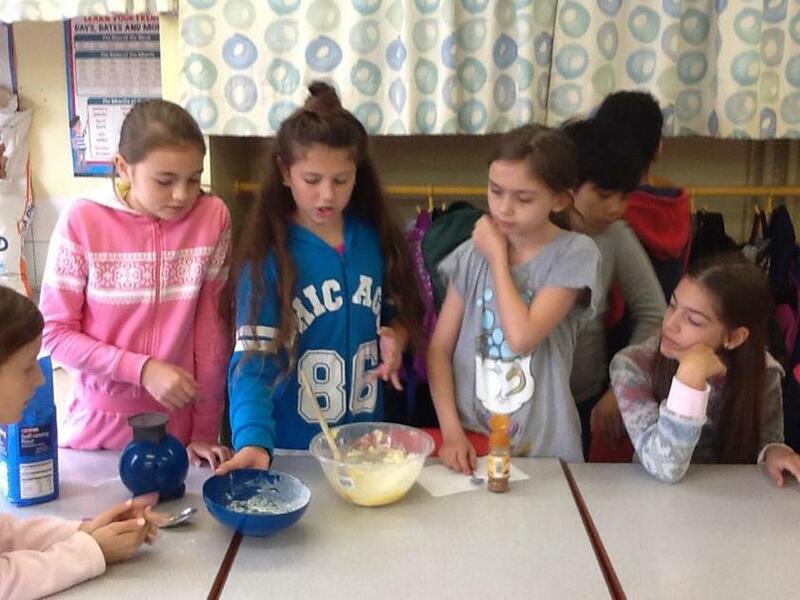 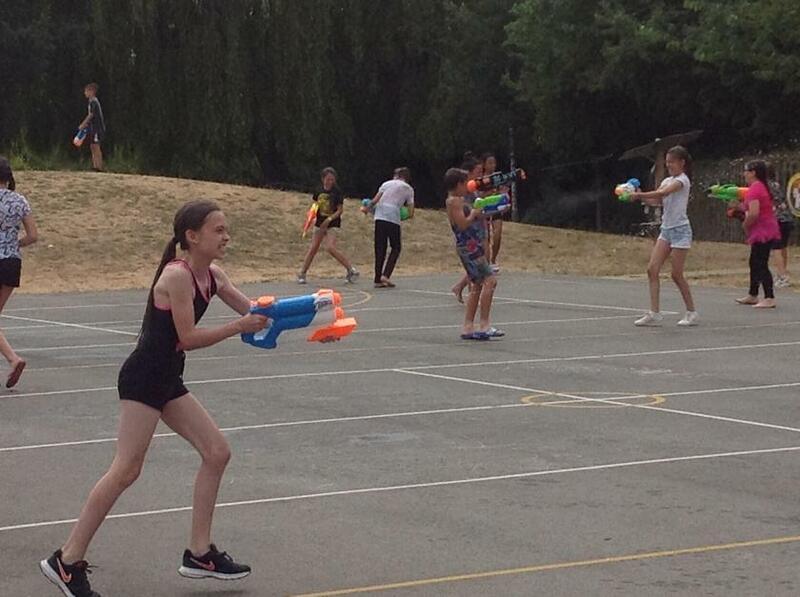 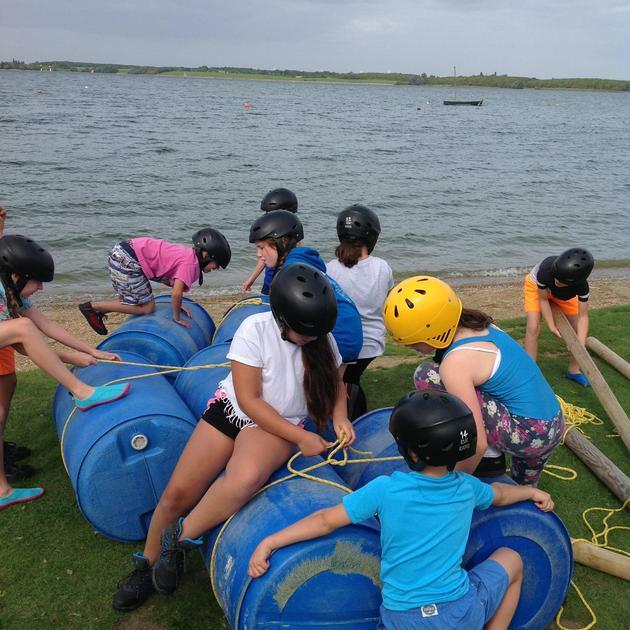 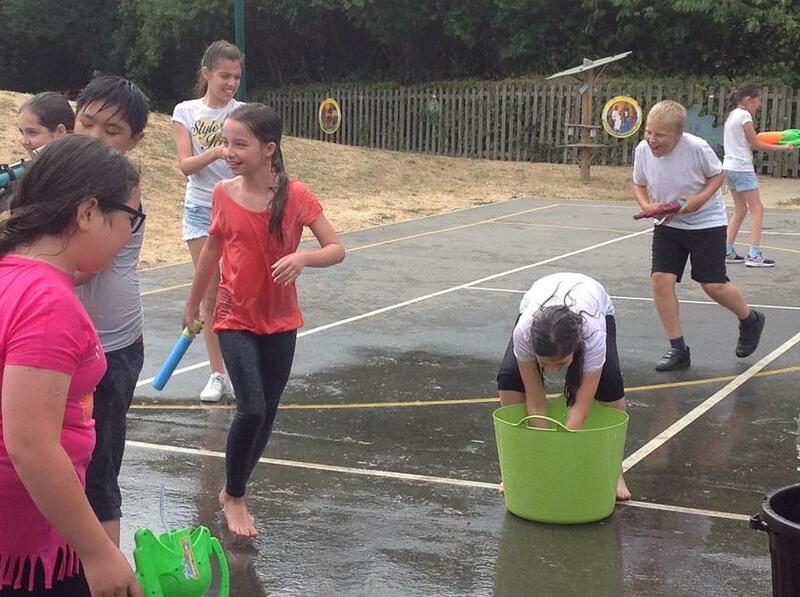 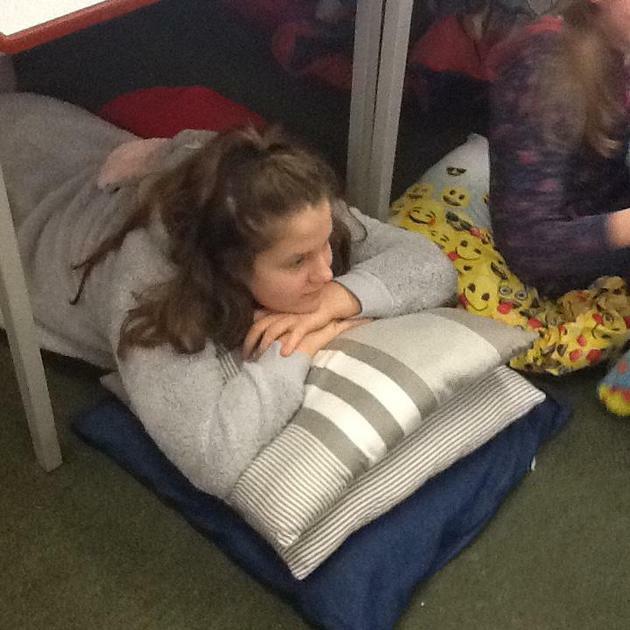 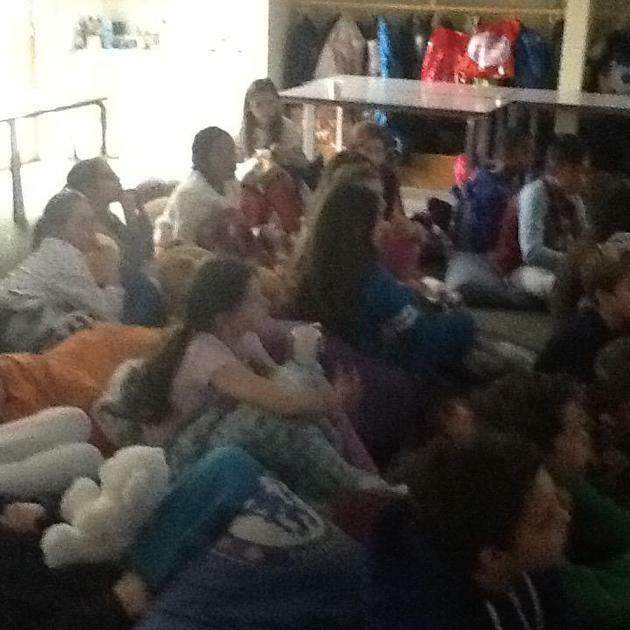 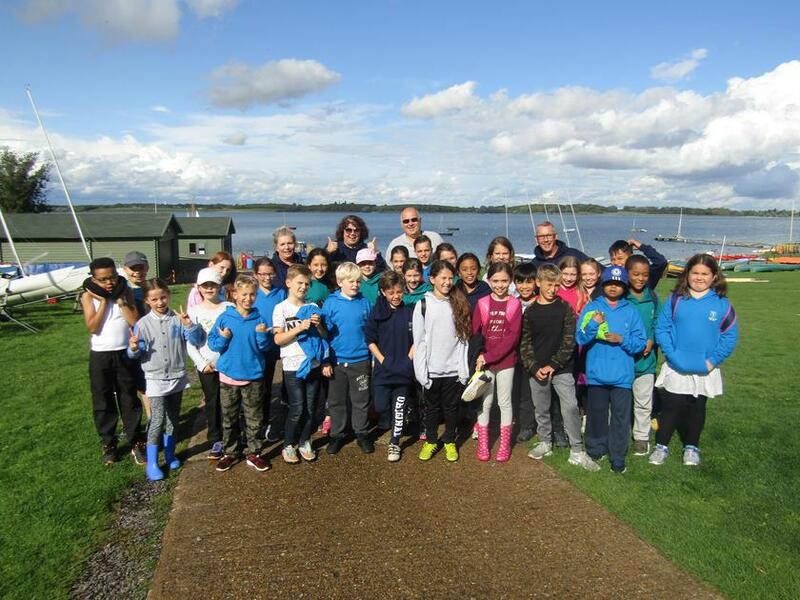 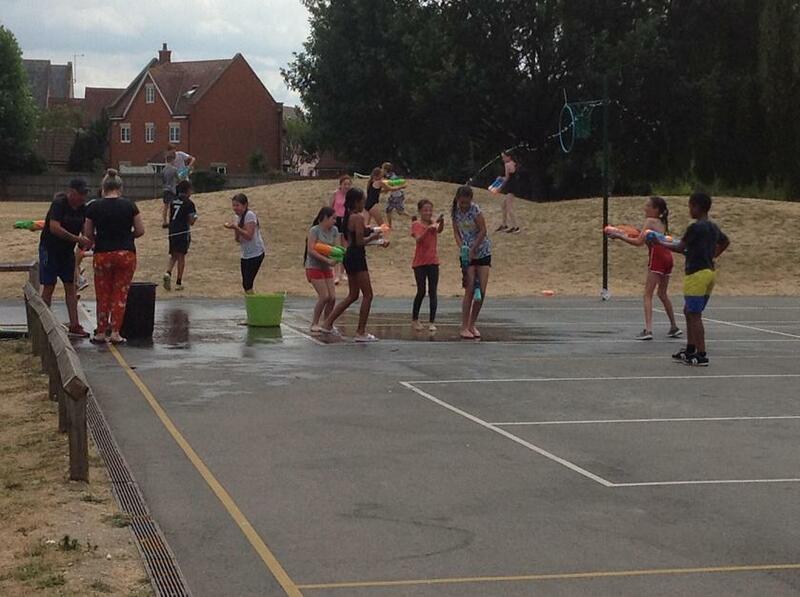 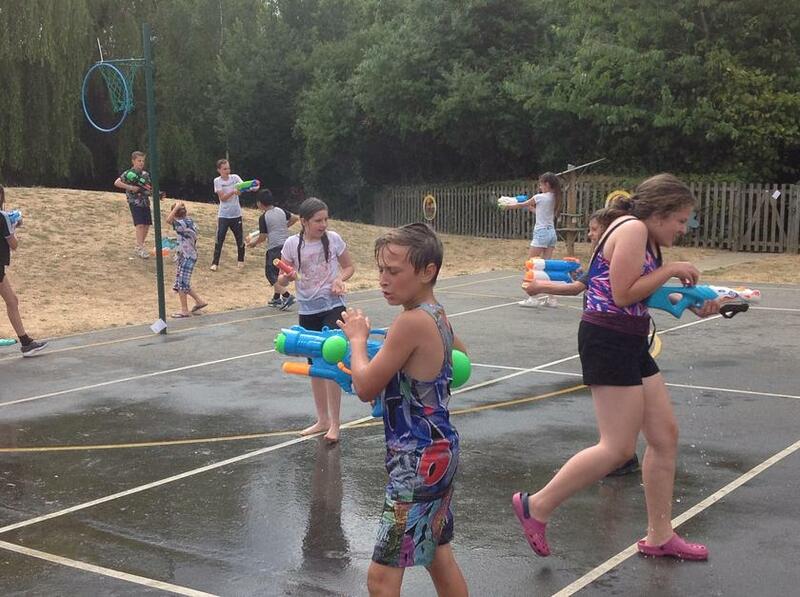 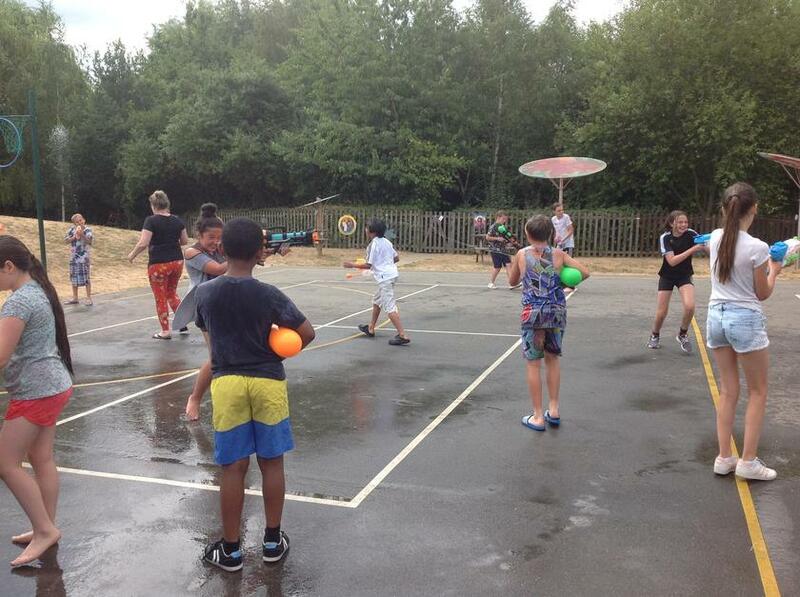 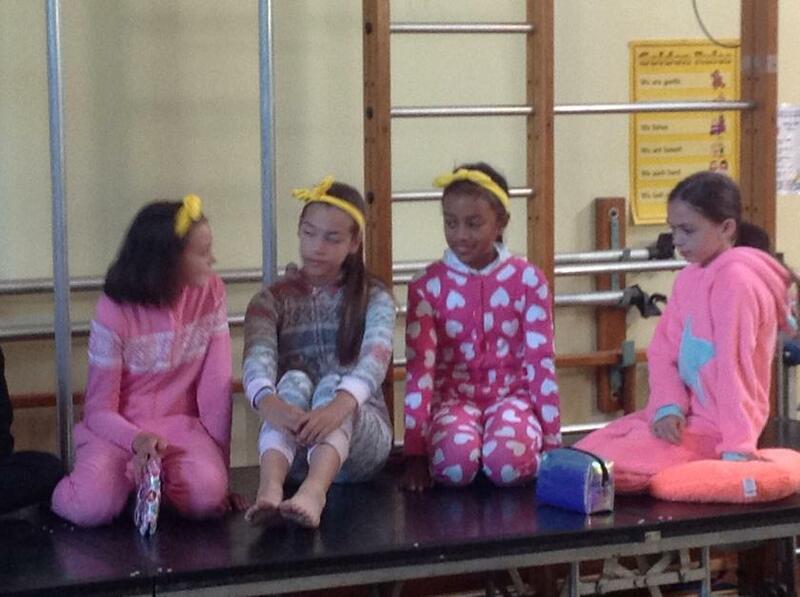 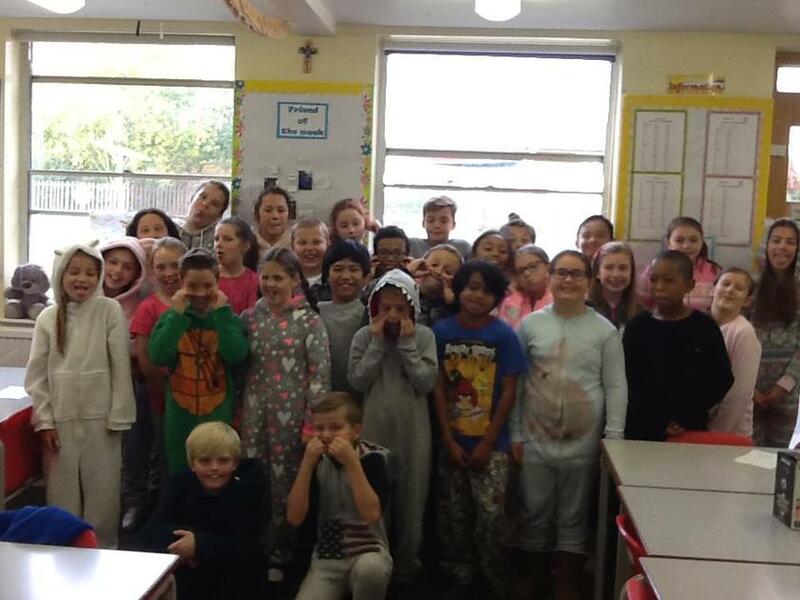 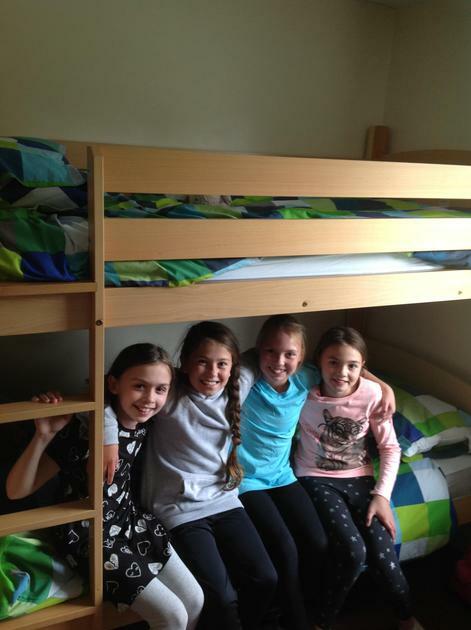 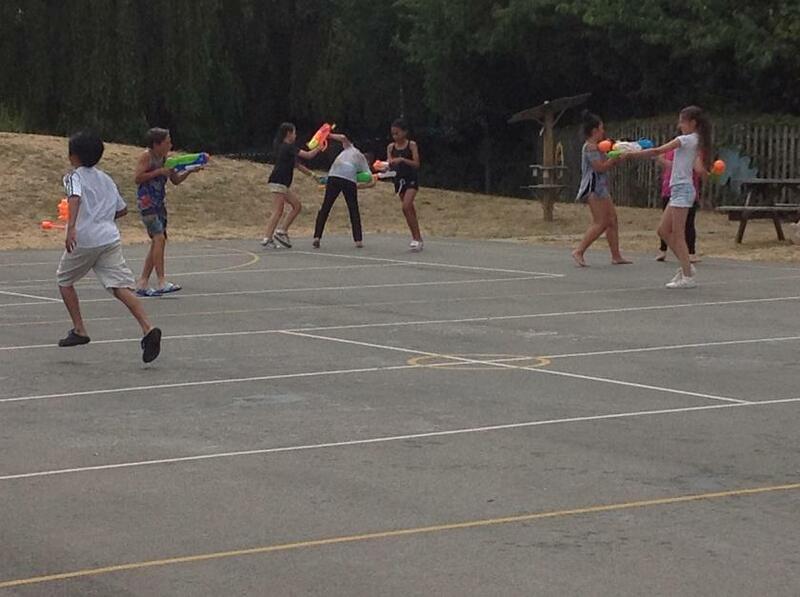 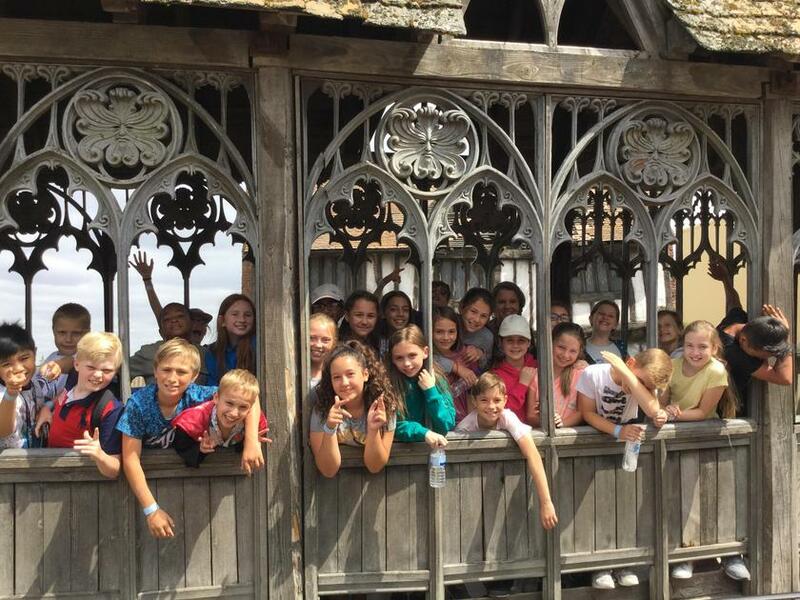 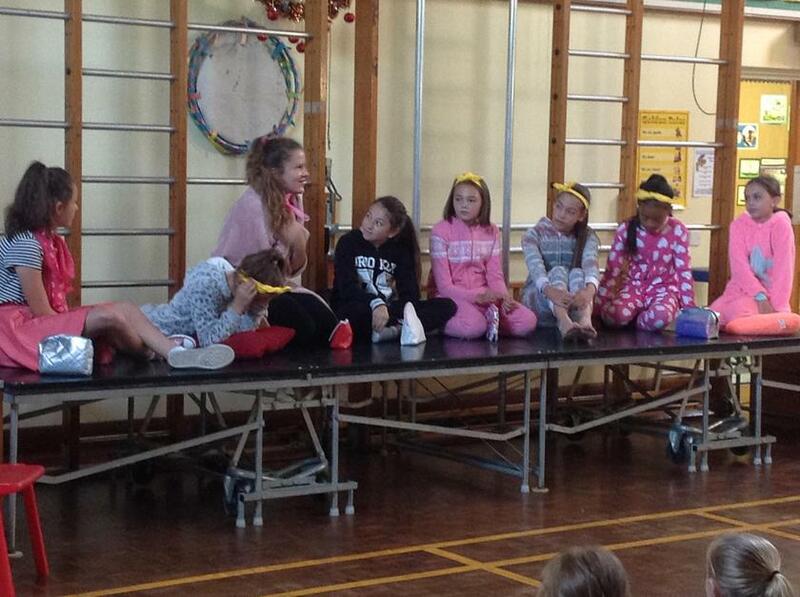 Today year 6 had their happiness and relaxation day. 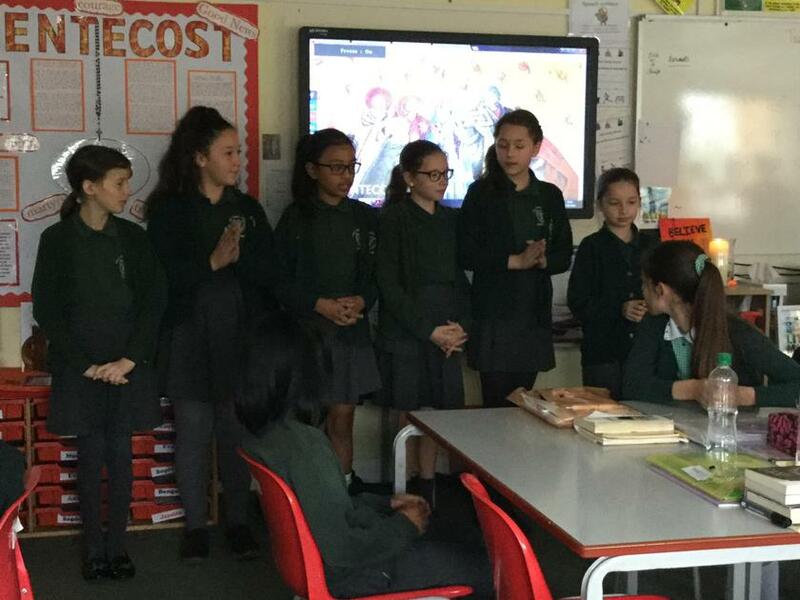 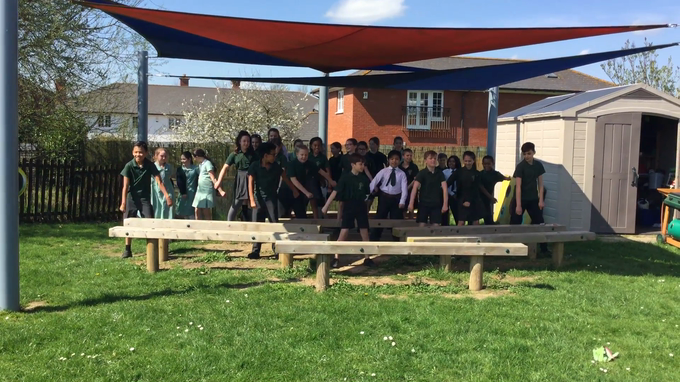 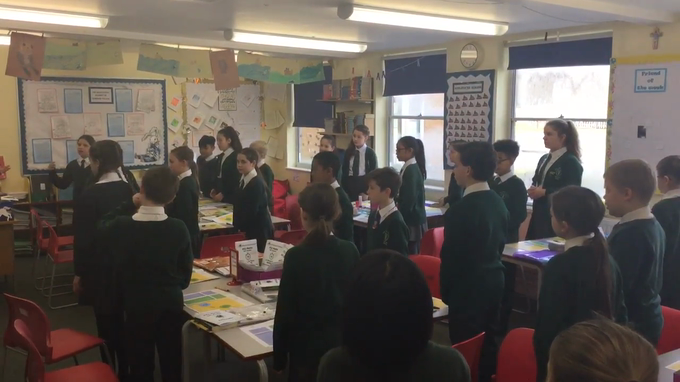 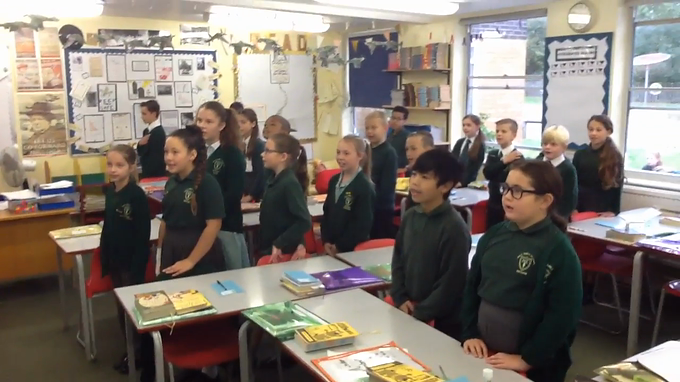 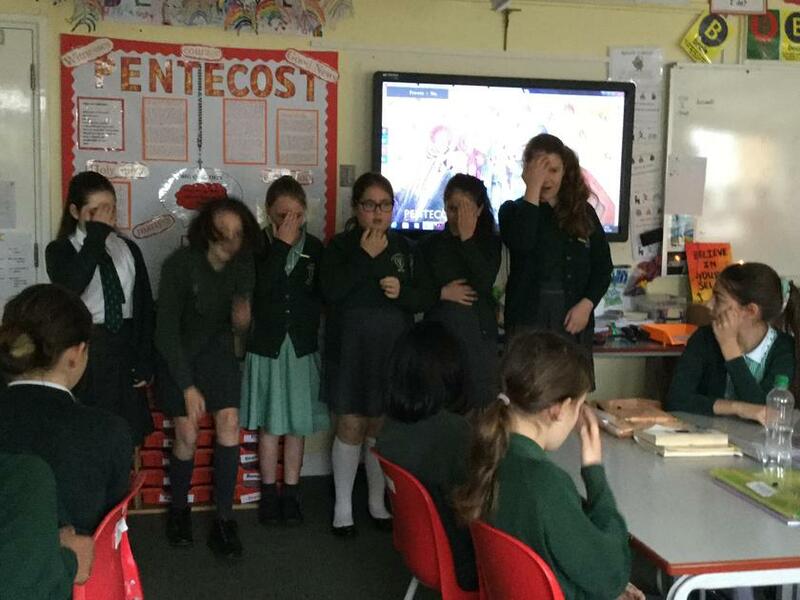 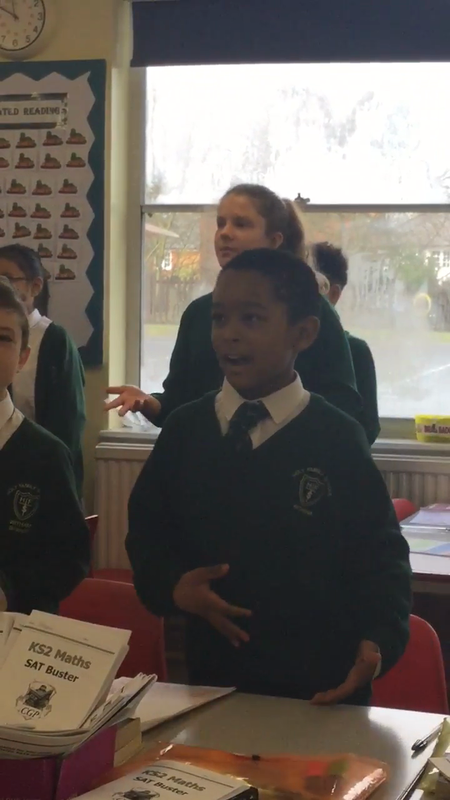 As part of our Around the World Day the children practiced the National Anthem in class ready for a performance in assembly. 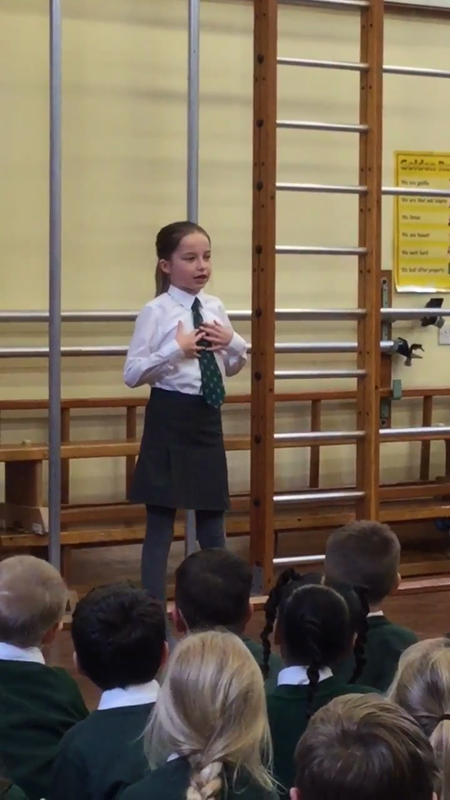 We discussed how proud you should be to live in this country and should sing from your heart. 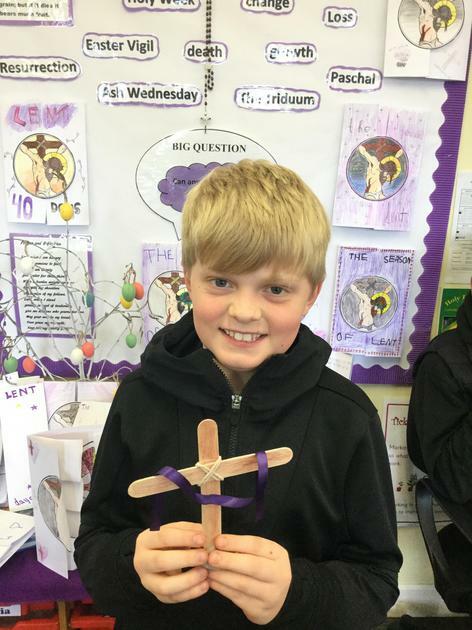 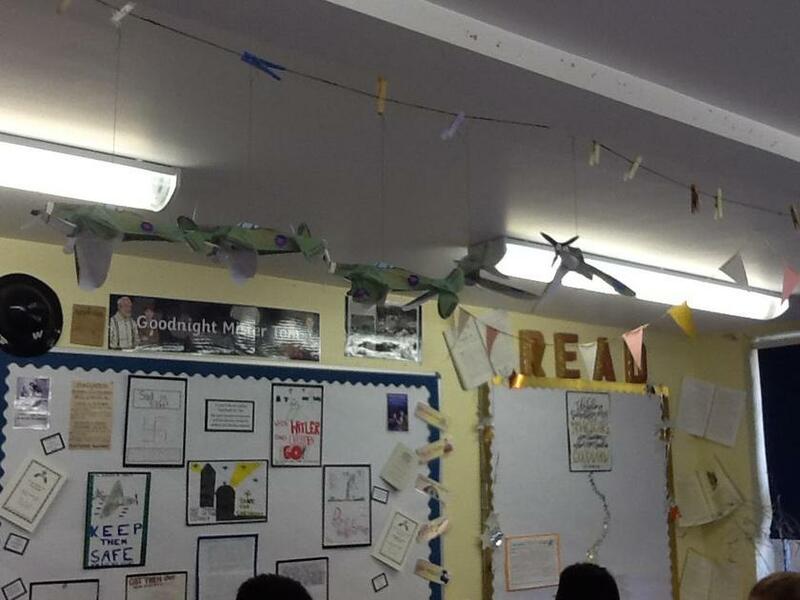 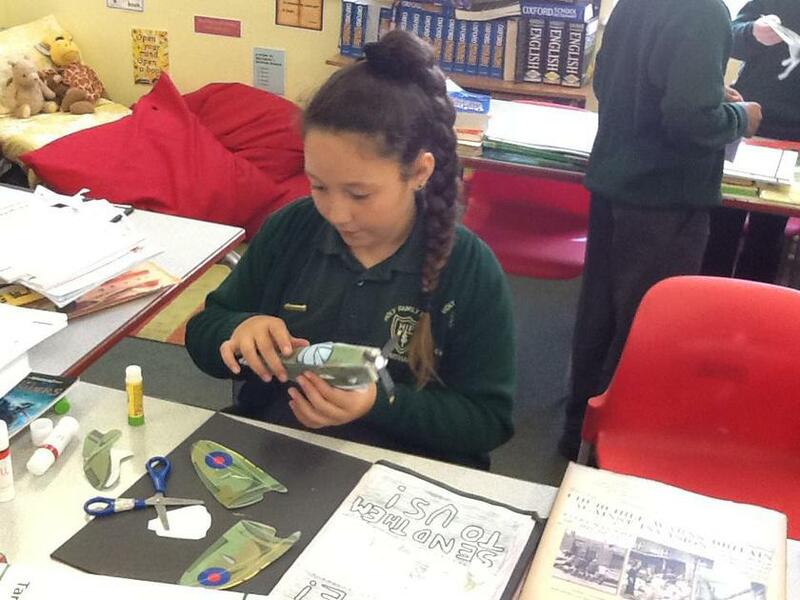 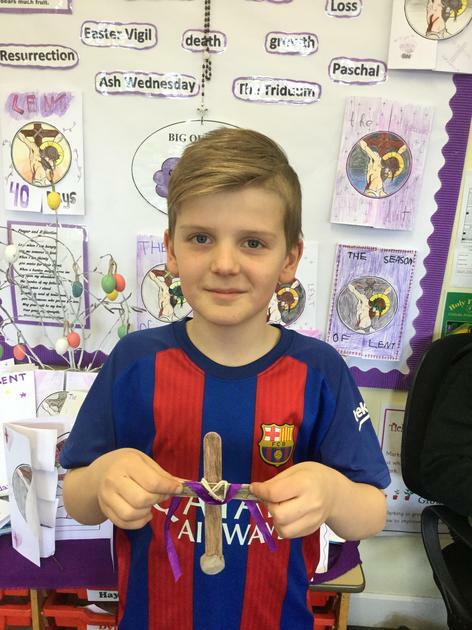 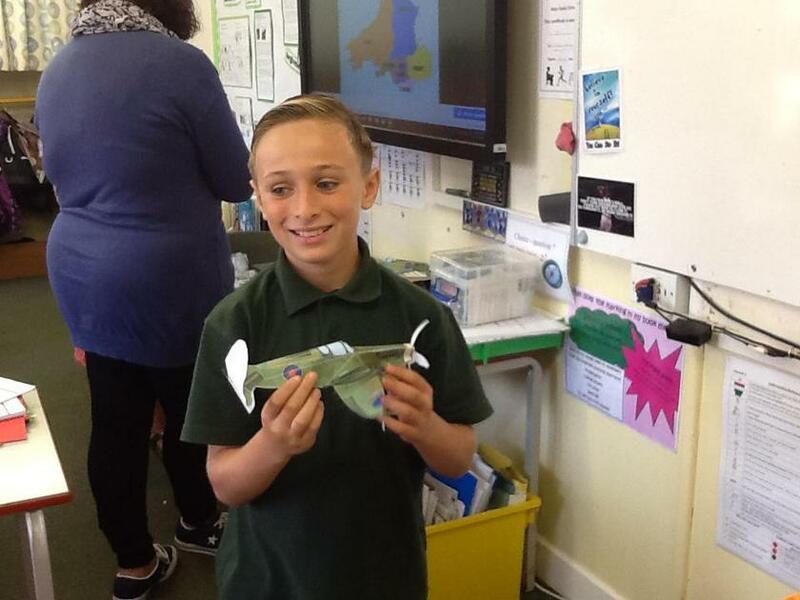 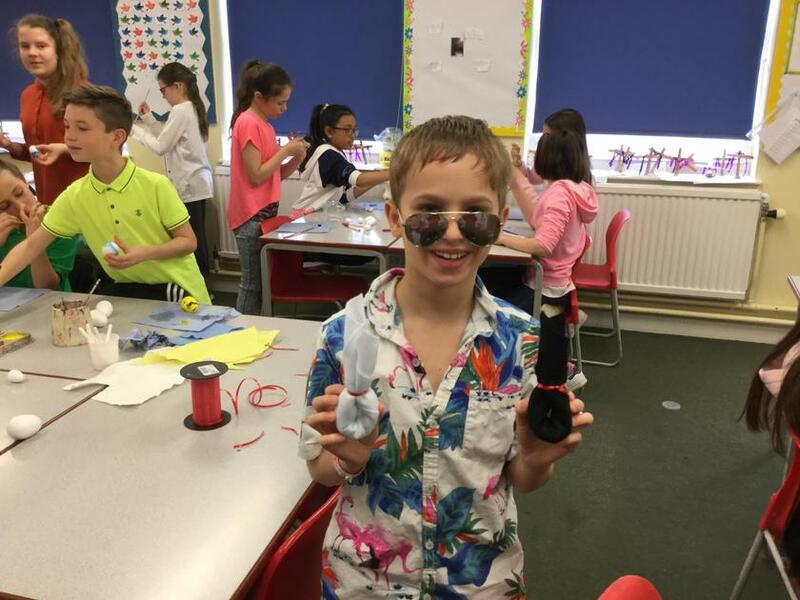 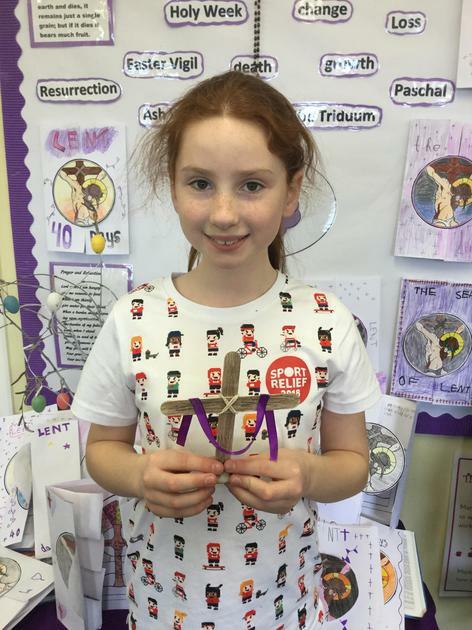 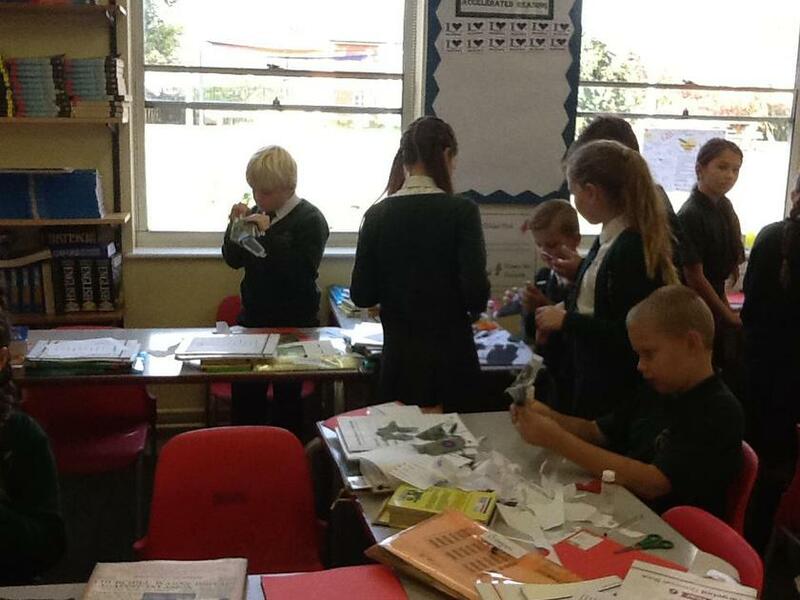 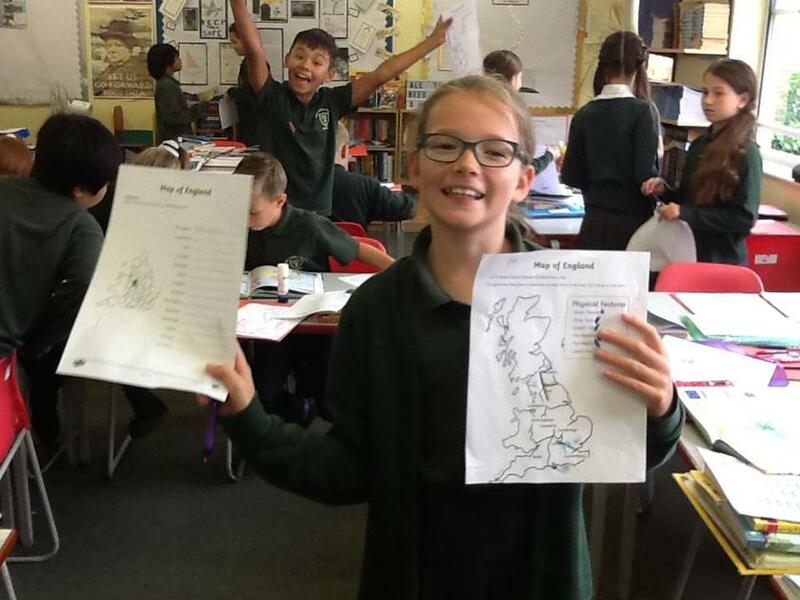 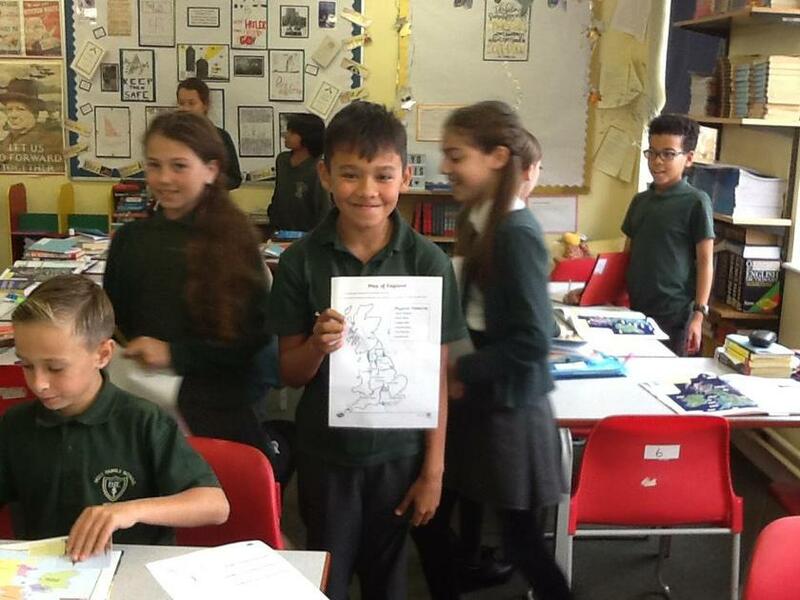 To continue with our topic for English of Goodnight Mr Tom the children had a DT day and made model plane spitfires, designed their own identity labels and identity booklets. 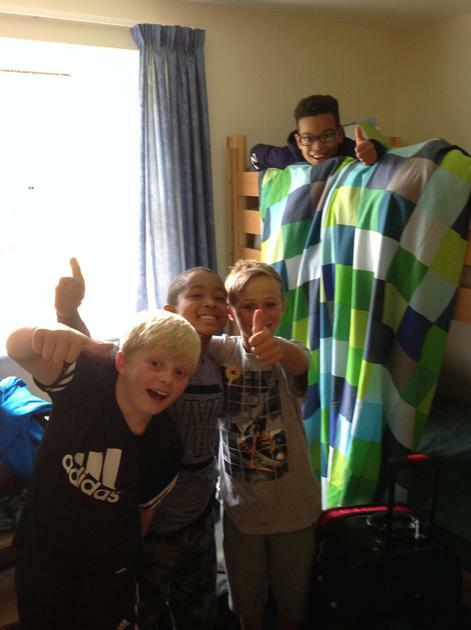 They had a great morning. 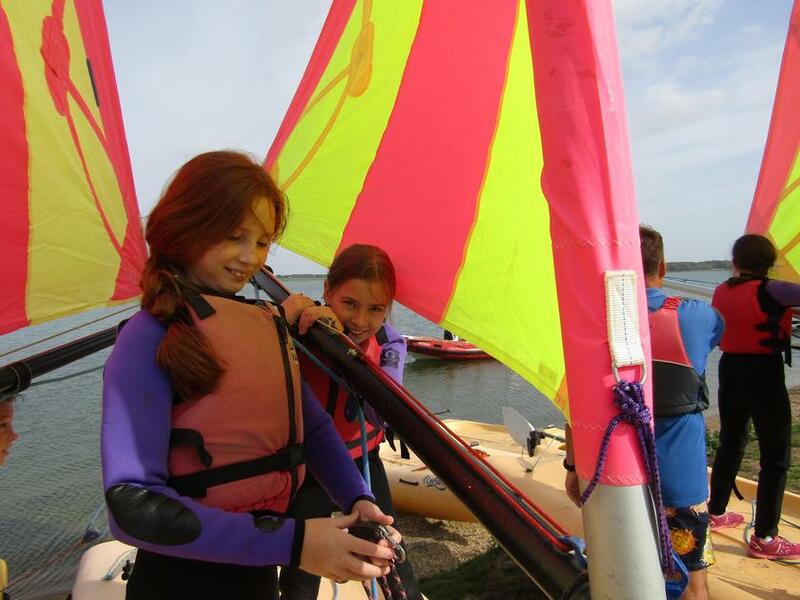 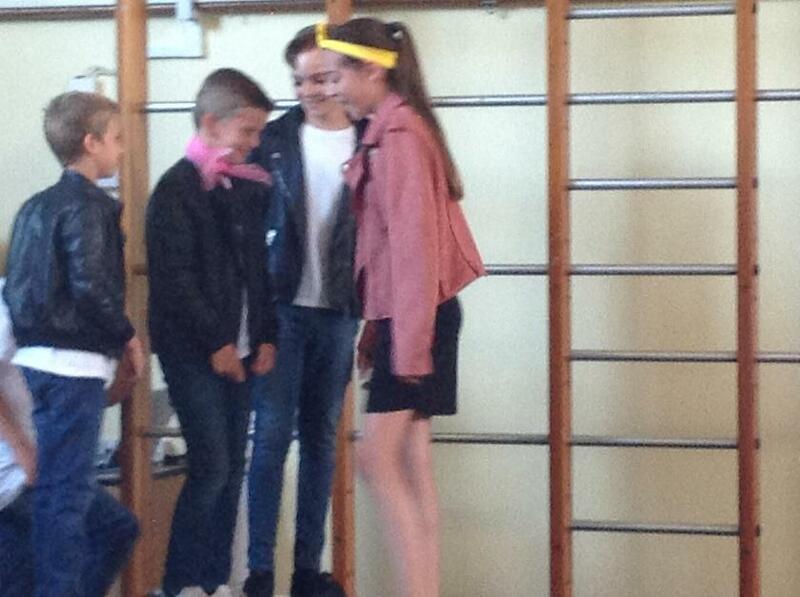 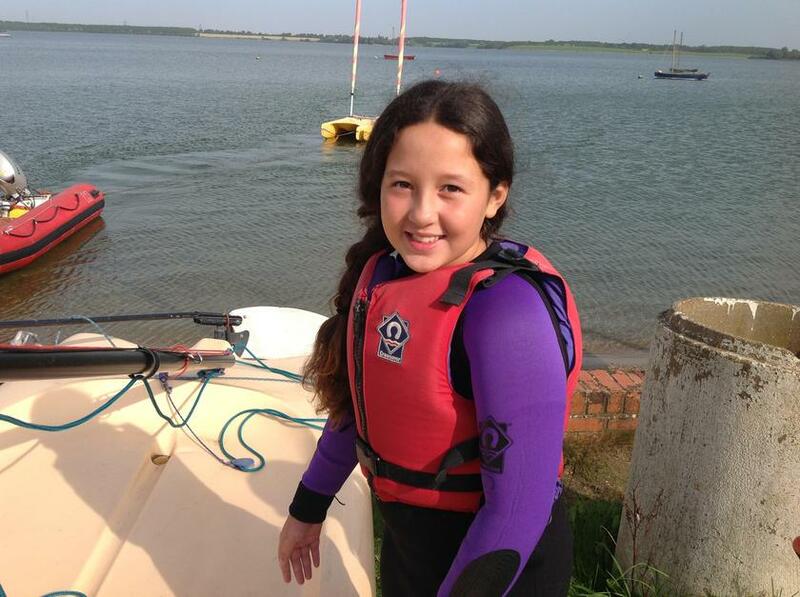 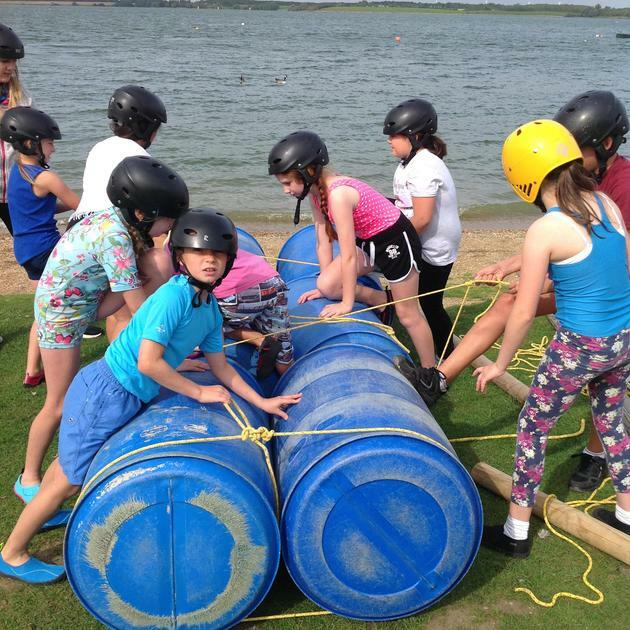 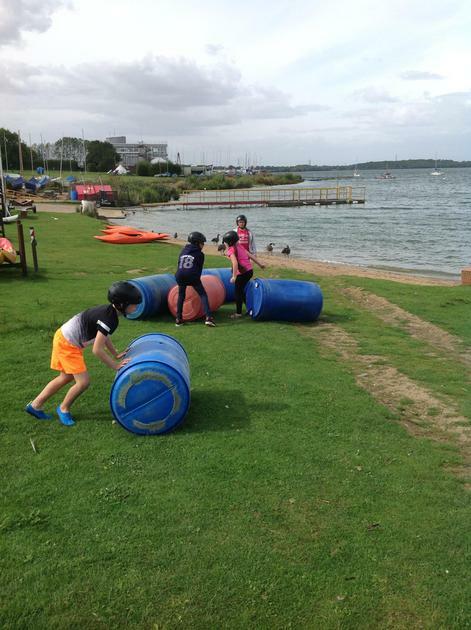 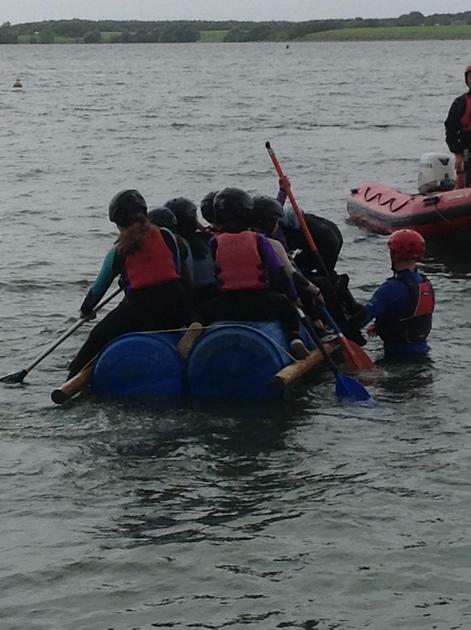 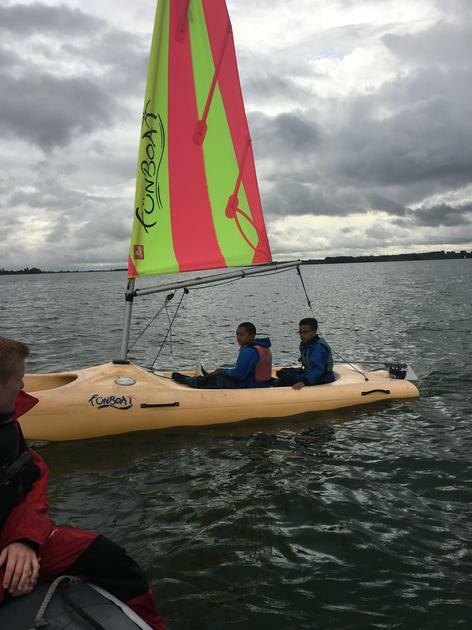 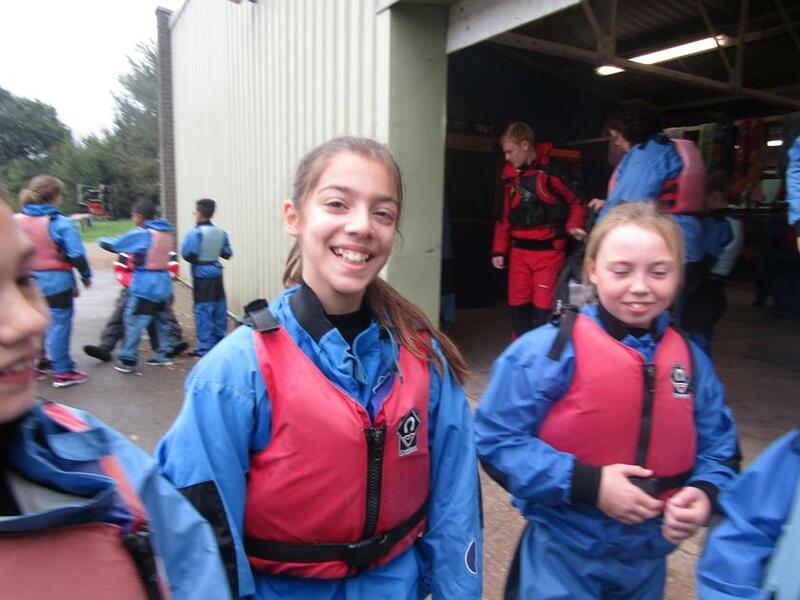 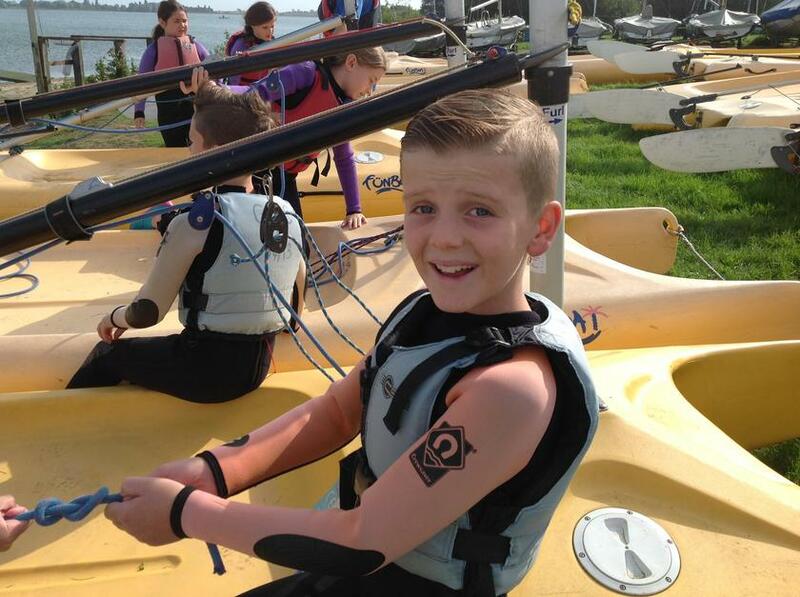 Grafham was so much fun!